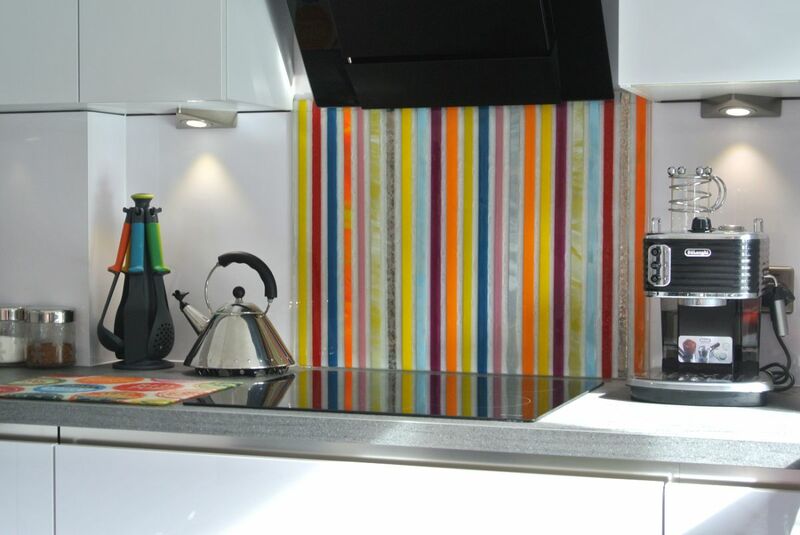 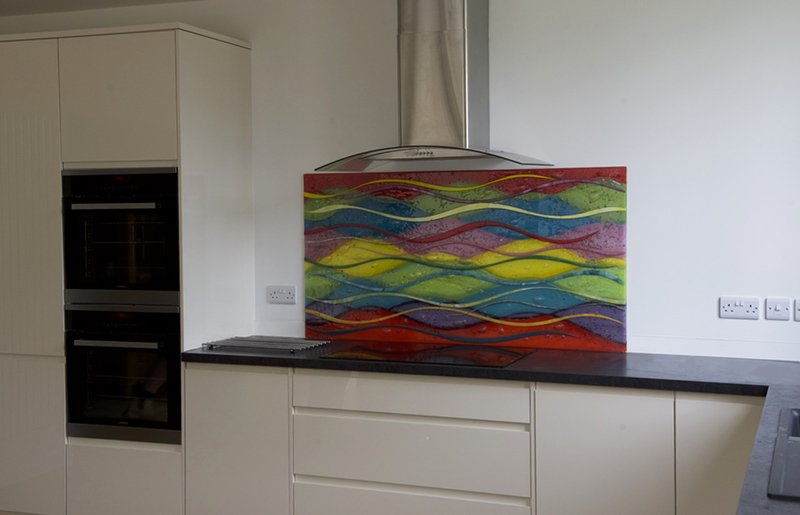 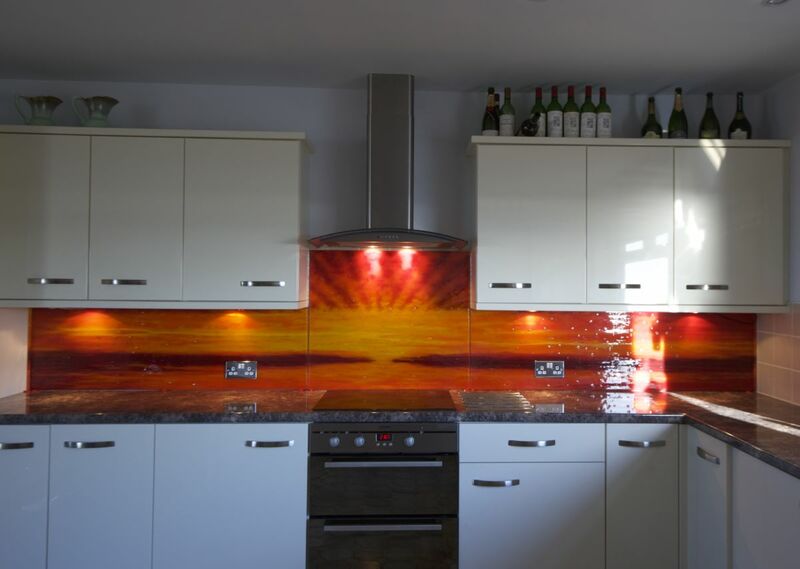 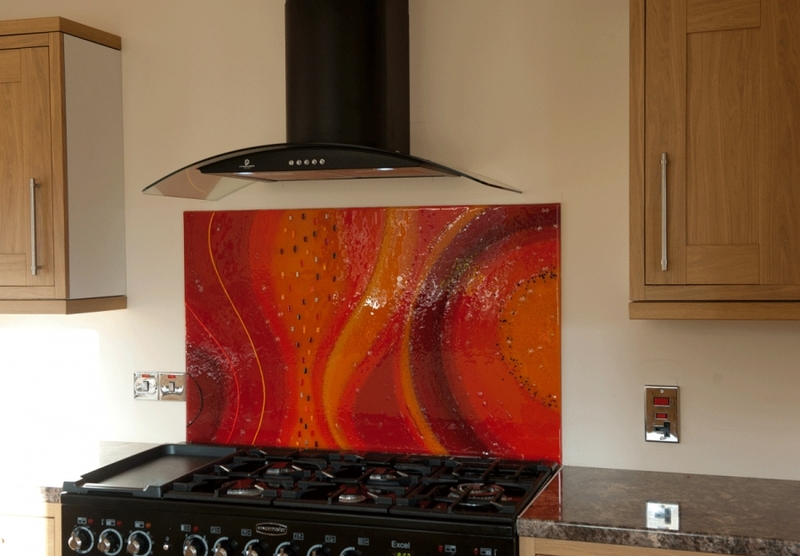 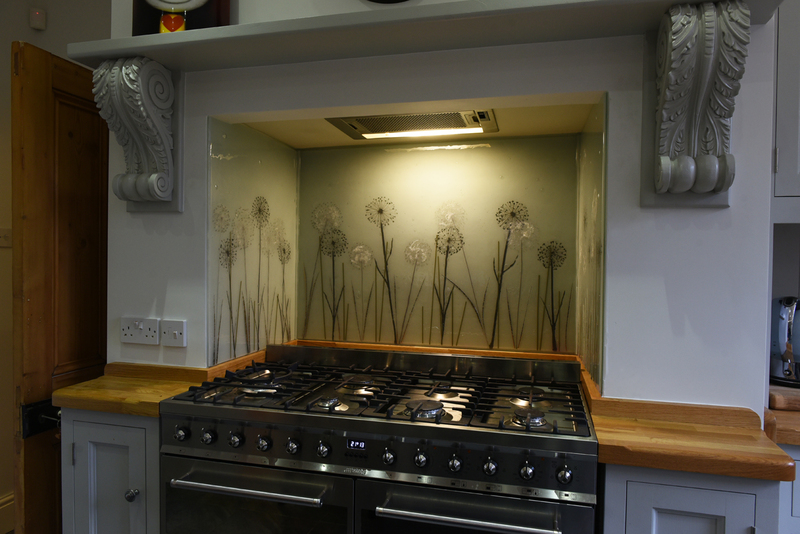 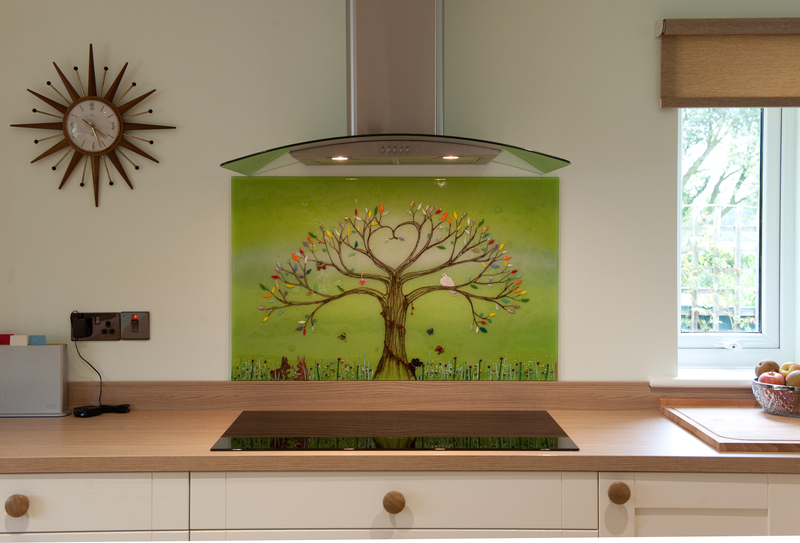 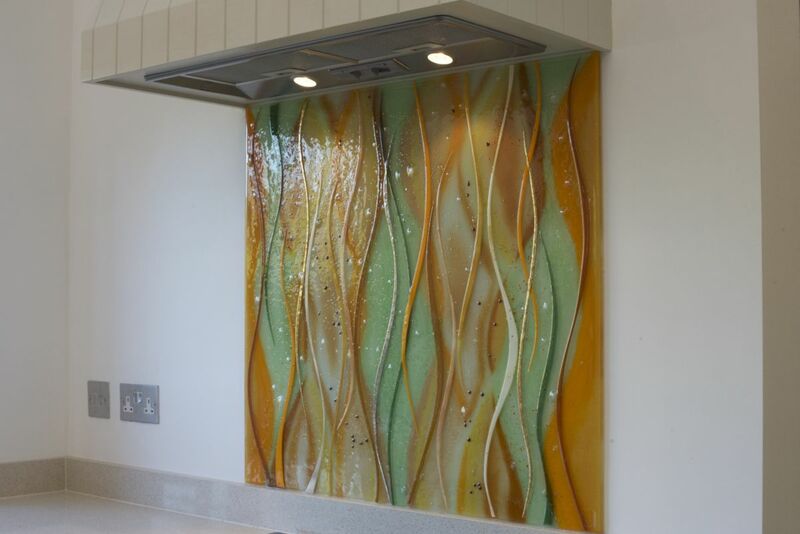 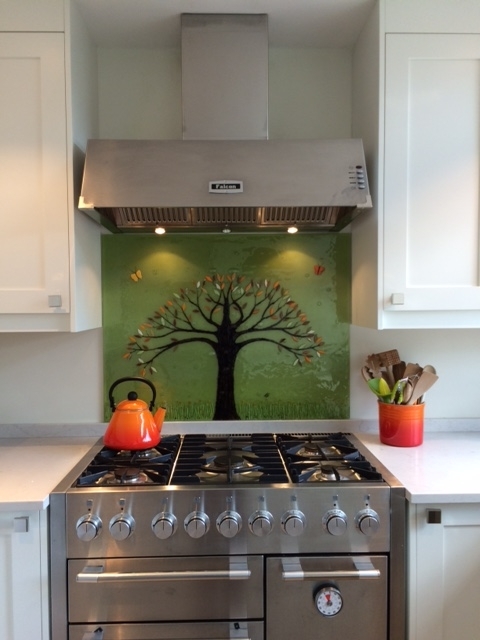 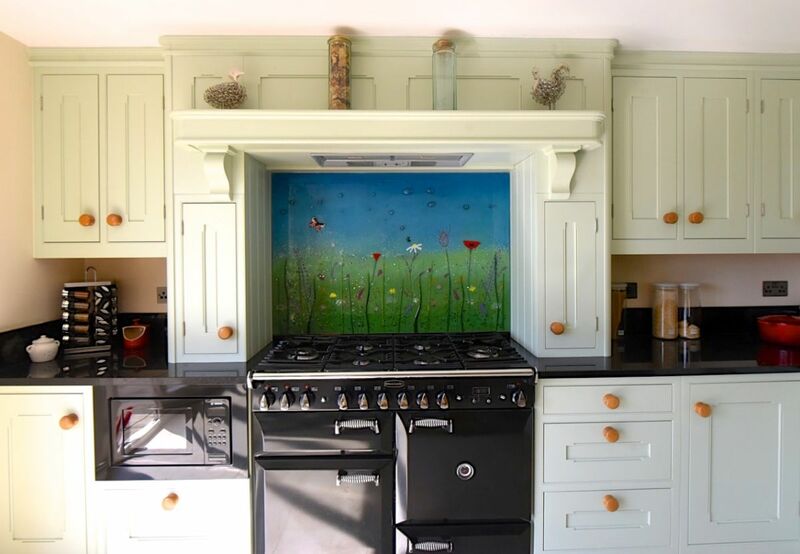 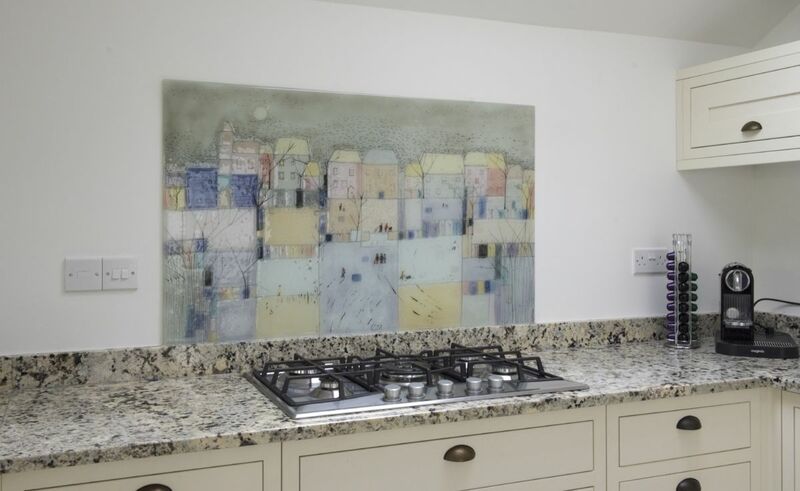 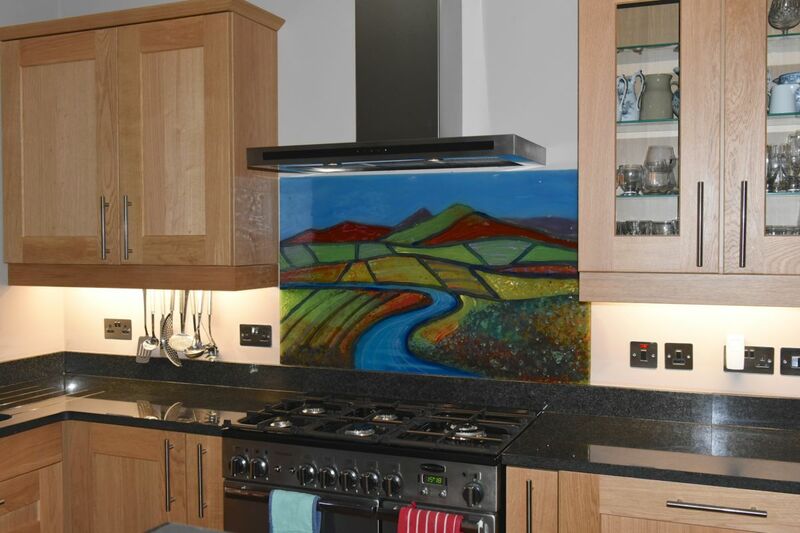 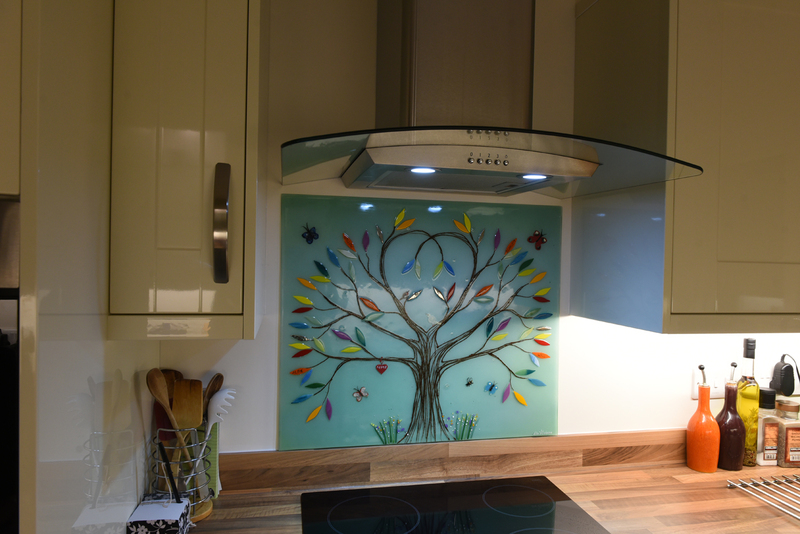 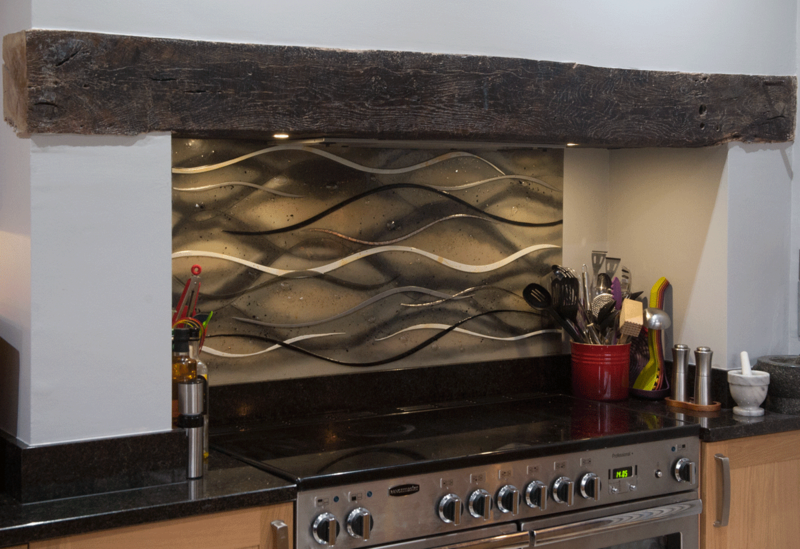 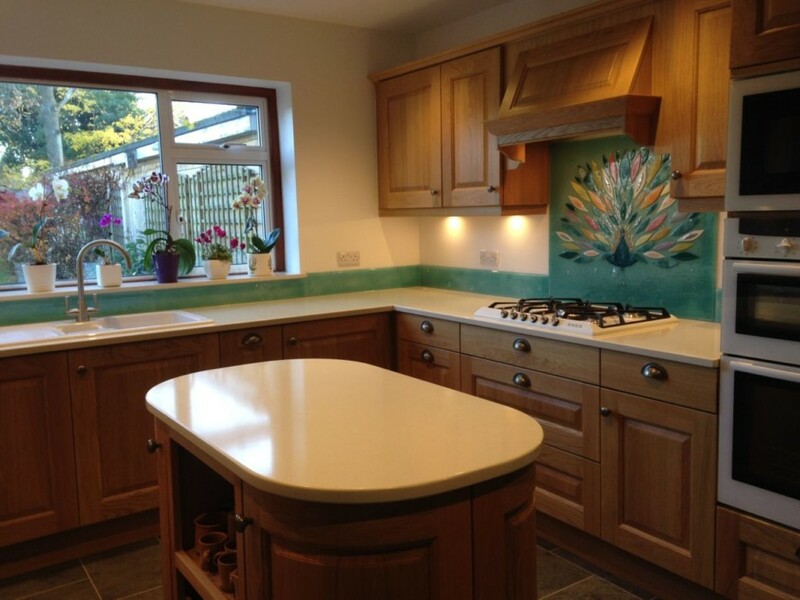 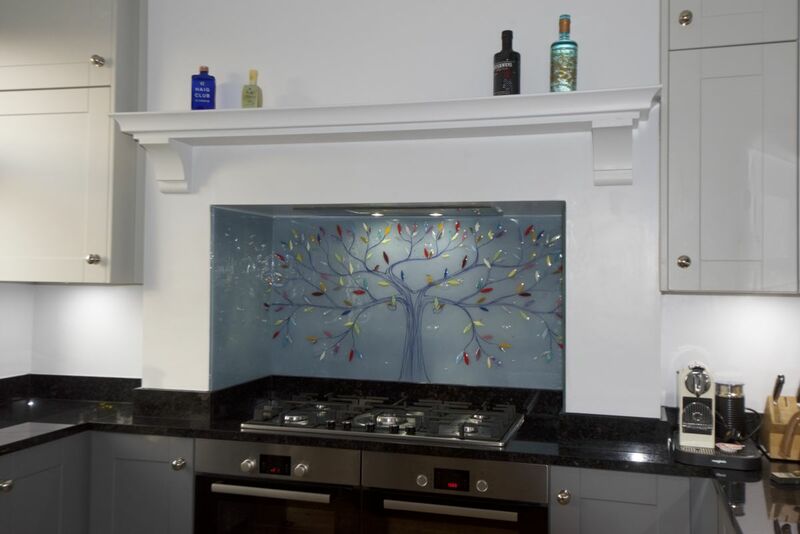 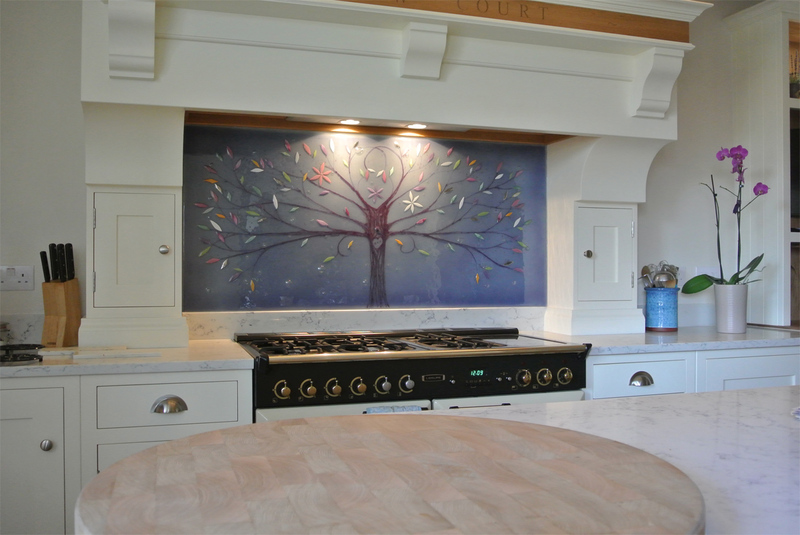 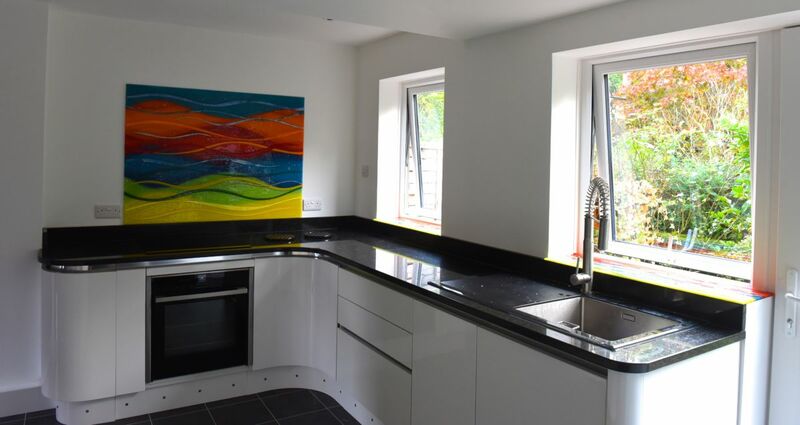 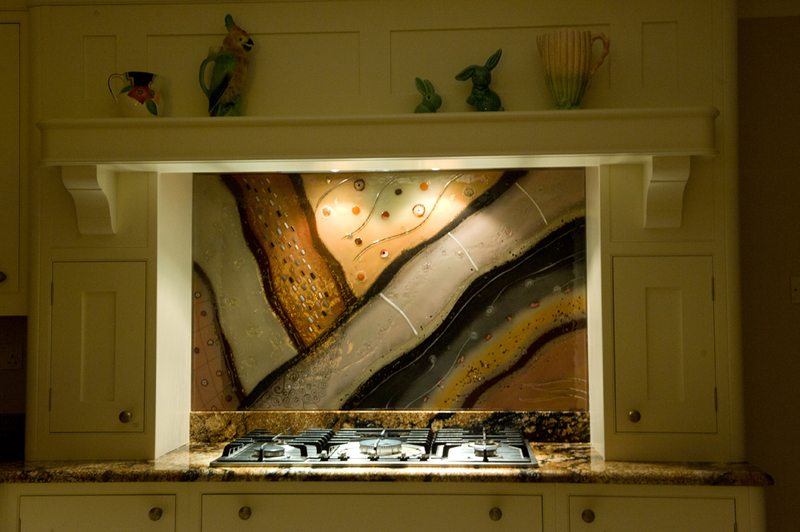 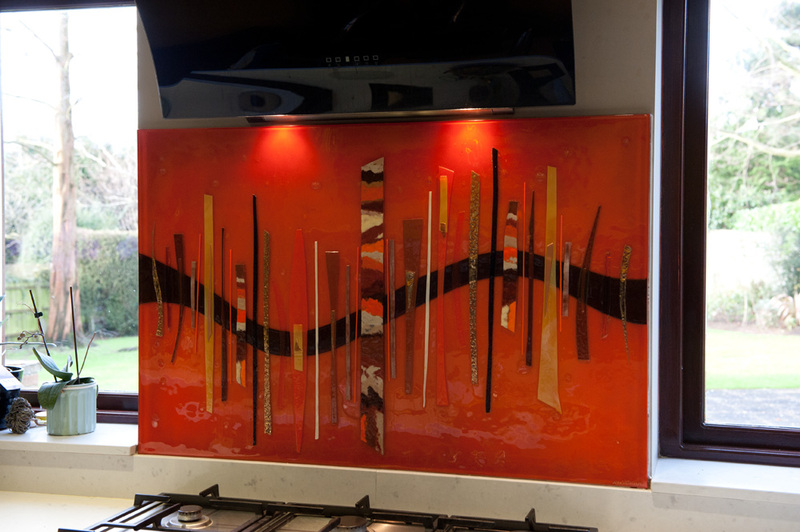 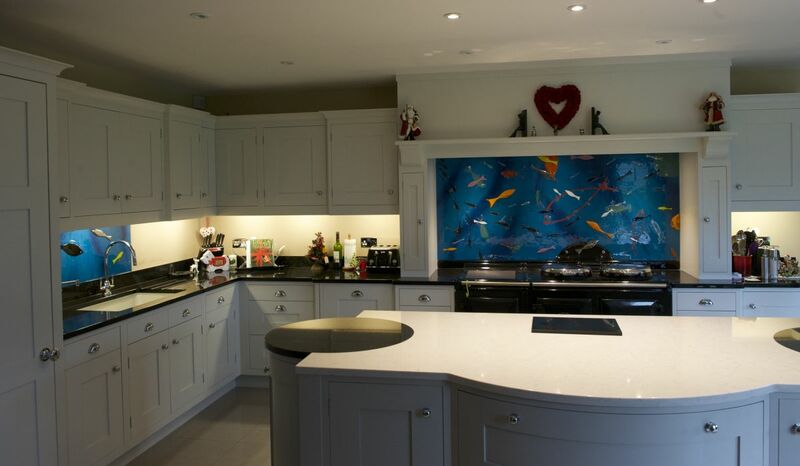 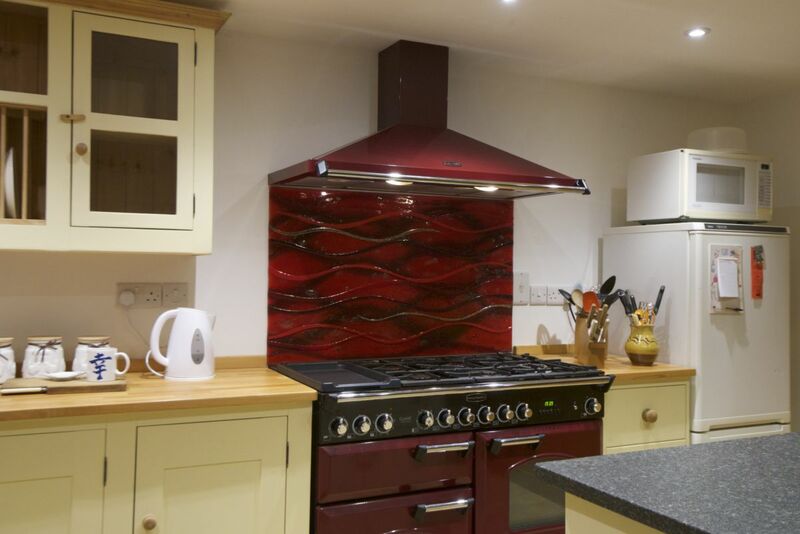 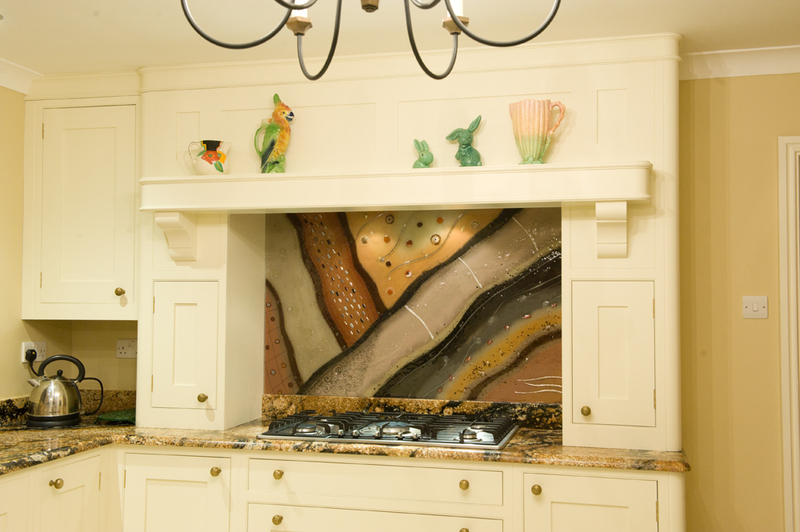 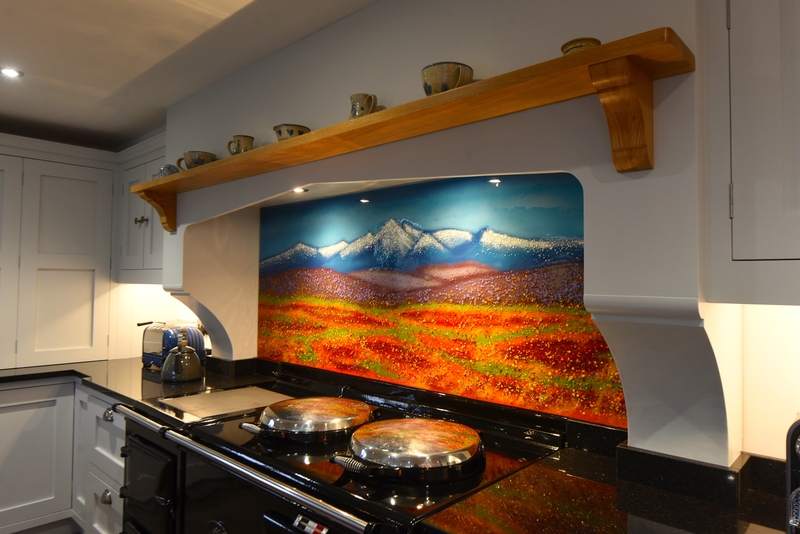 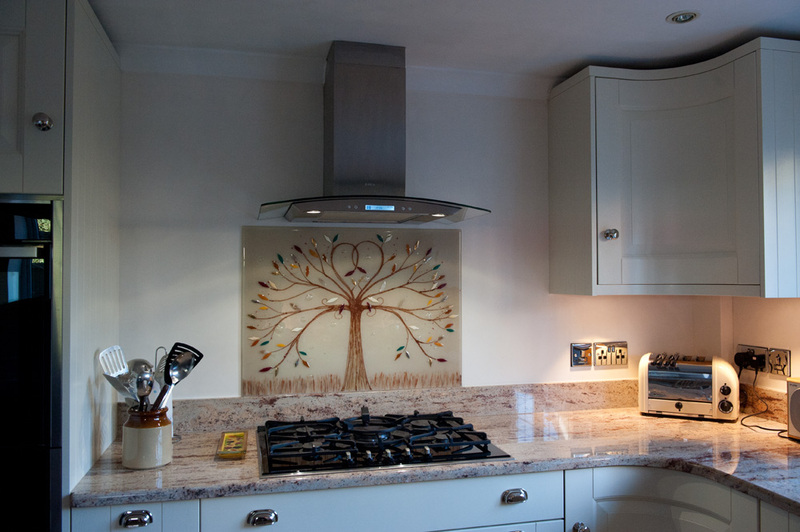 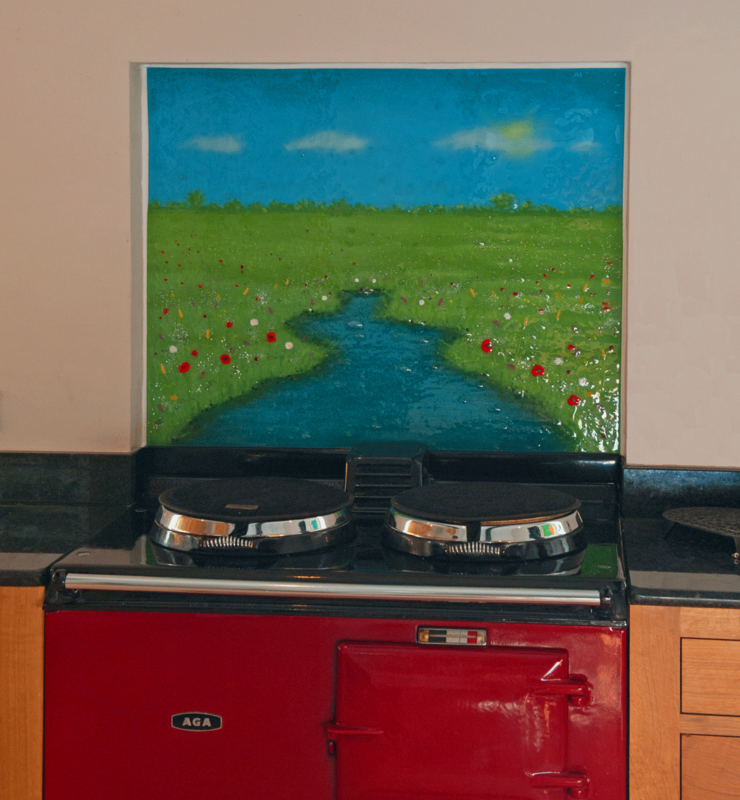 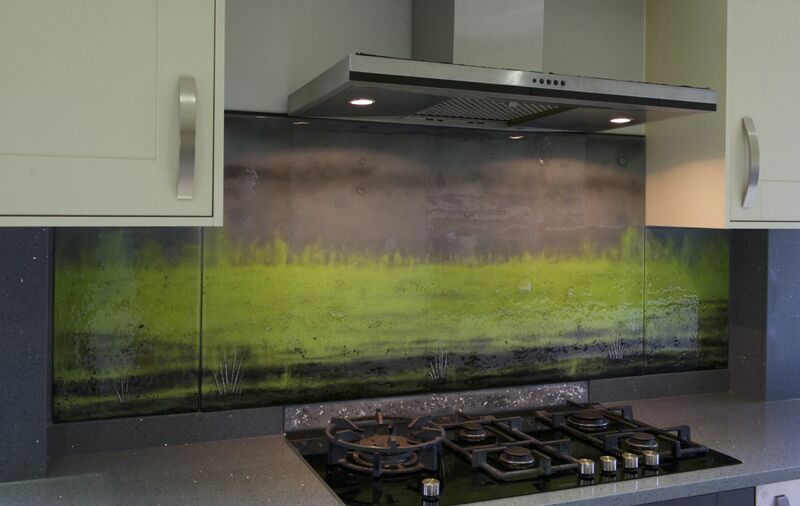 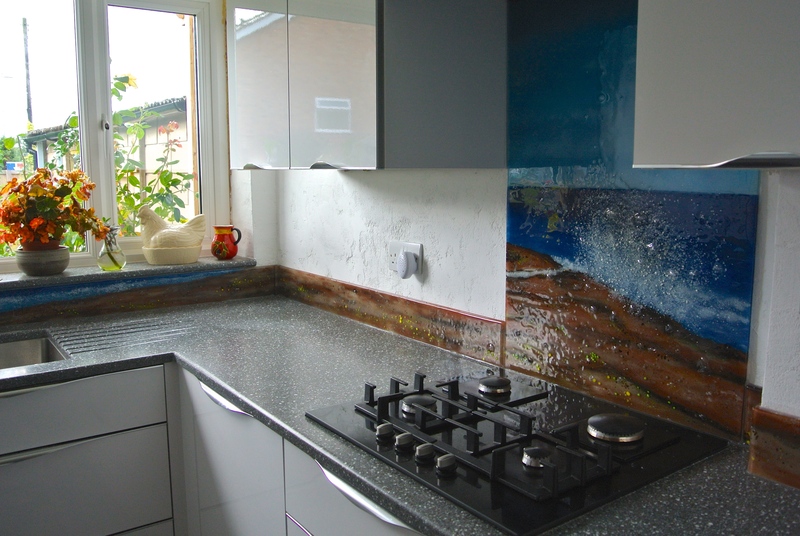 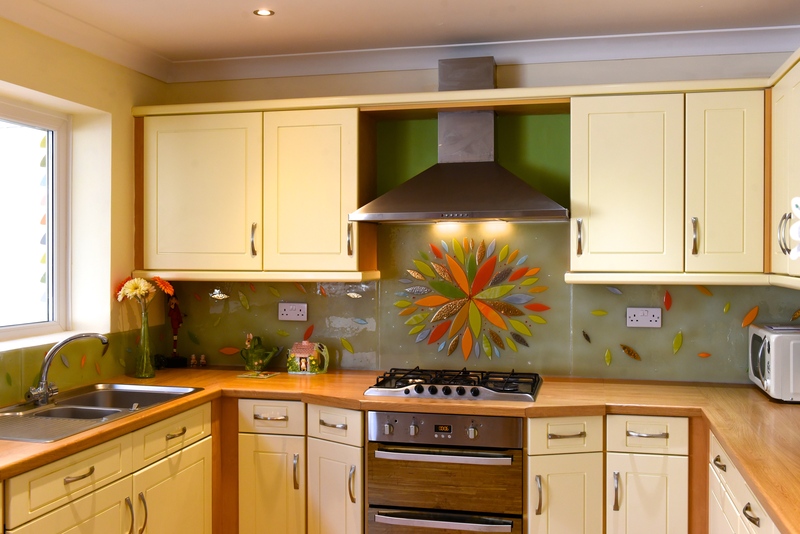 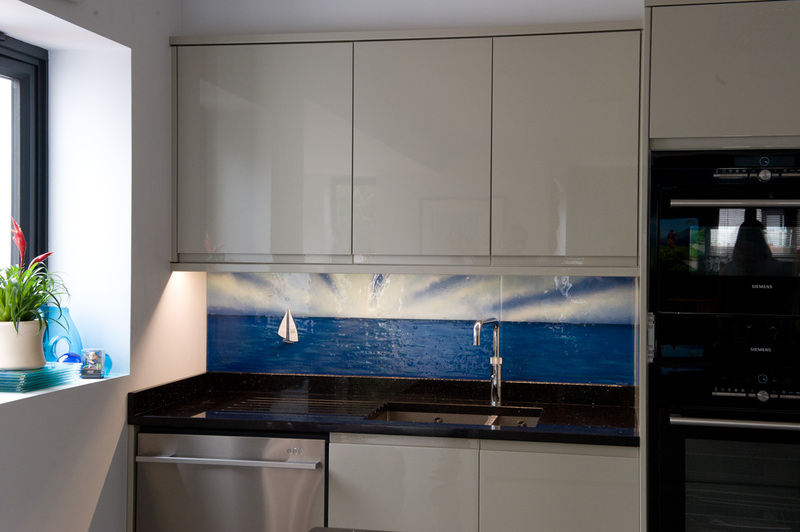 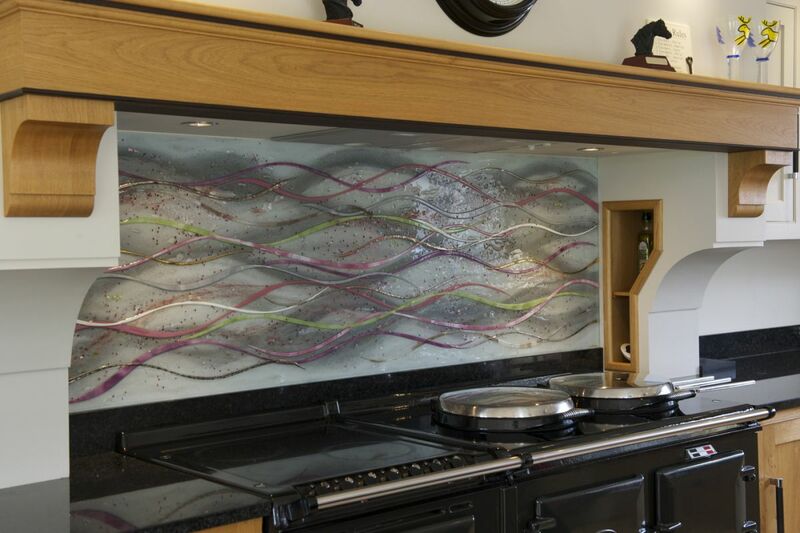 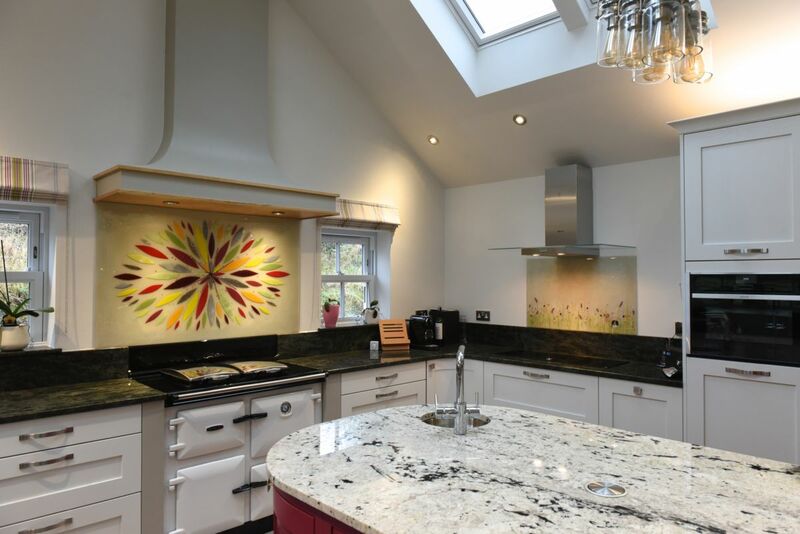 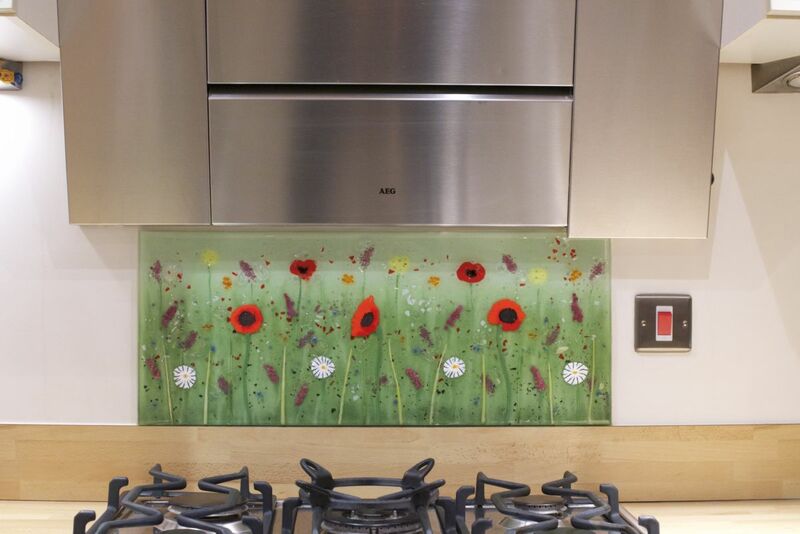 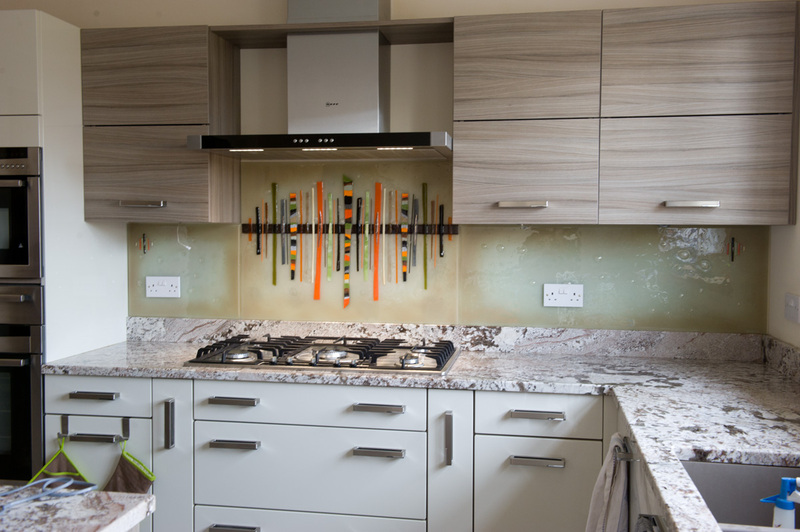 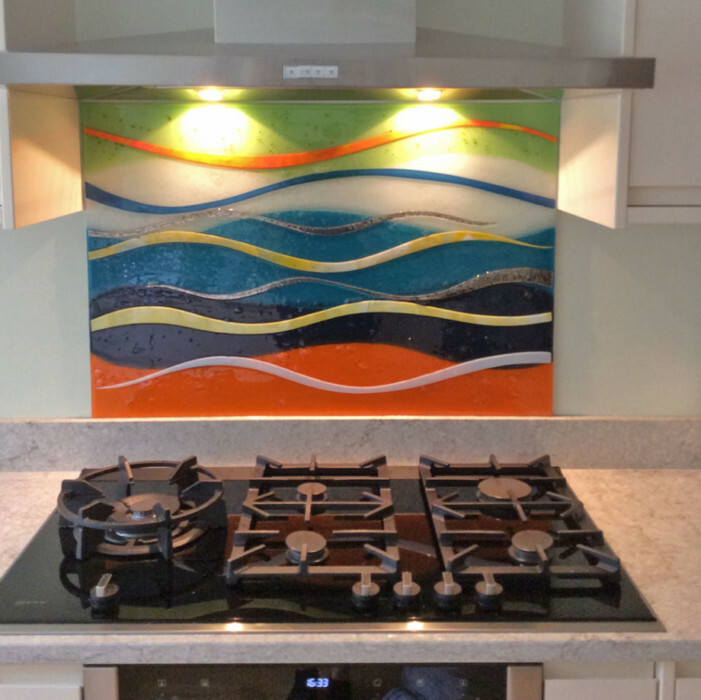 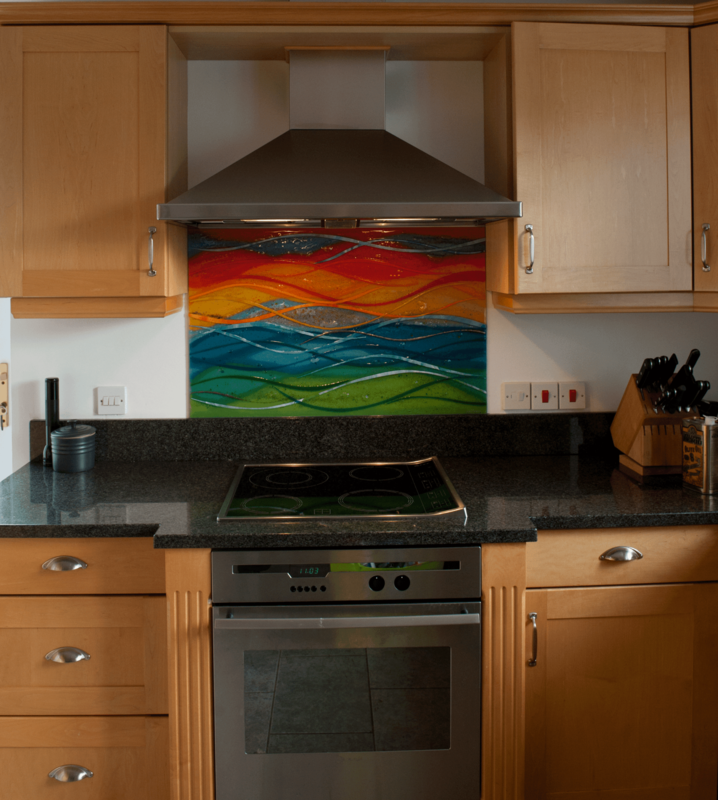 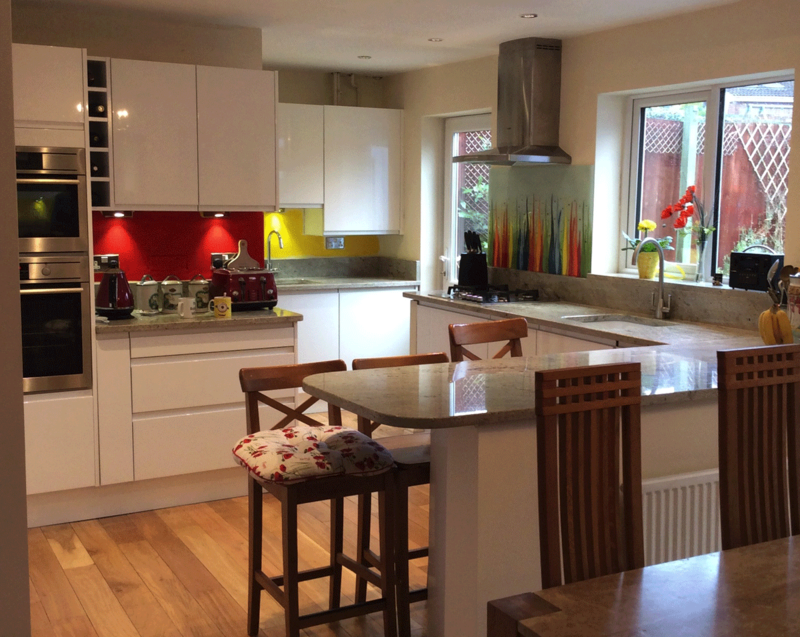 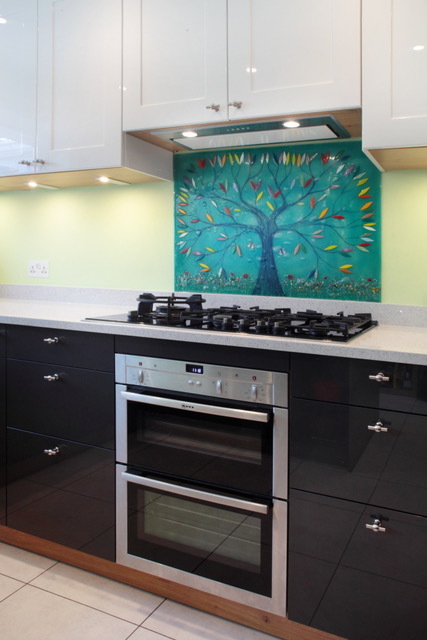 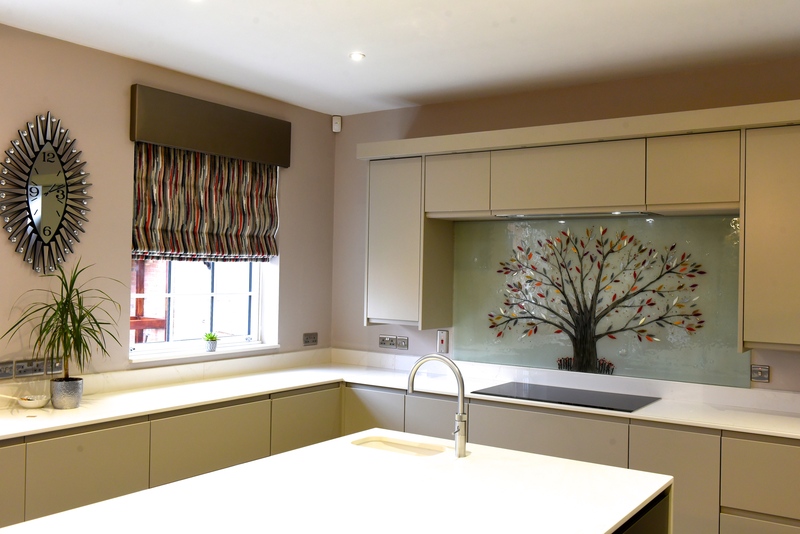 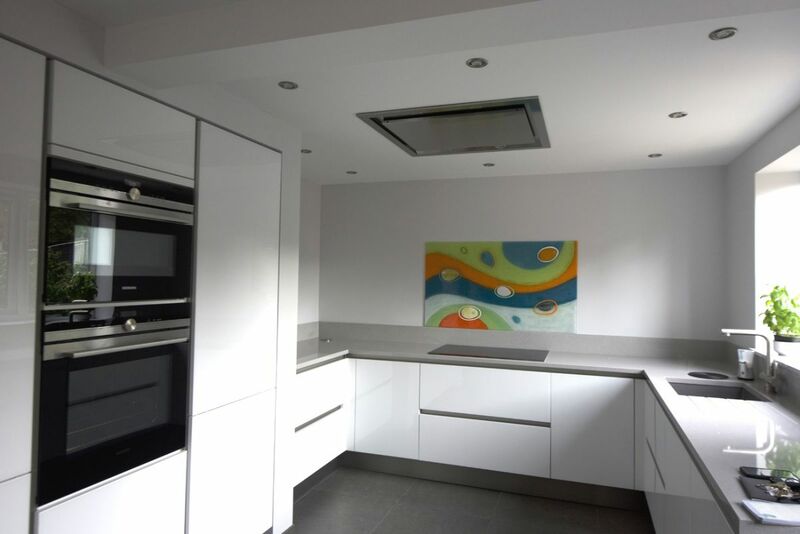 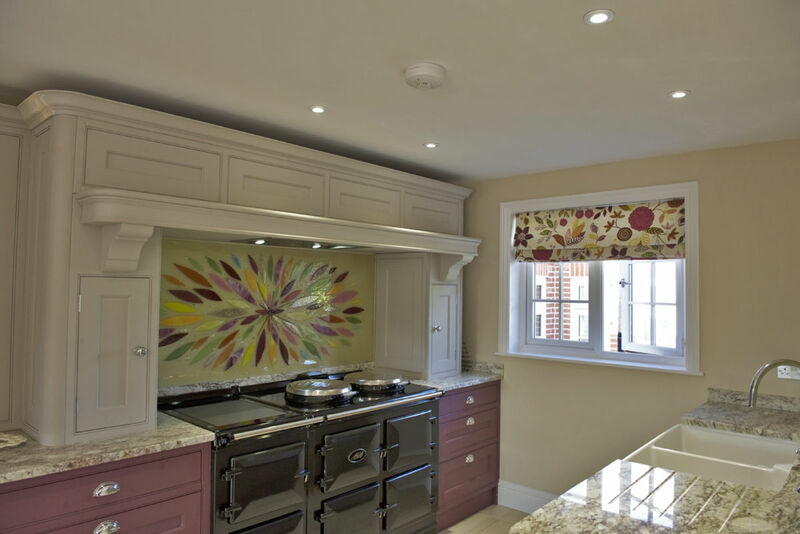 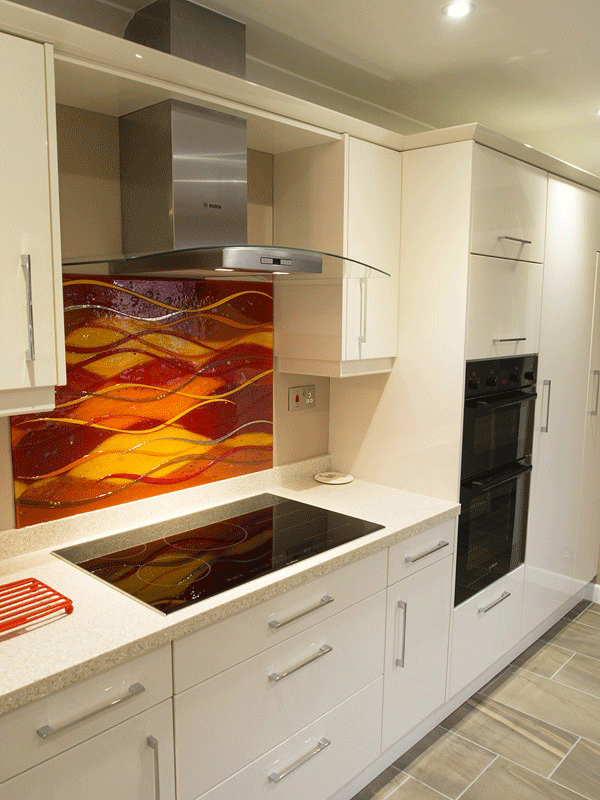 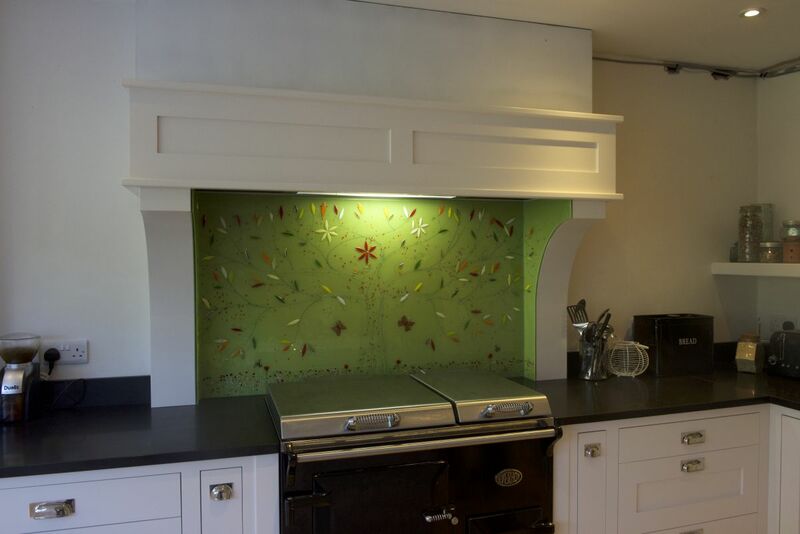 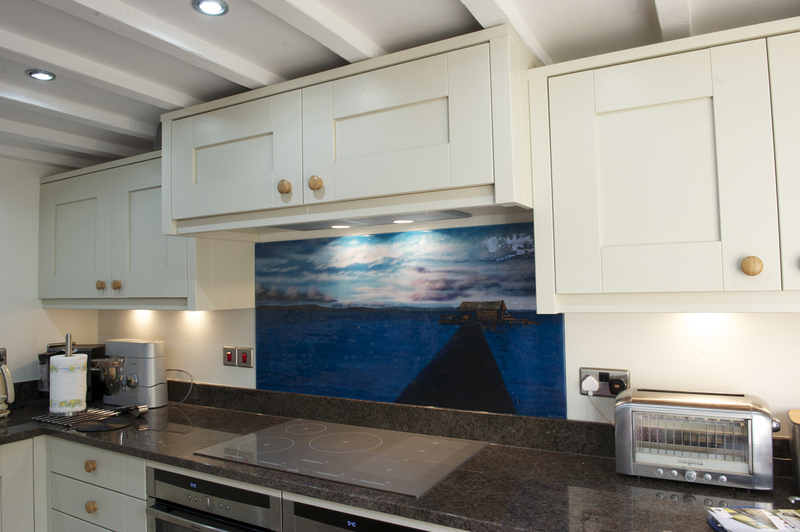 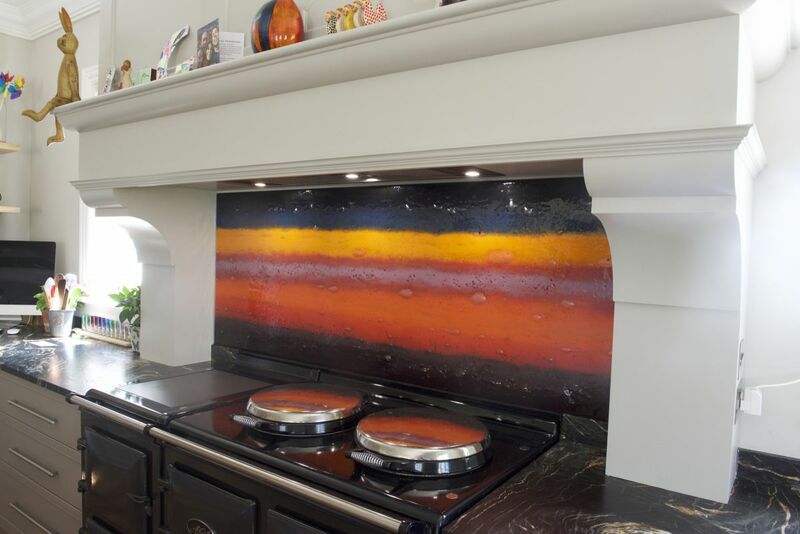 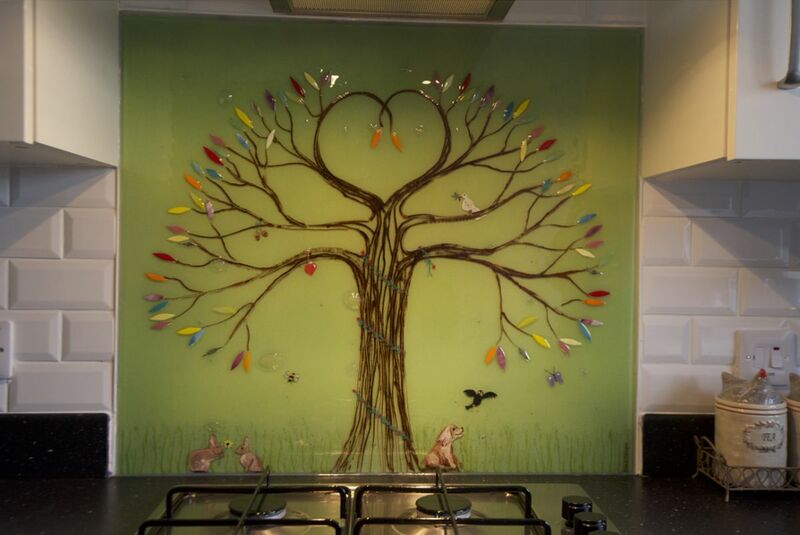 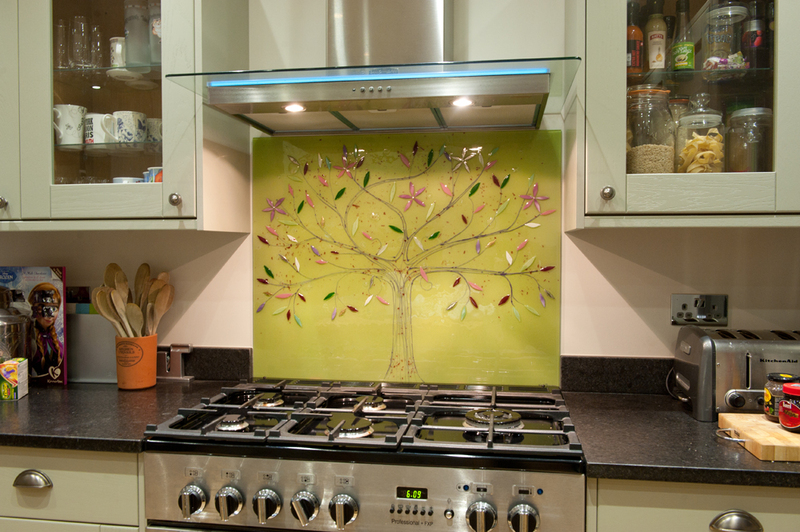 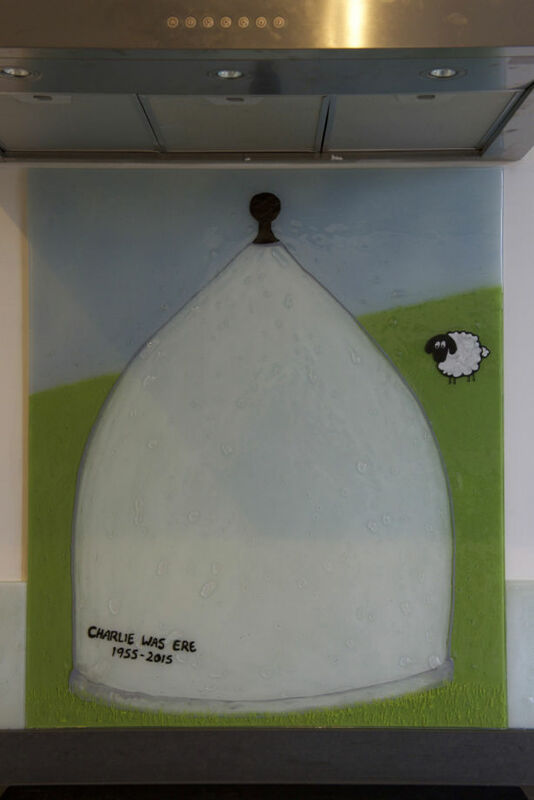 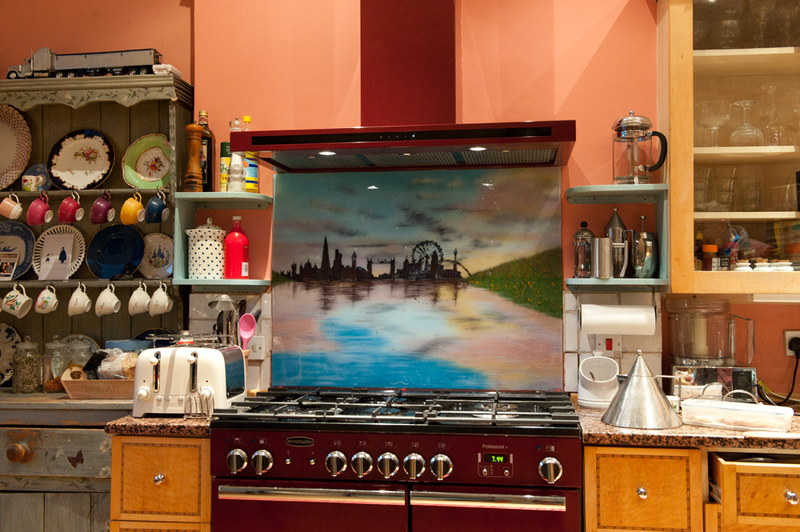 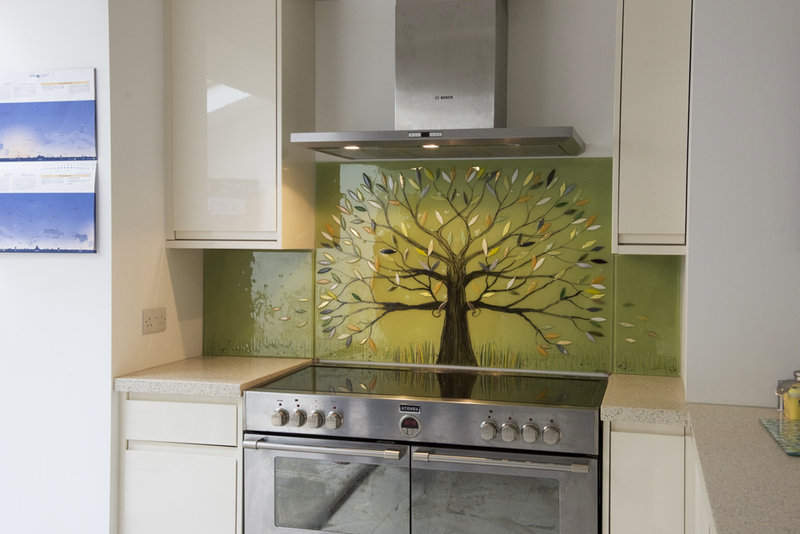 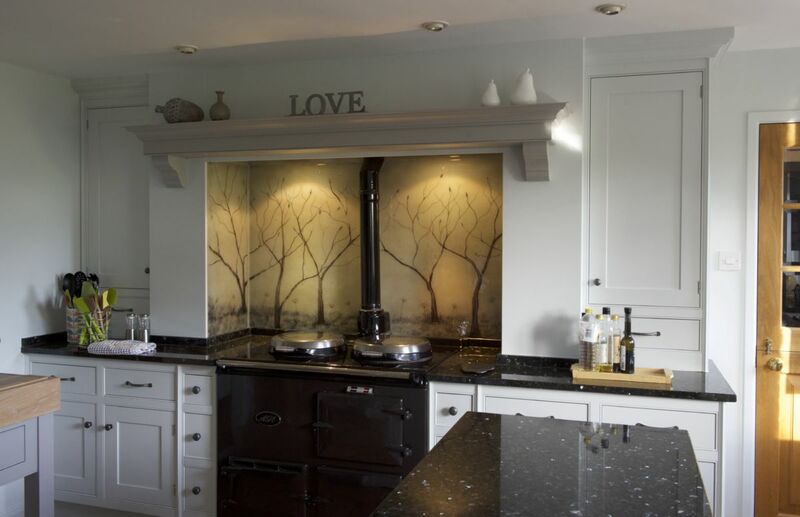 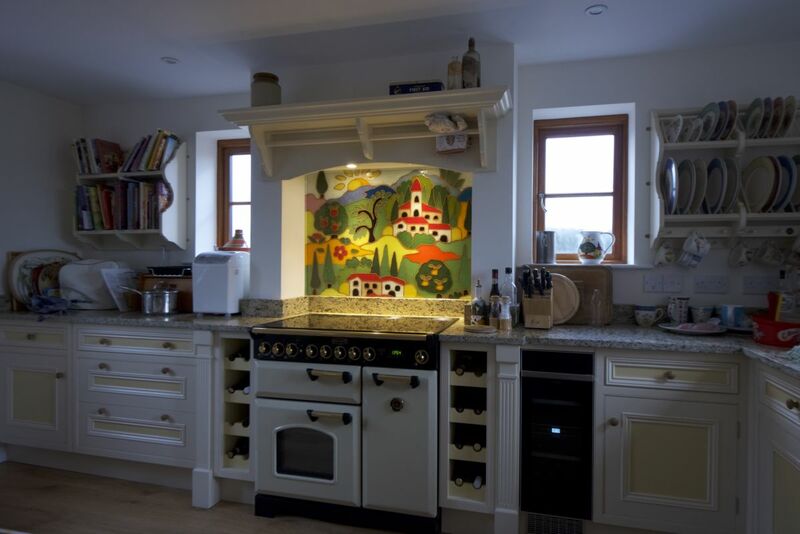 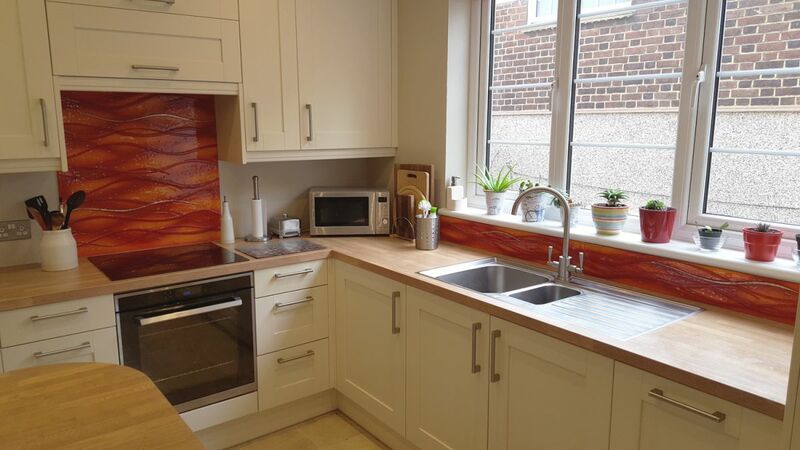 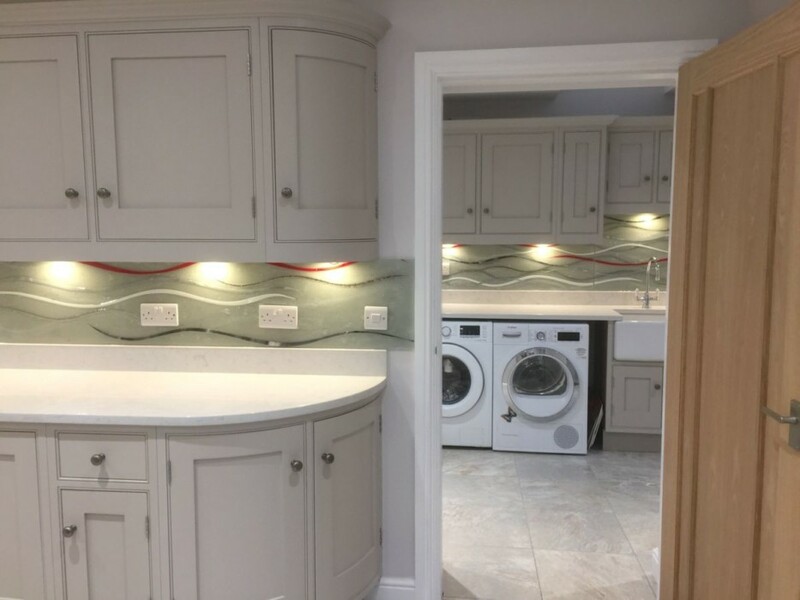 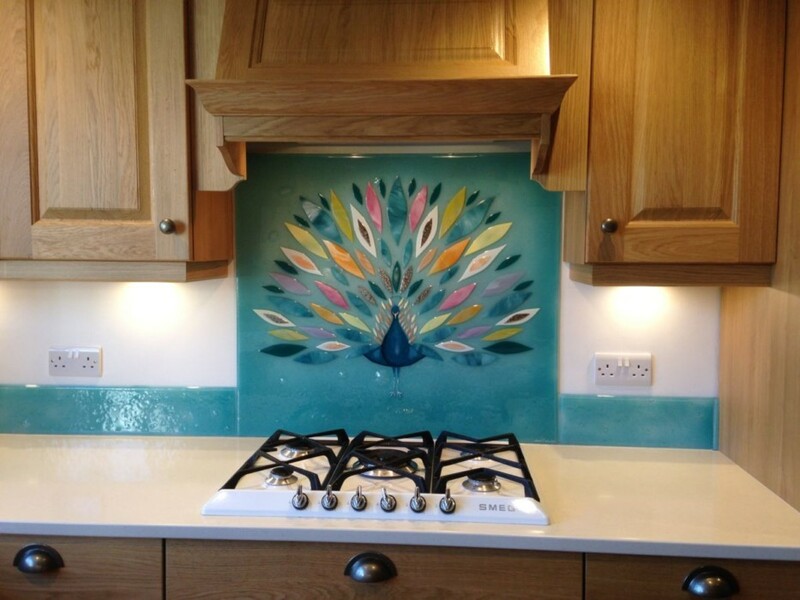 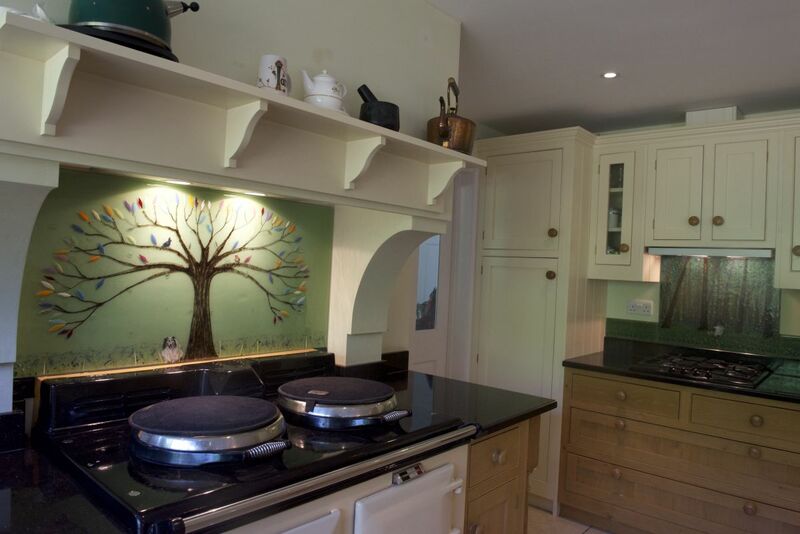 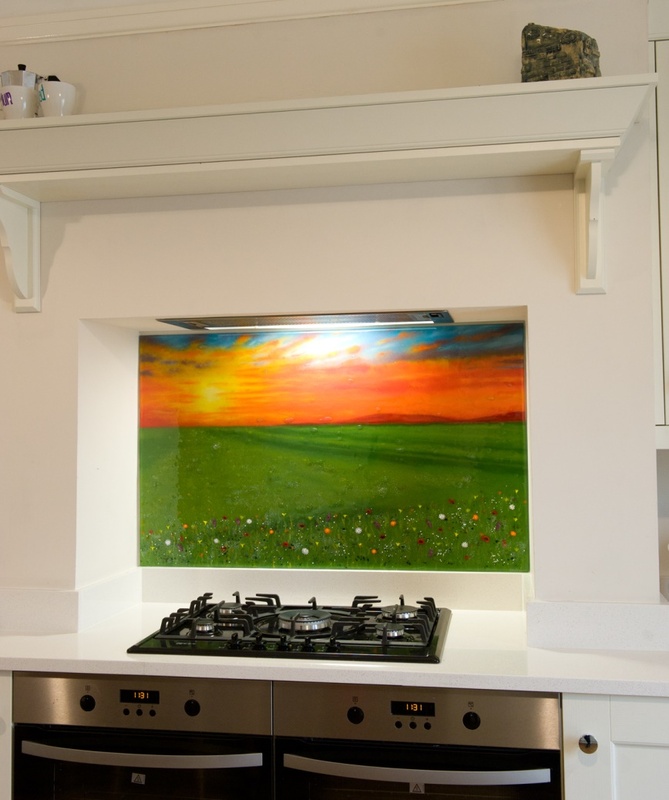 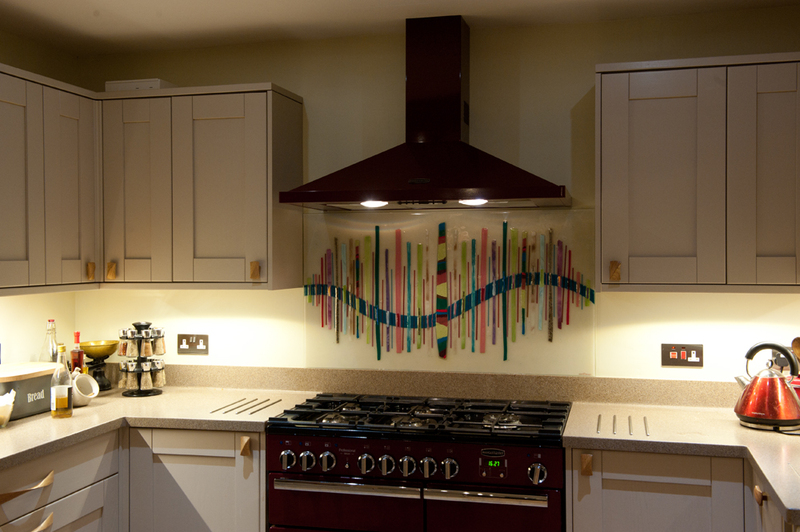 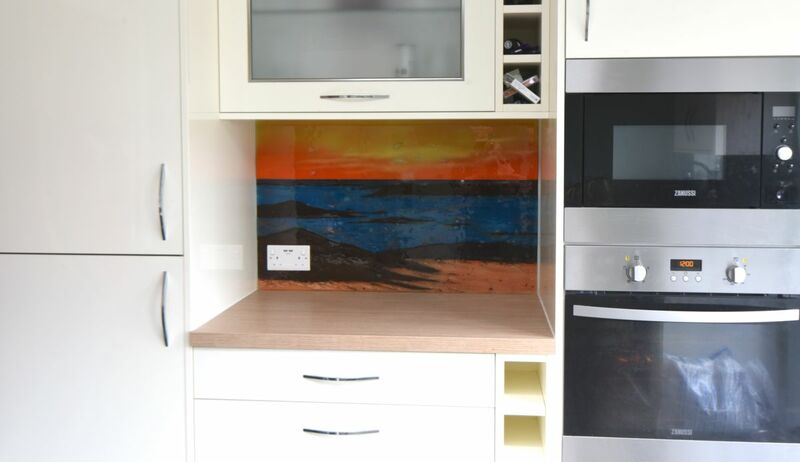 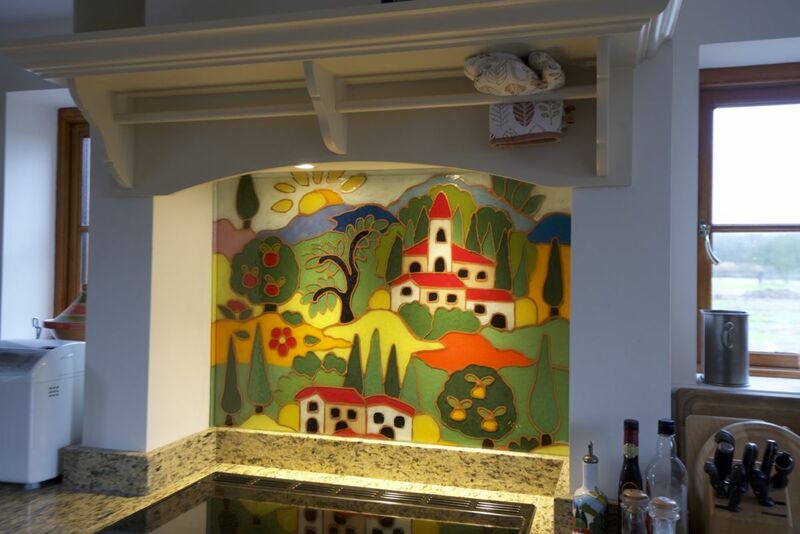 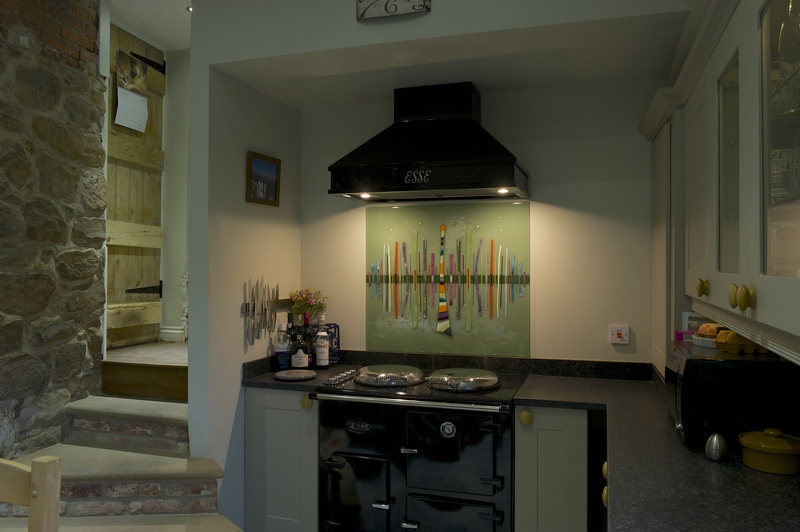 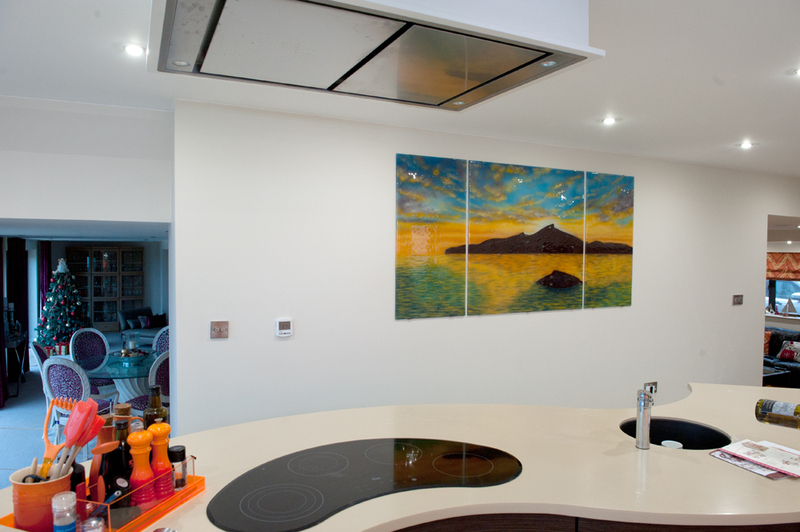 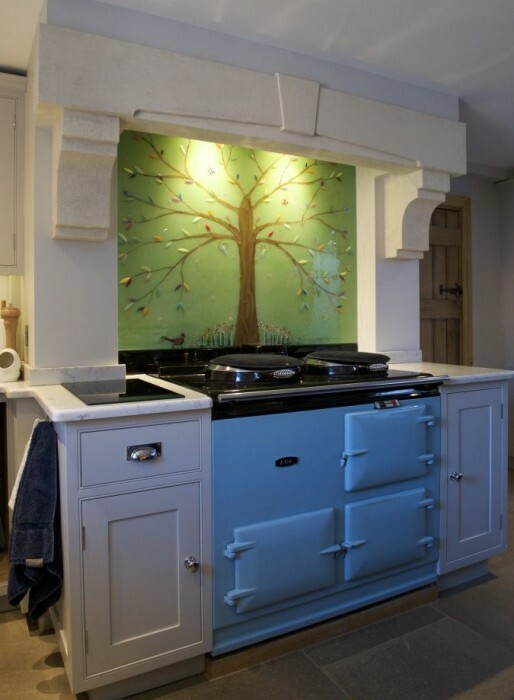 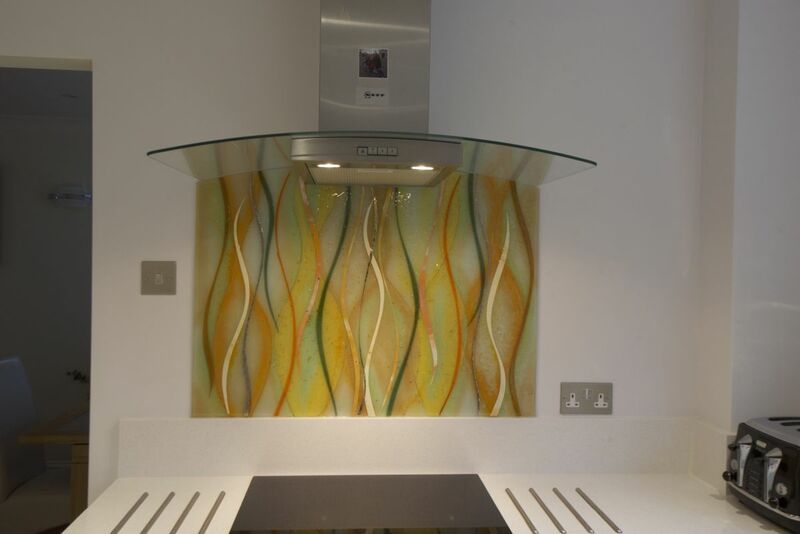 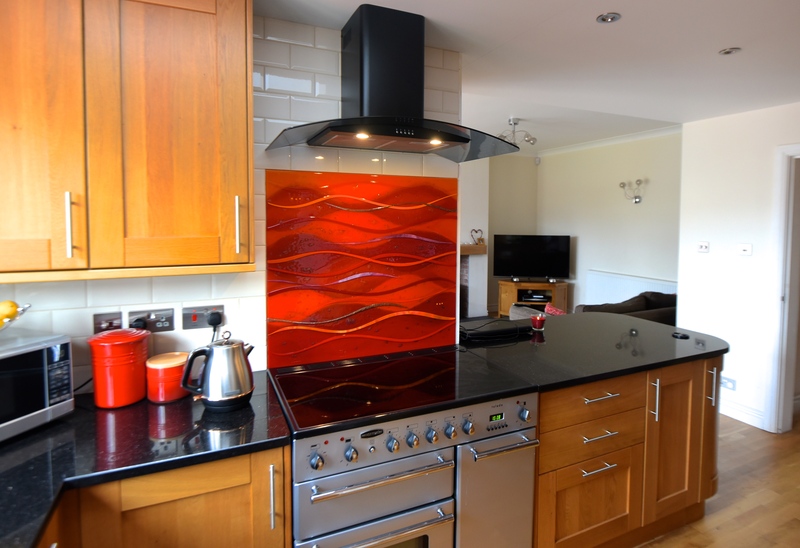 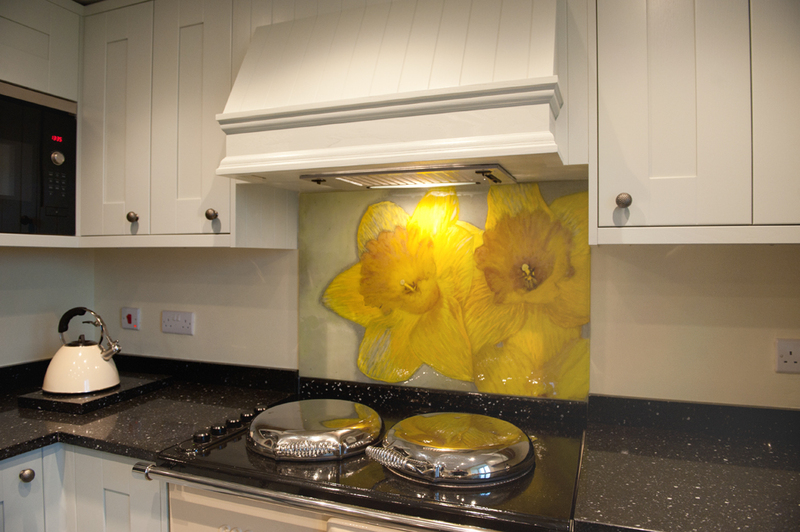 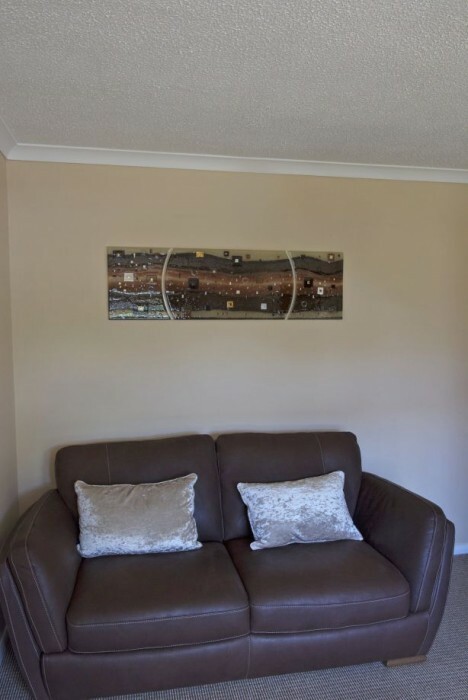 This very lovely looking, almost panoramic splashback very recently found a home in Tickhill, Doncaster. 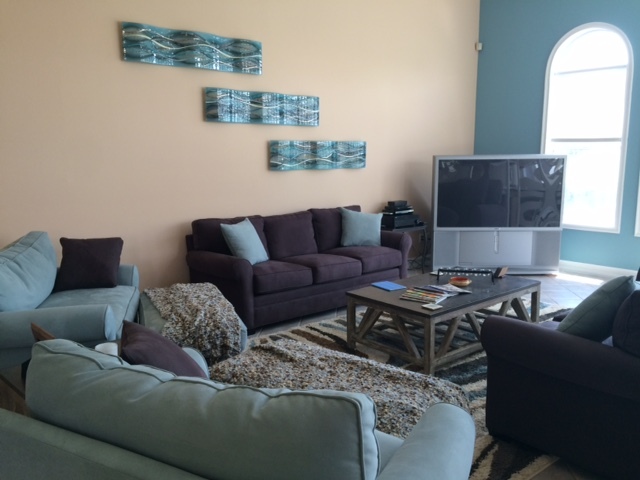 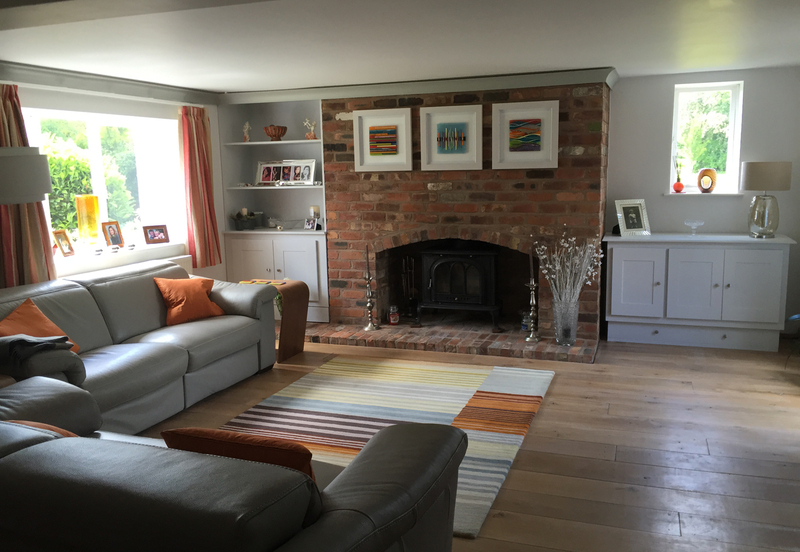 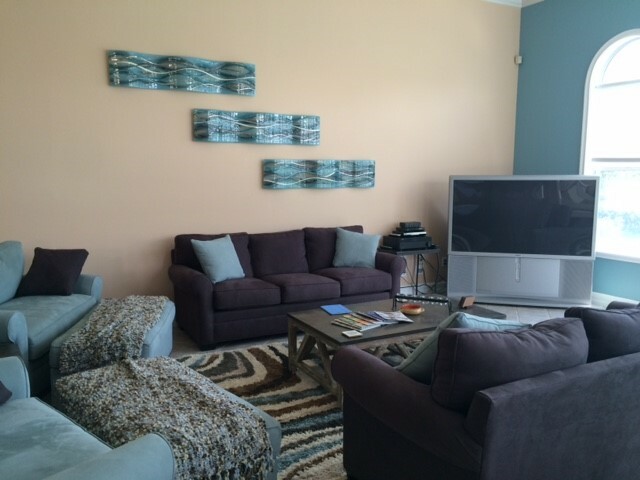 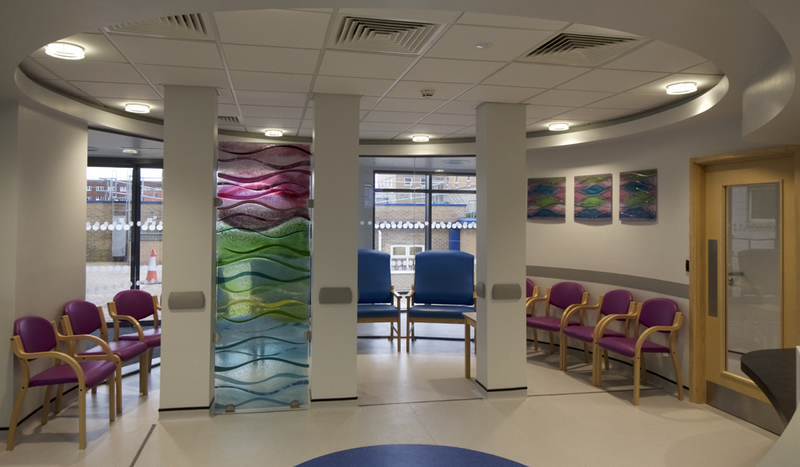 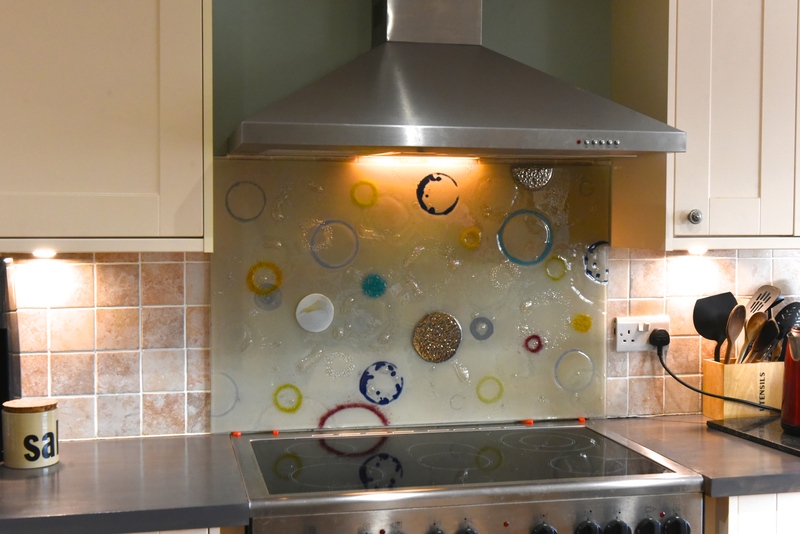 We absolutely loved the way that it looked when the end result was installed, so needless to say, we had to make a blog post about it. 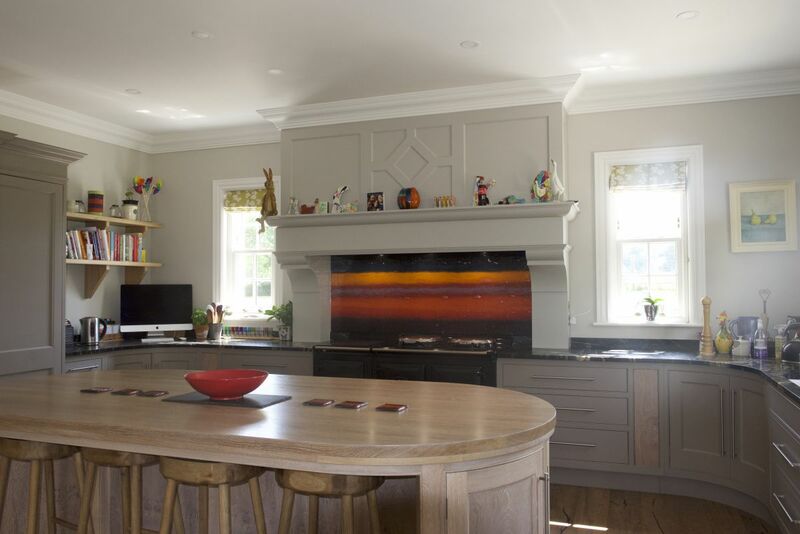 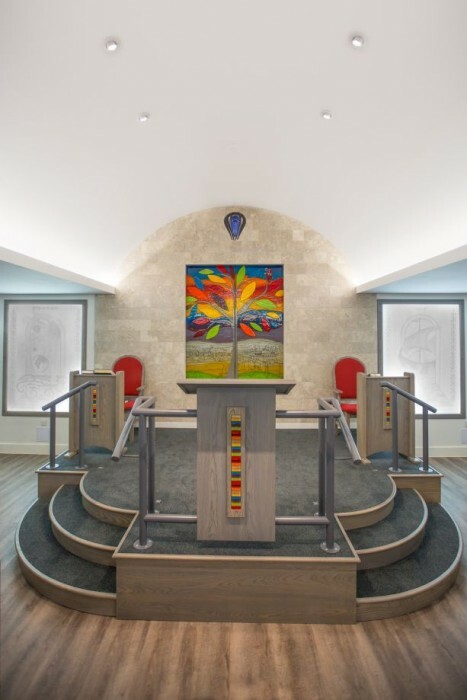 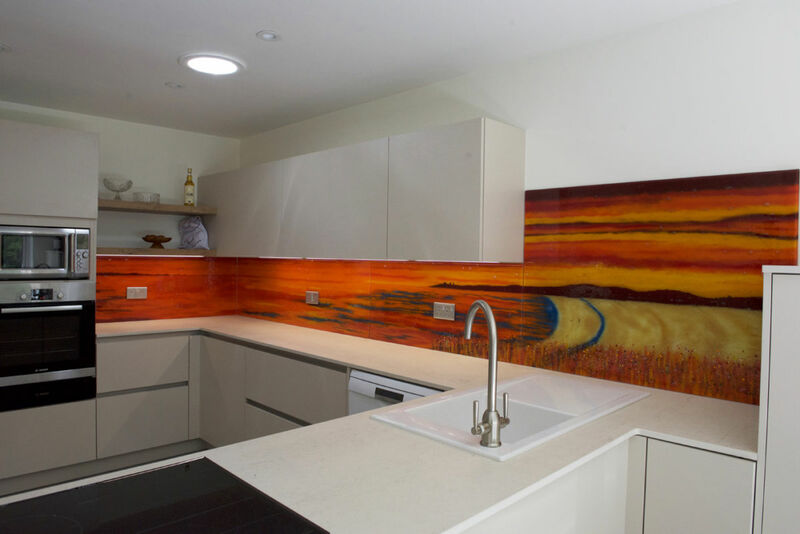 The design features a wide spectrum of warm colours, from burning orange hues and darker red accents all the way to bright white and radiant yellow accents which give a palpable glow to the horizon. 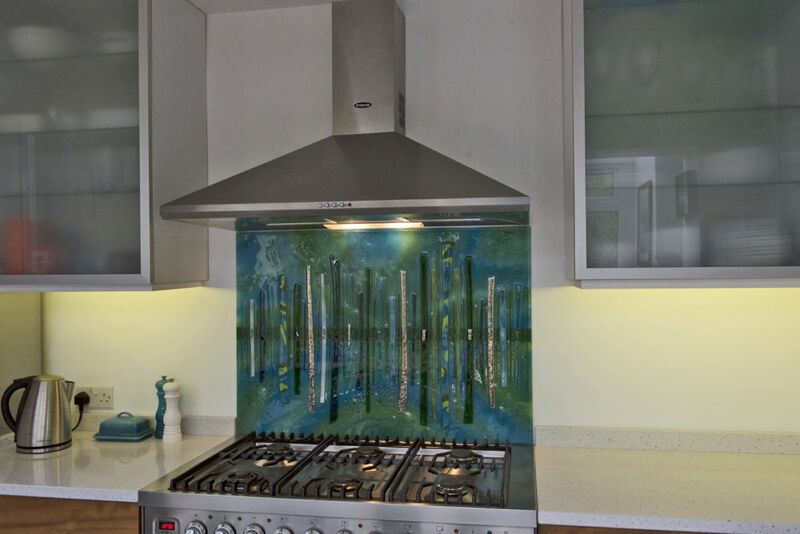 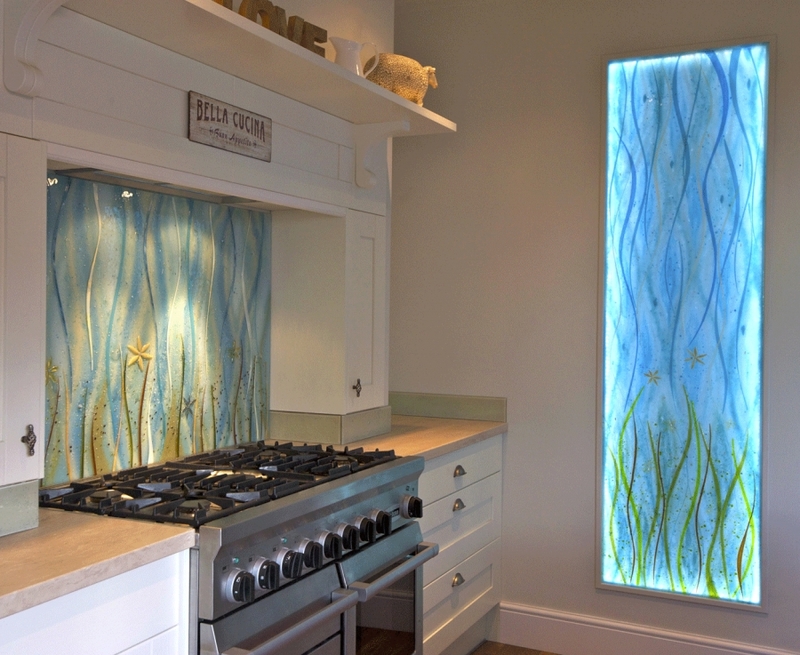 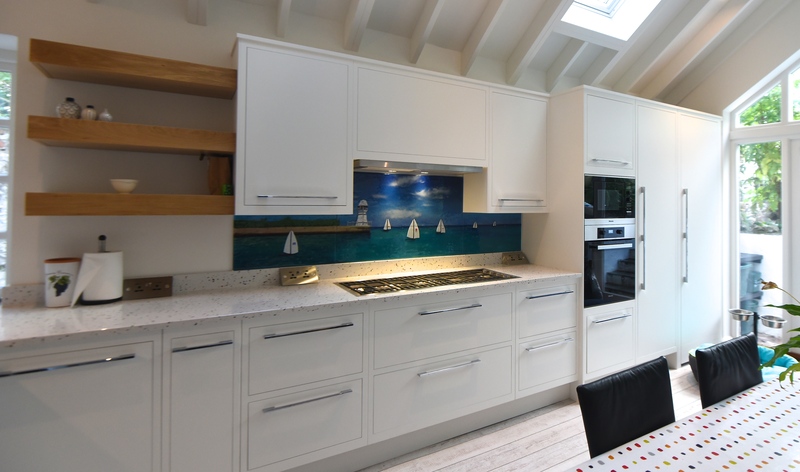 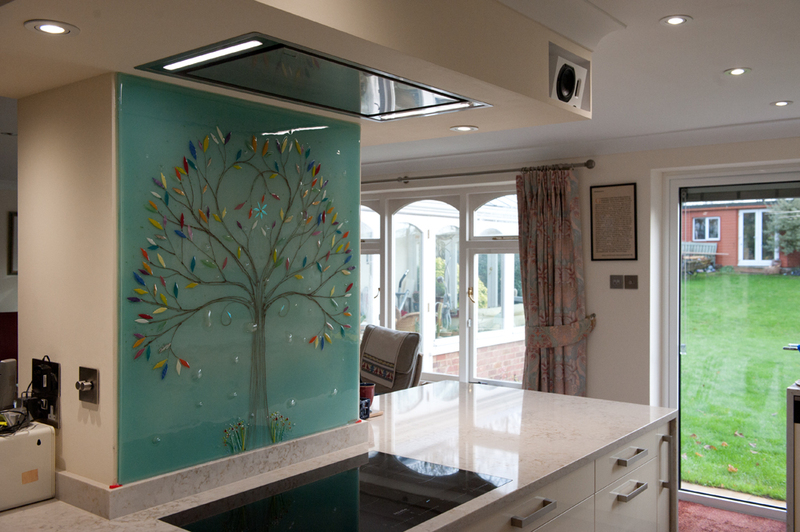 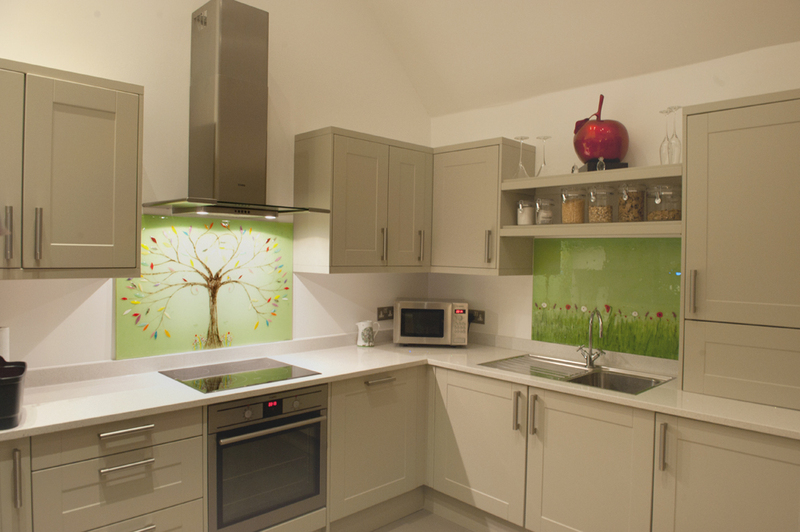 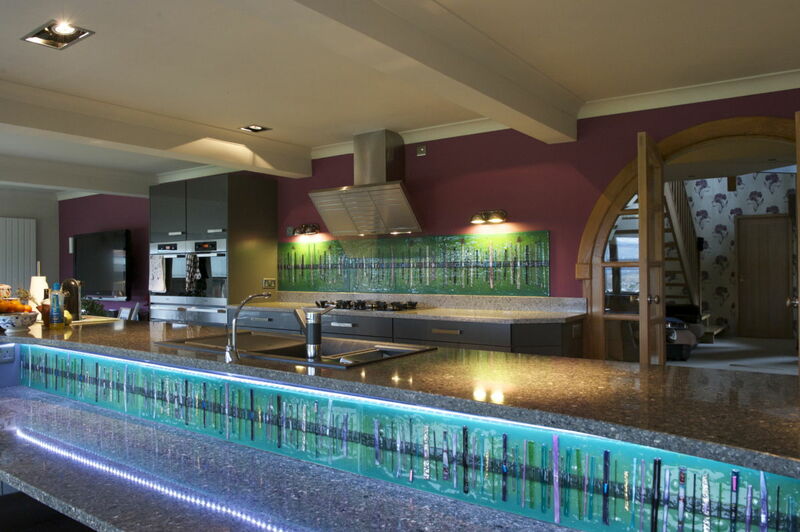 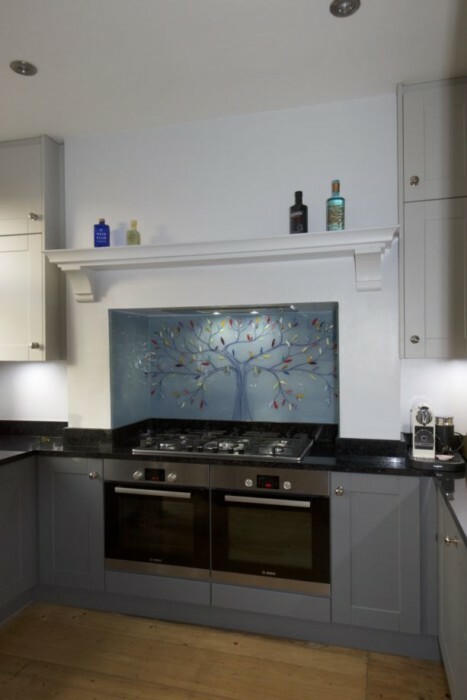 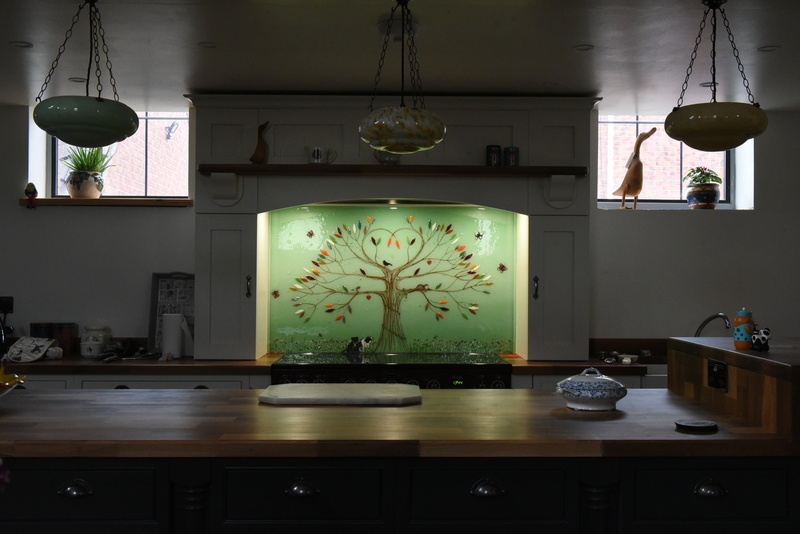 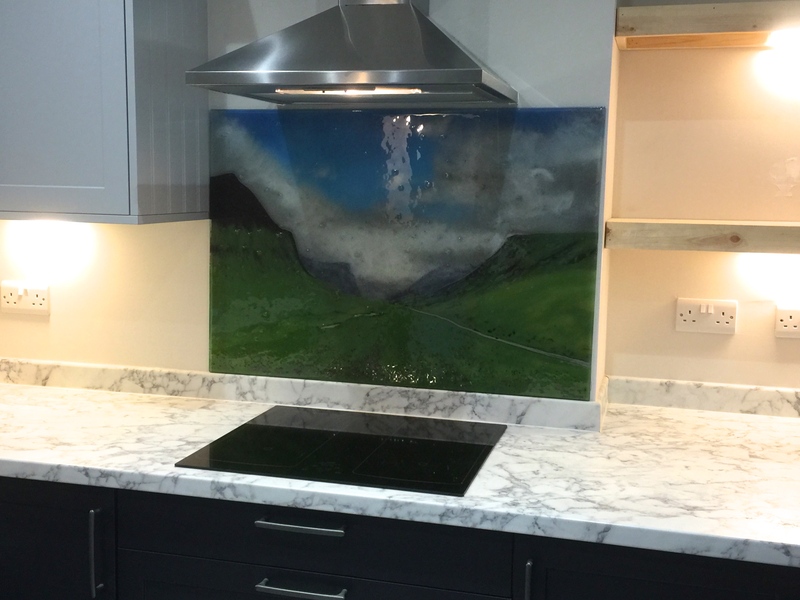 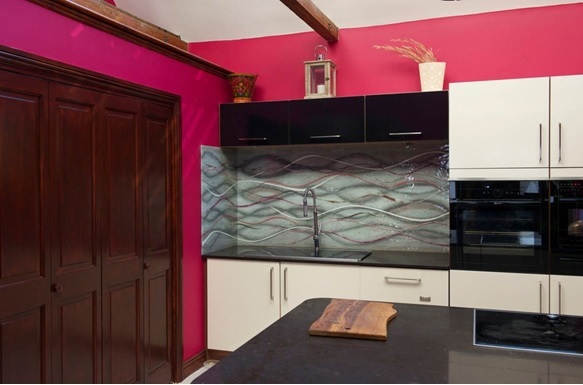 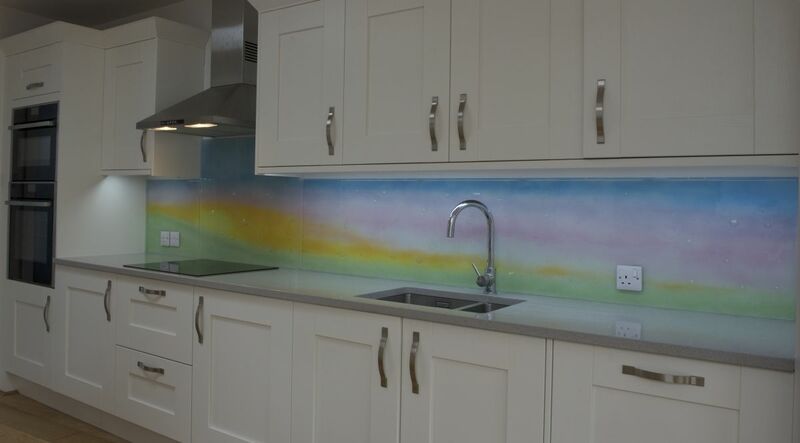 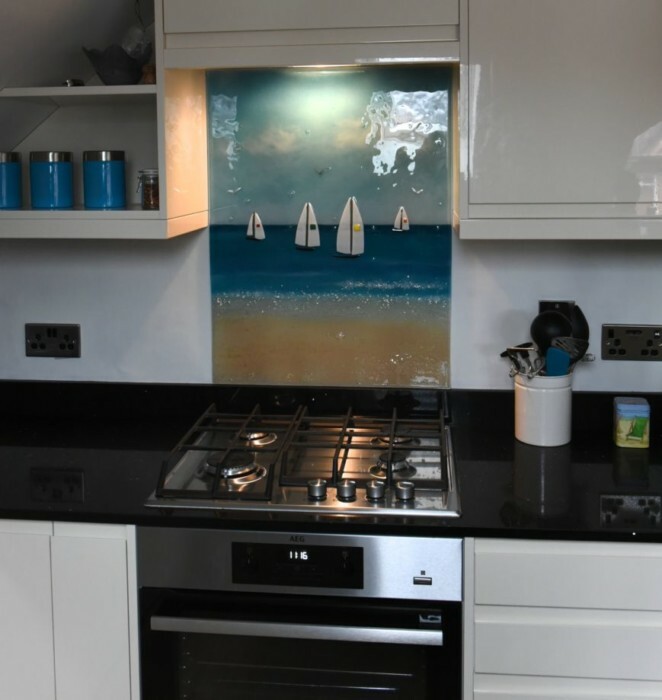 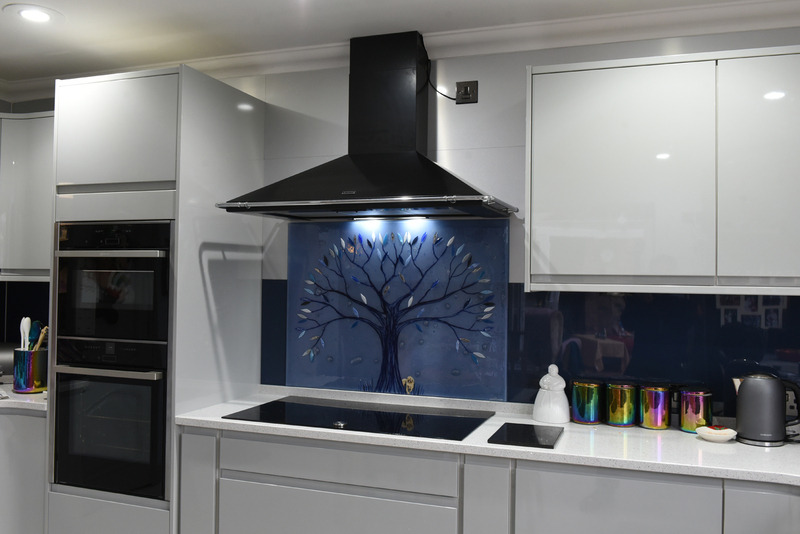 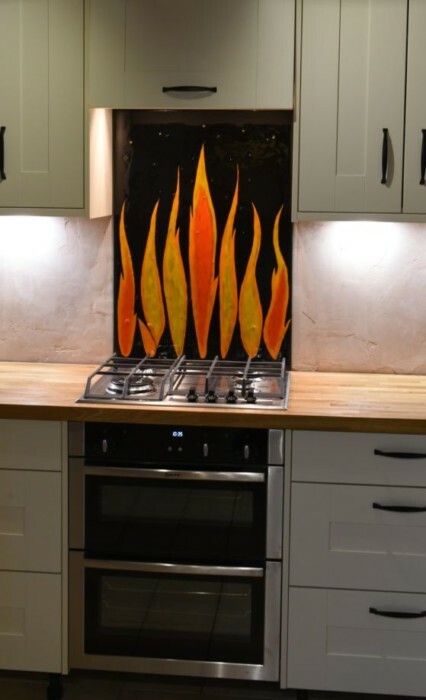 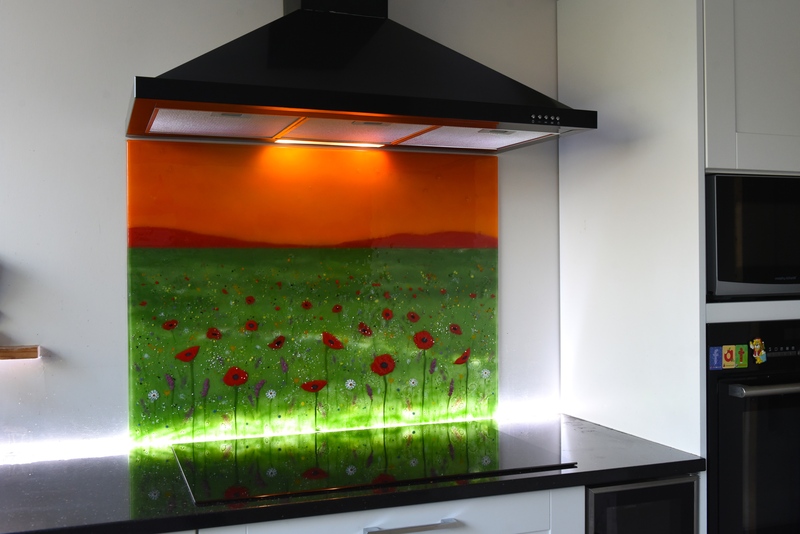 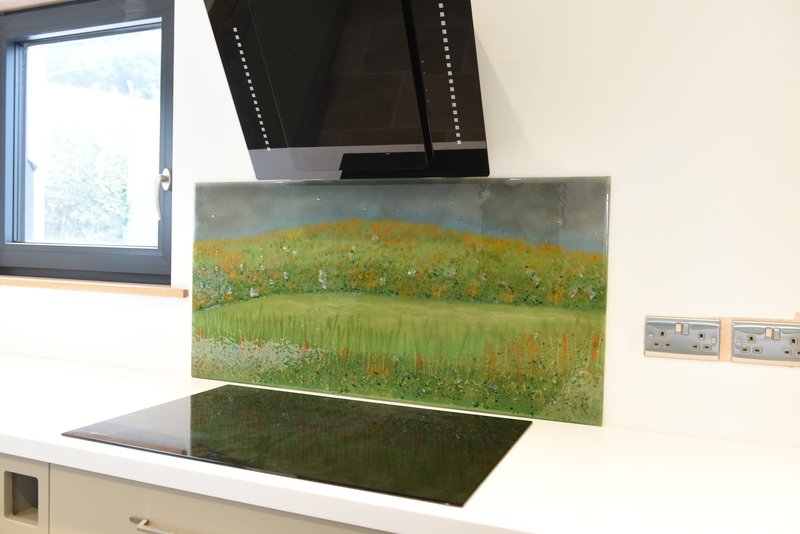 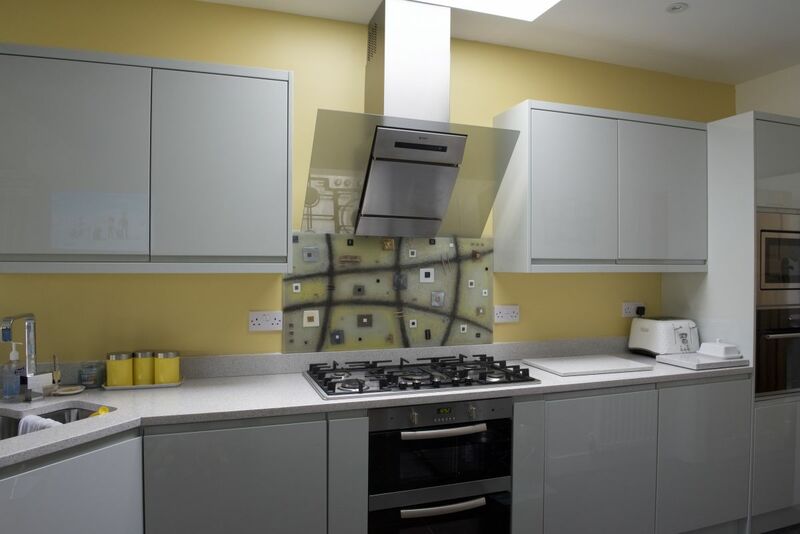 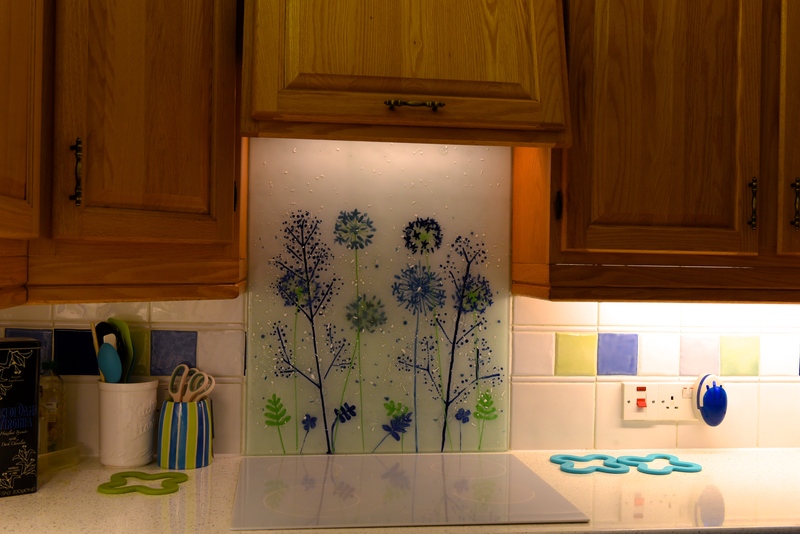 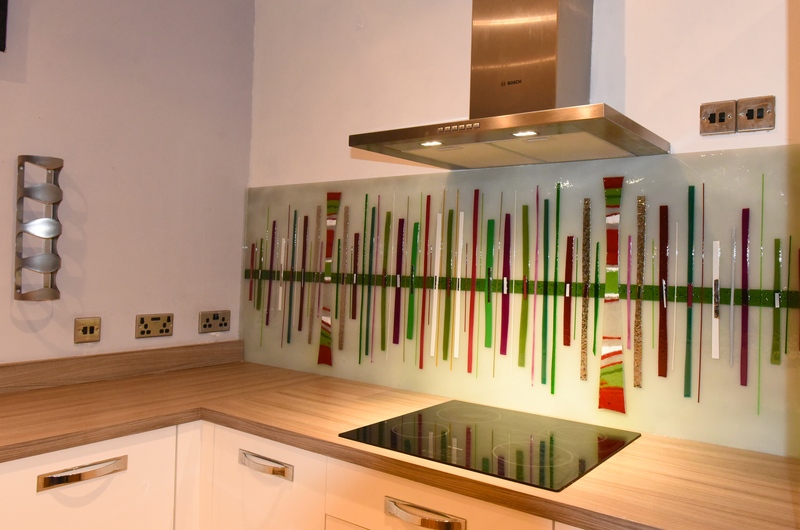 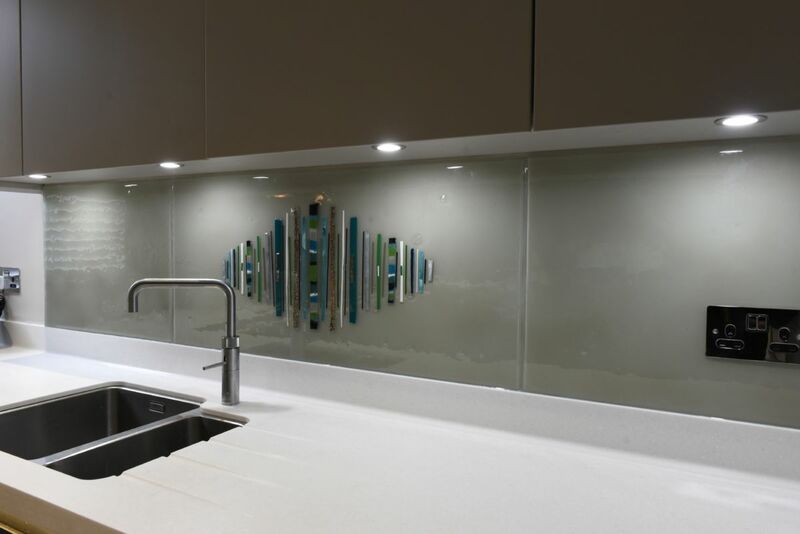 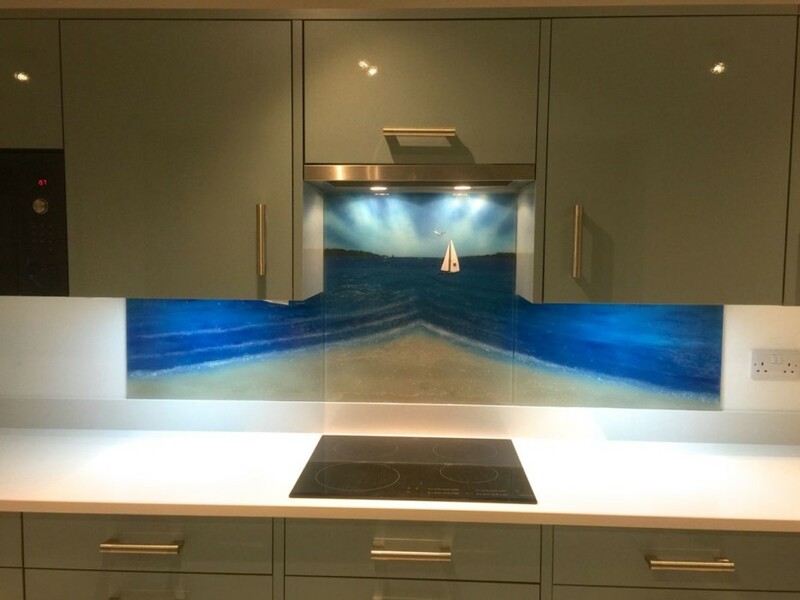 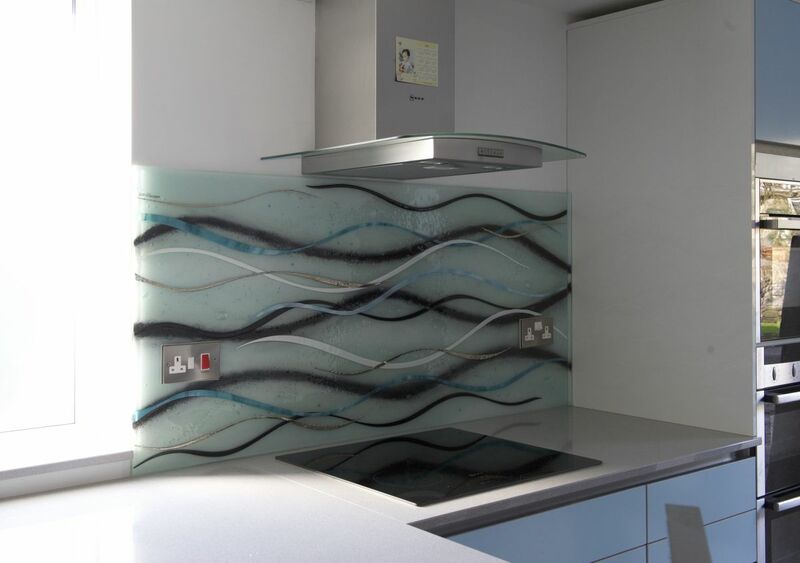 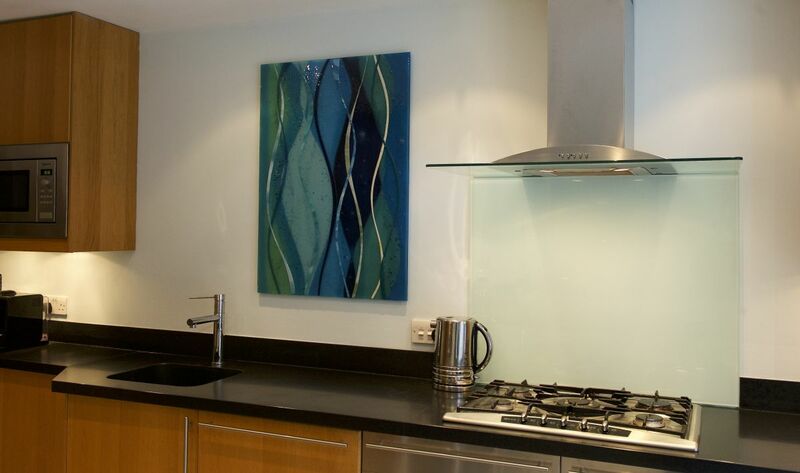 A plain coloured glass splashback could have easily gone in the same space, but just look at what a difference bespoke glass makes! 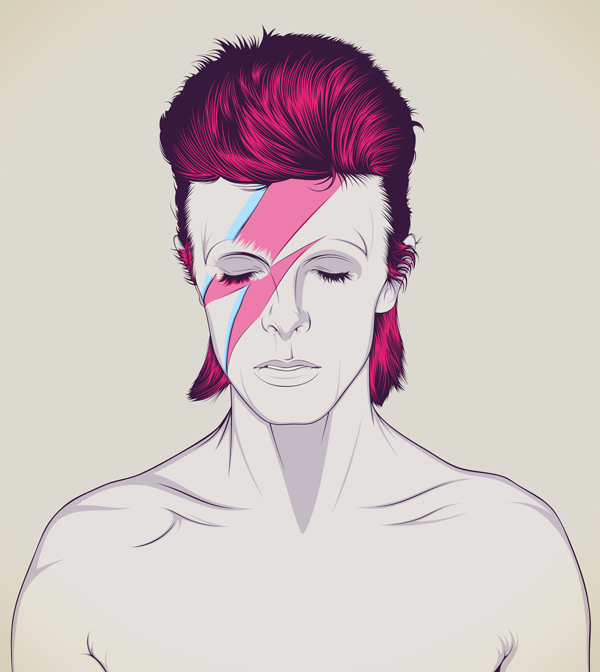 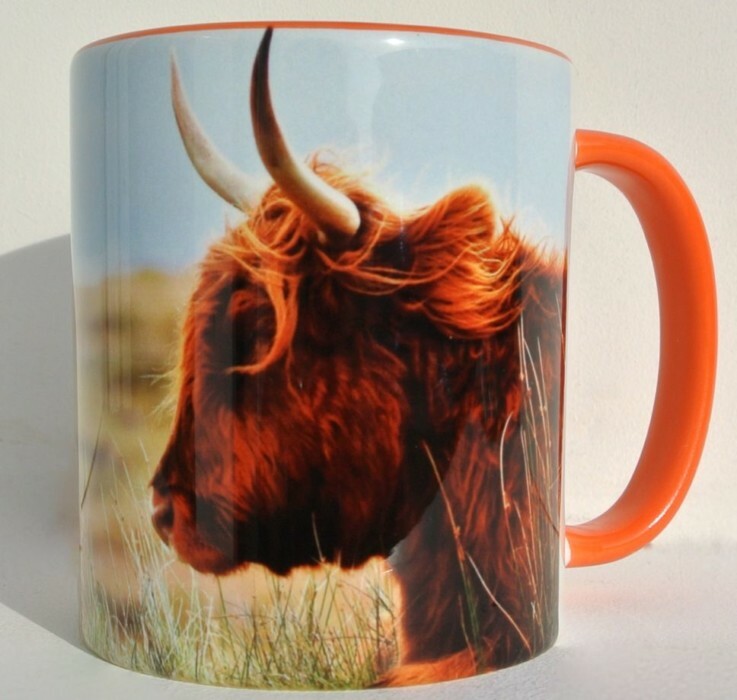 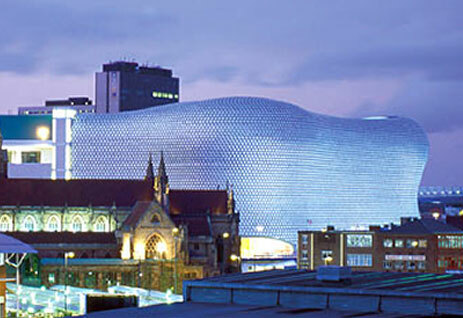 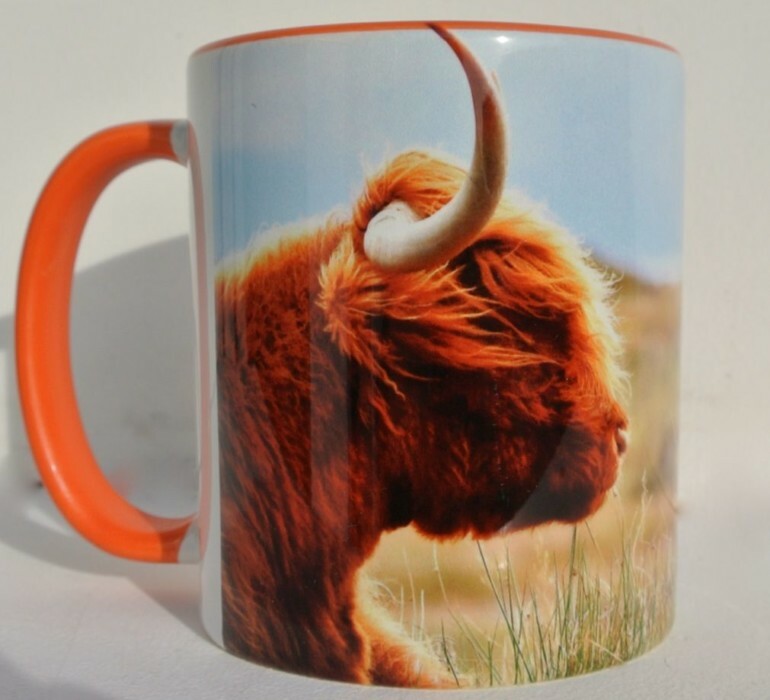 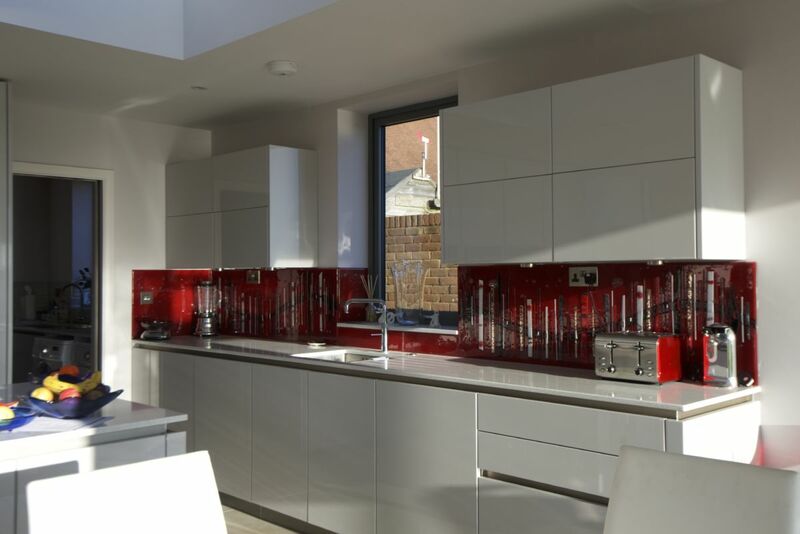 The design stands out much more than just solid colour, wouldn’t you agree? 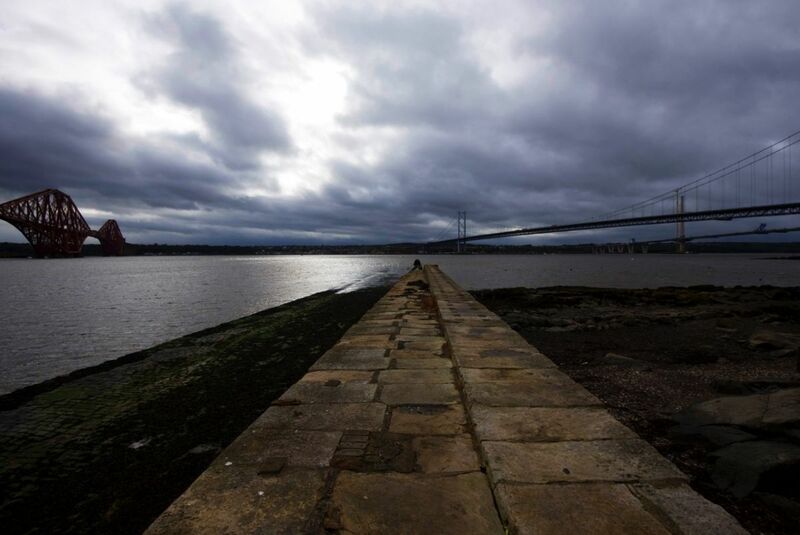 The shore of the bay can be seen softly outlined and silhouetted, with a gentle gradient showing where the tide meets land. 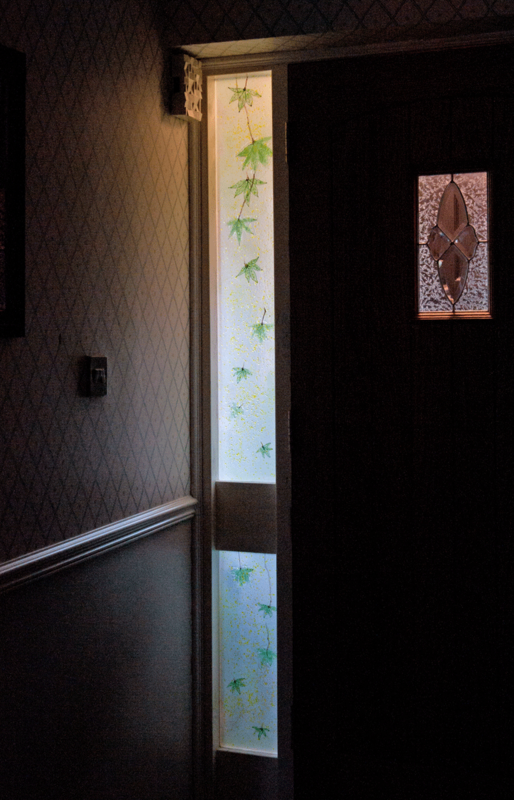 You should be able to see even further out if you pay close attention to the details and the way that the scenery has been carefully brought to life, and there’s plenty of hidden subtleties to be found every single time you look. 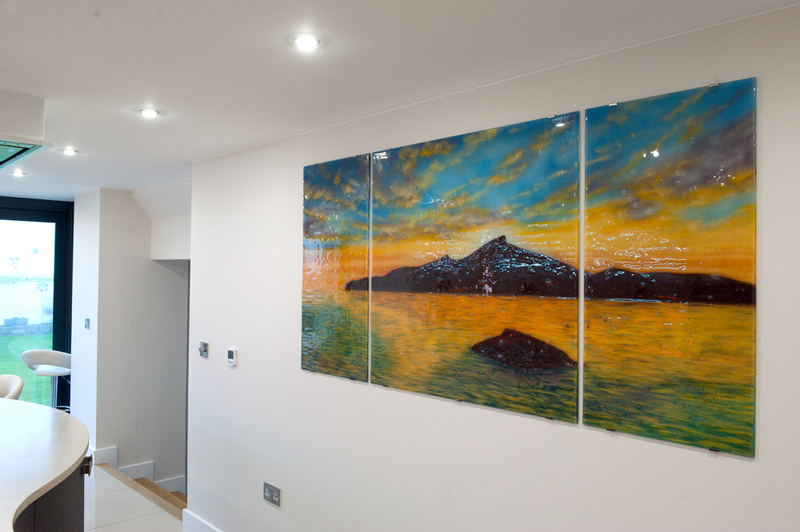 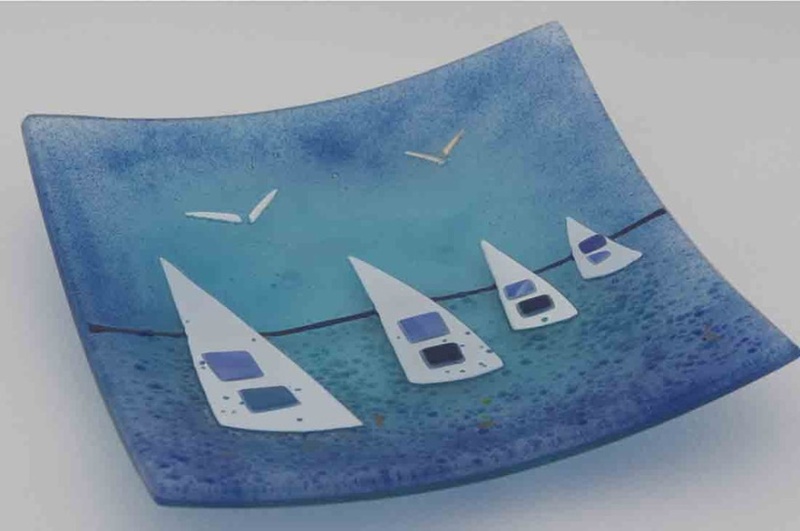 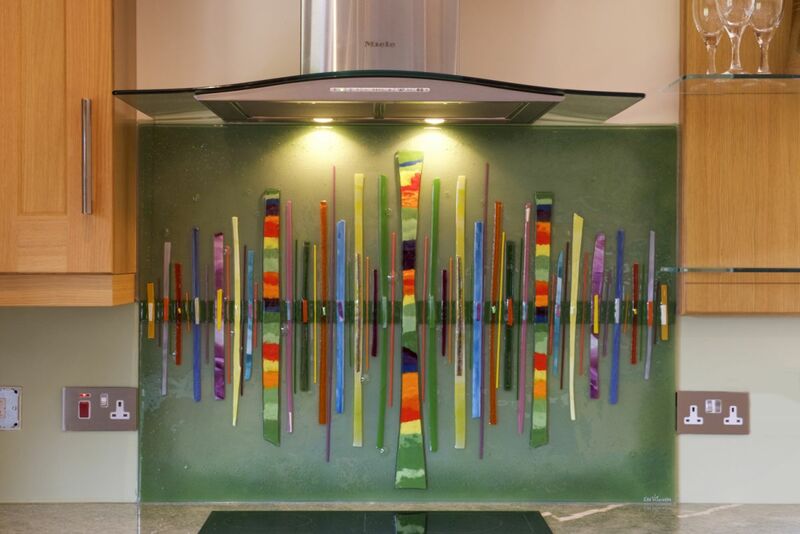 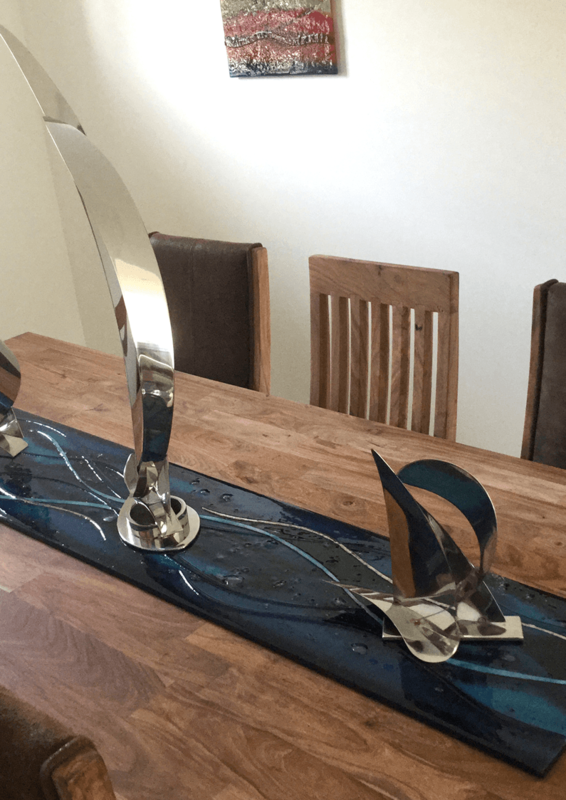 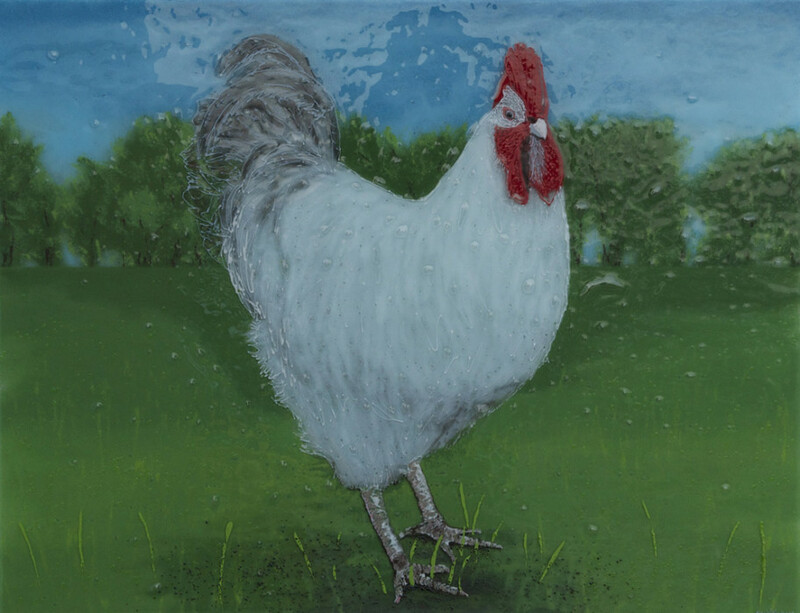 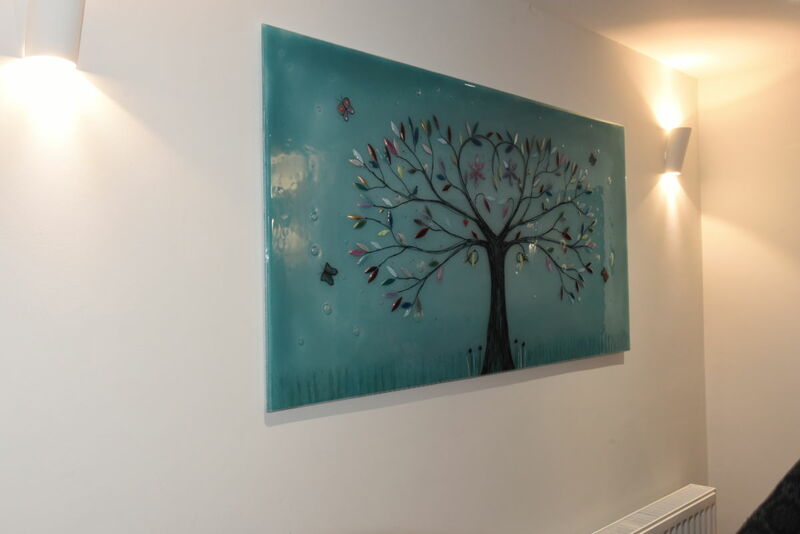 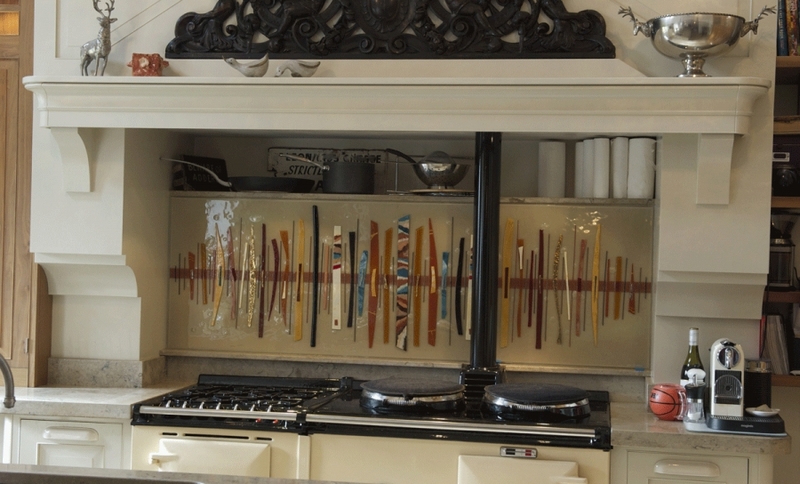 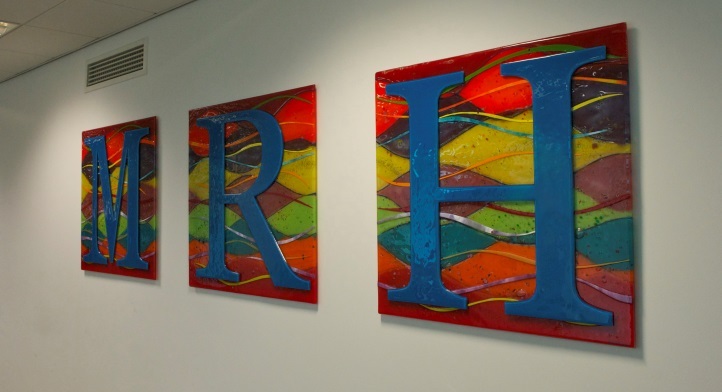 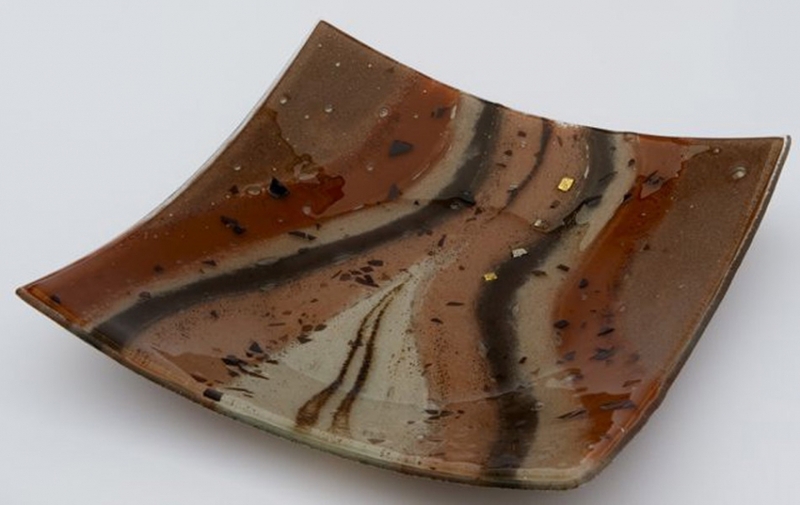 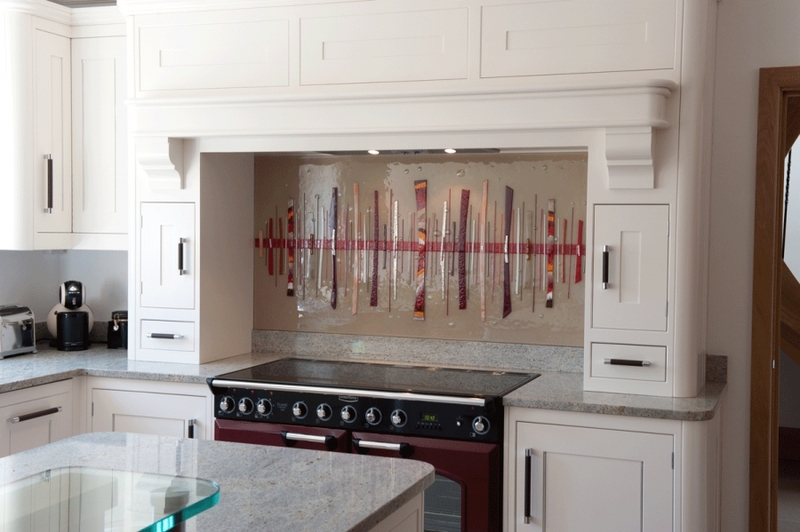 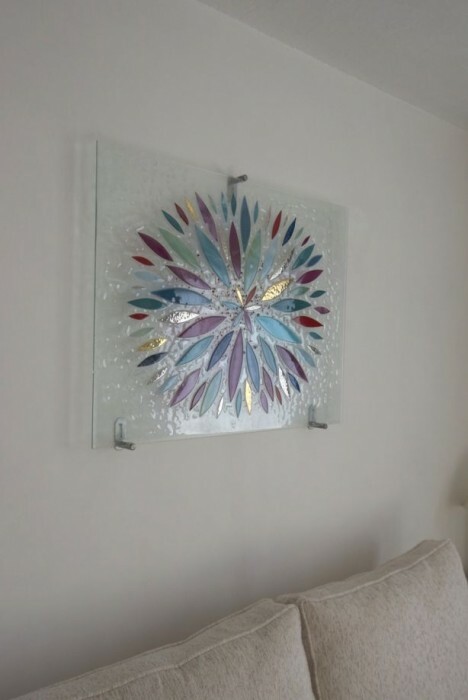 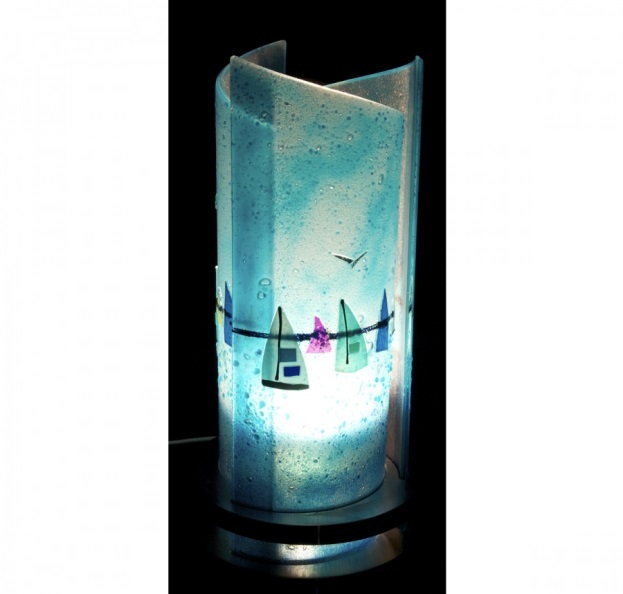 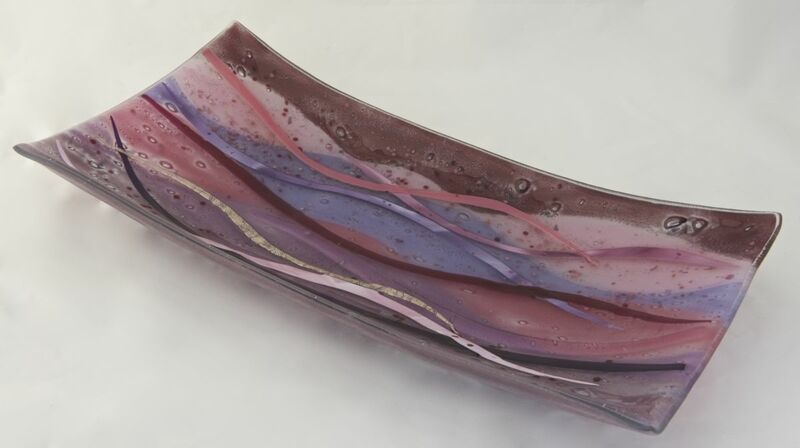 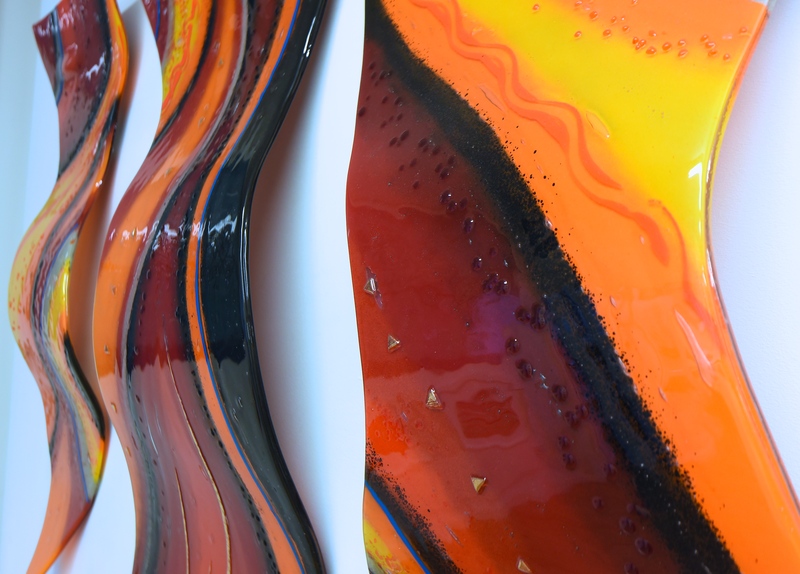 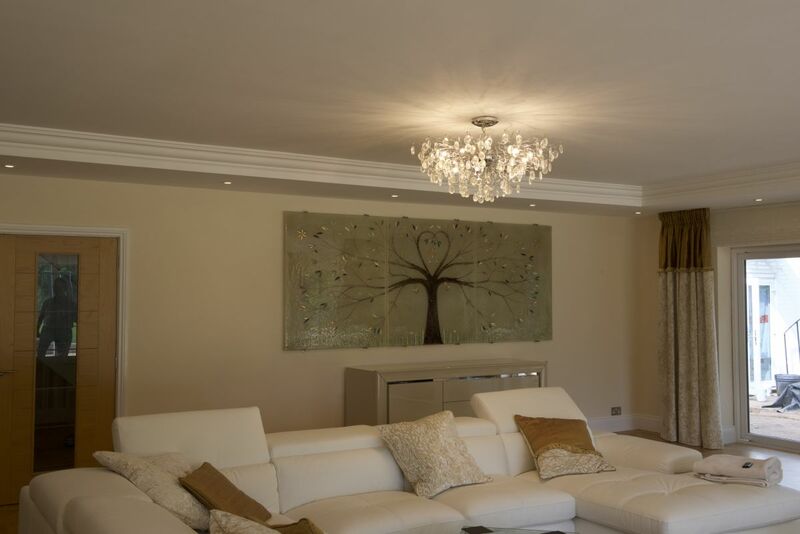 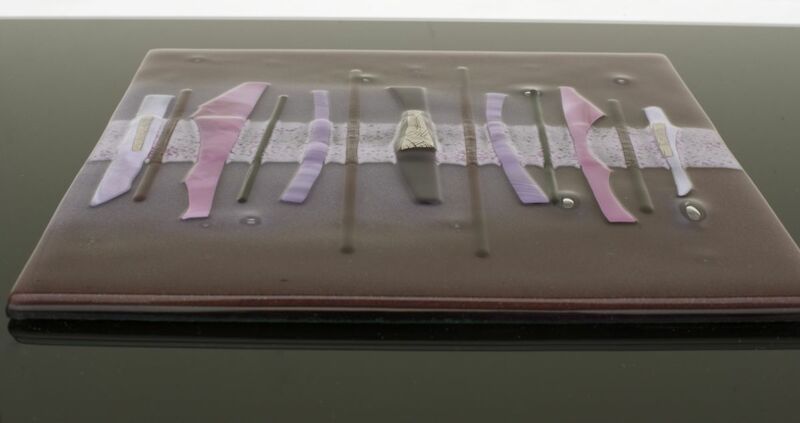 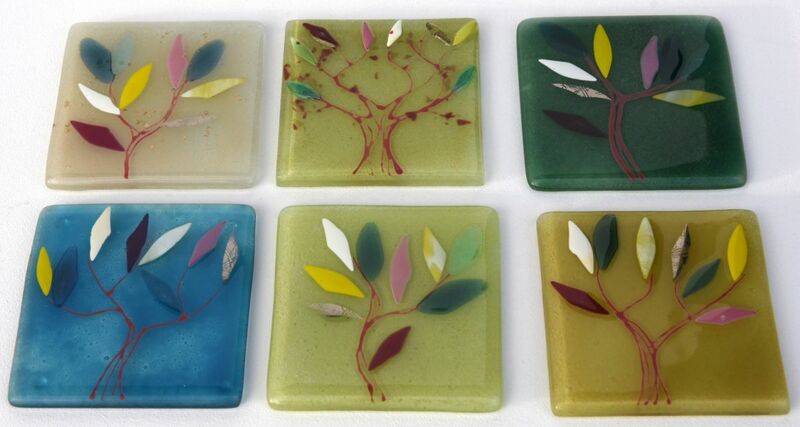 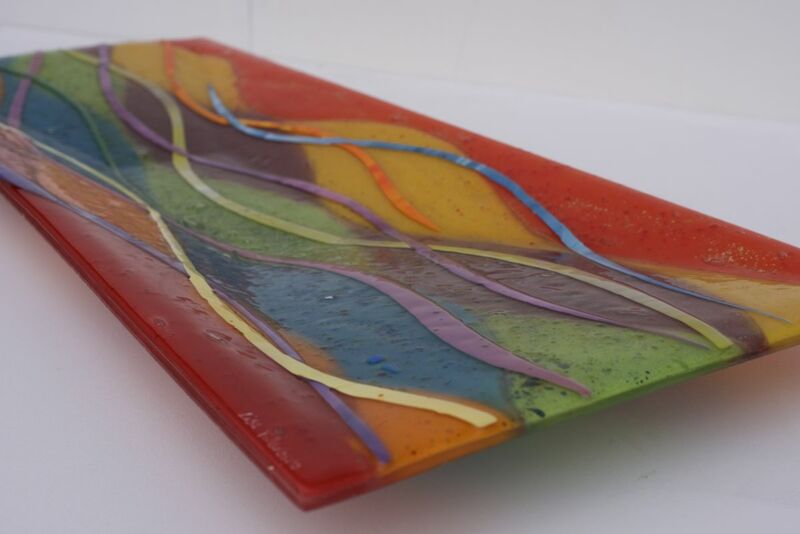 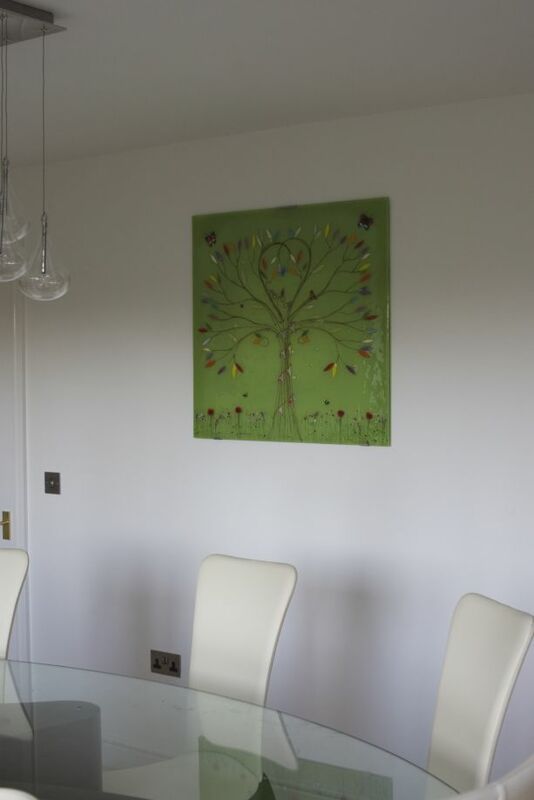 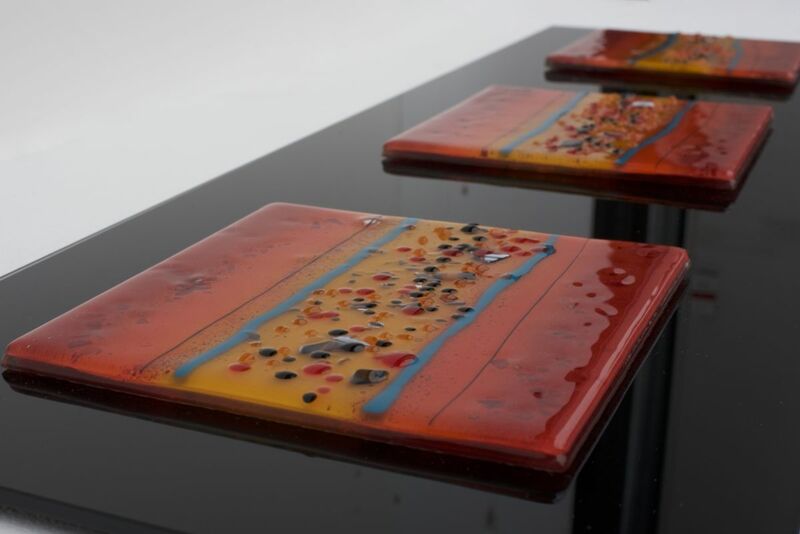 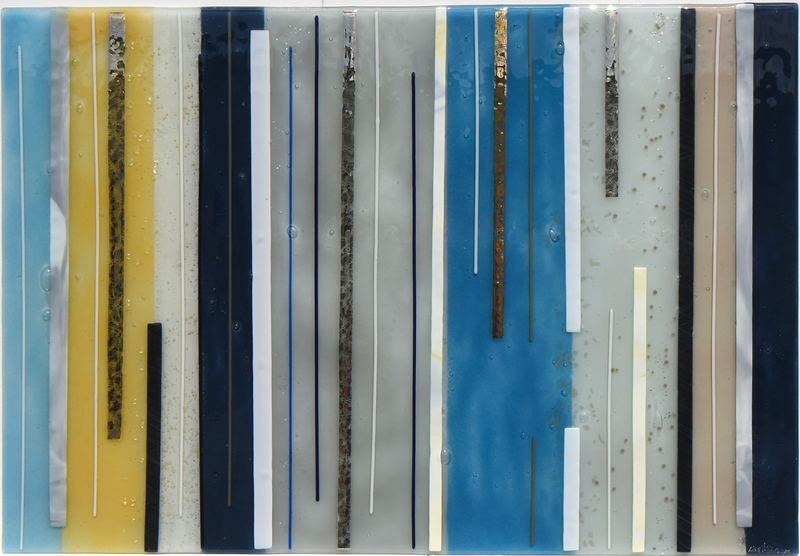 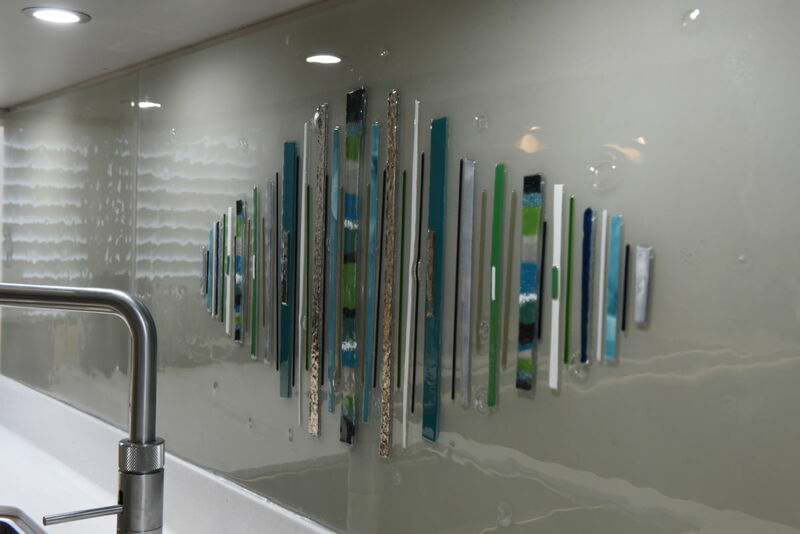 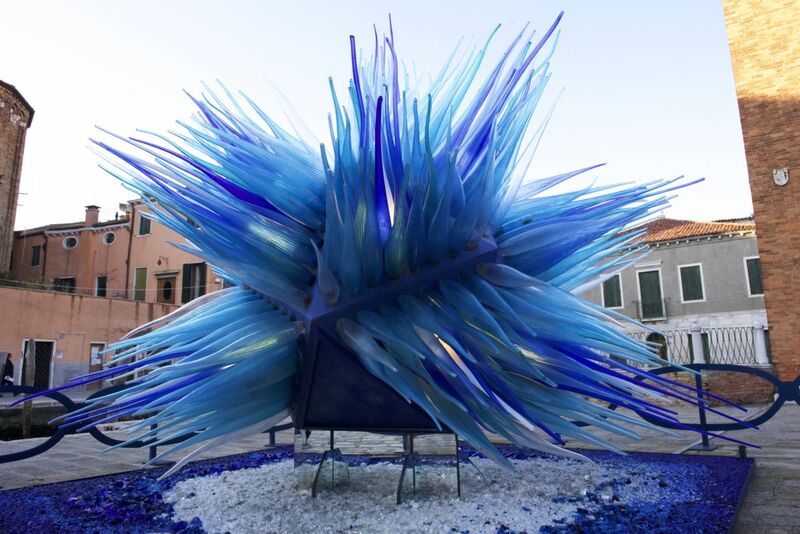 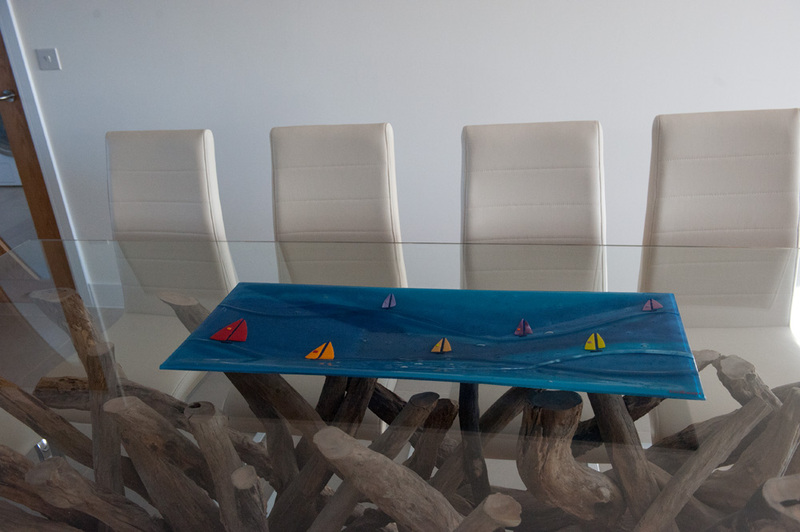 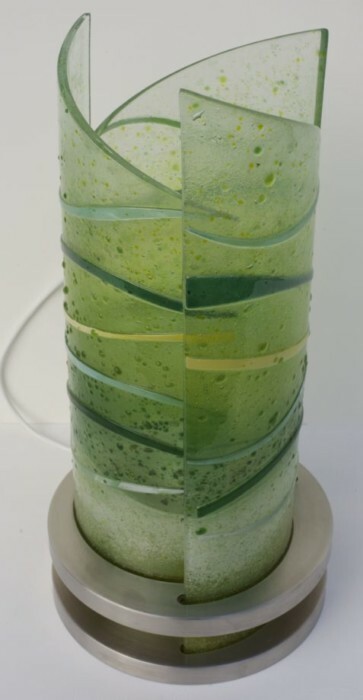 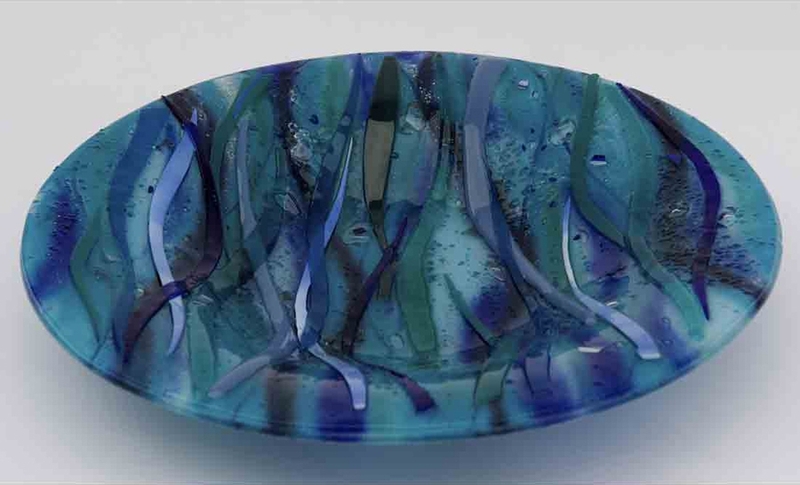 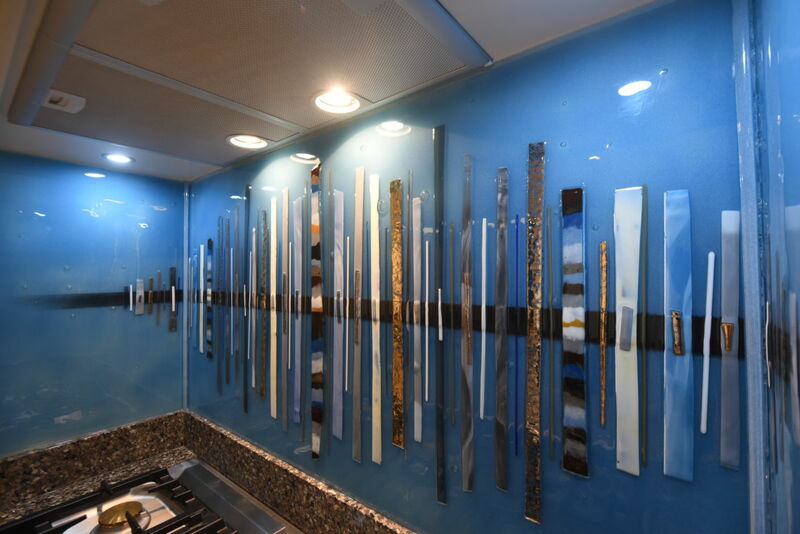 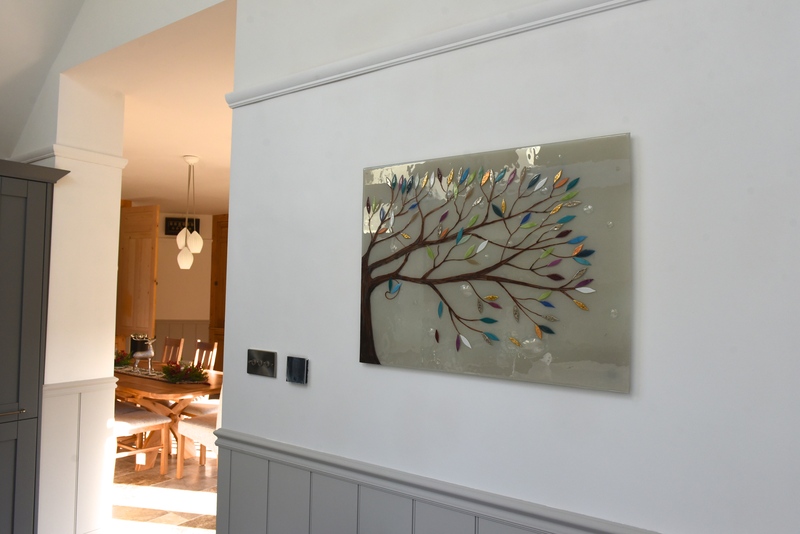 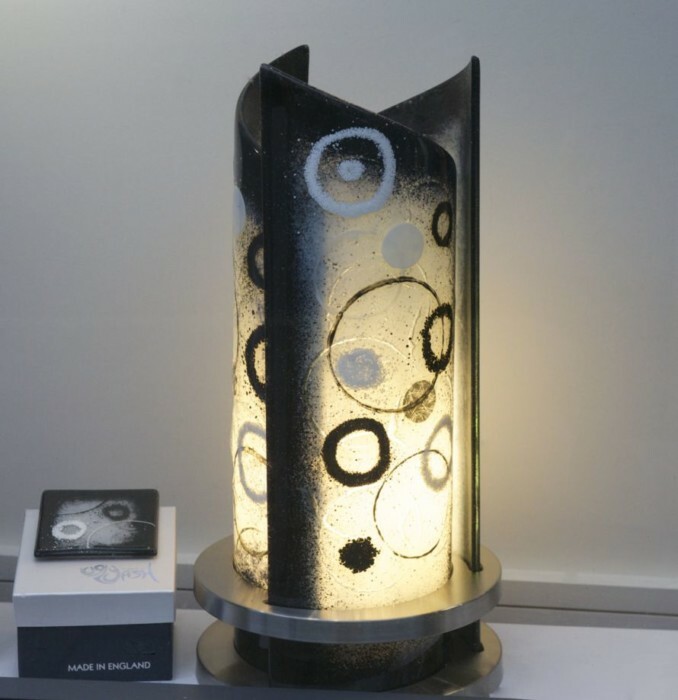 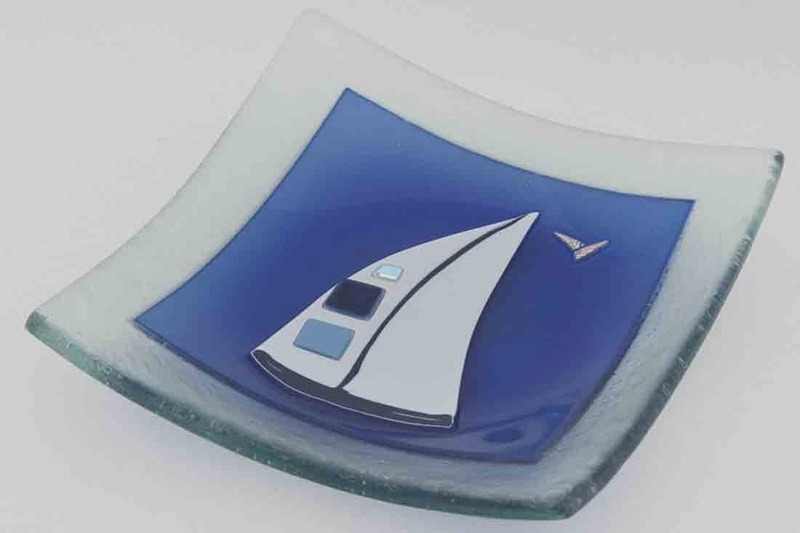 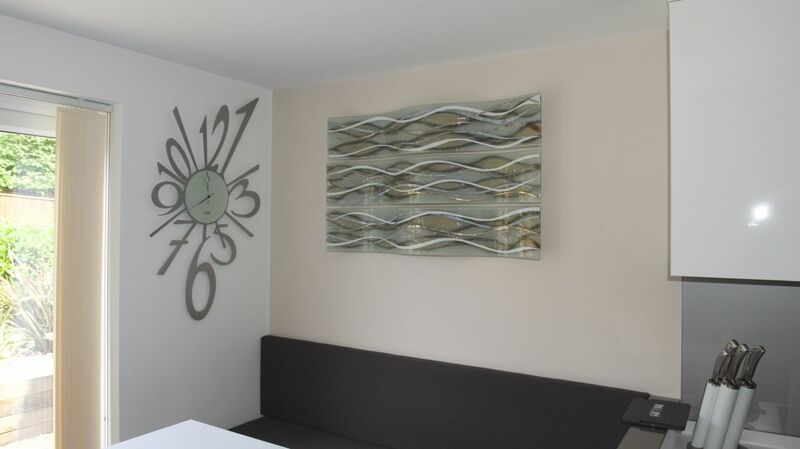 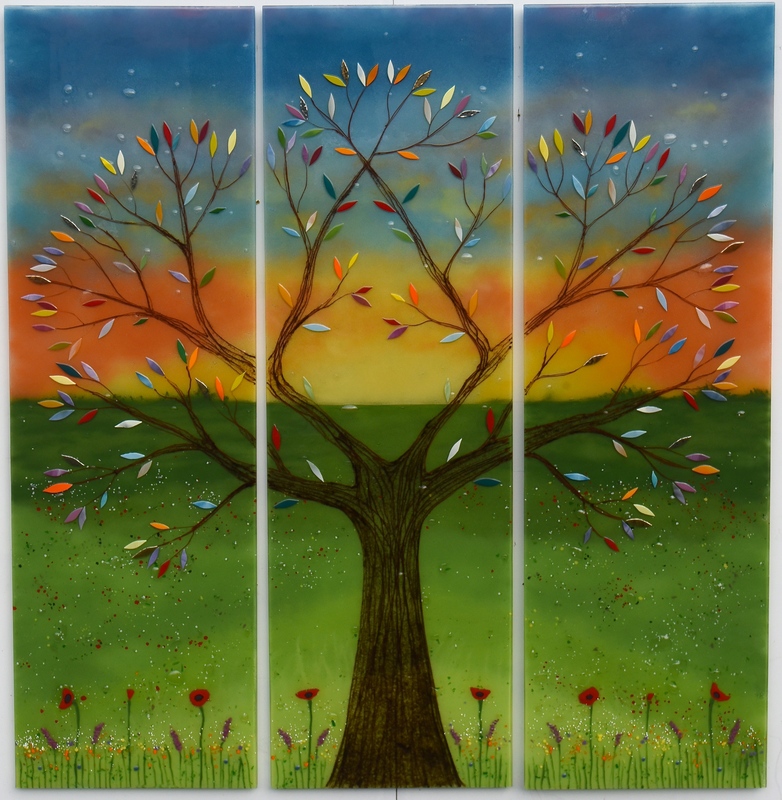 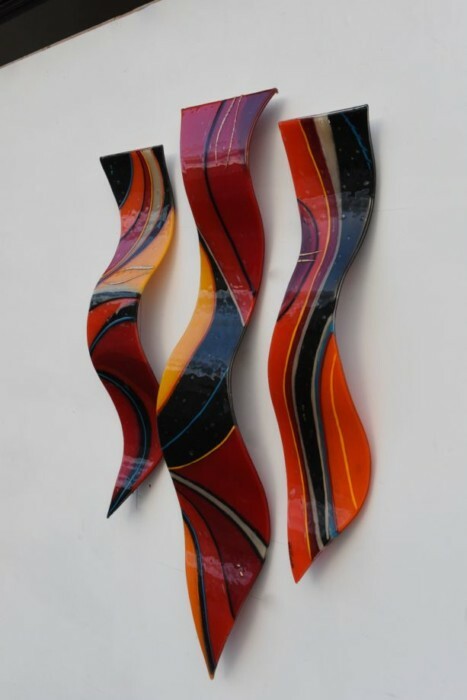 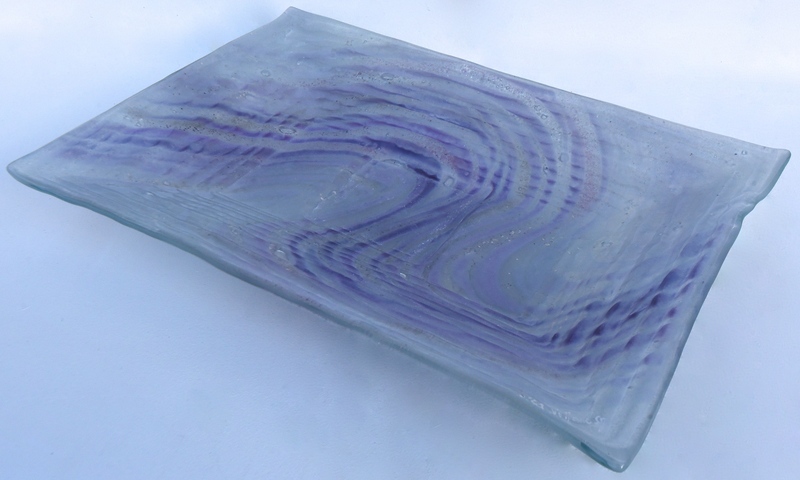 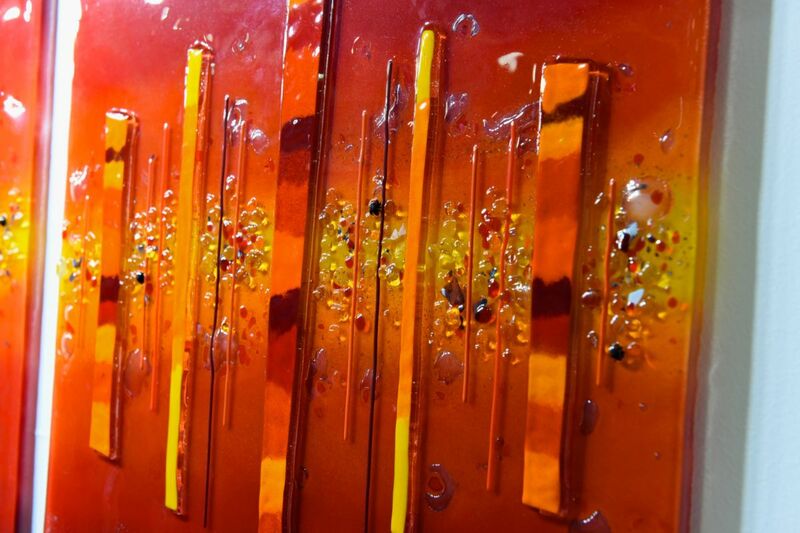 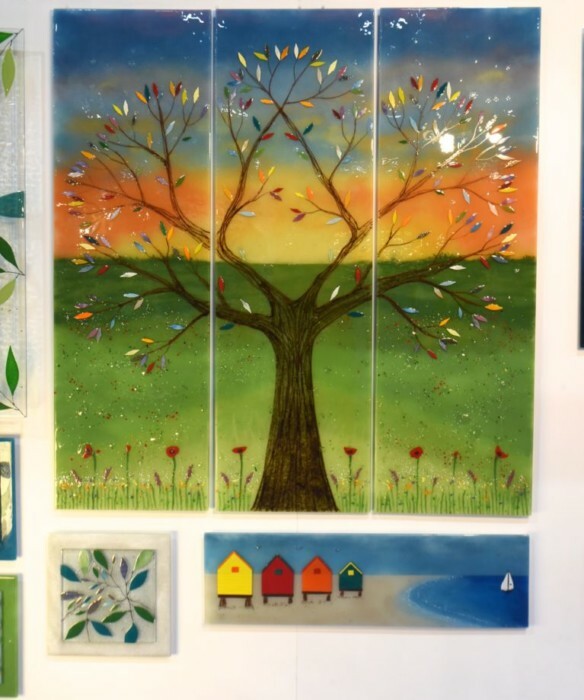 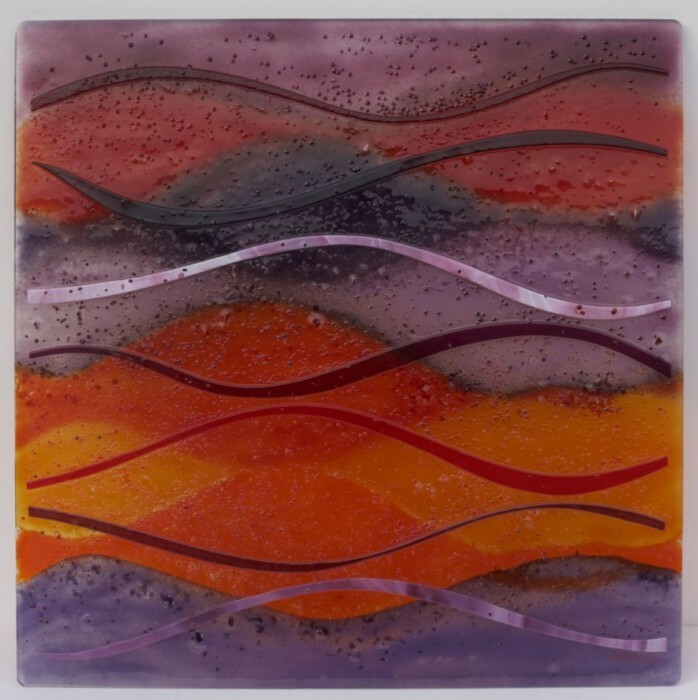 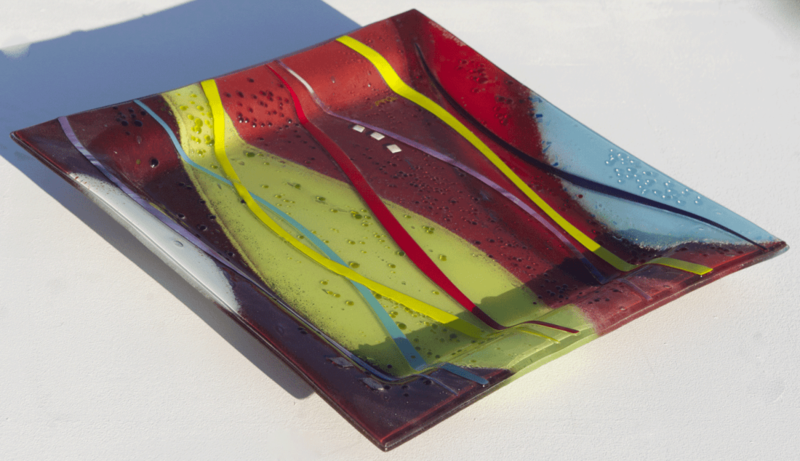 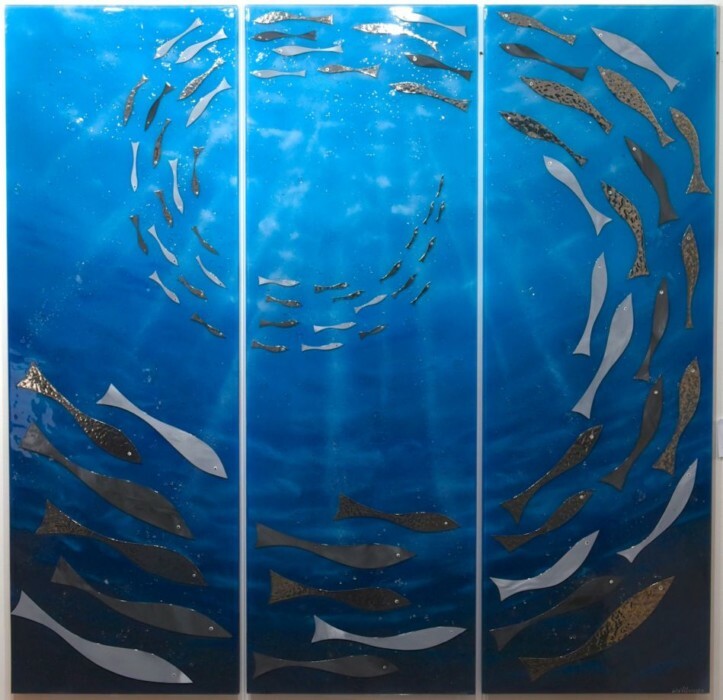 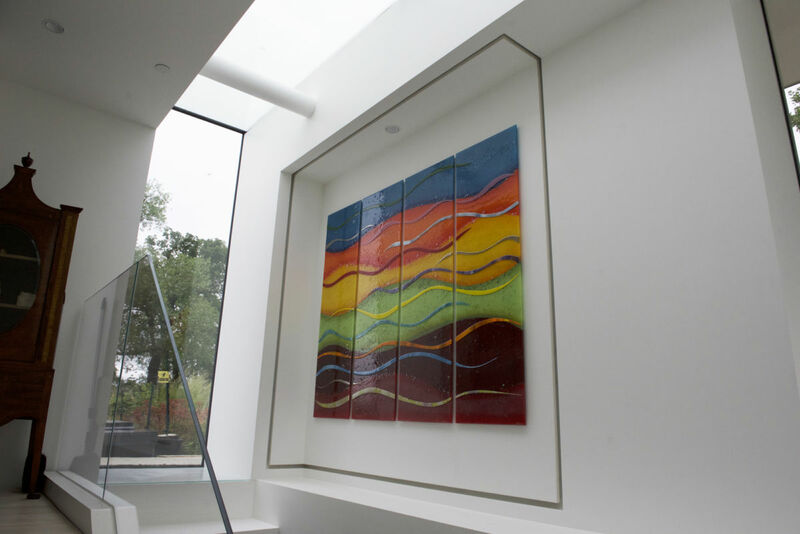 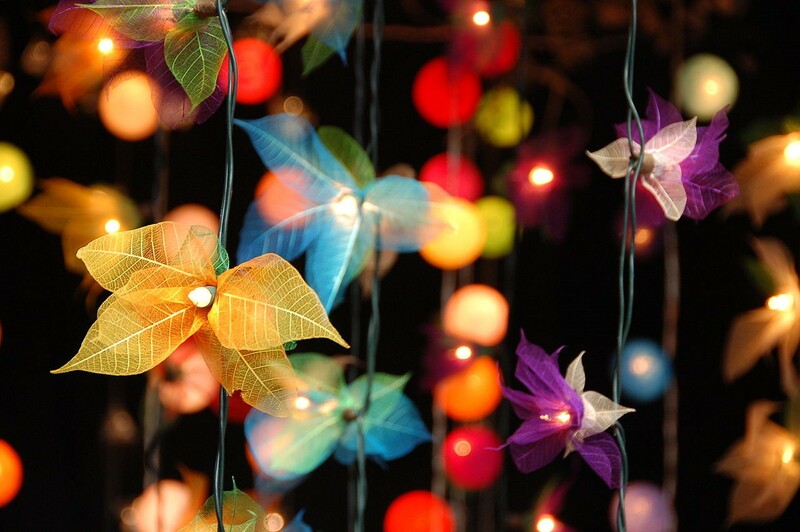 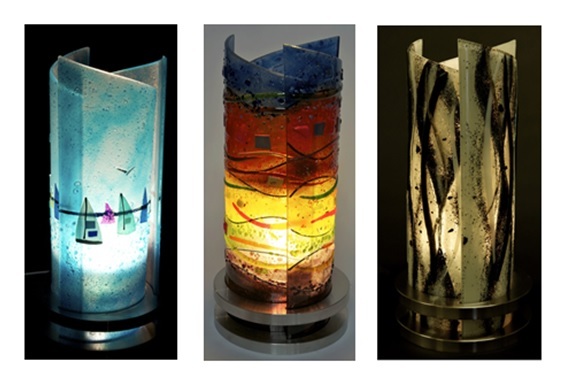 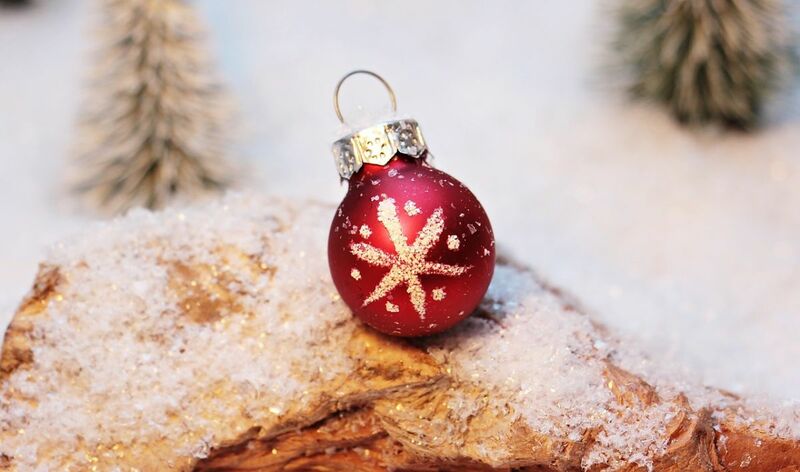 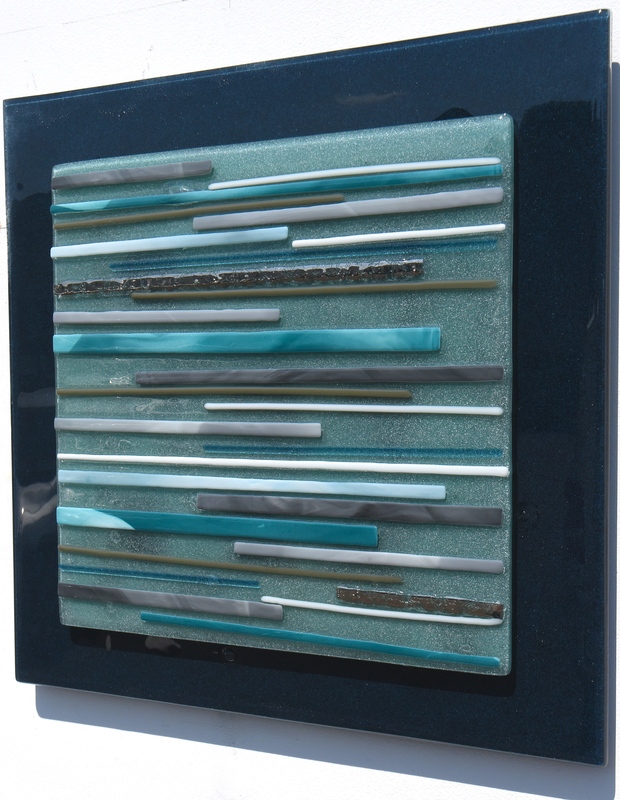 It’s an endlessly rewarding piece of fused glass art, and it’ll always be the attention grabbing centrepiece that amazes friends, family and guests alike. 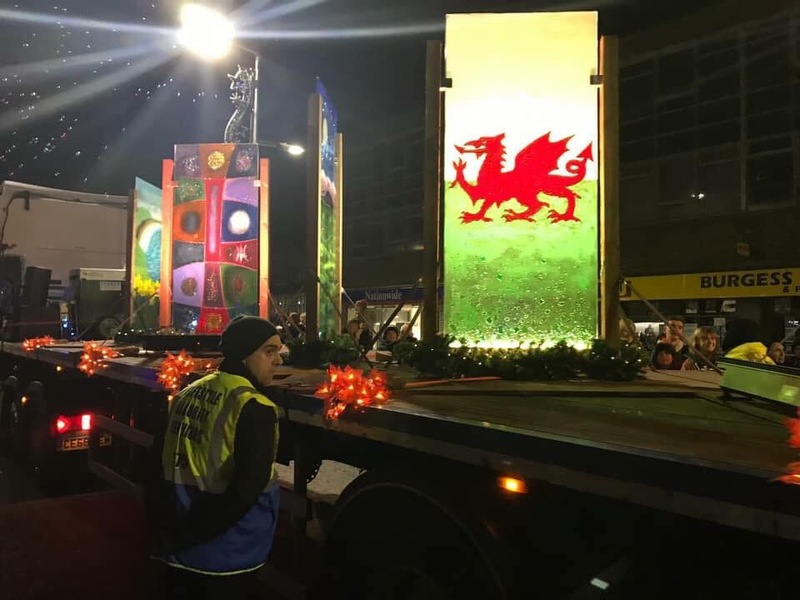 That’s a big success in our books! 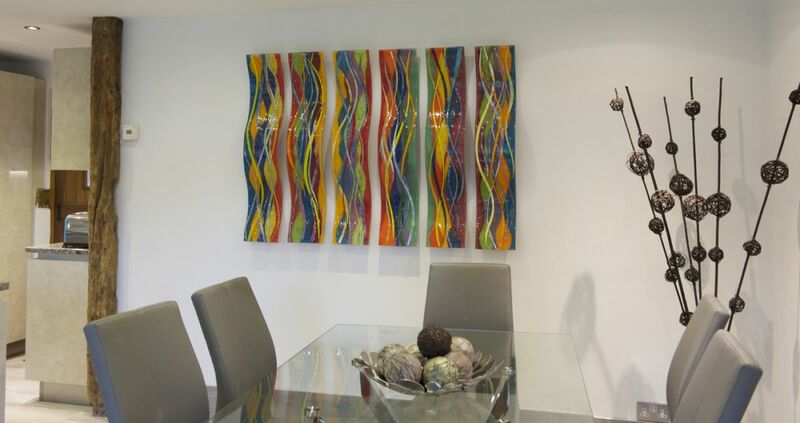 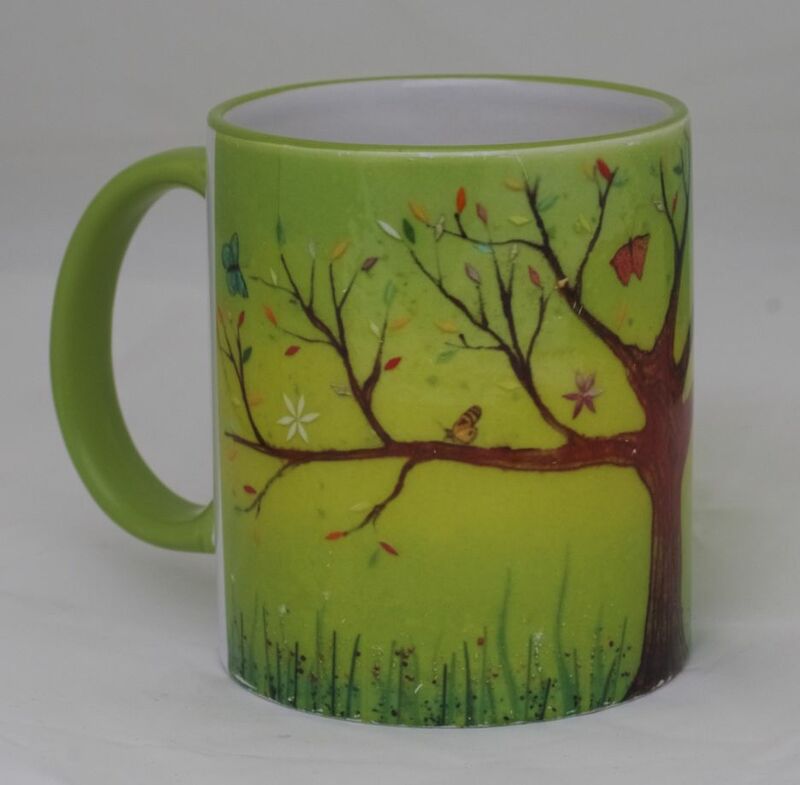 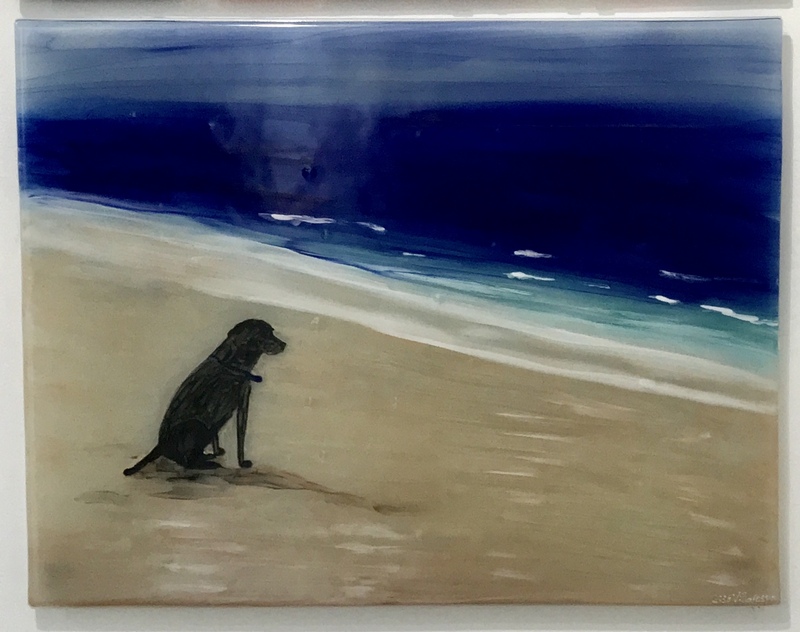 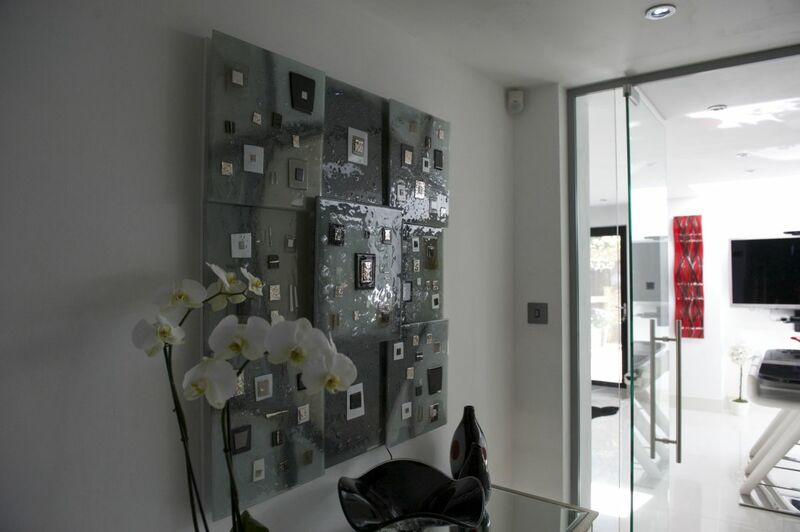 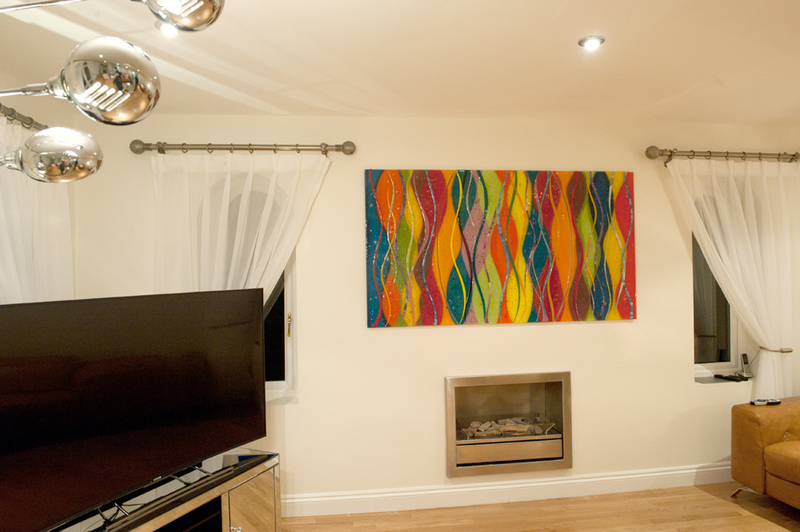 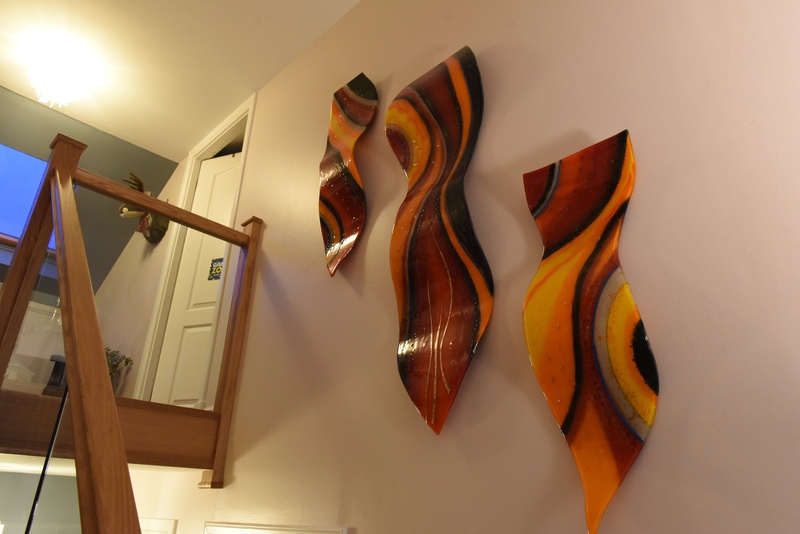 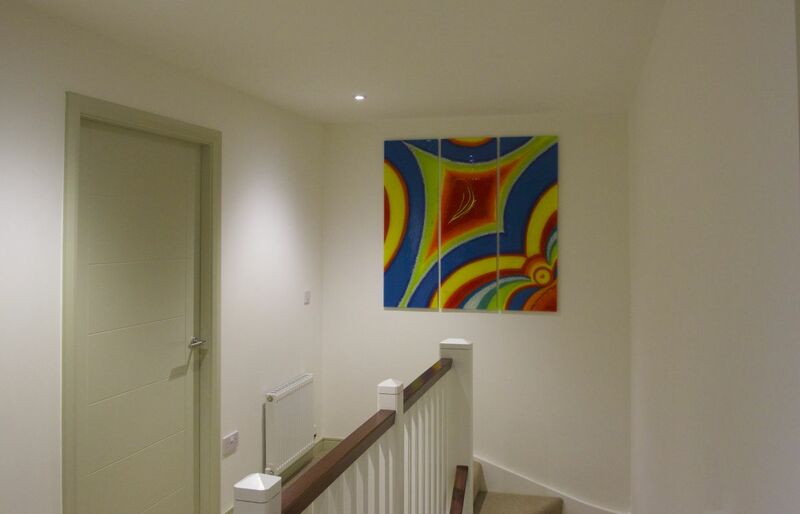 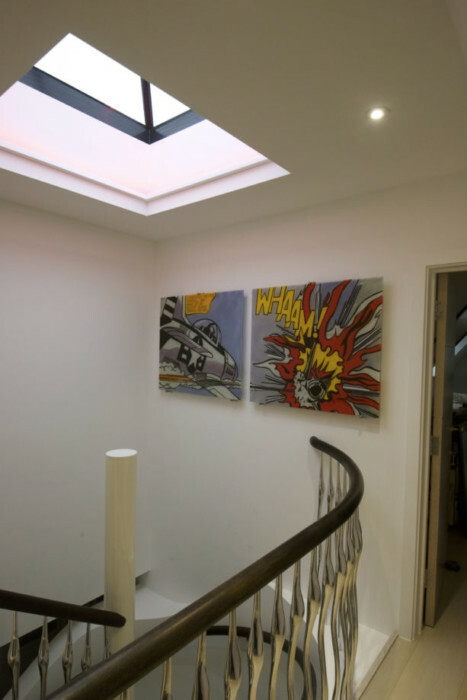 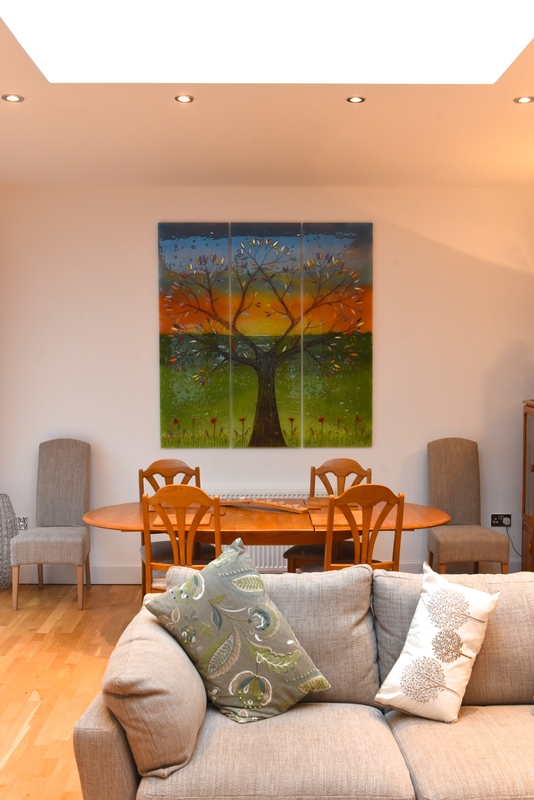 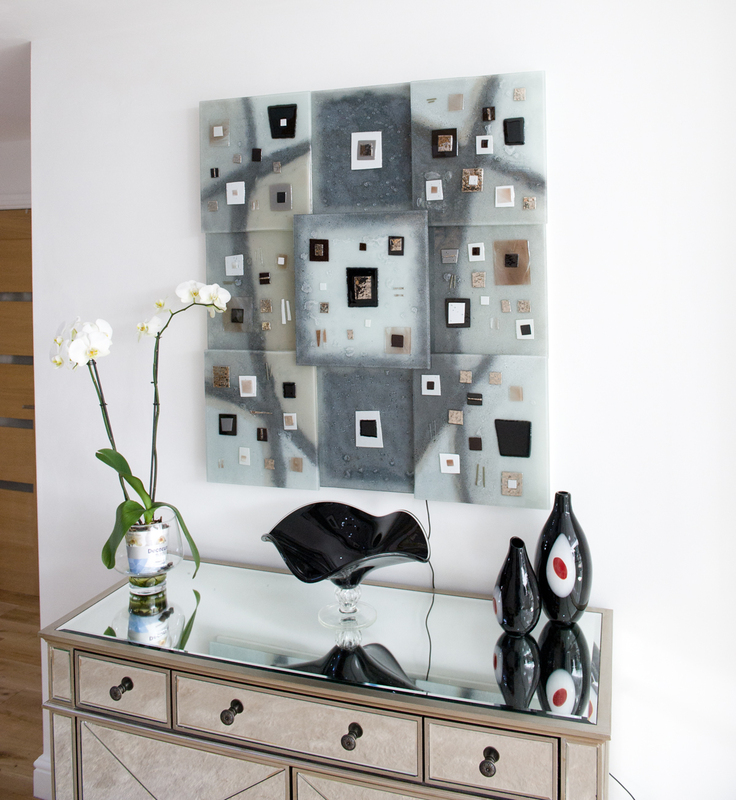 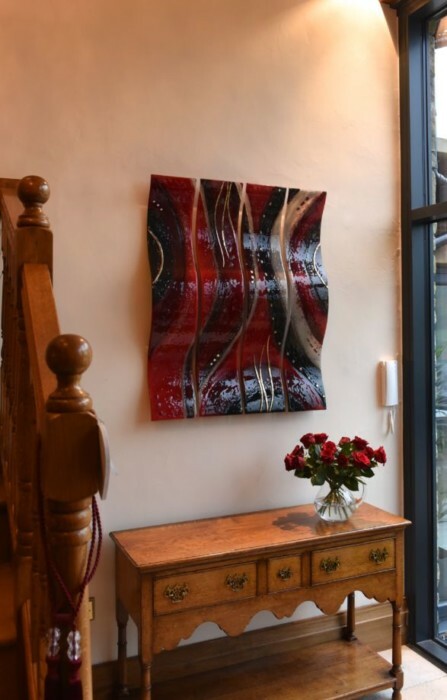 What’s more, the piece not only to fits the décor of the room but also perfectly complements the works of art that were already present in the home. 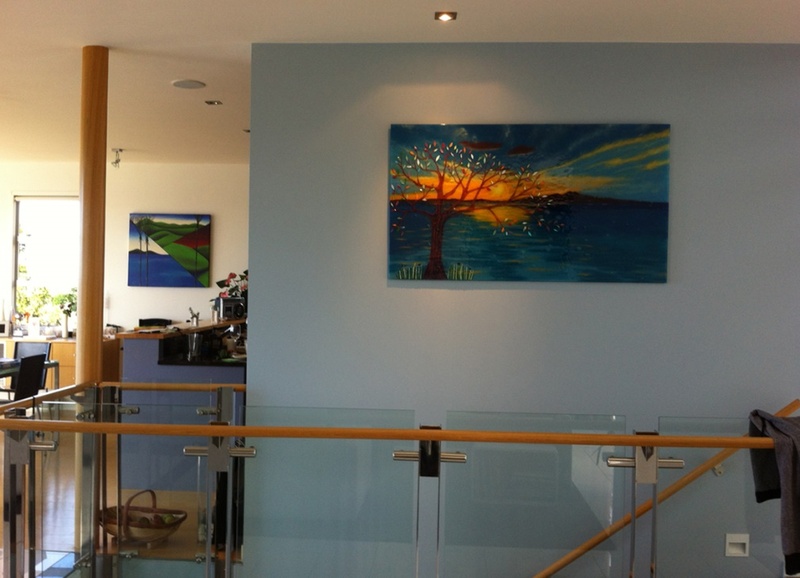 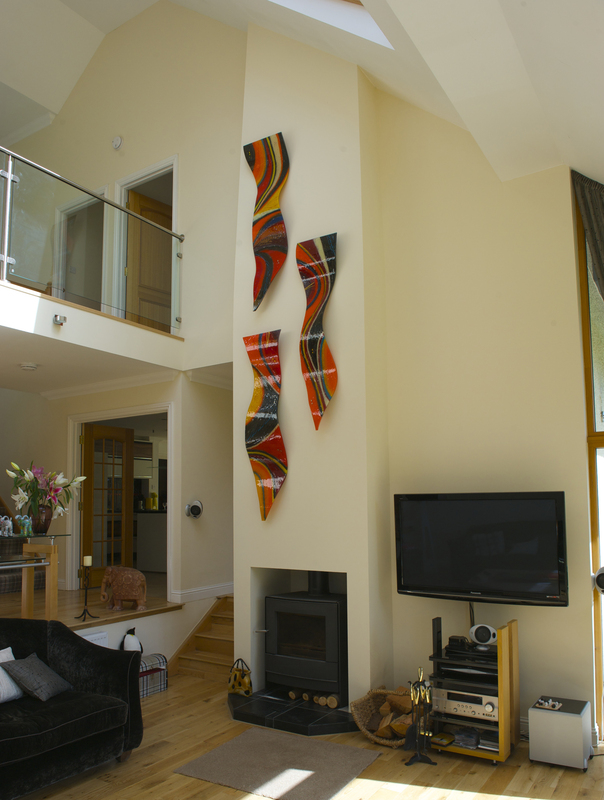 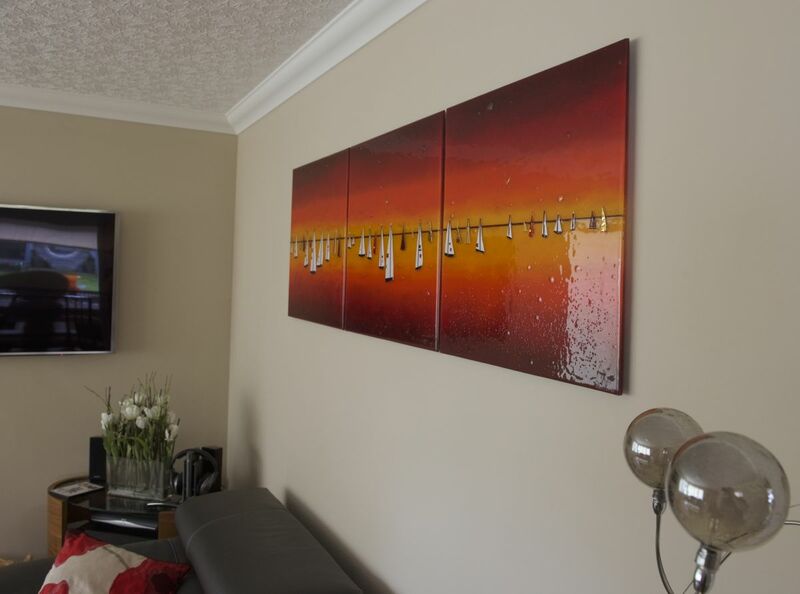 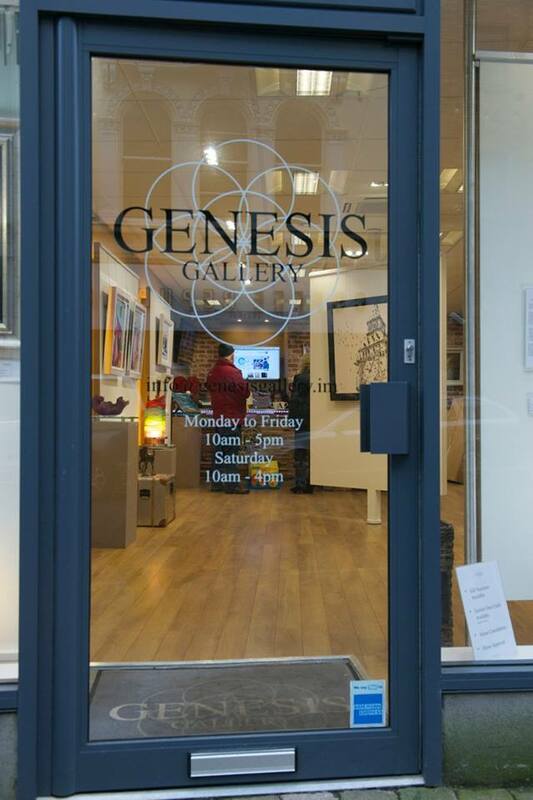 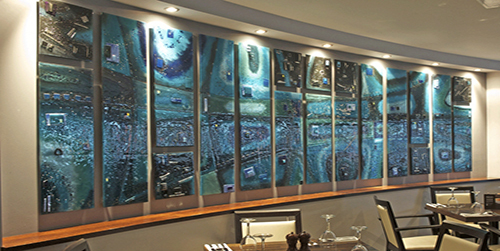 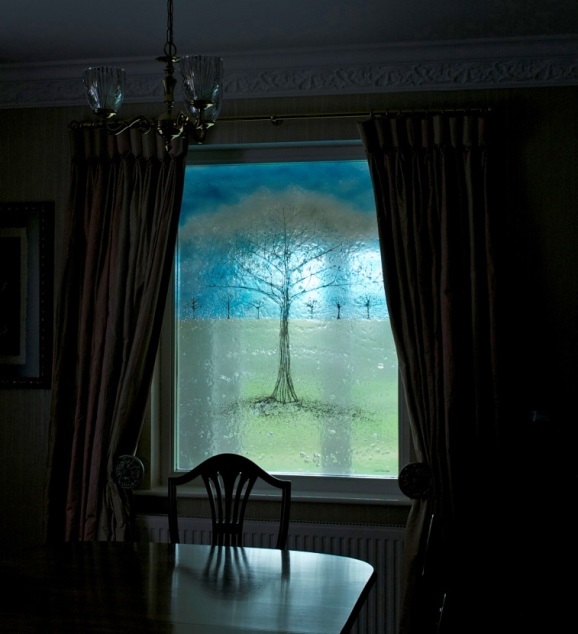 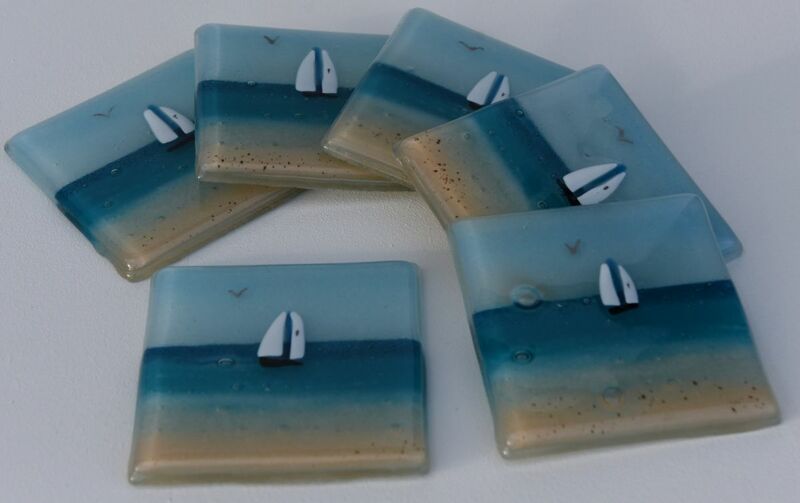 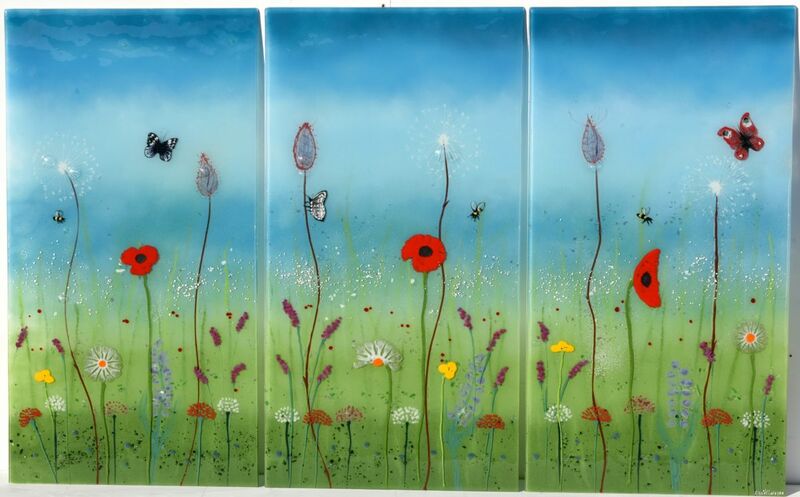 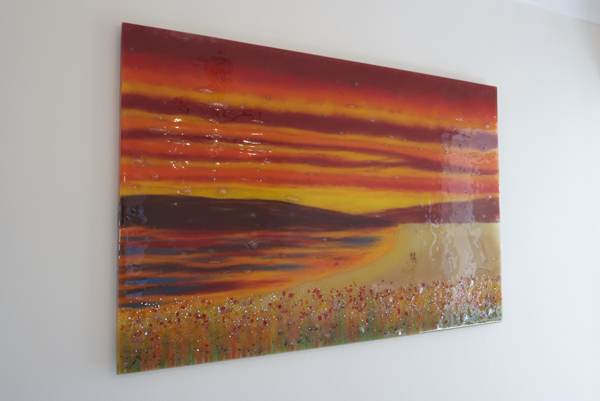 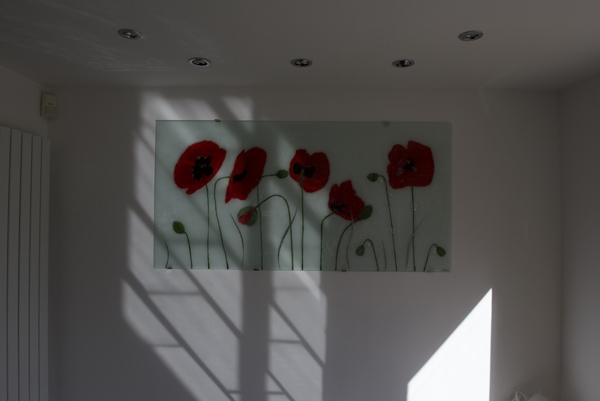 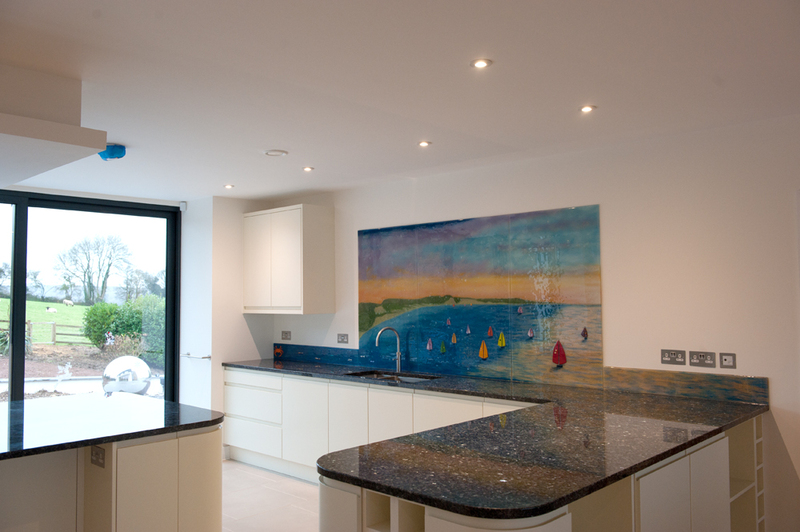 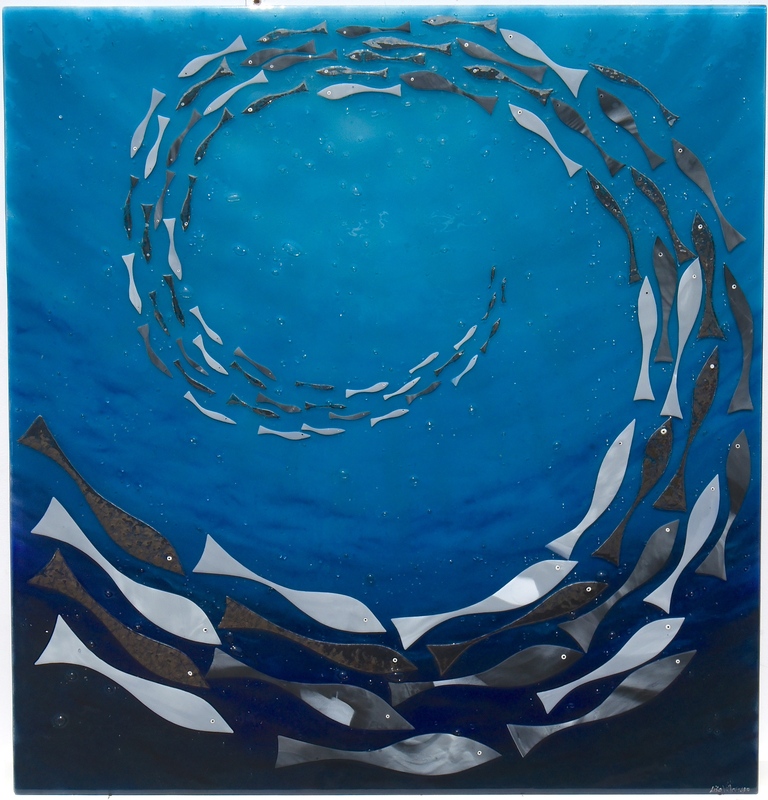 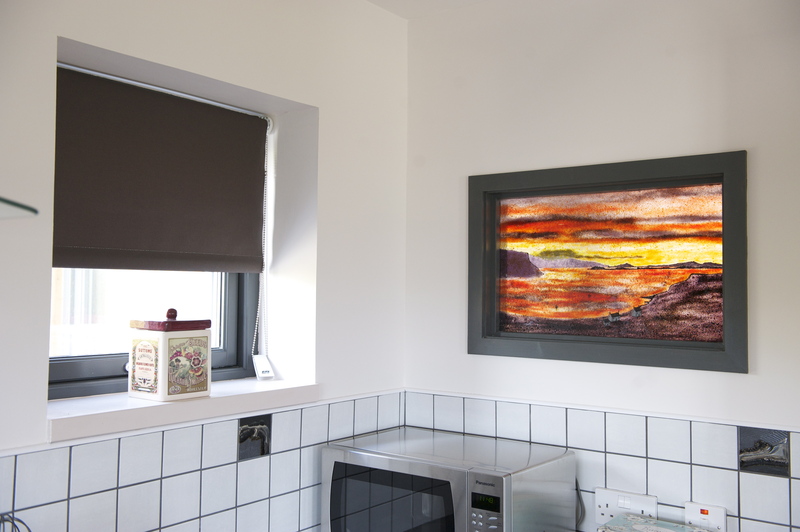 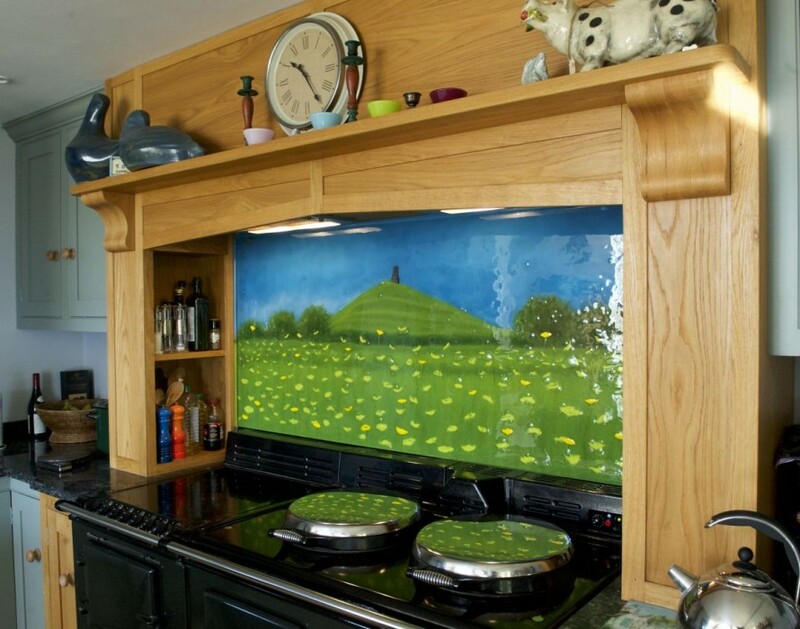 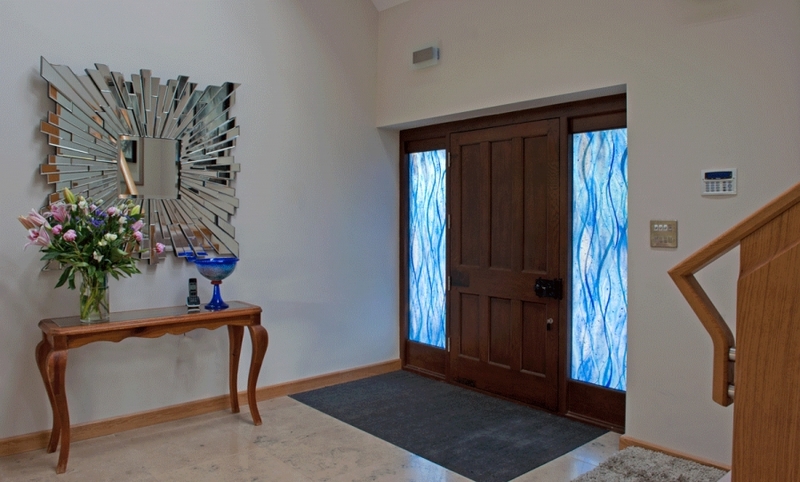 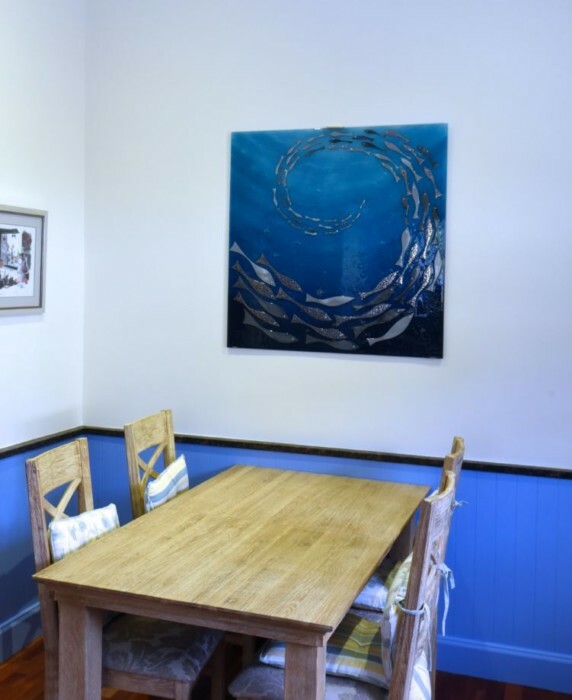 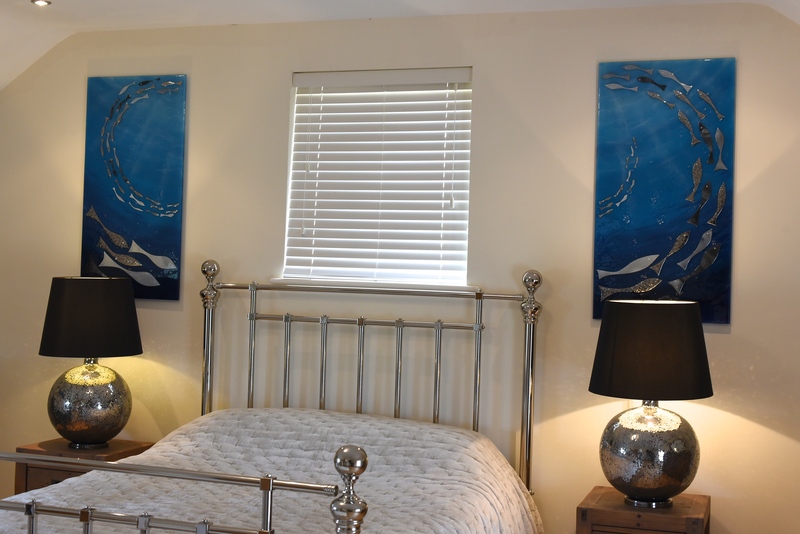 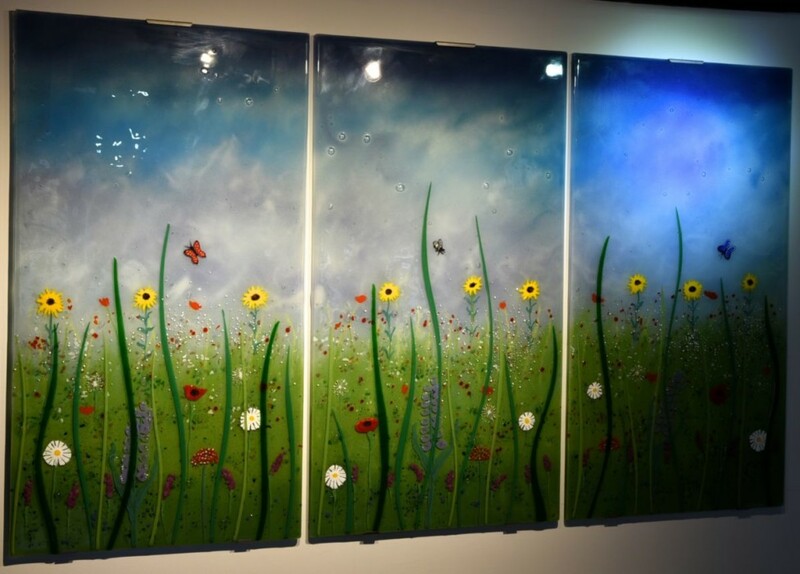 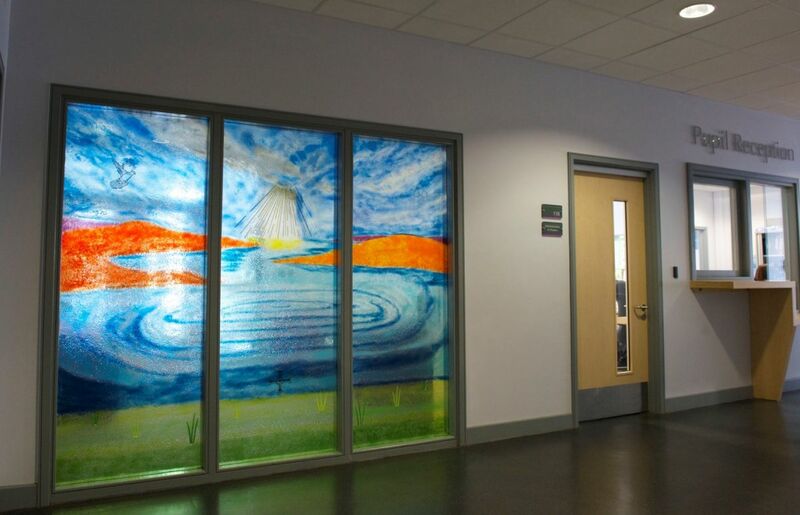 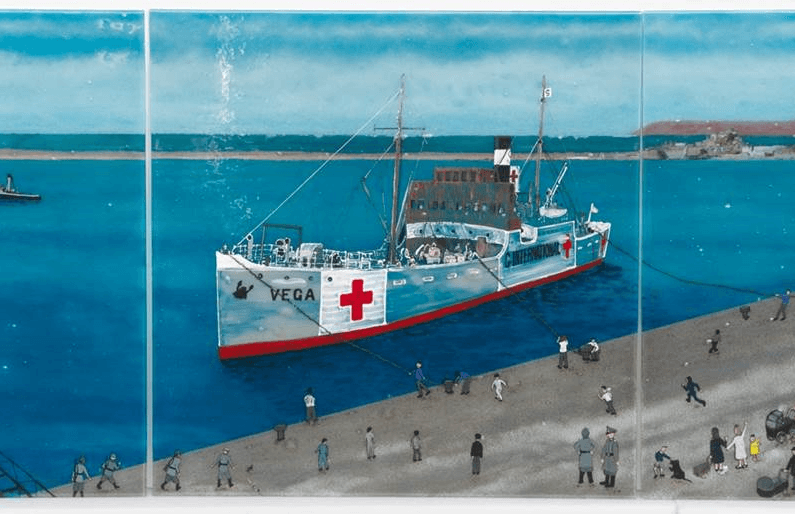 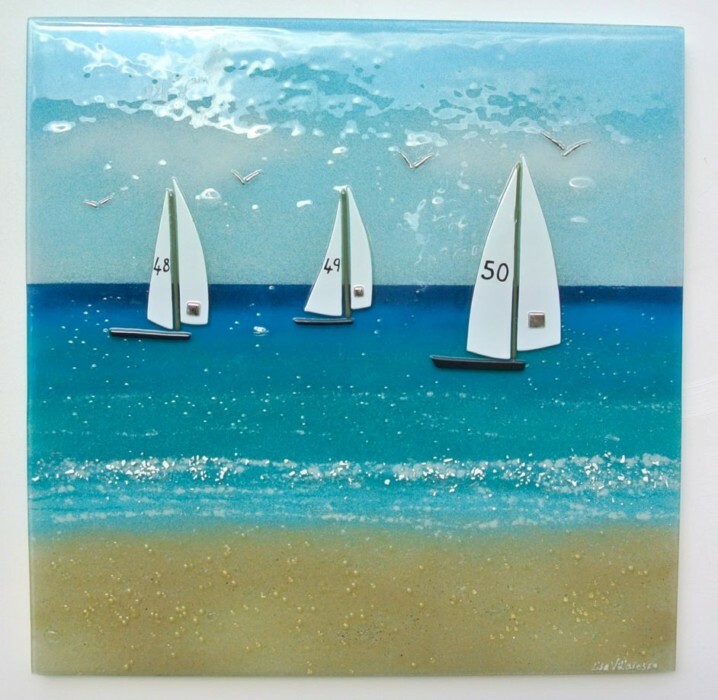 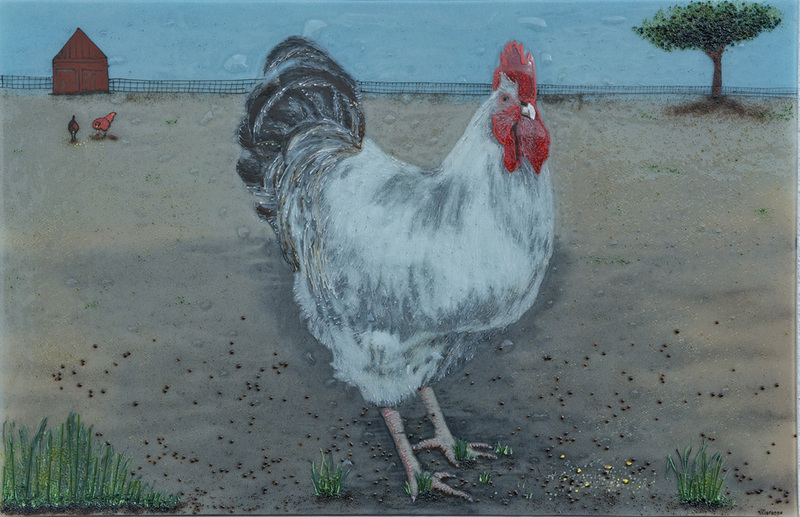 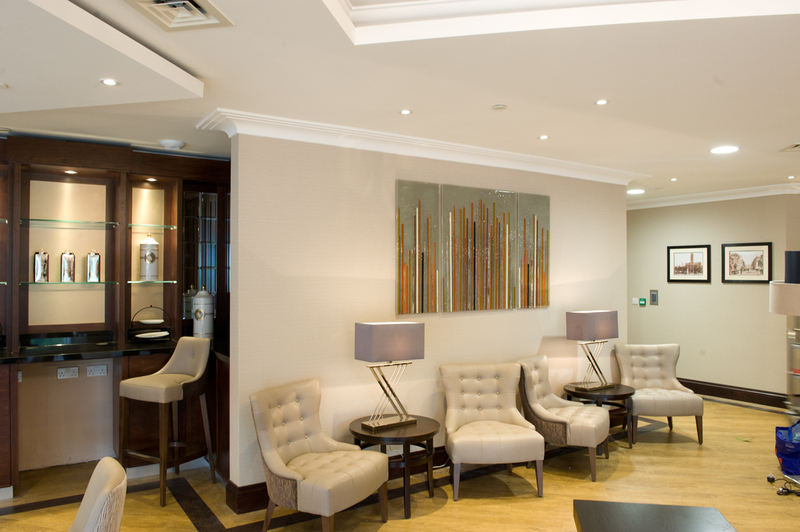 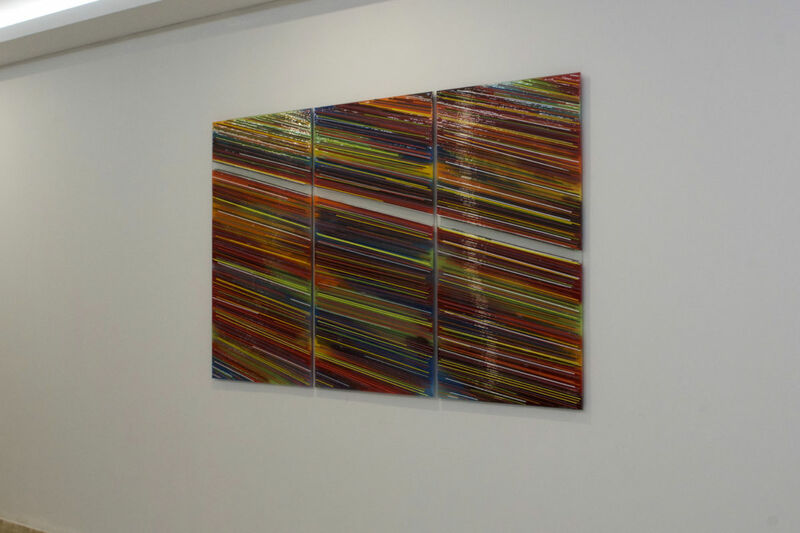 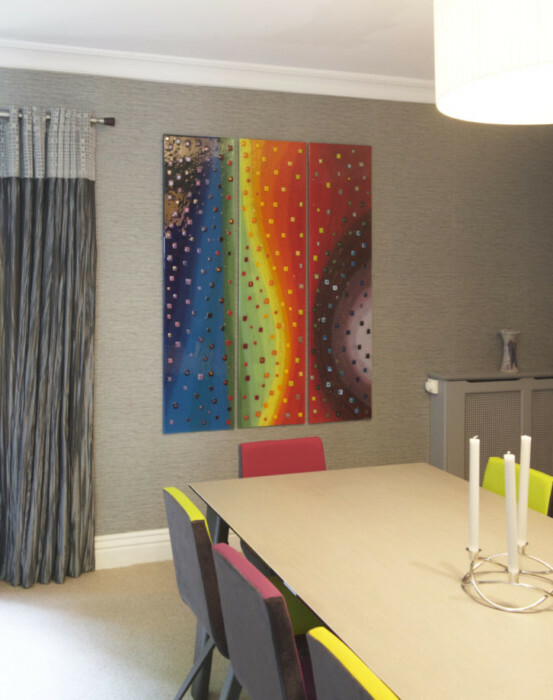 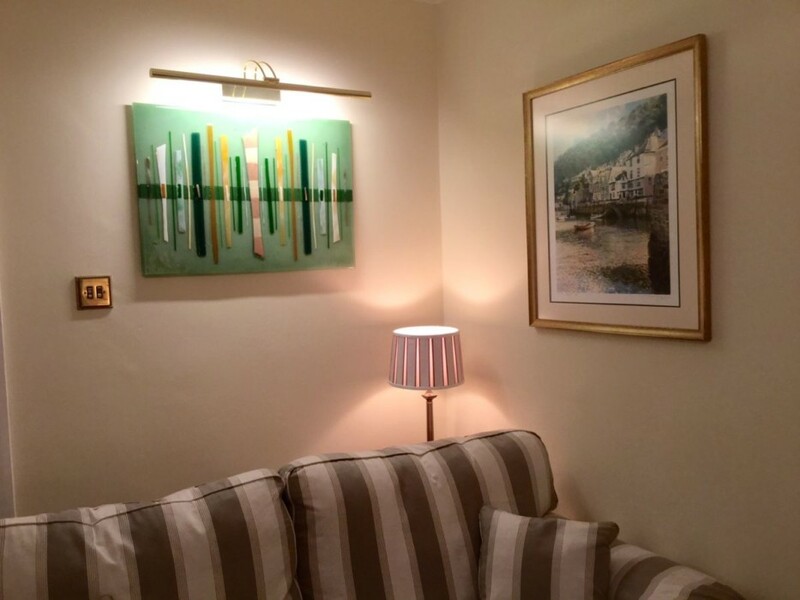 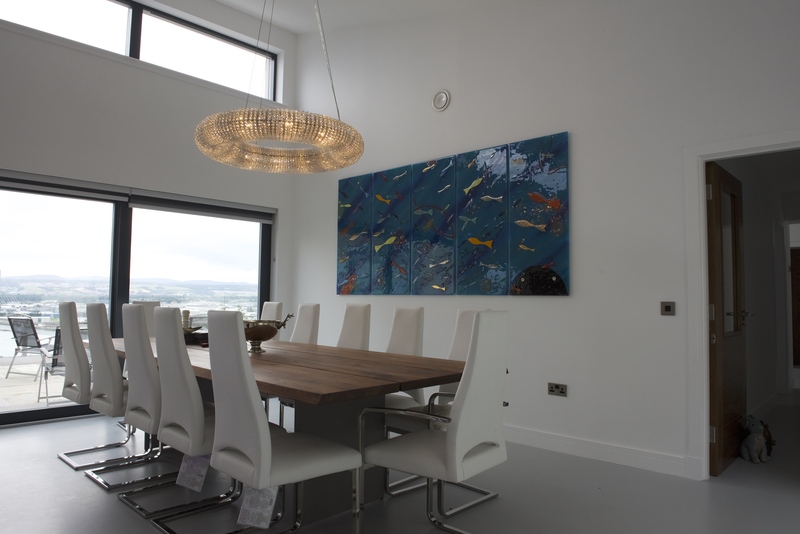 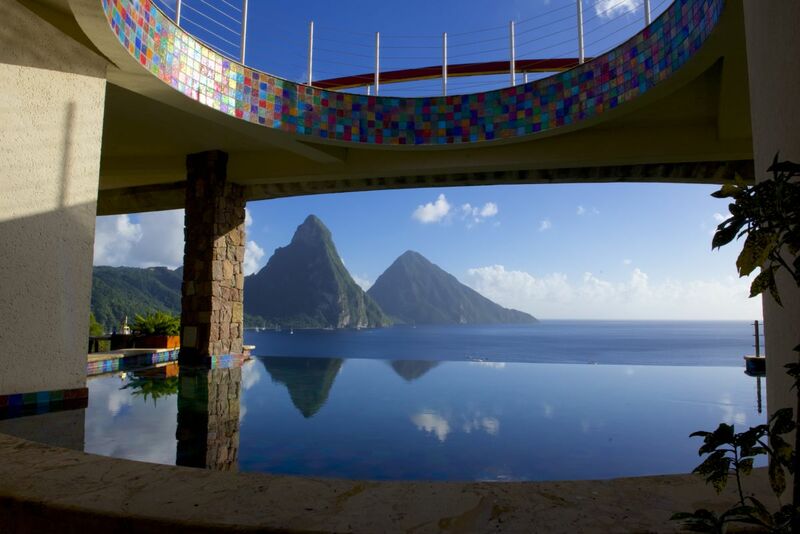 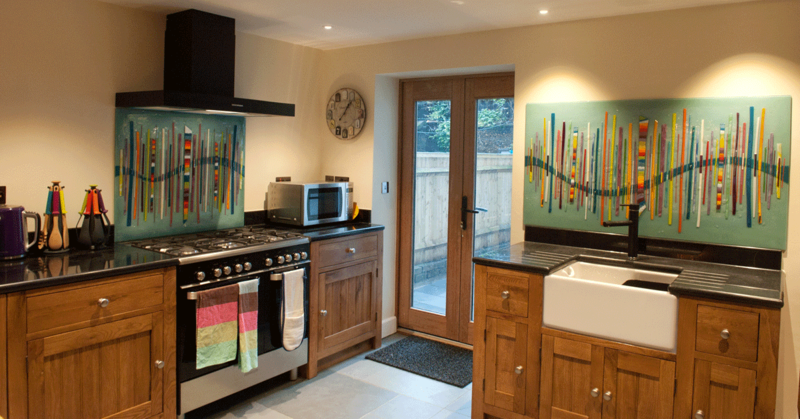 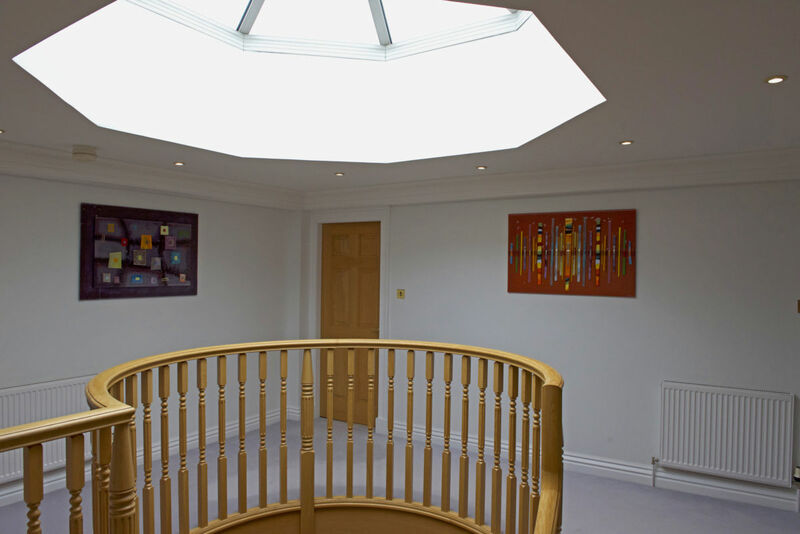 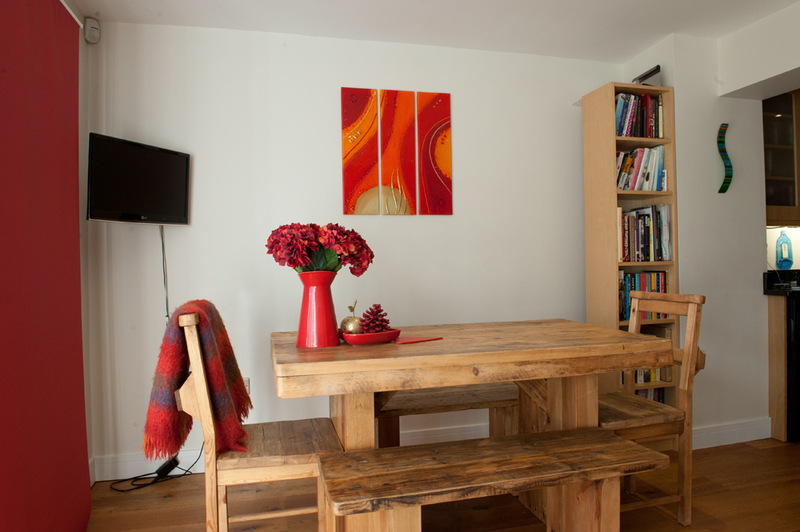 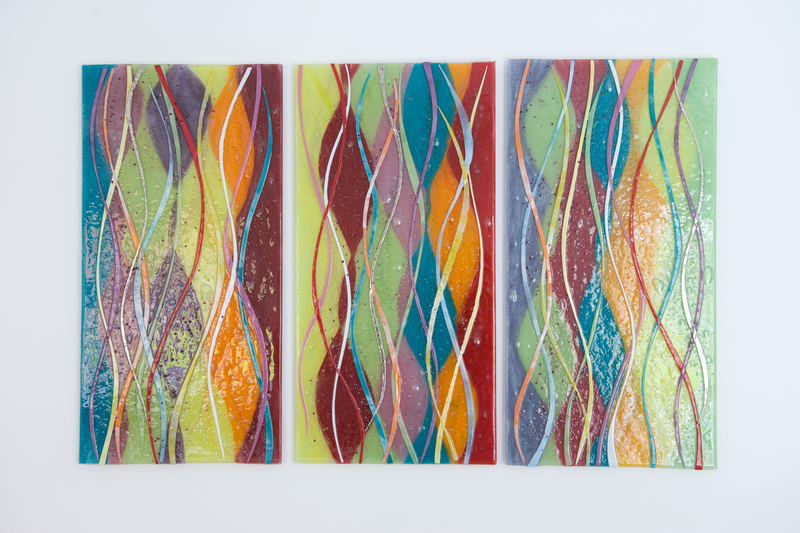 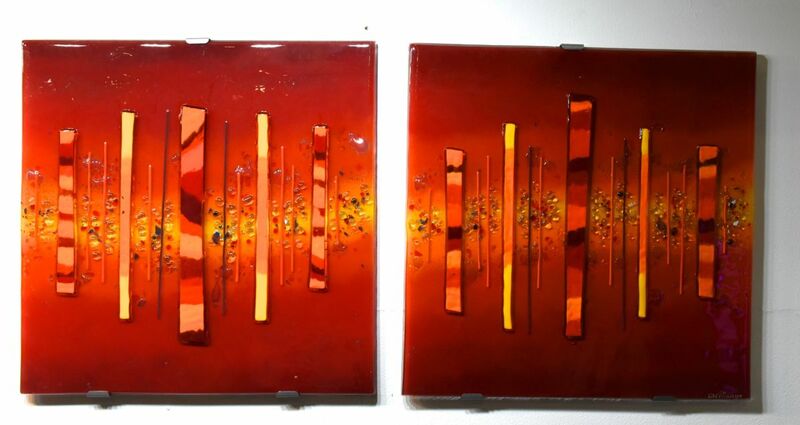 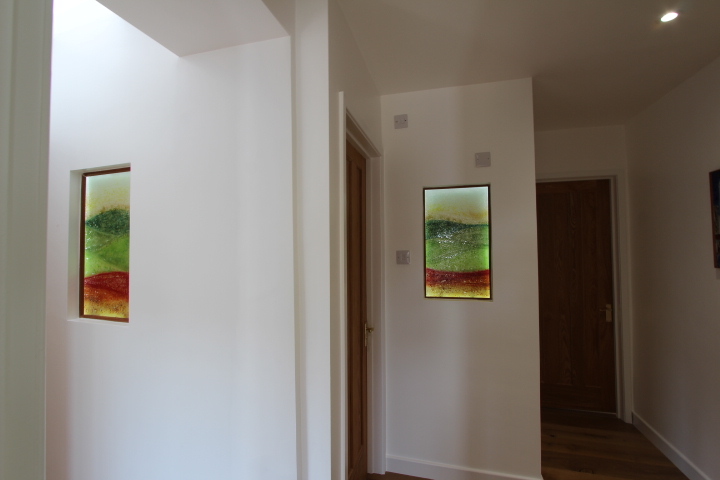 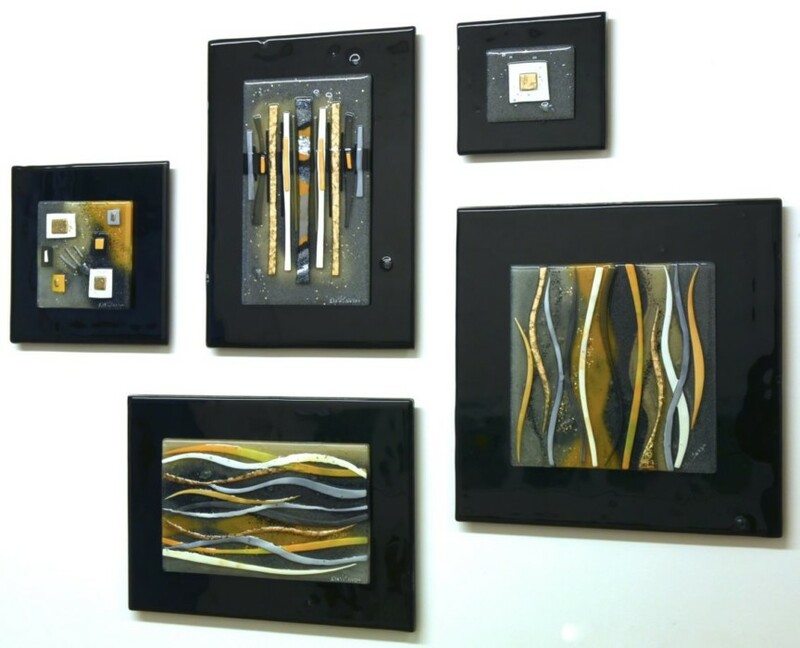 They’re paintings by the famous painter Turner, whose style just so happens to be very compatible with fused glass art. 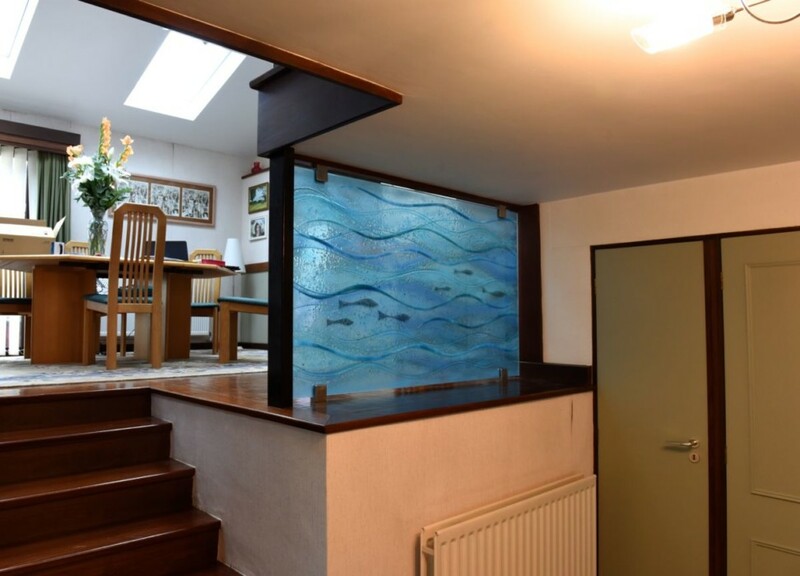 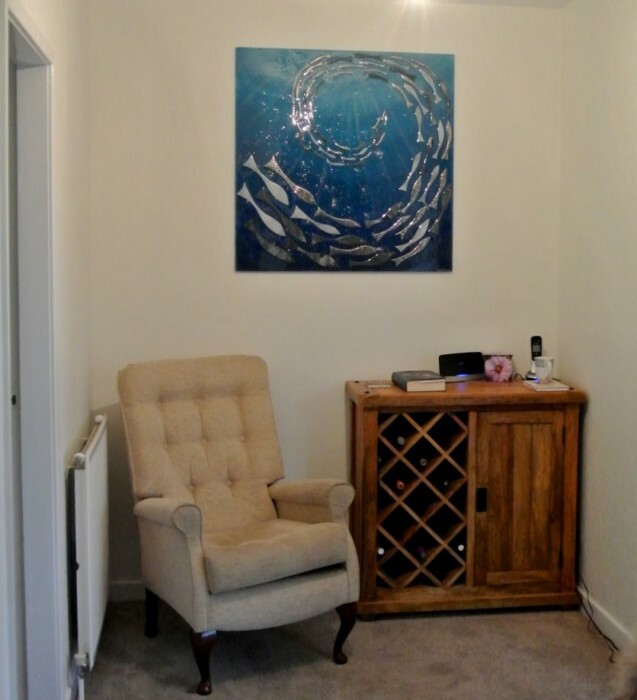 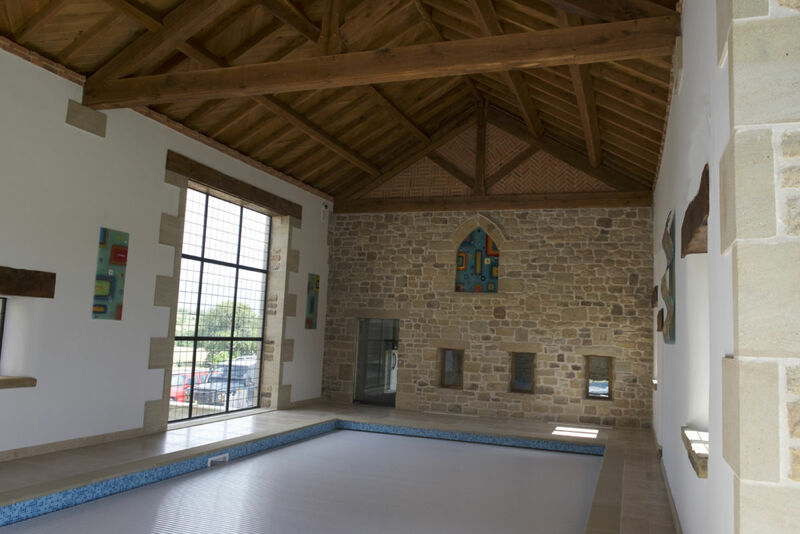 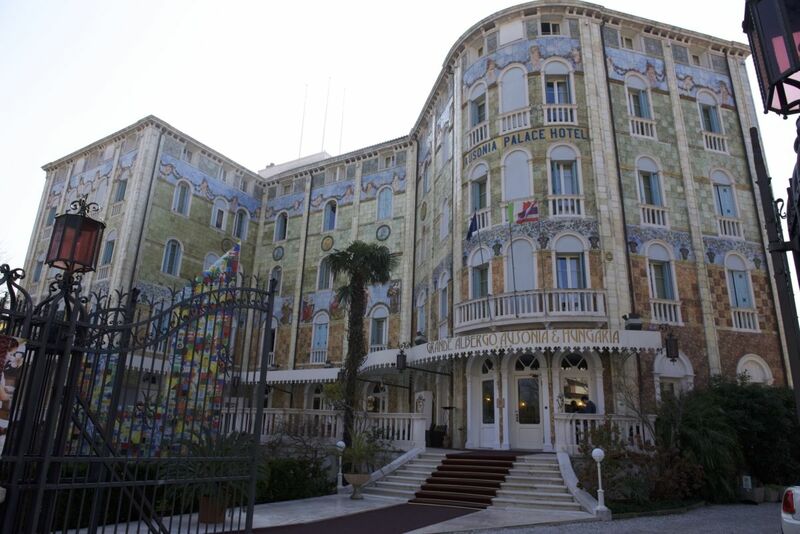 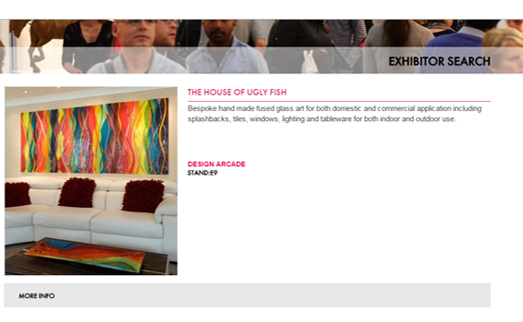 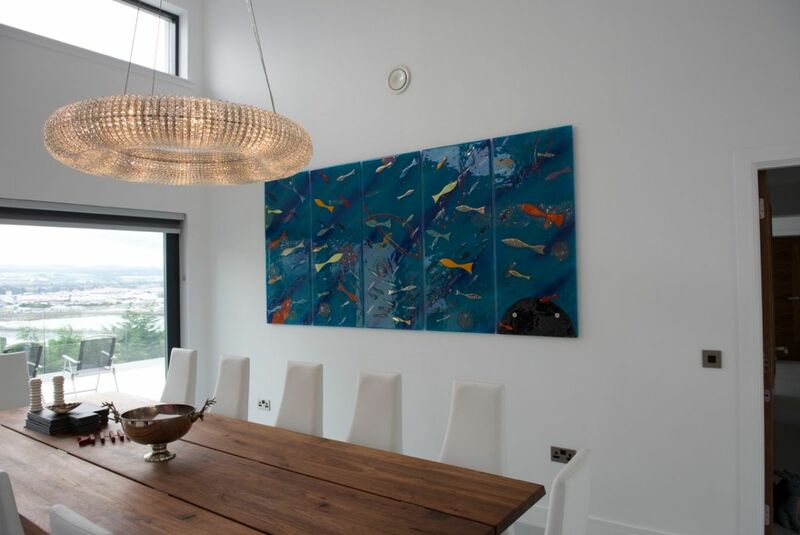 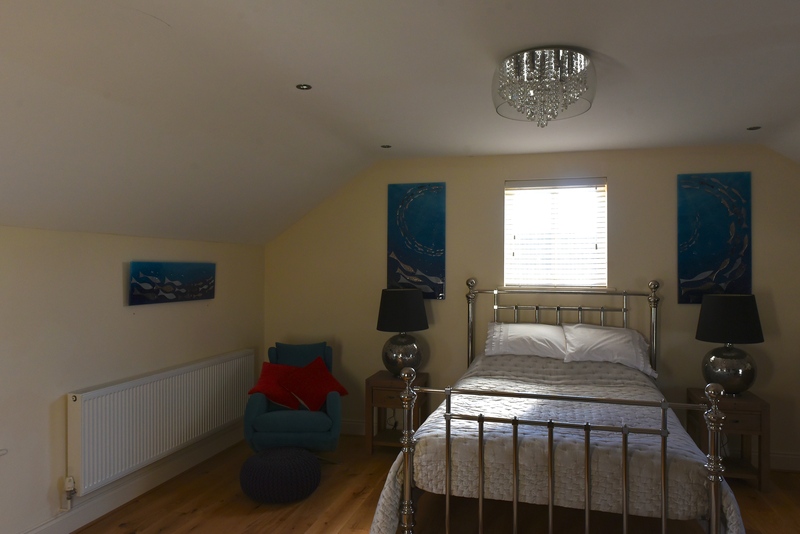 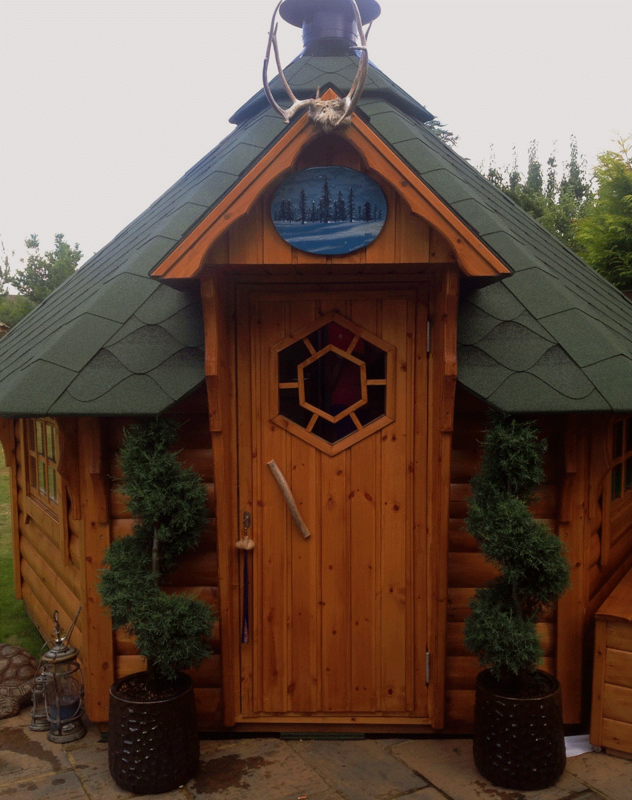 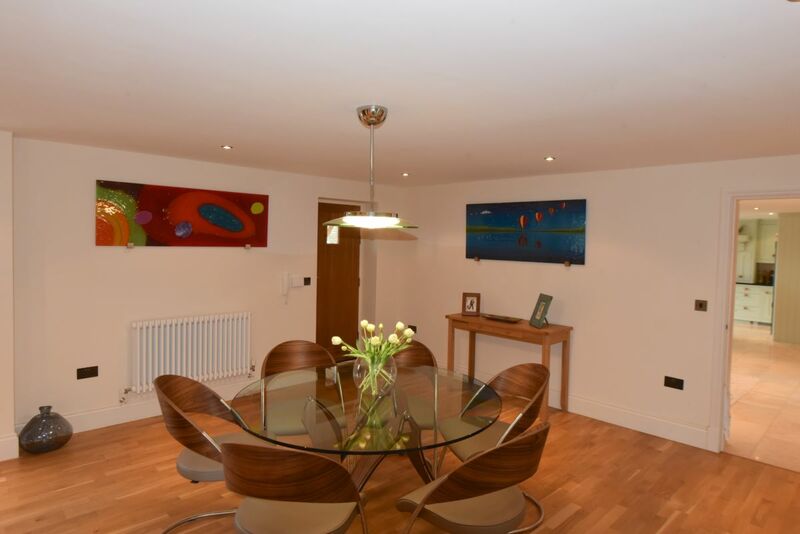 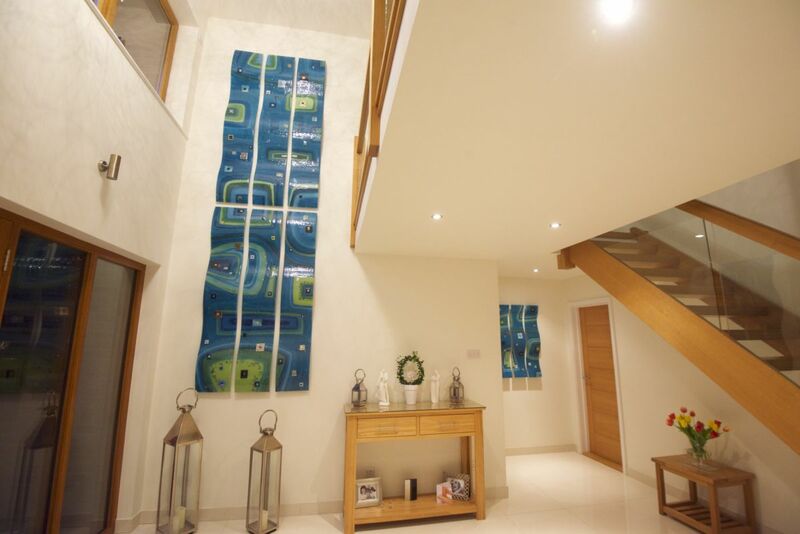 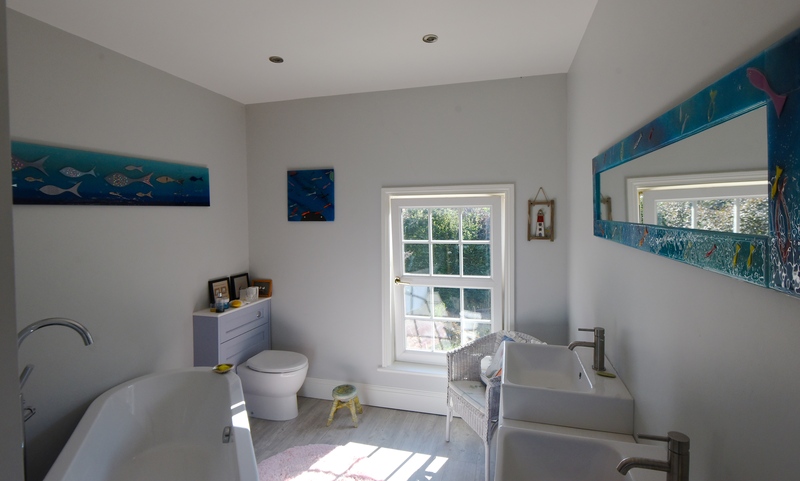 If you’re looking to achieve the same incredible effect in your own home, make sure that The House of Ugly Fish is your first port of call. 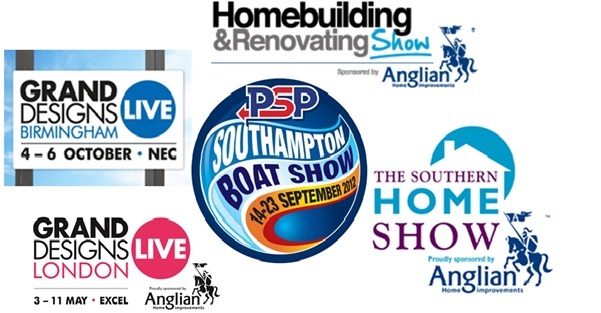 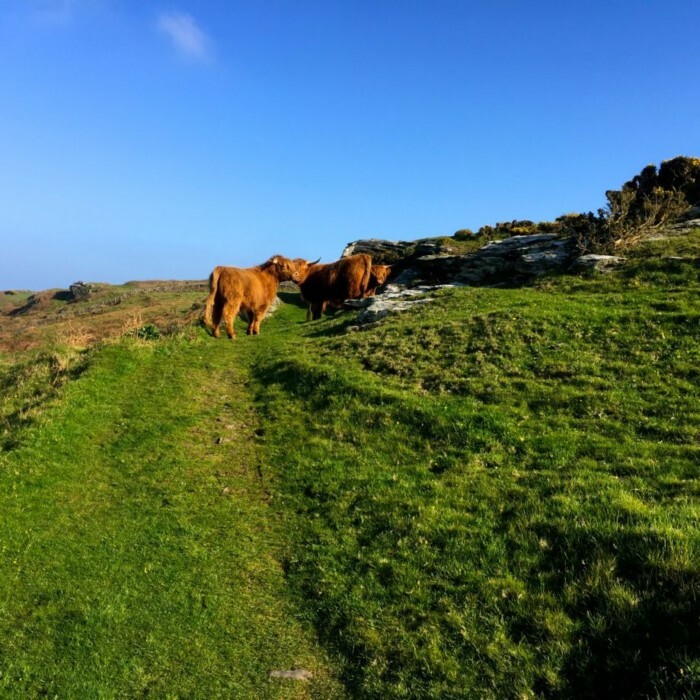 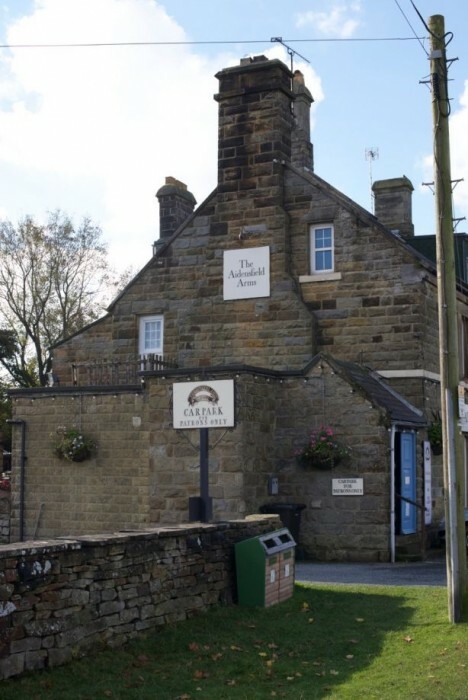 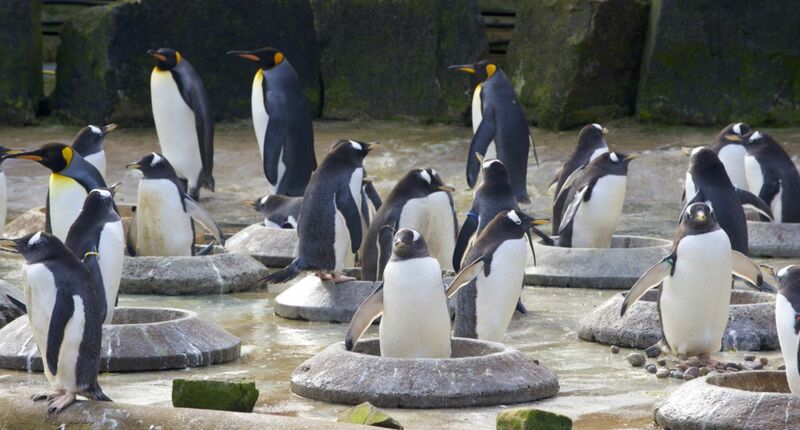 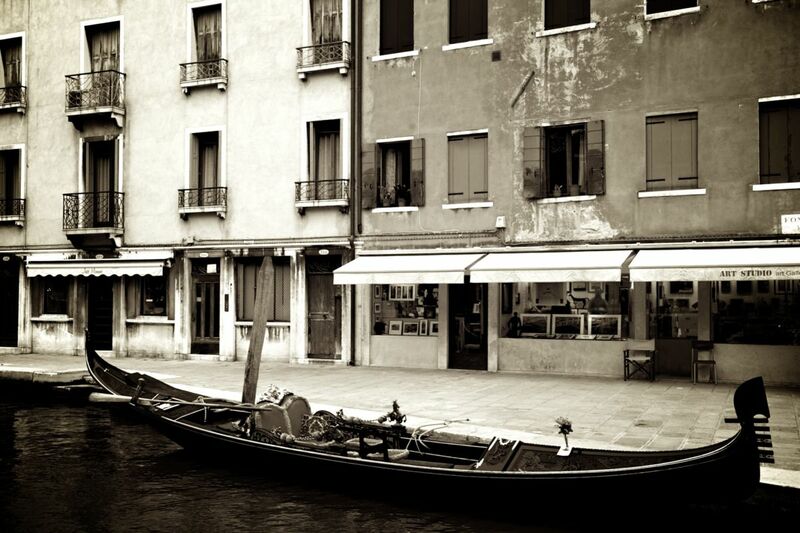 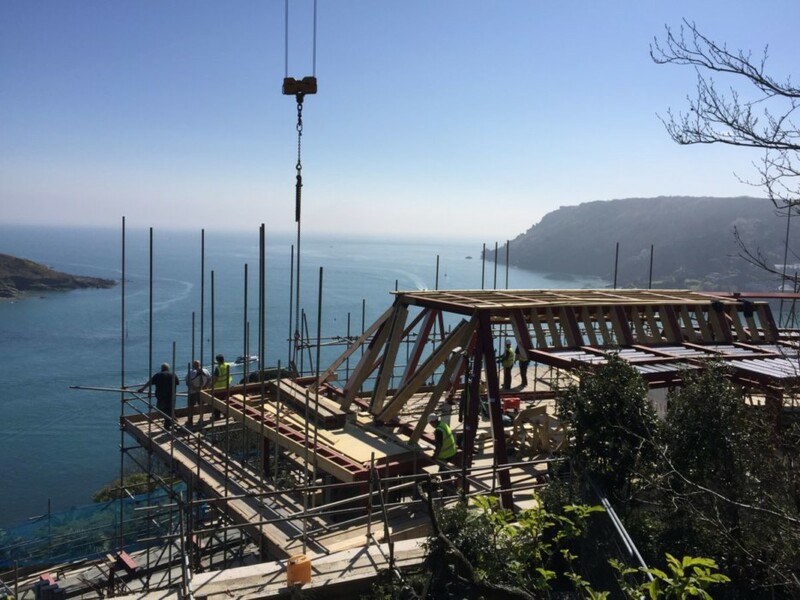 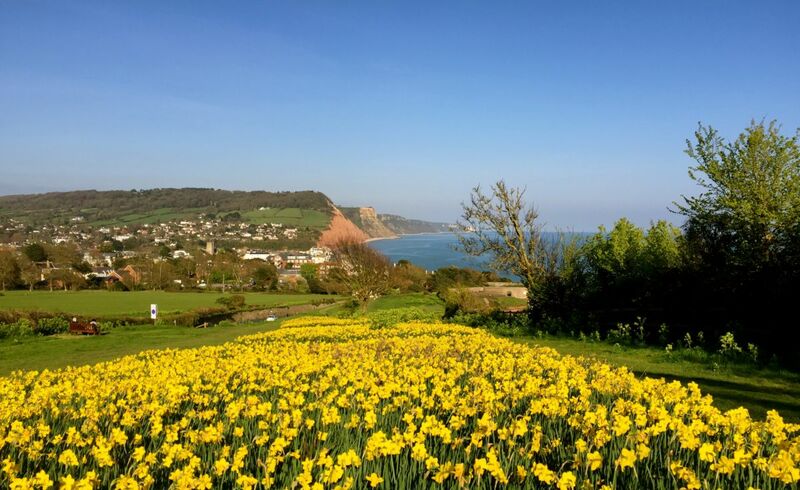 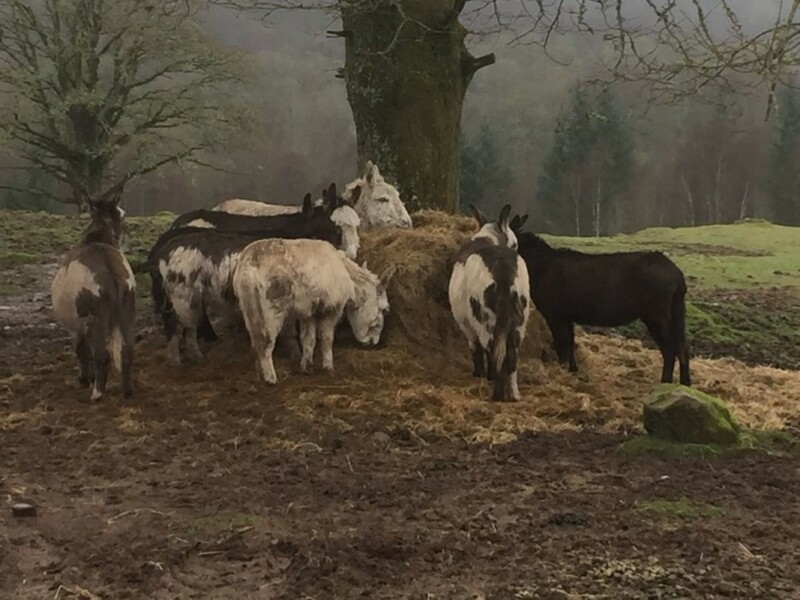 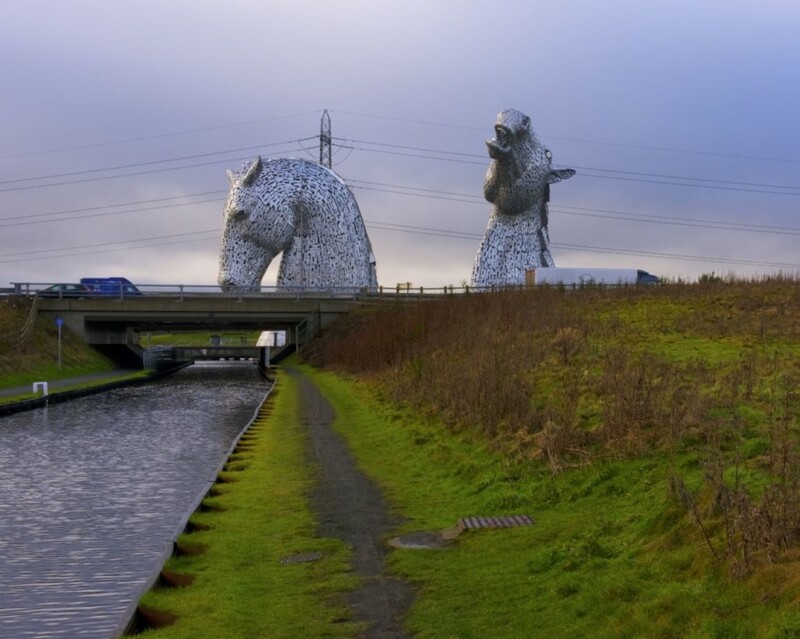 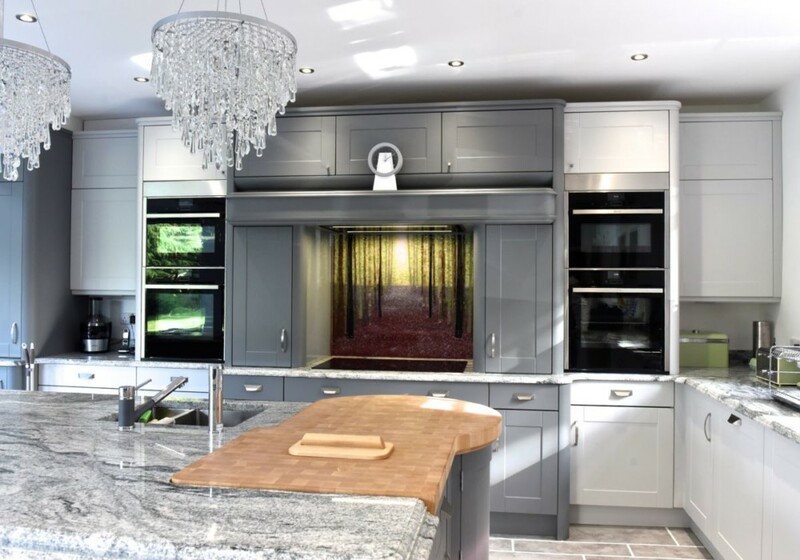 You can find our full contact details right here on our website, so make sure you don’t wait to pick up the phone or drop us an email as soon as you can. 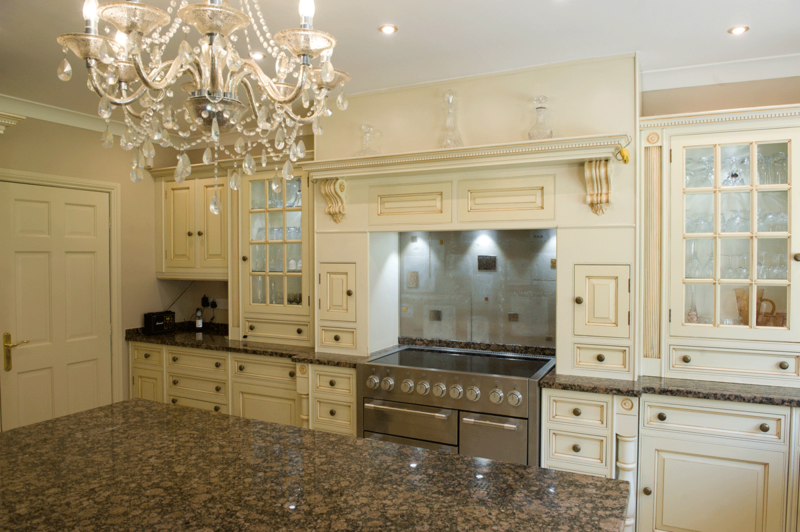 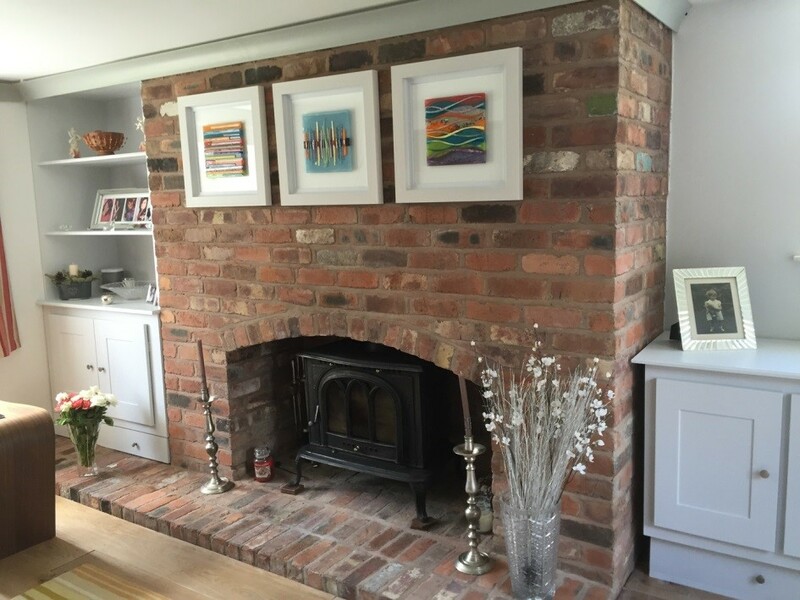 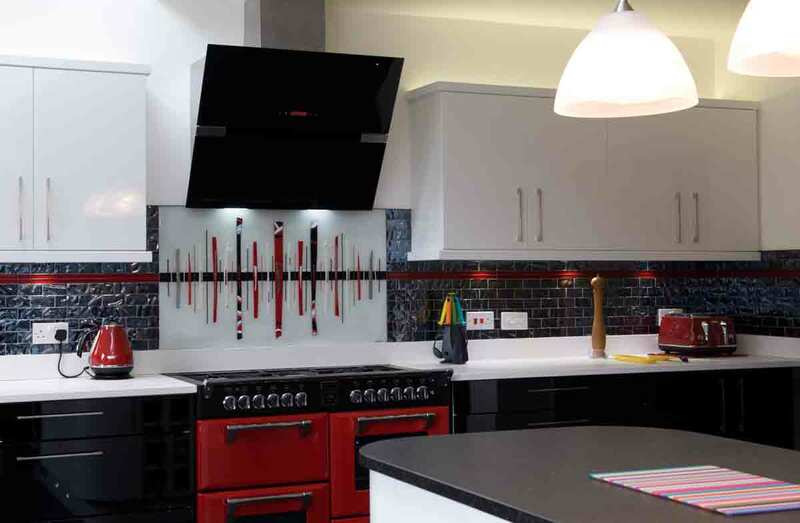 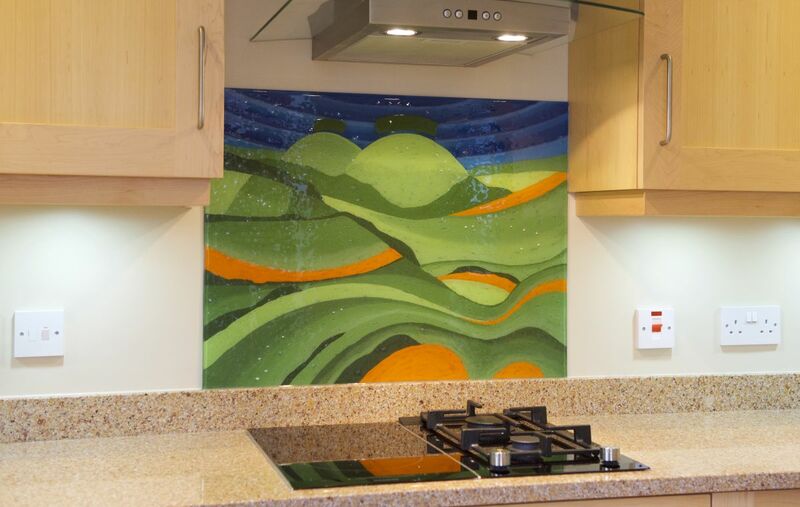 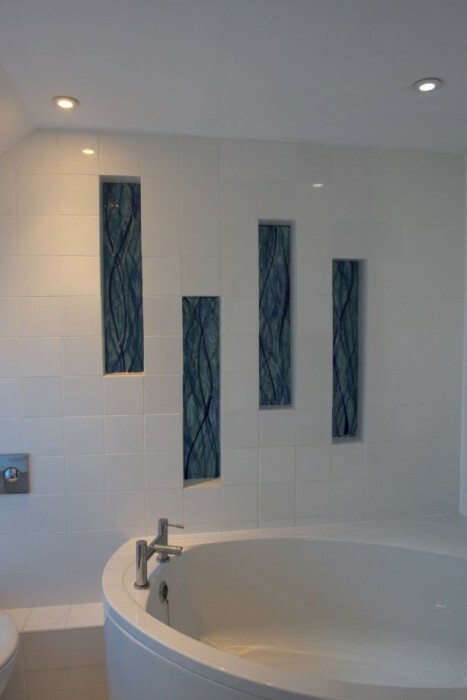 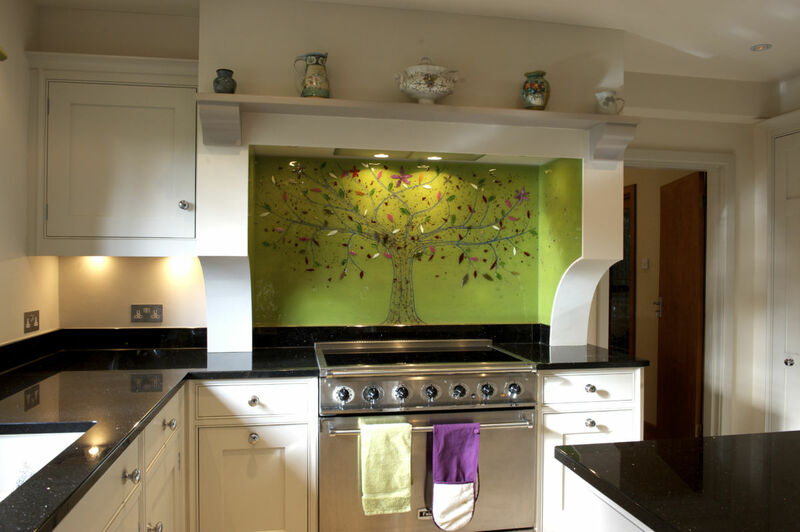 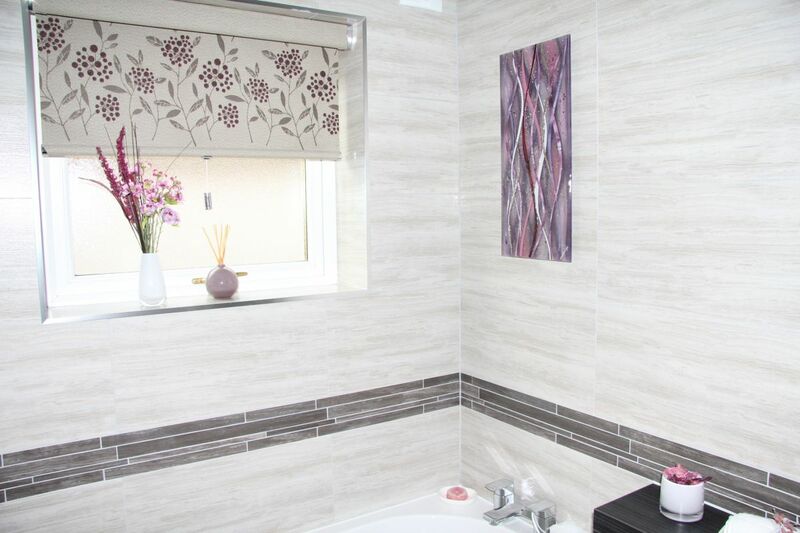 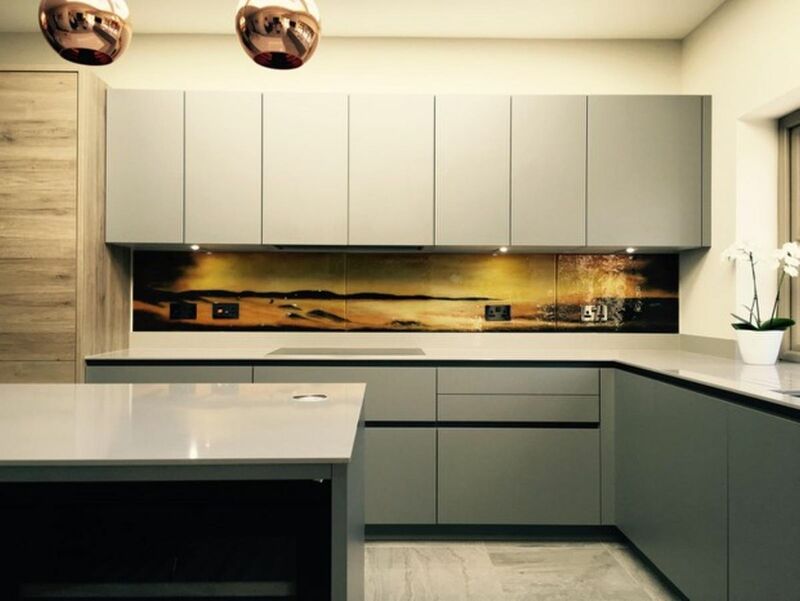 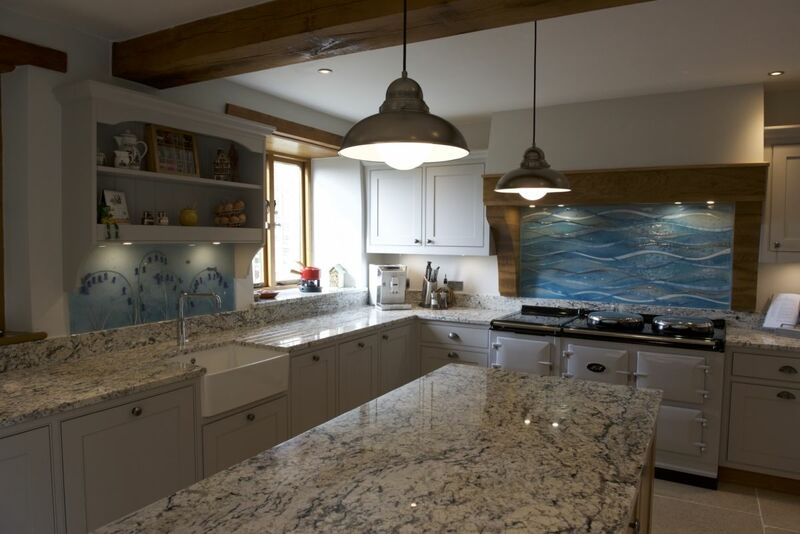 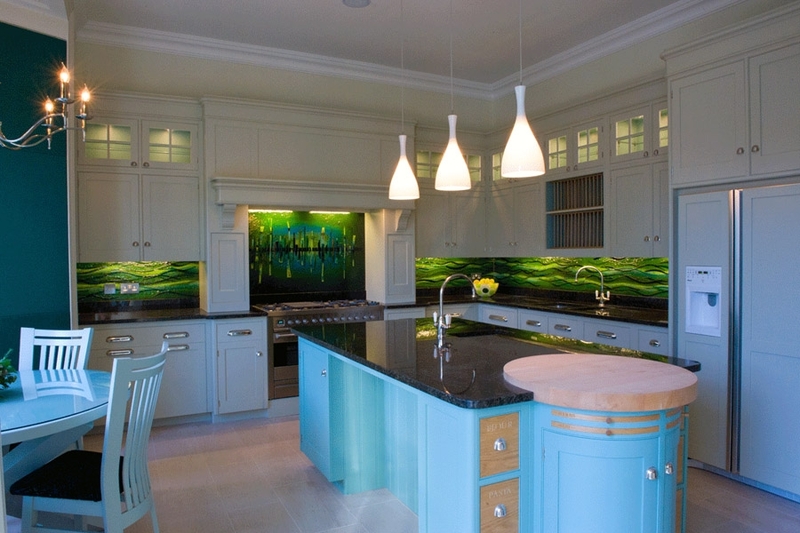 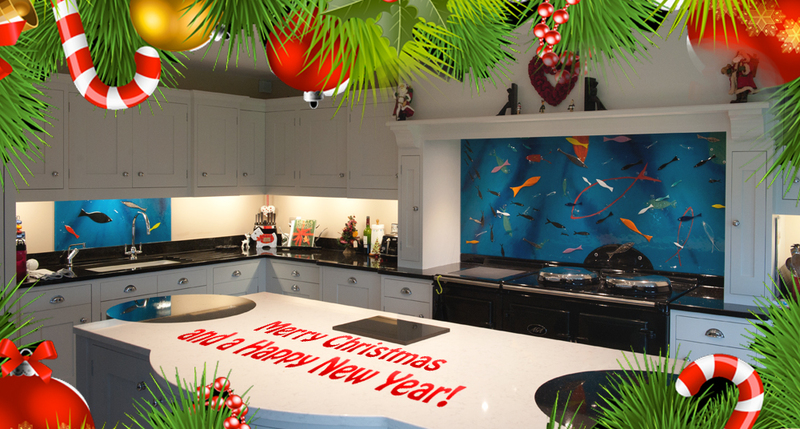 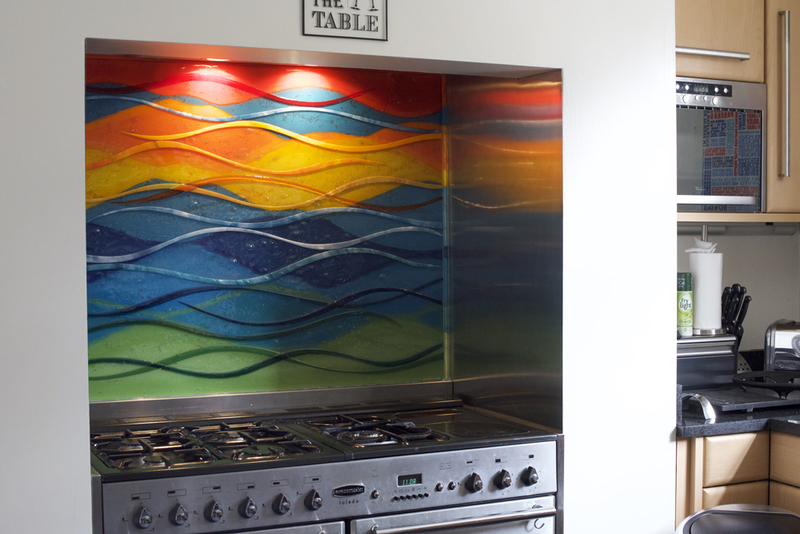 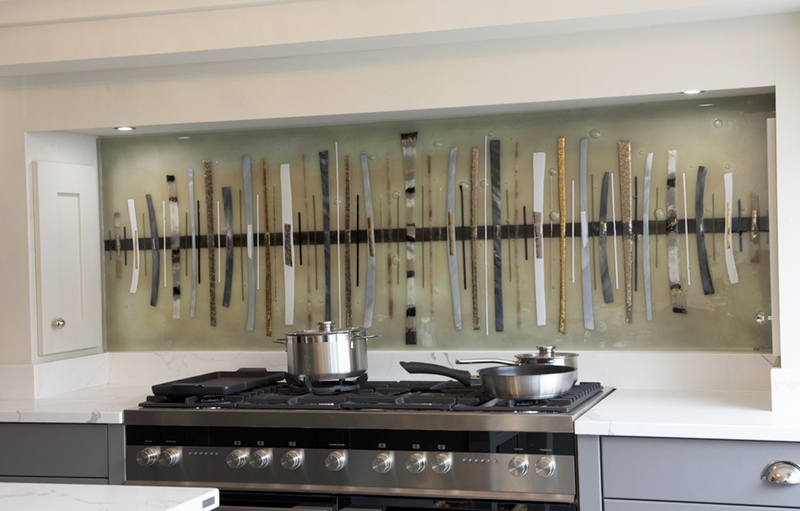 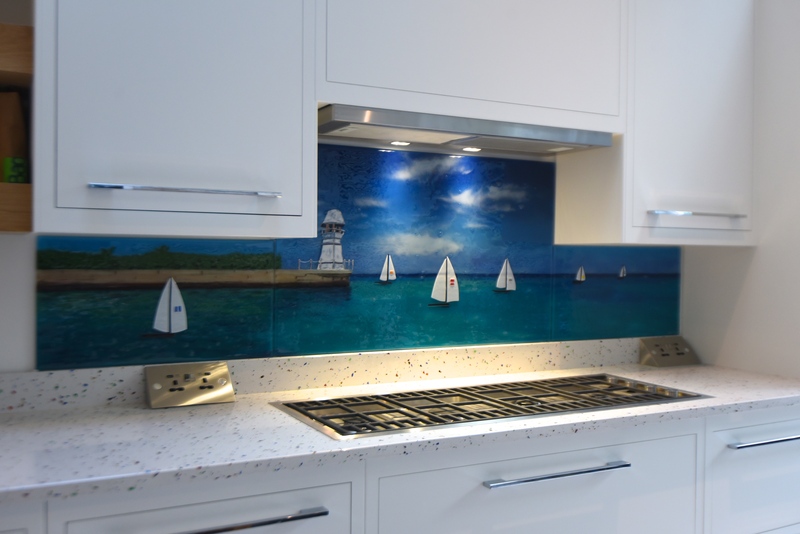 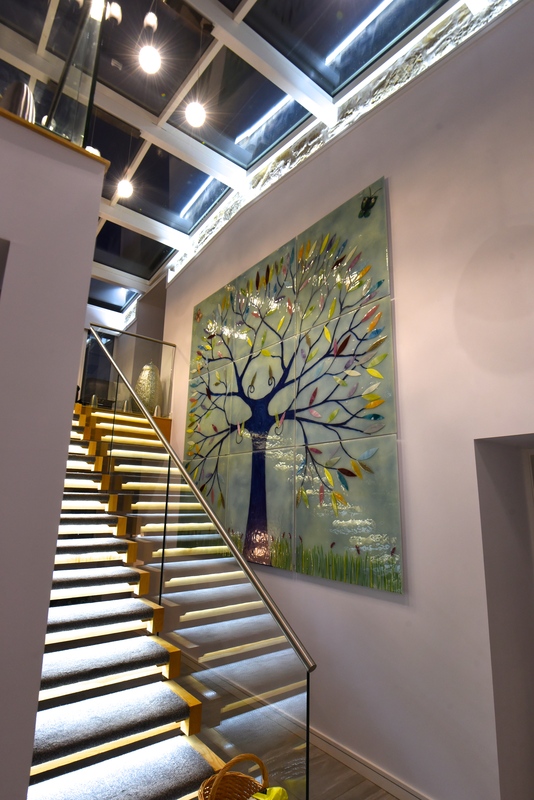 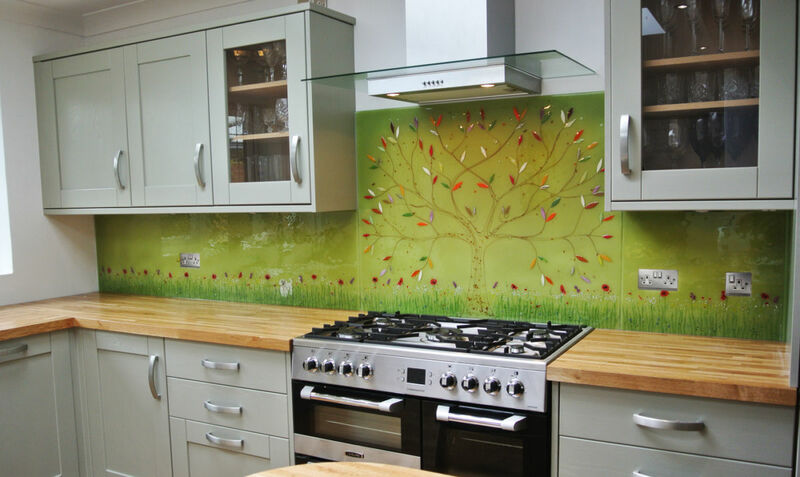 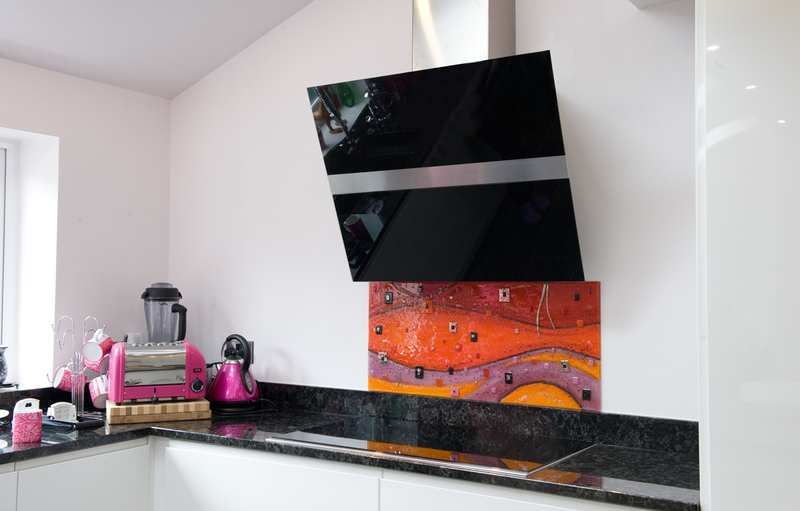 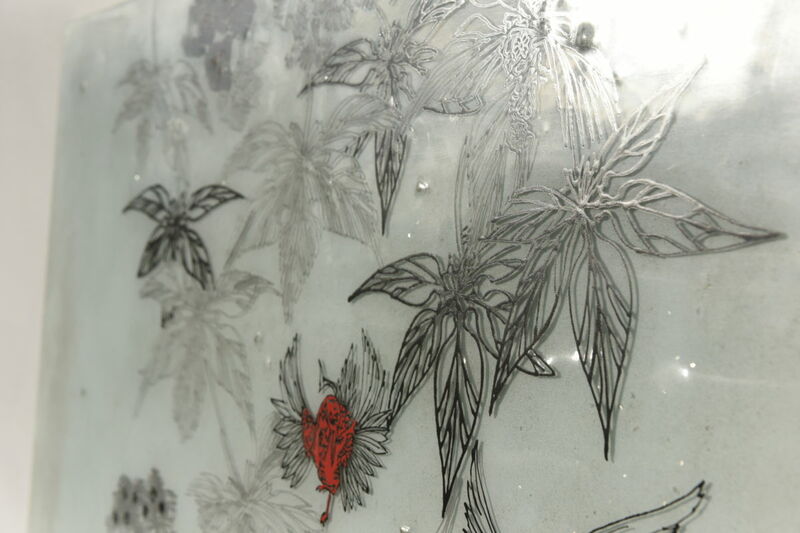 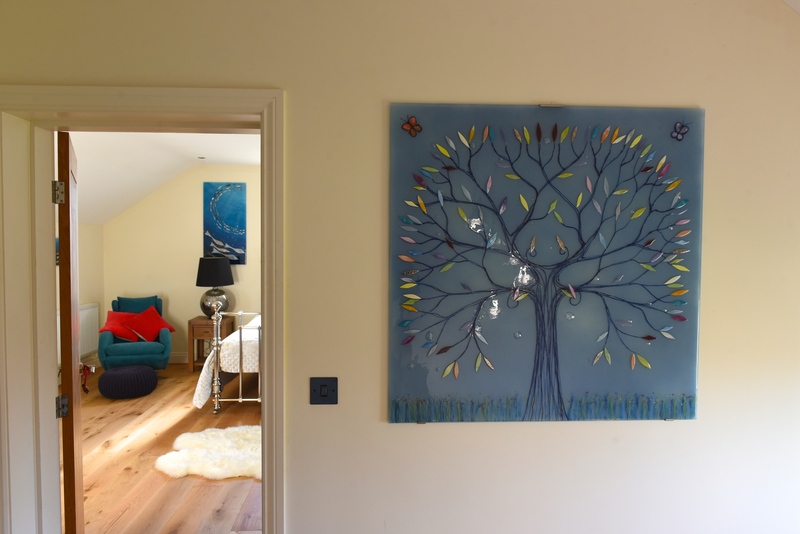 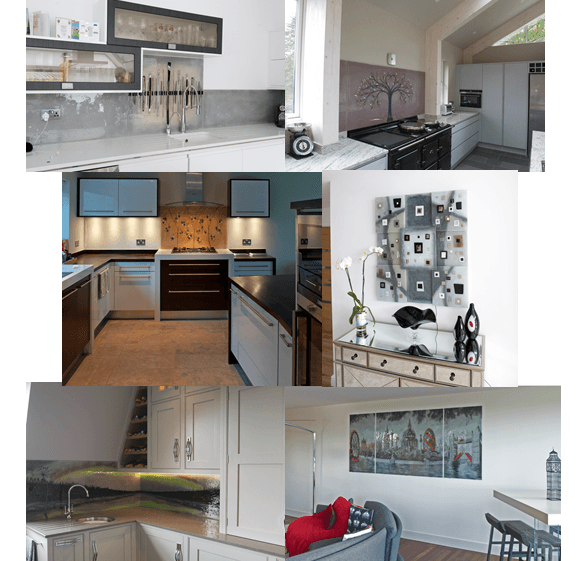 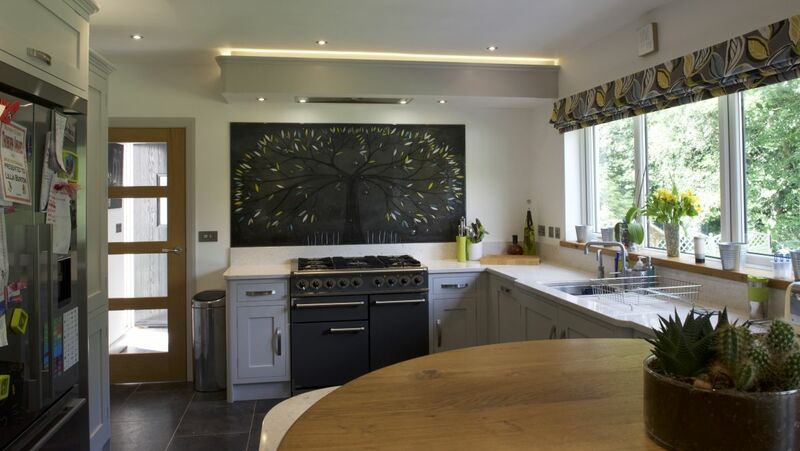 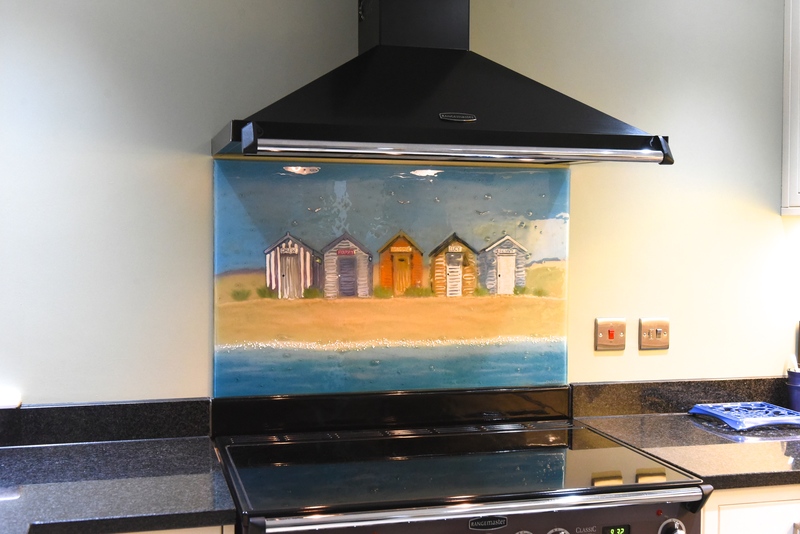 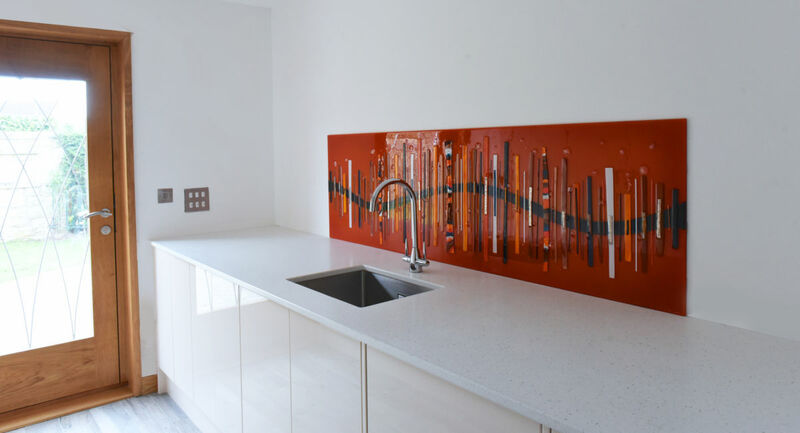 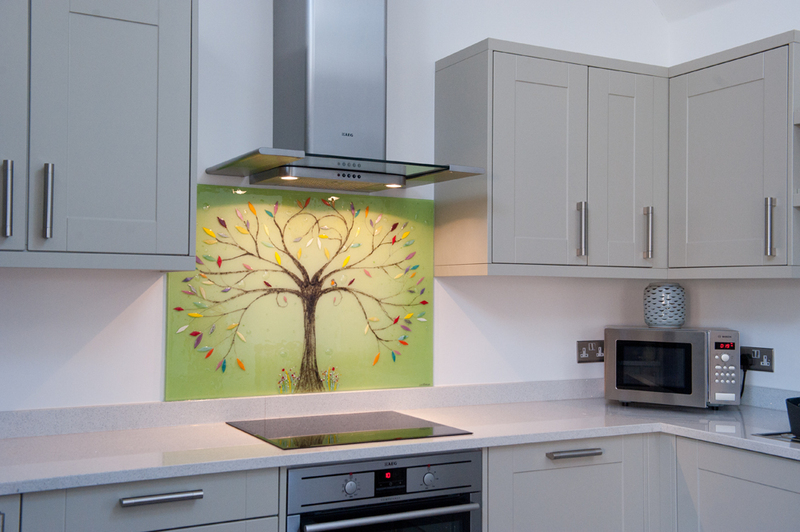 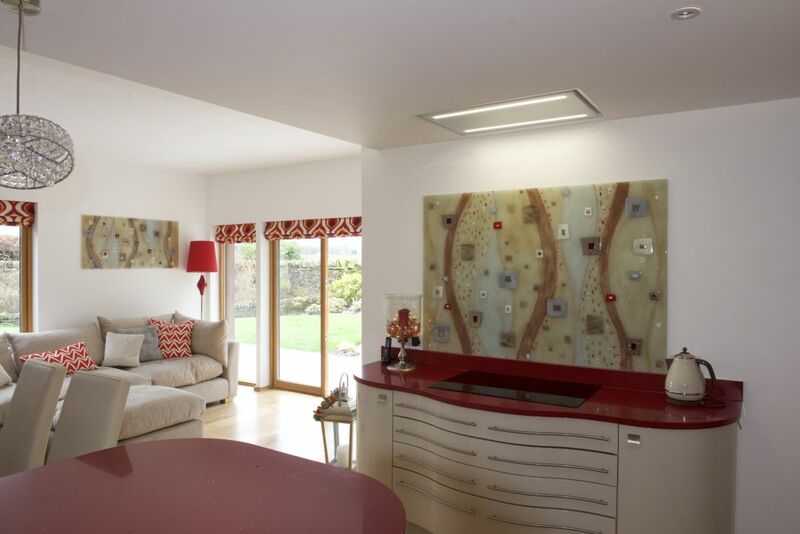 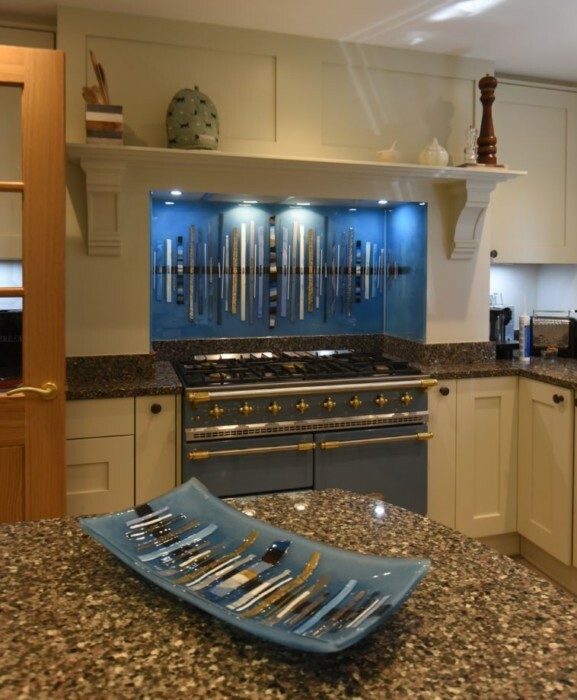 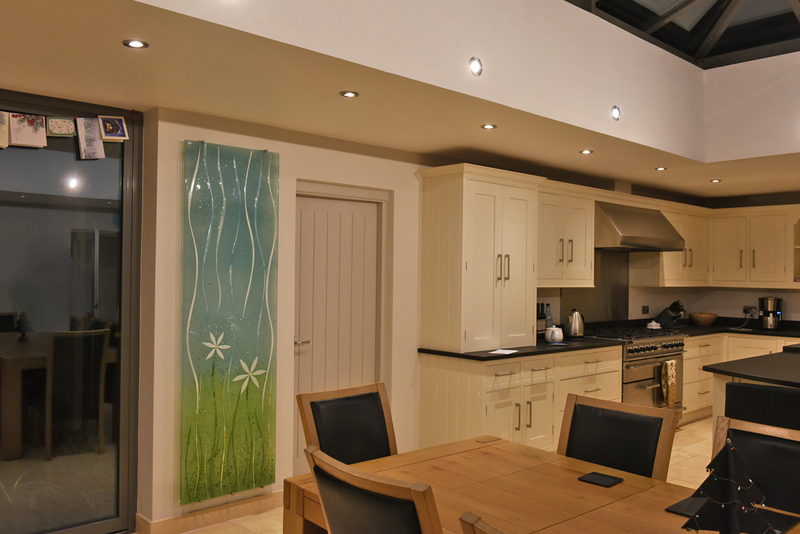 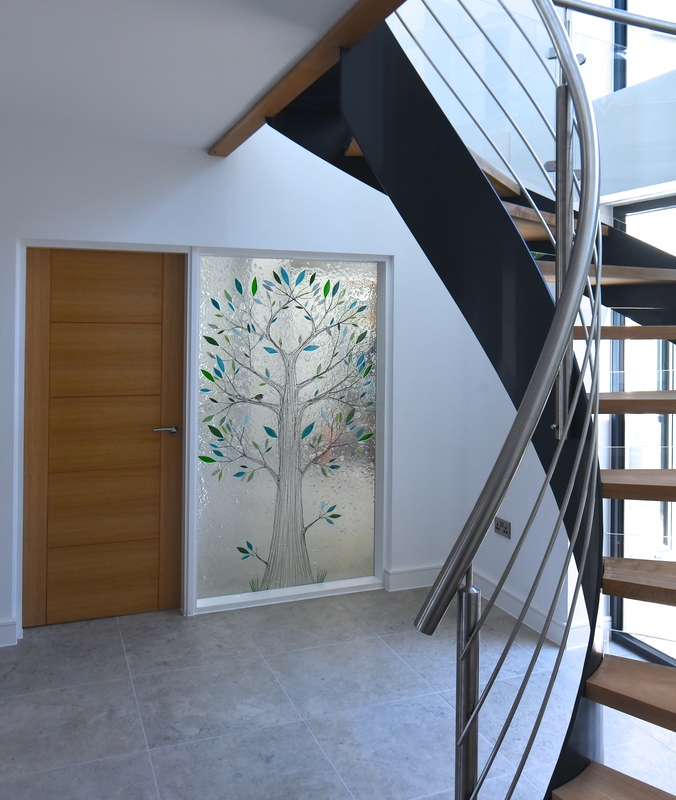 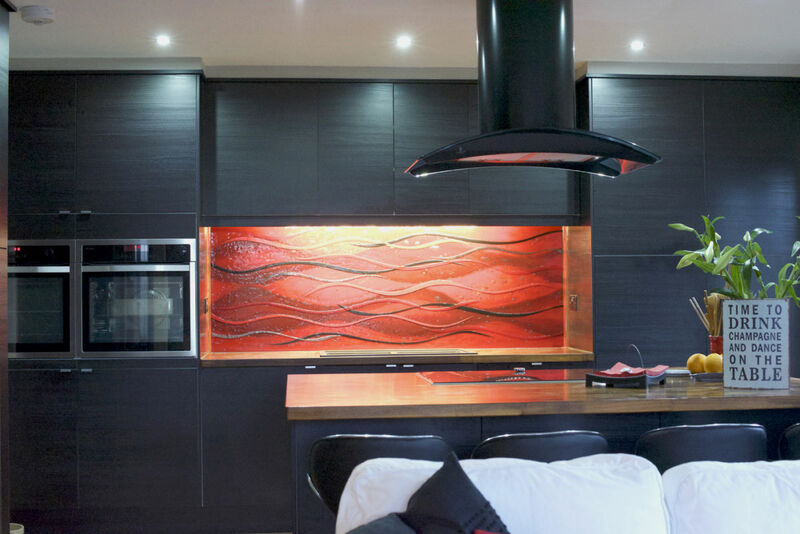 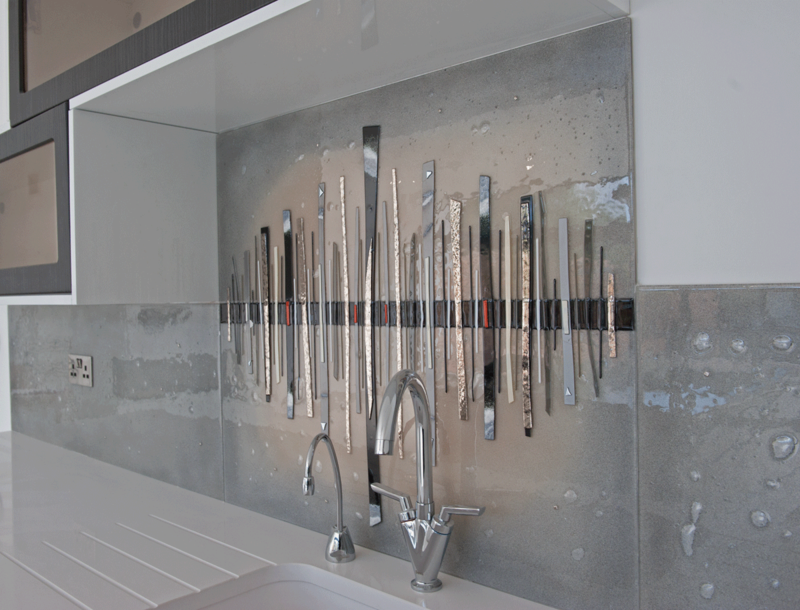 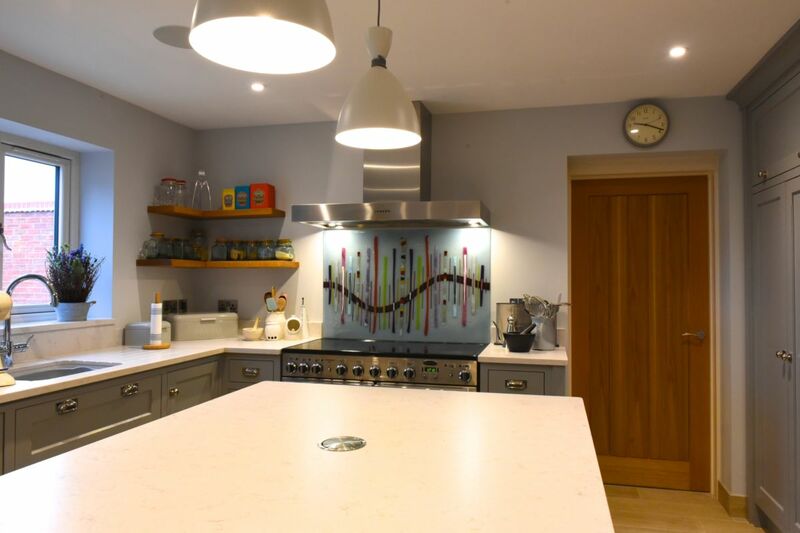 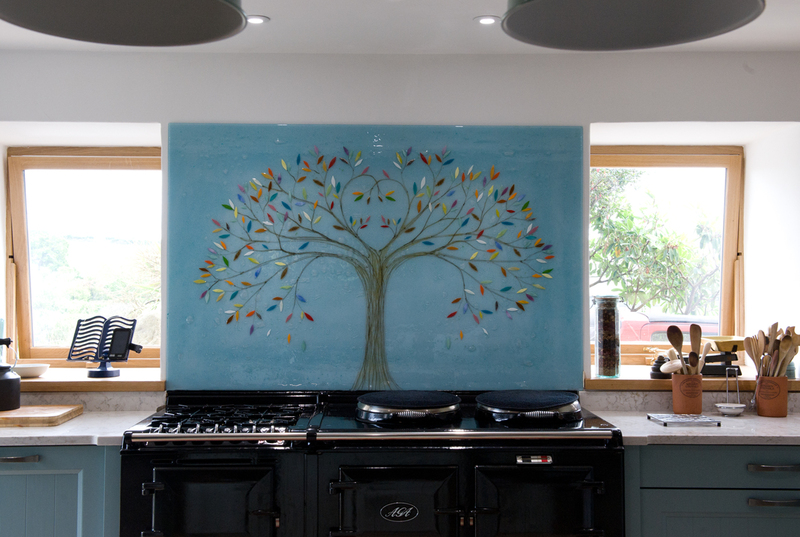 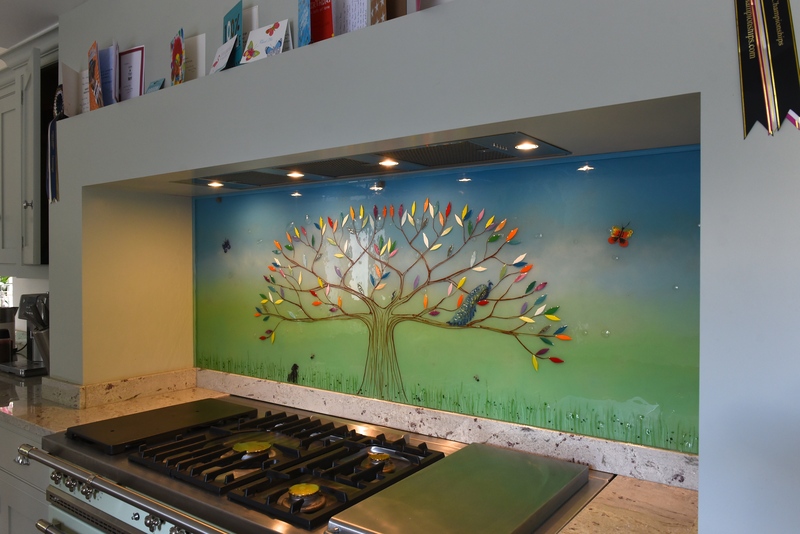 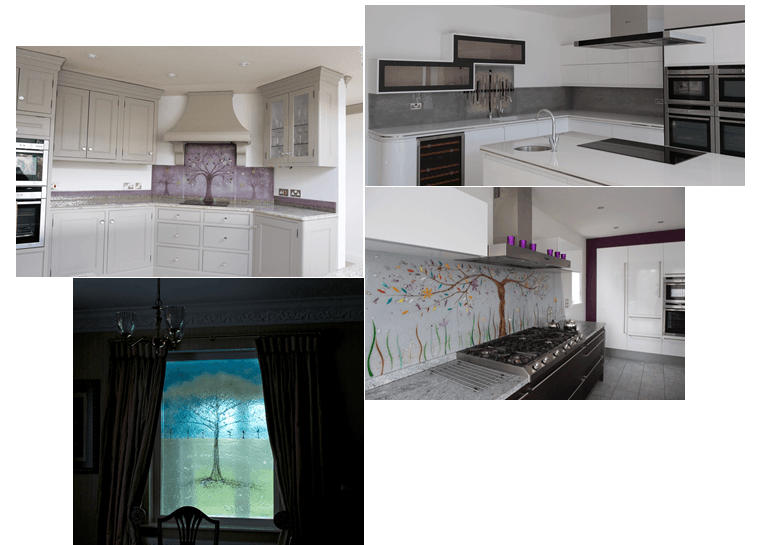 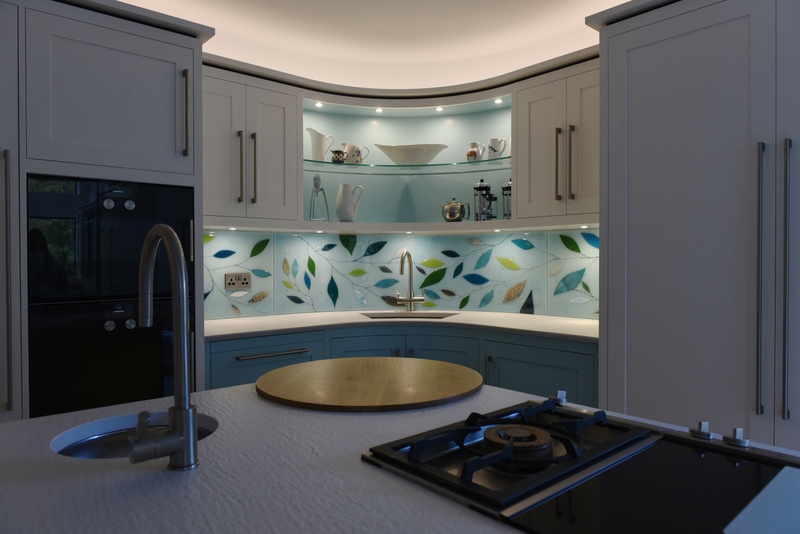 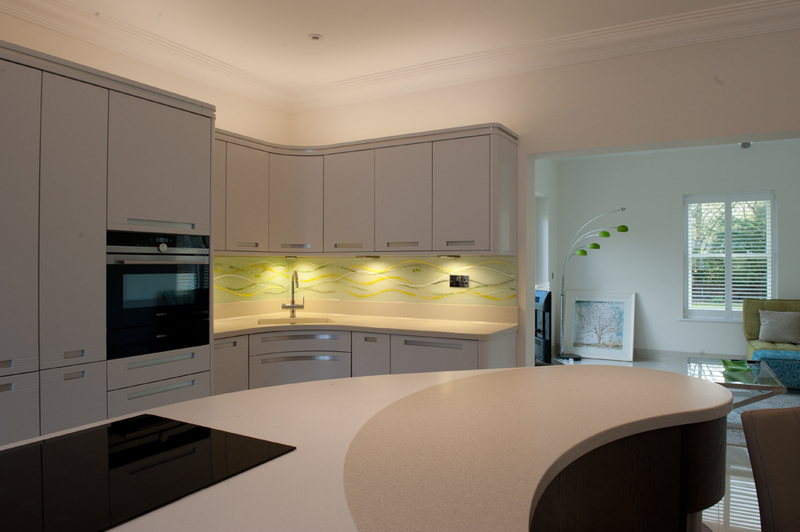 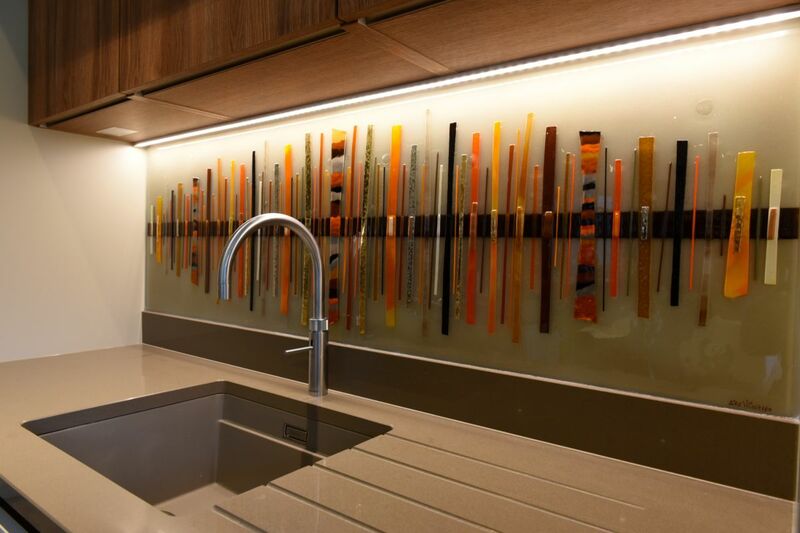 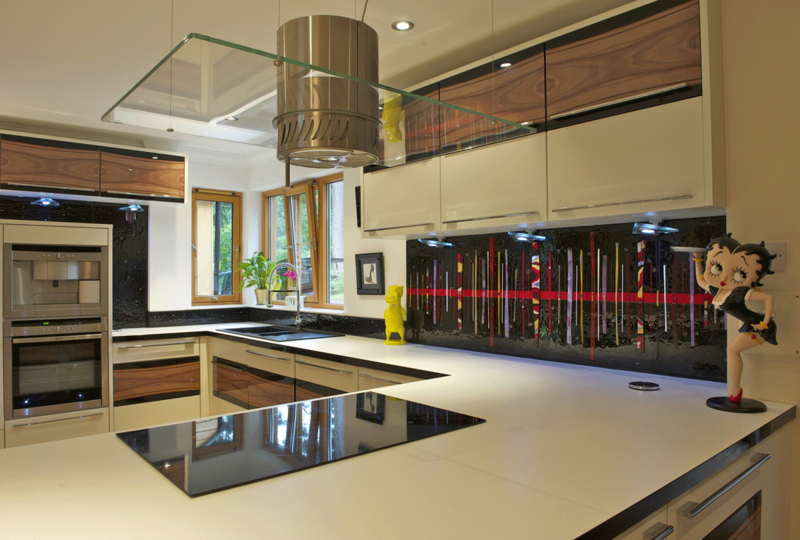 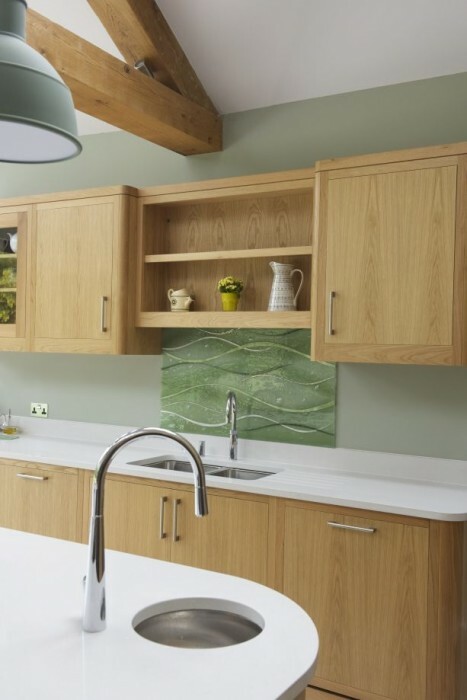 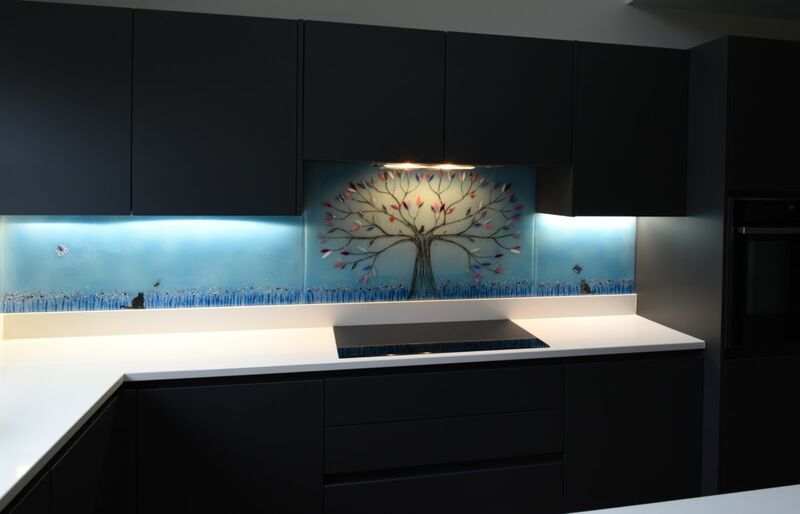 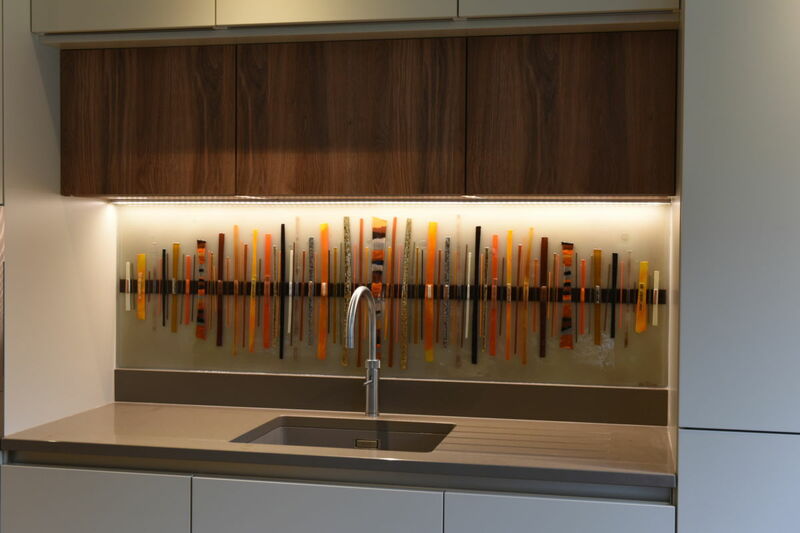 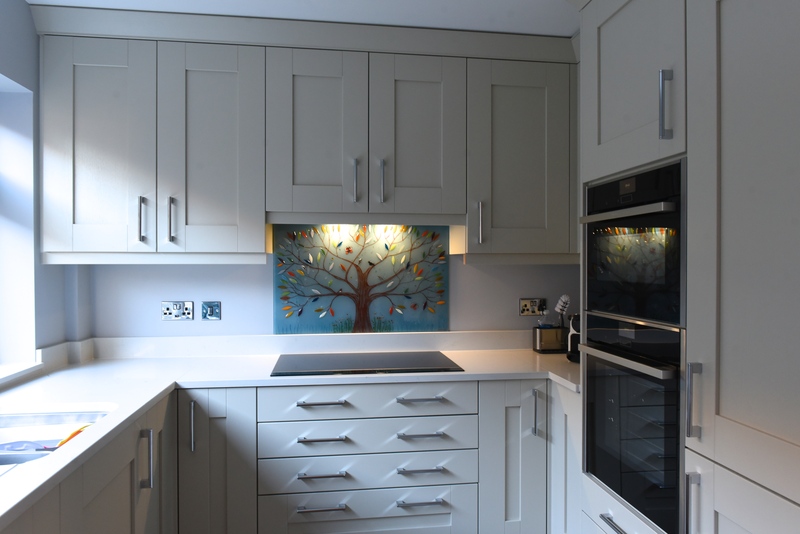 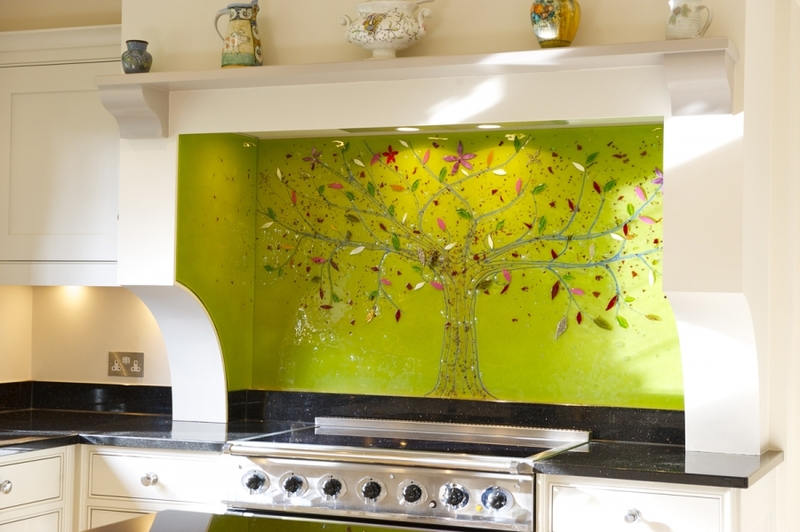 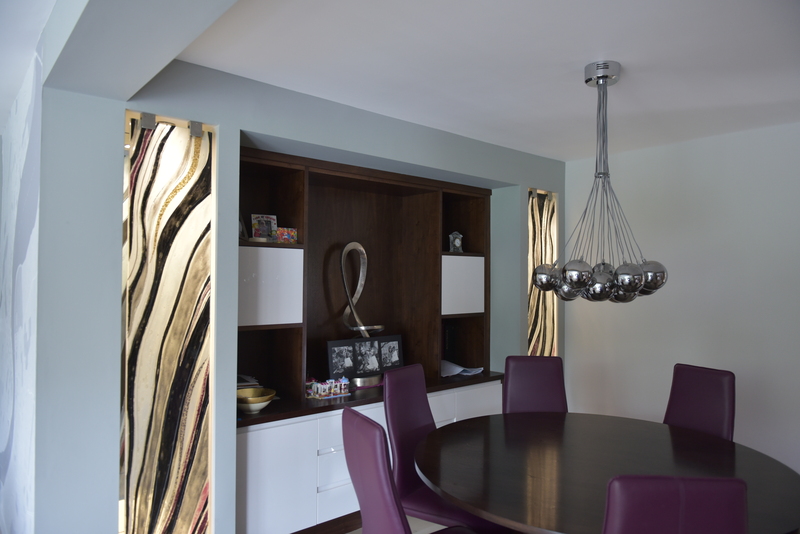 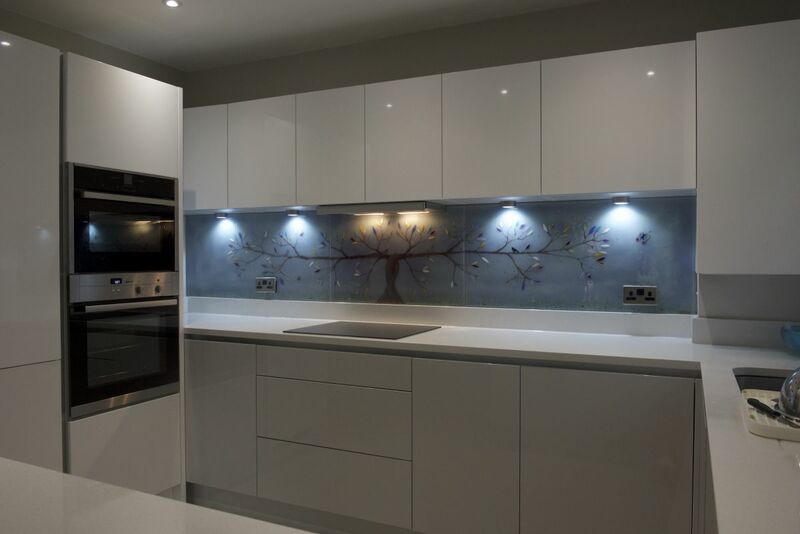 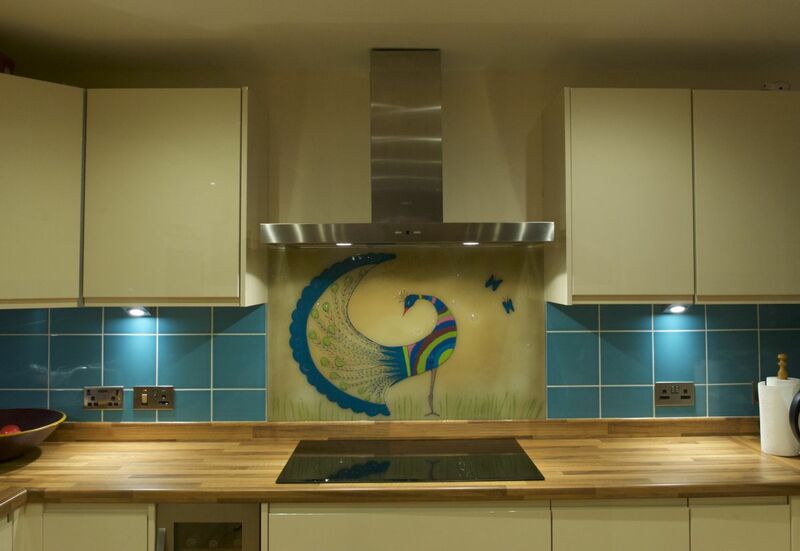 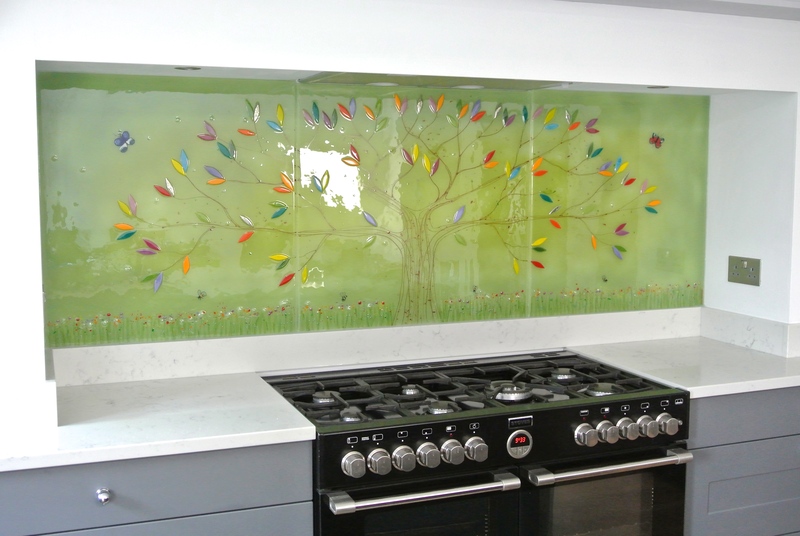 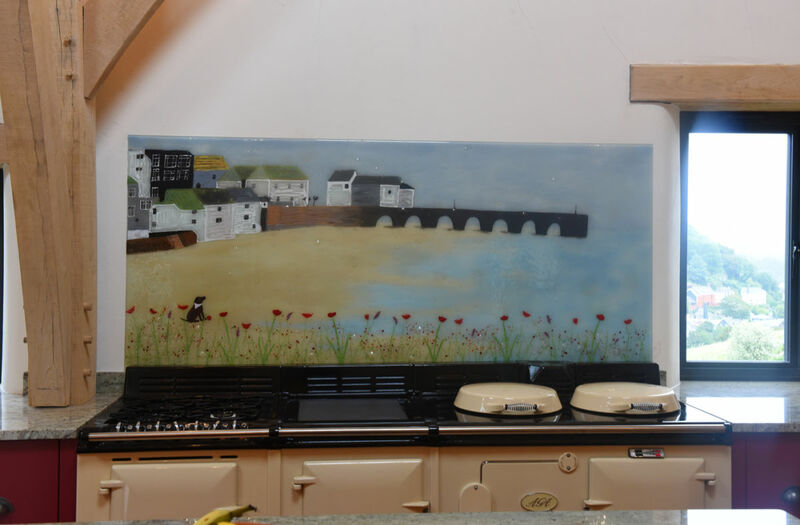 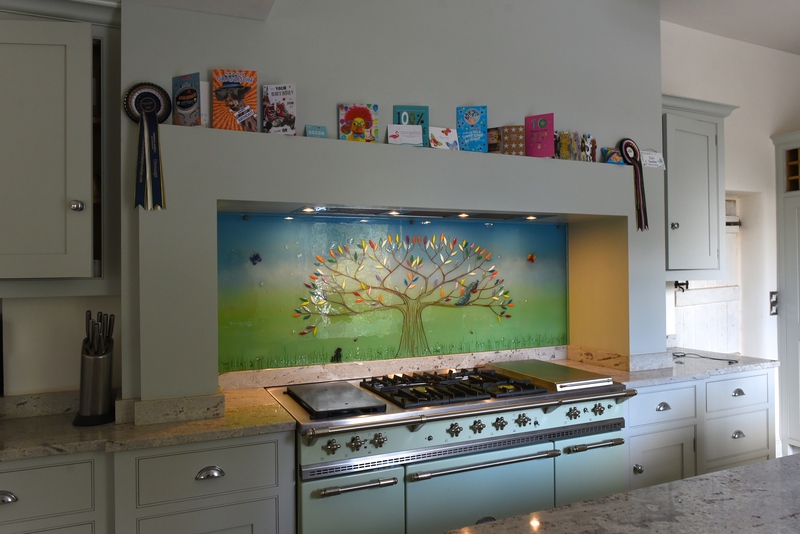 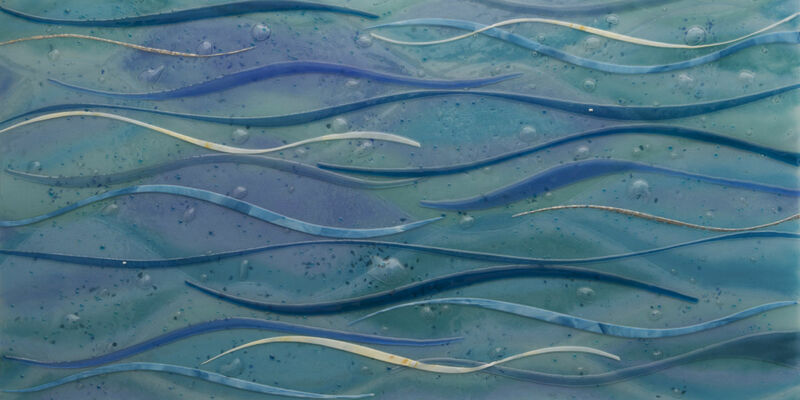 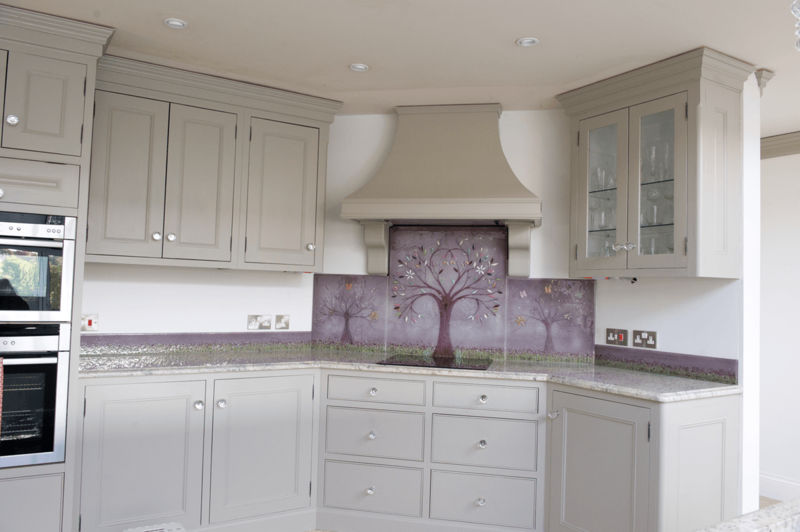 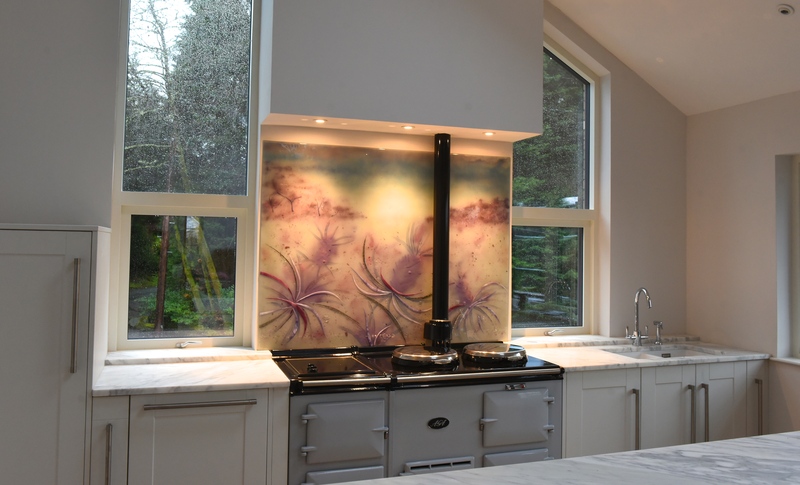 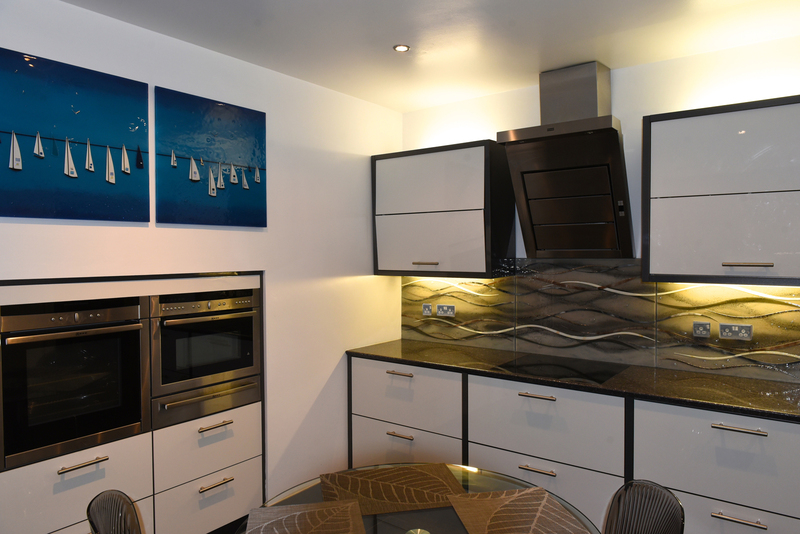 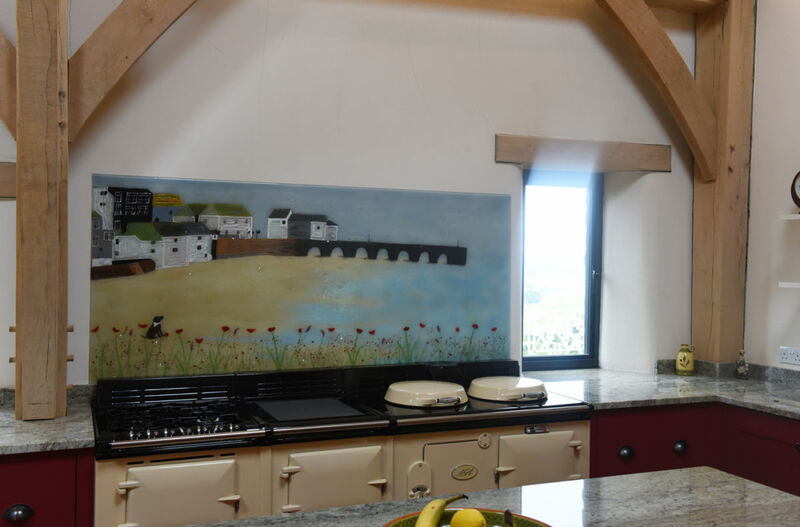 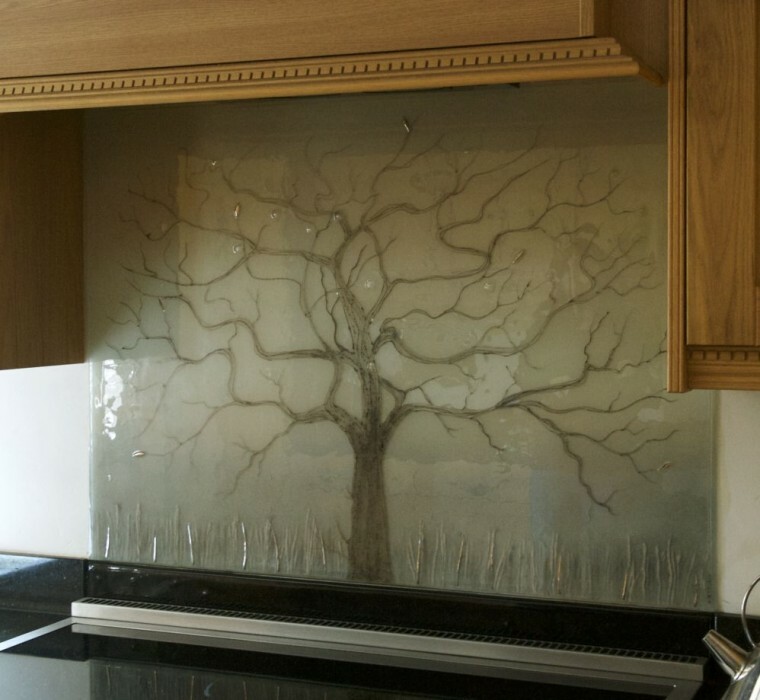 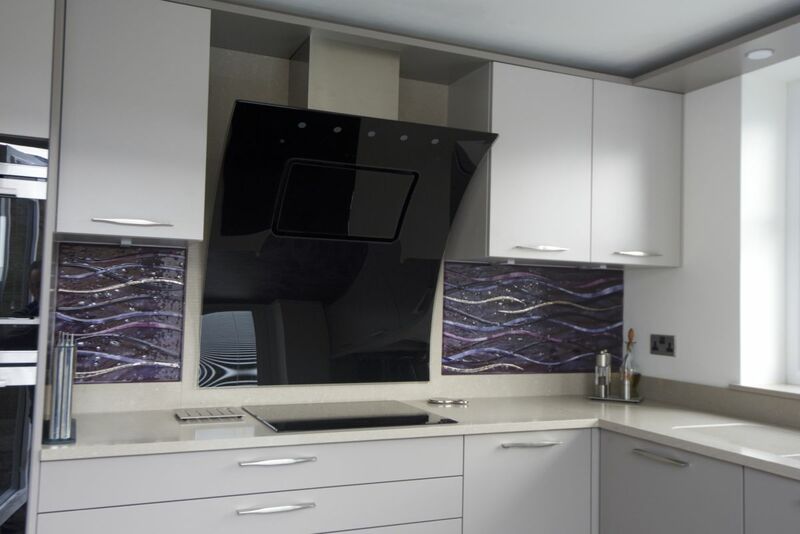 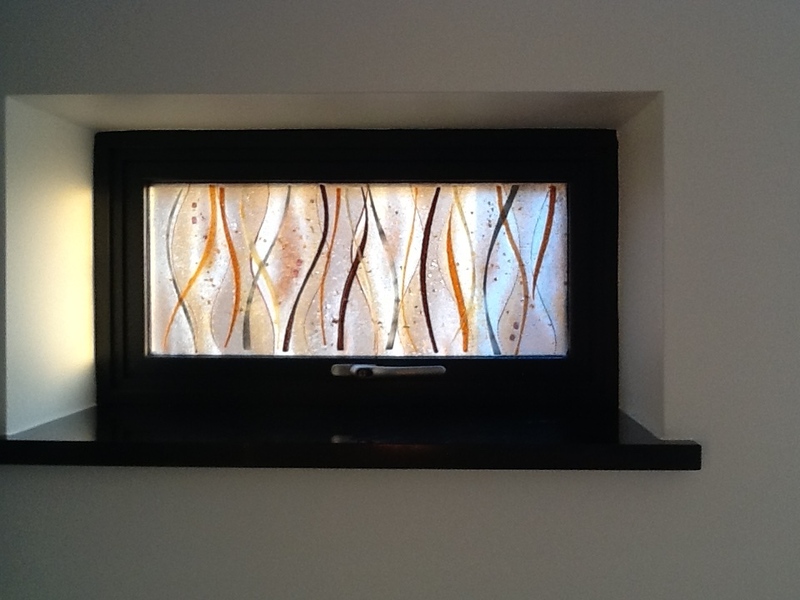 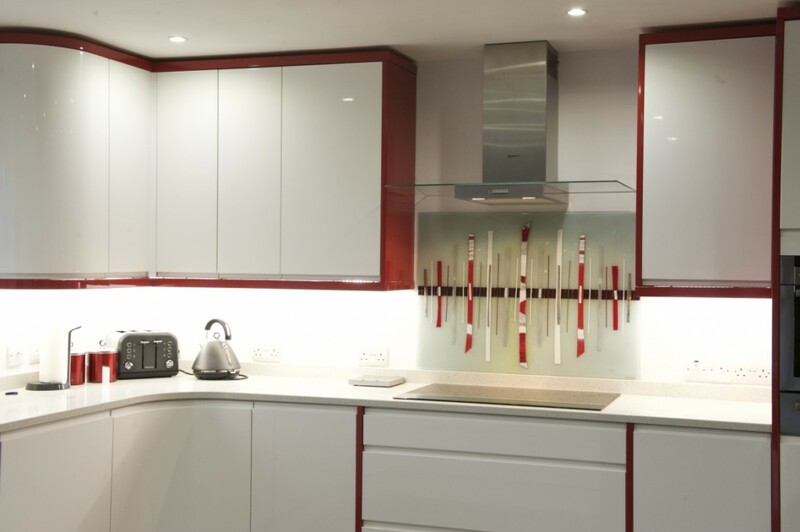 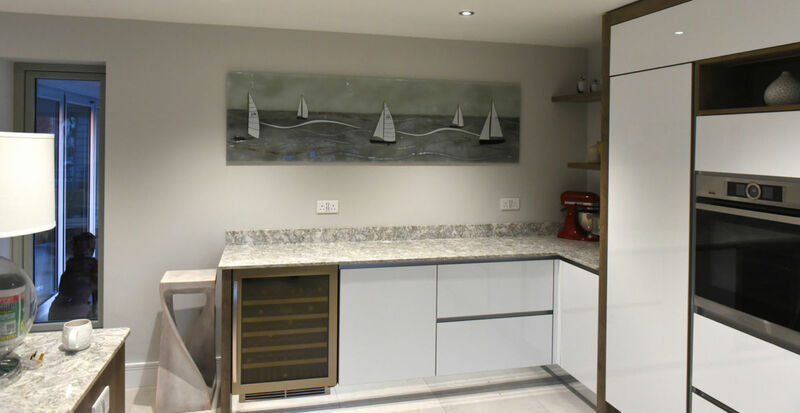 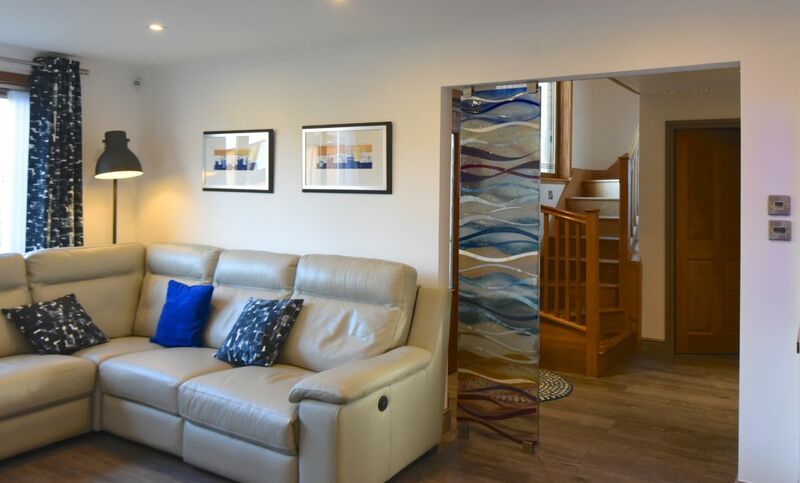 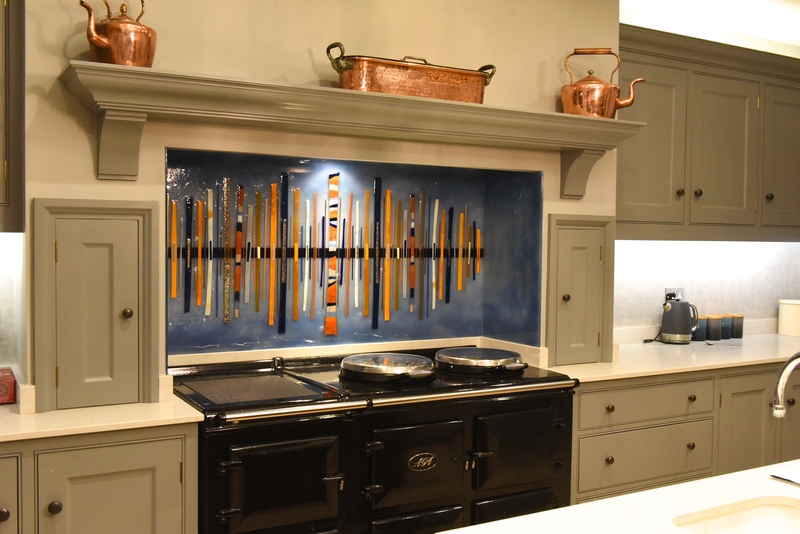 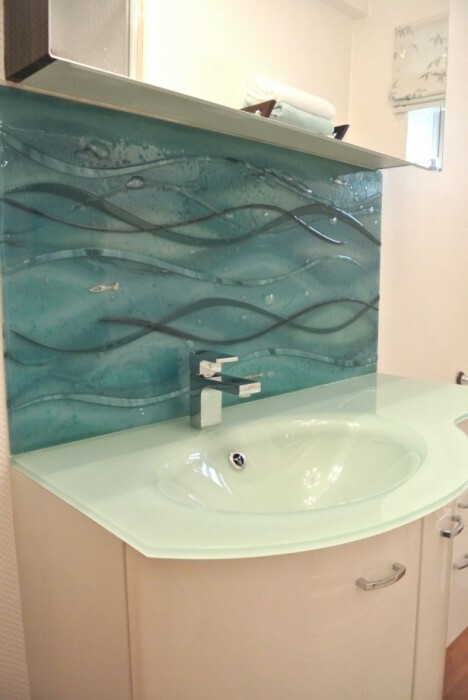 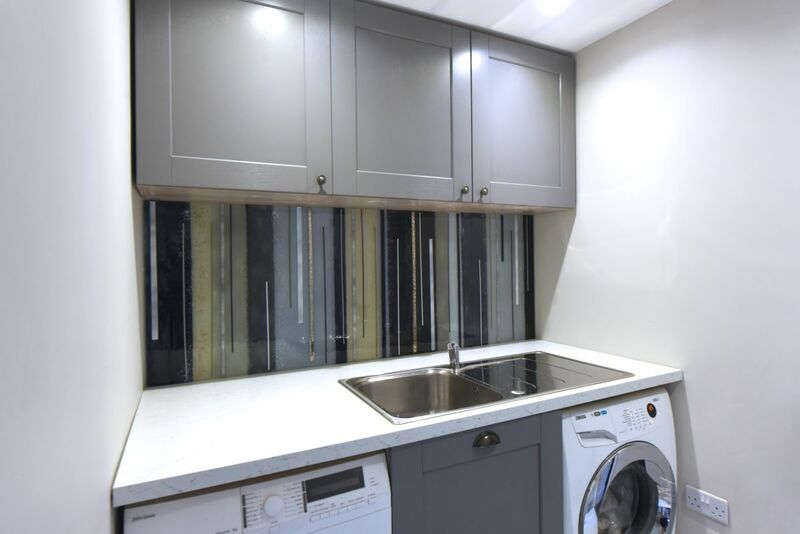 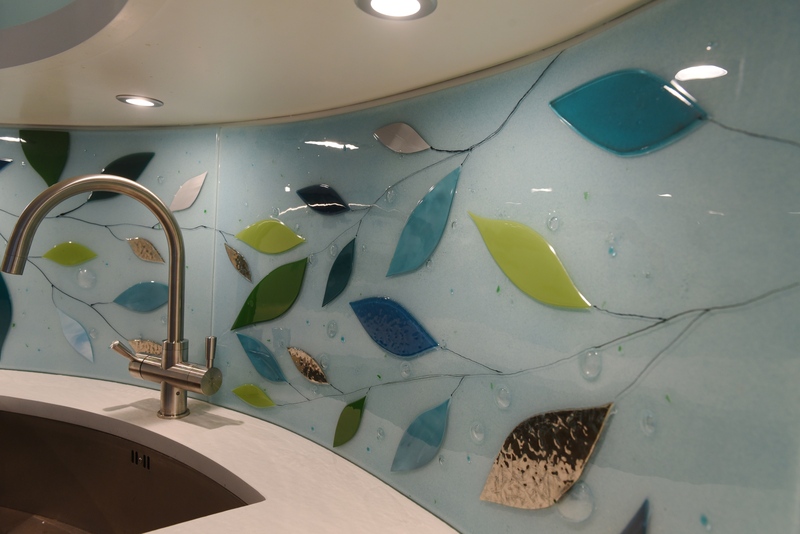 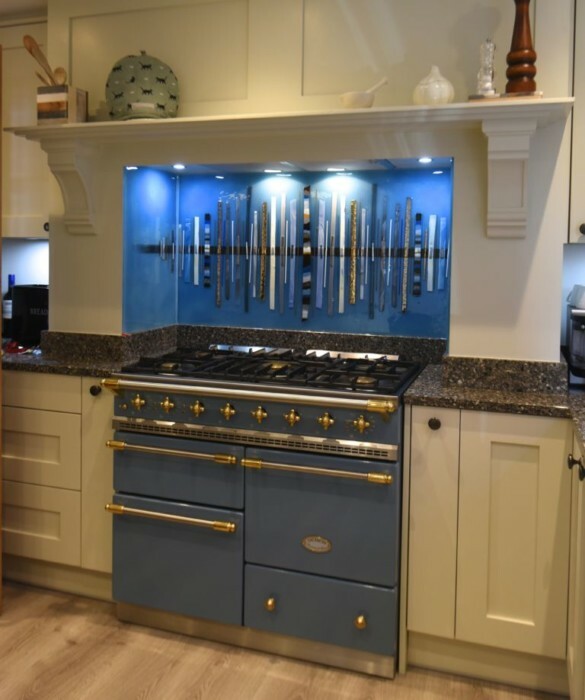 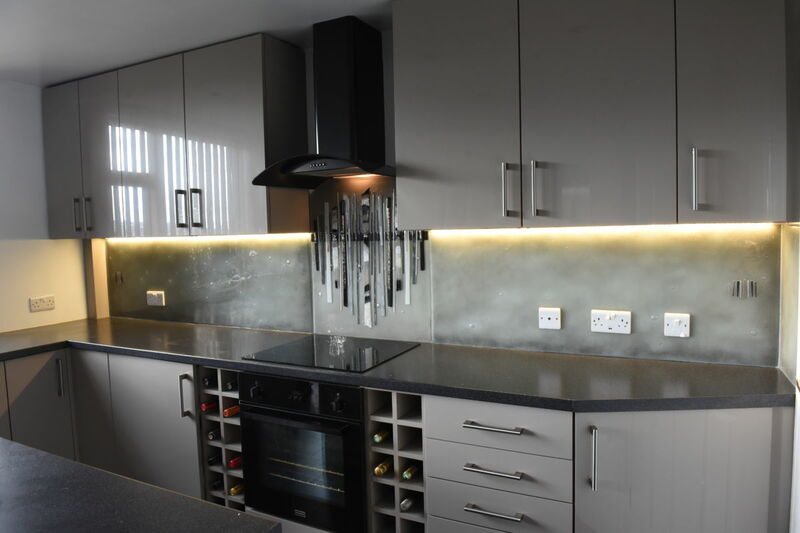 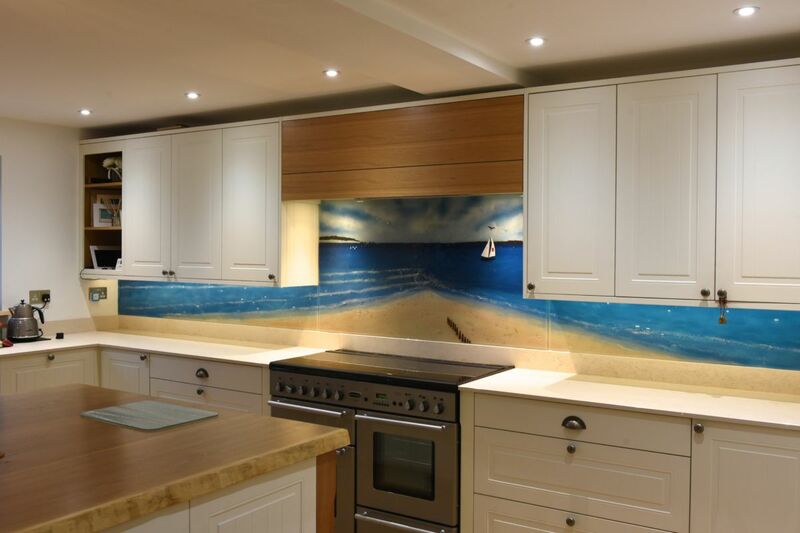 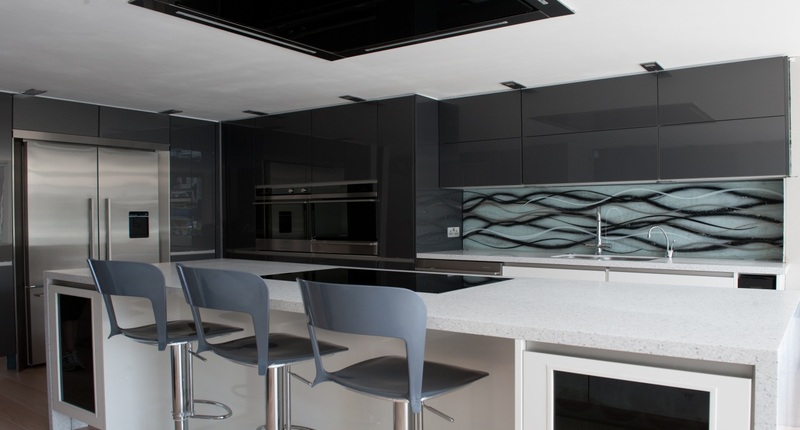 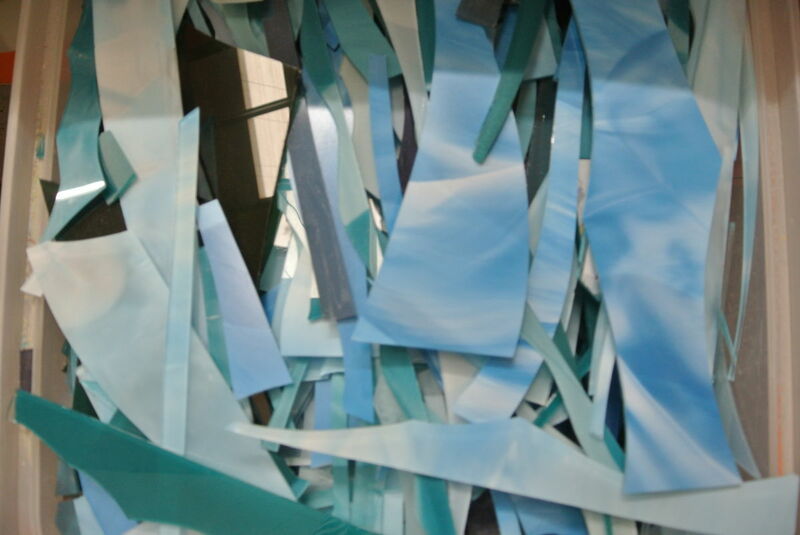 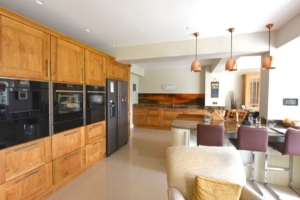 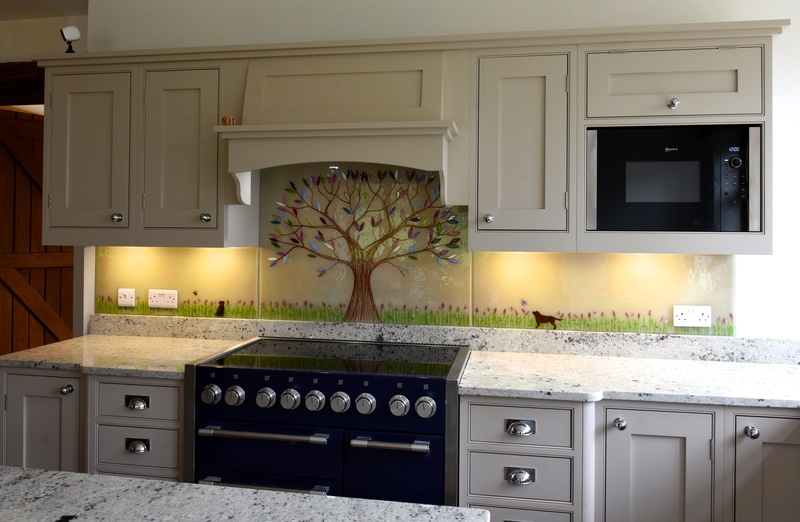 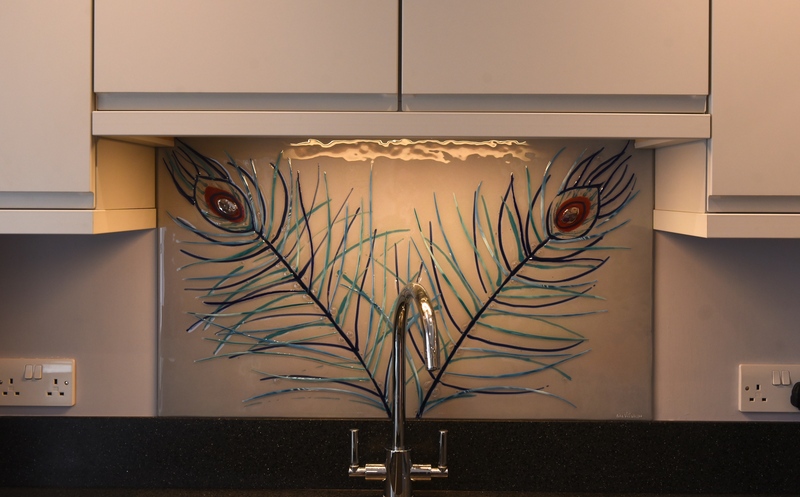 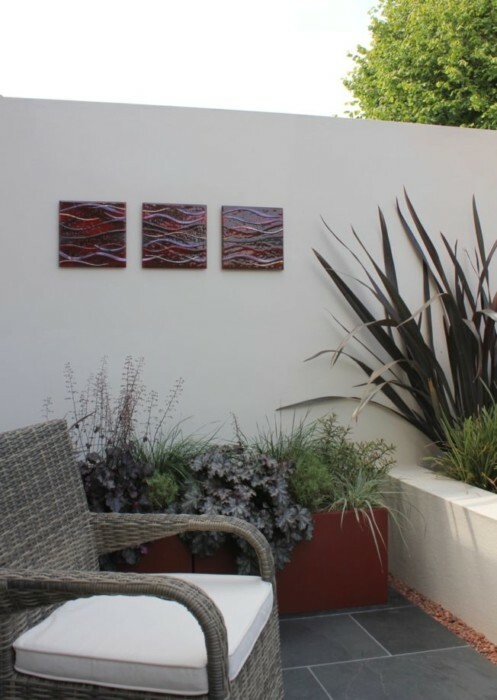 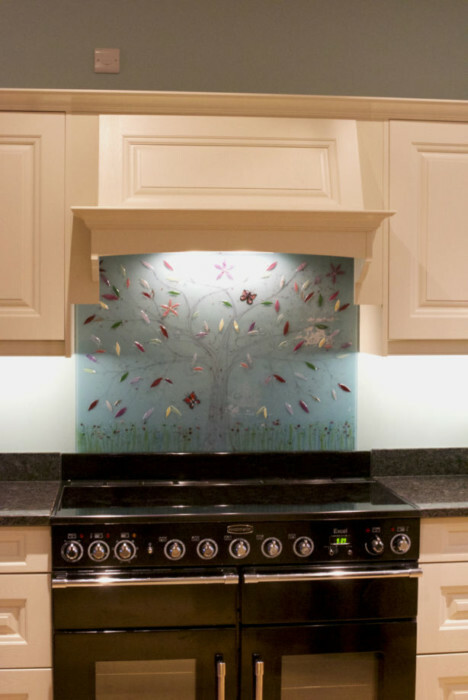 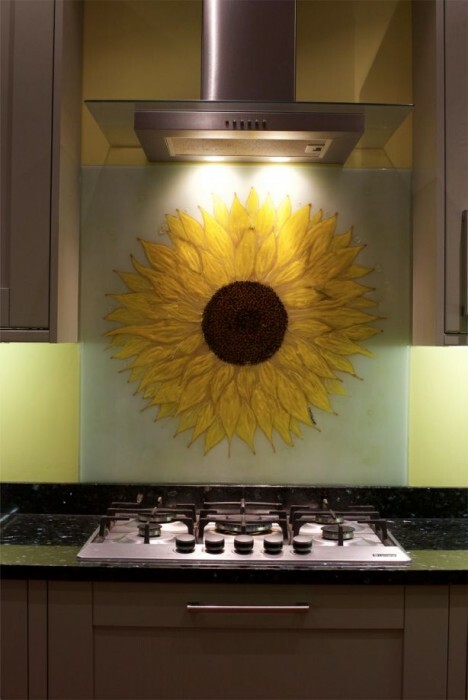 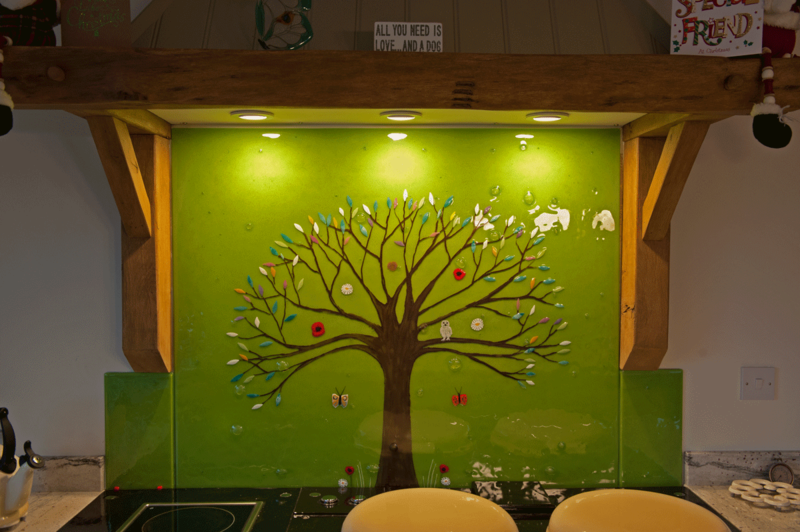 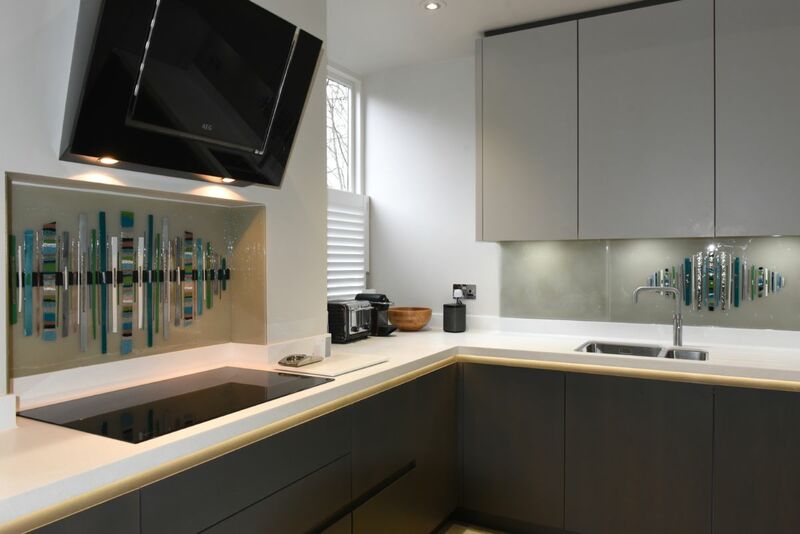 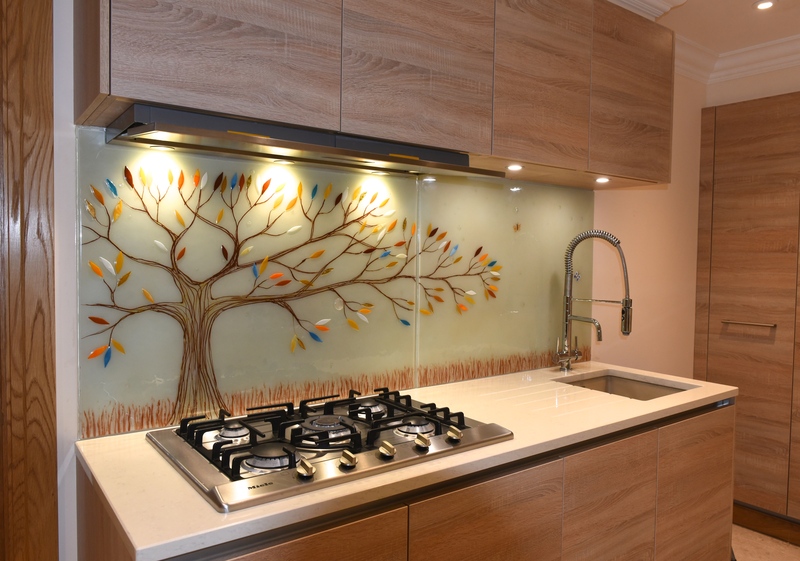 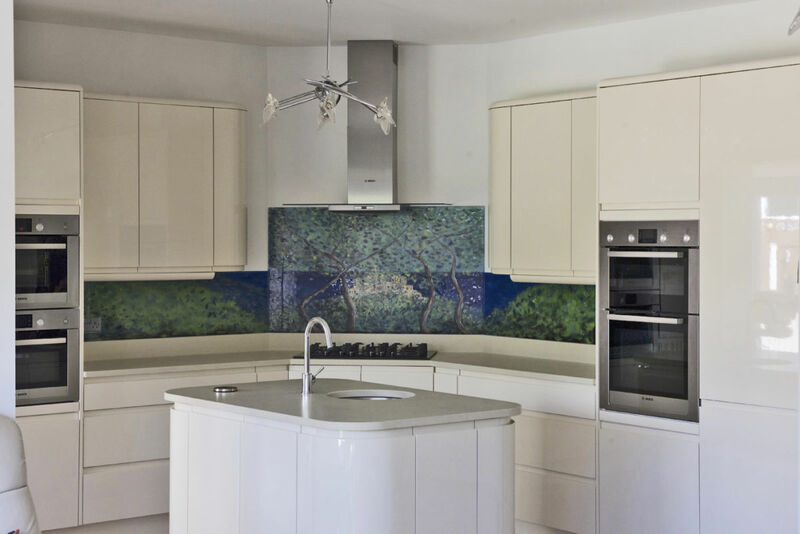 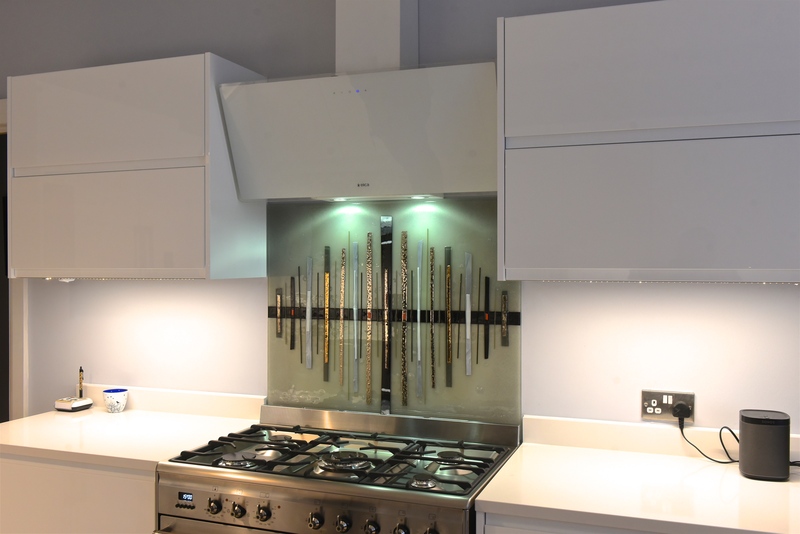 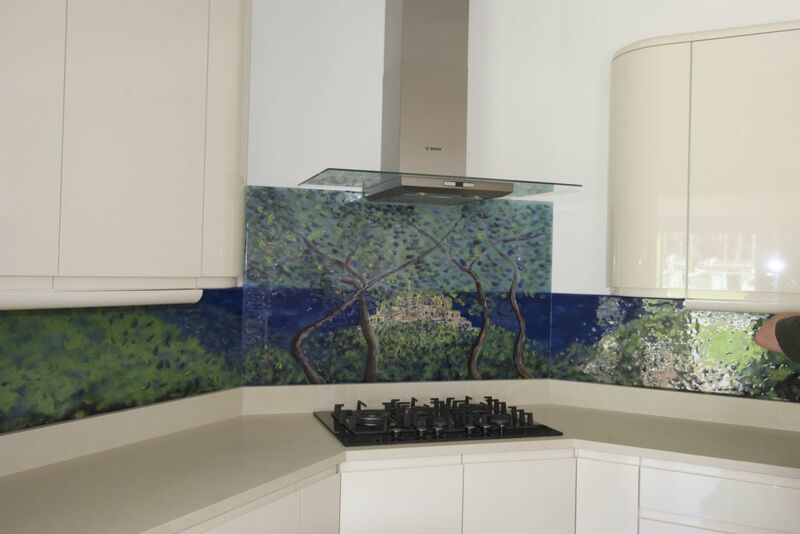 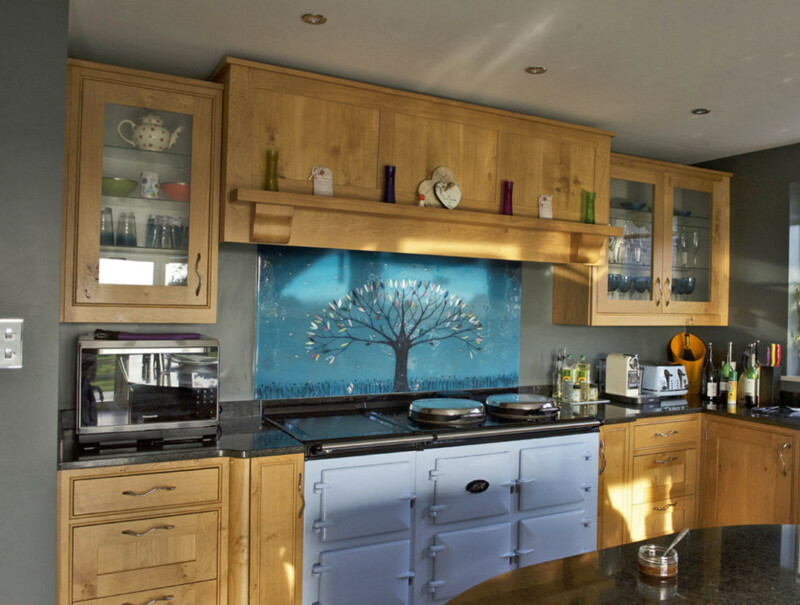 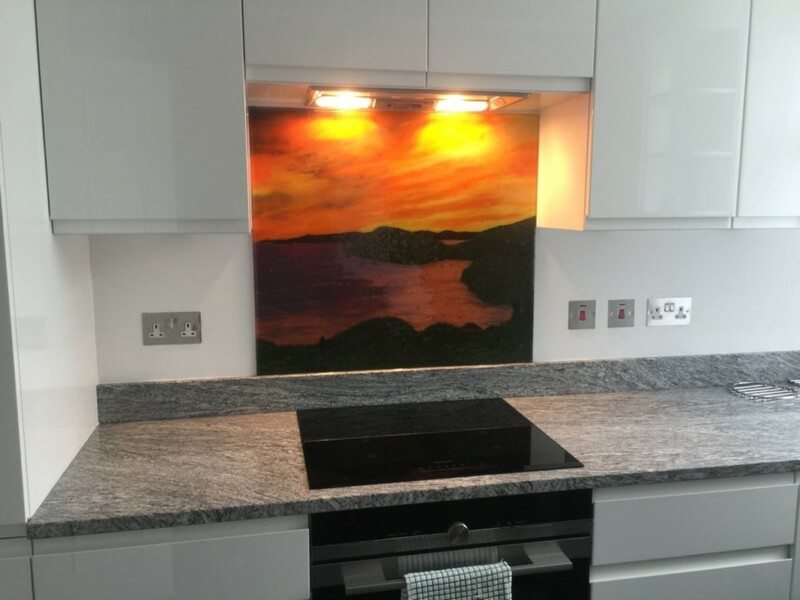 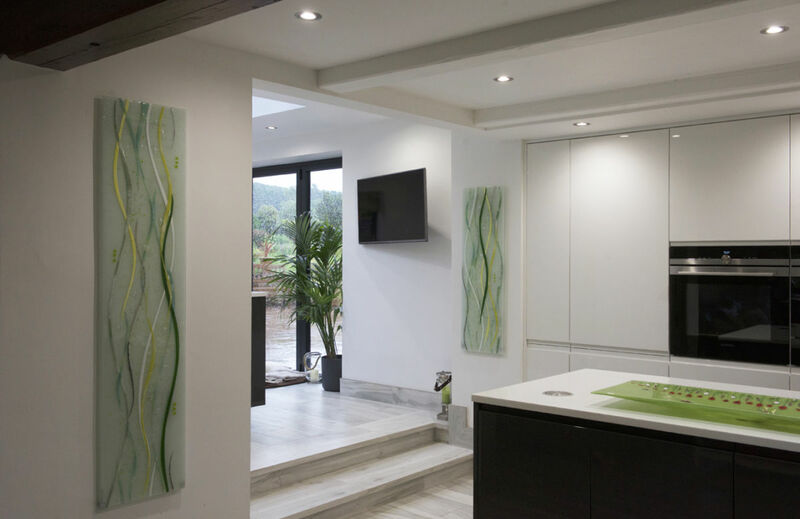 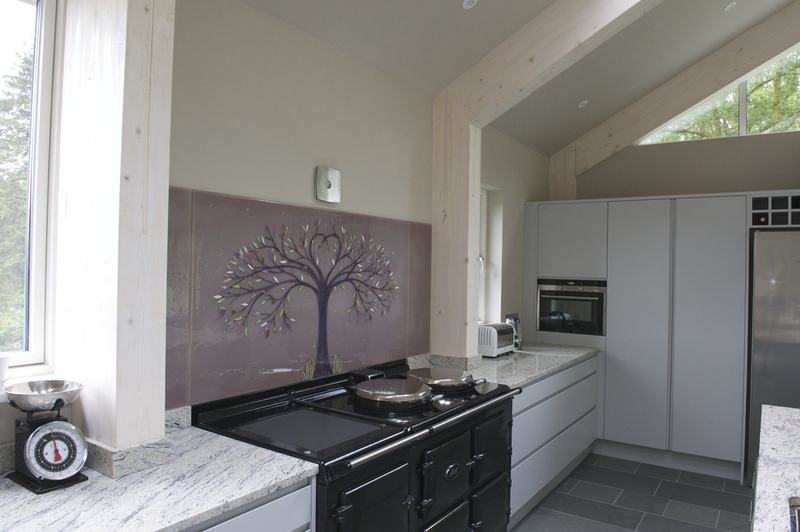 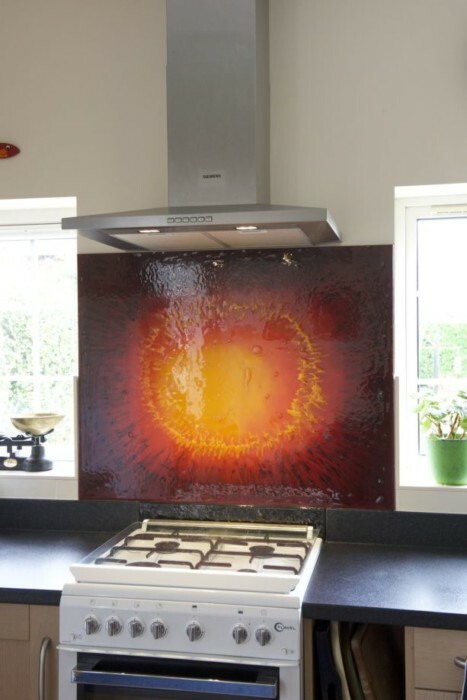 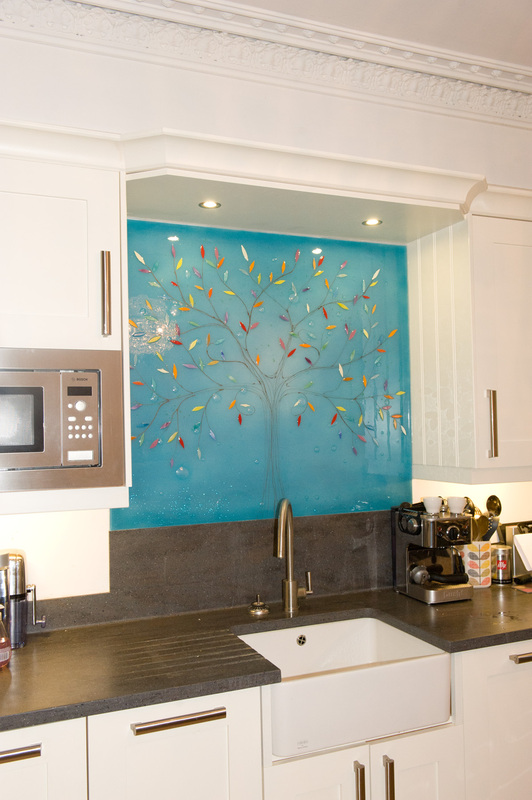 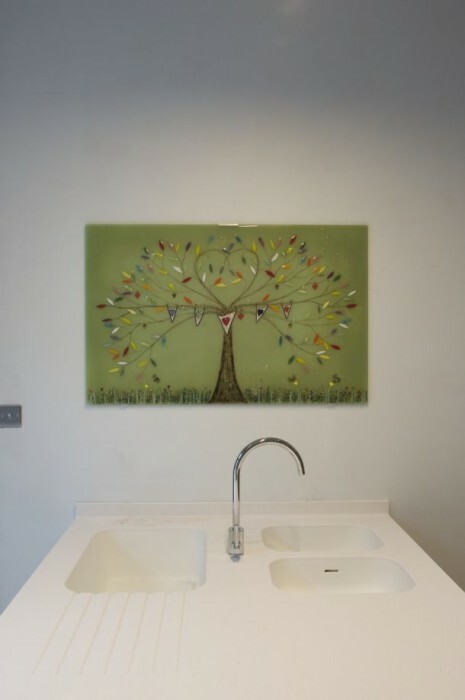 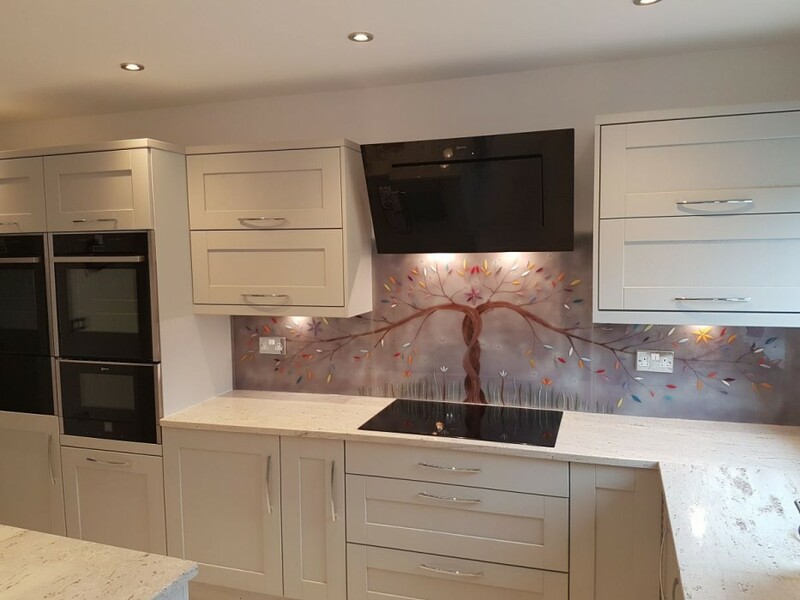 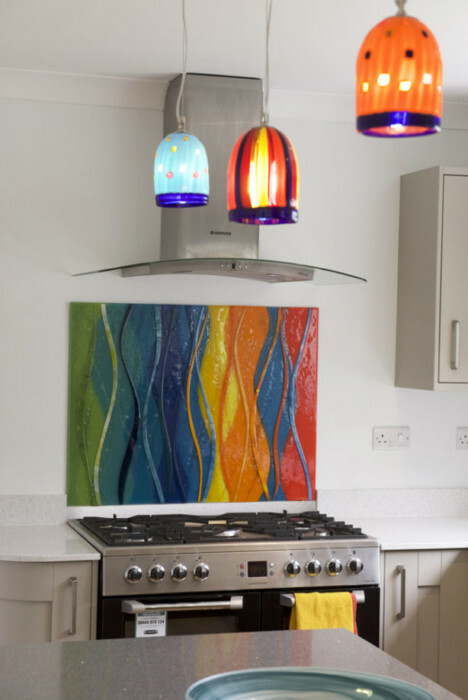 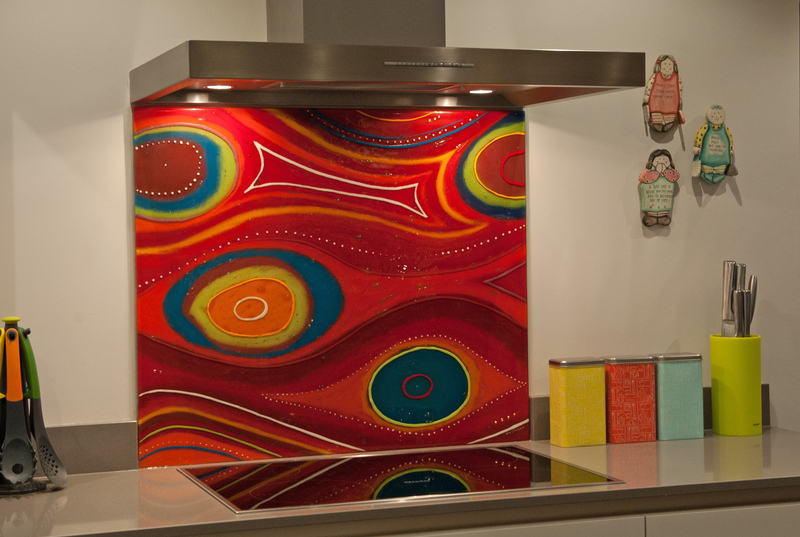 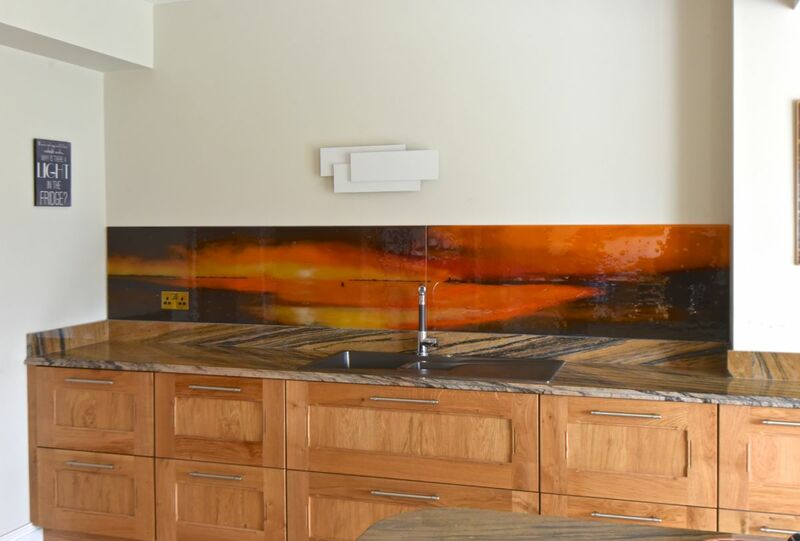 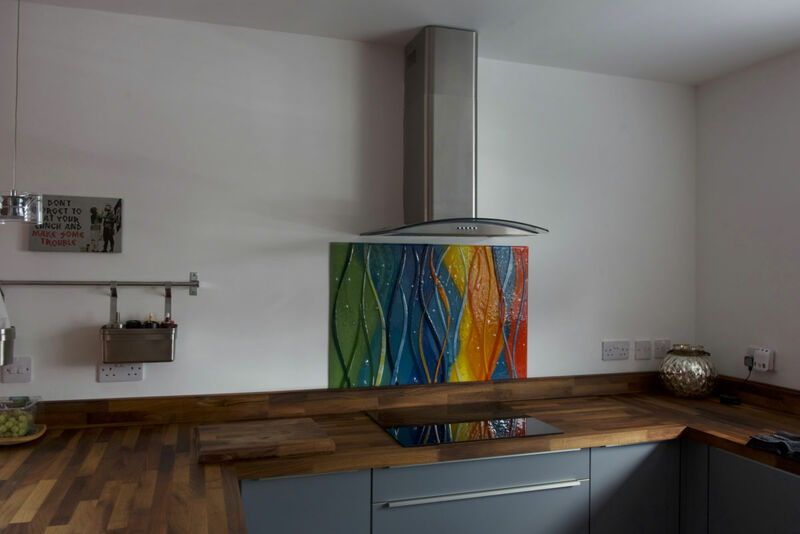 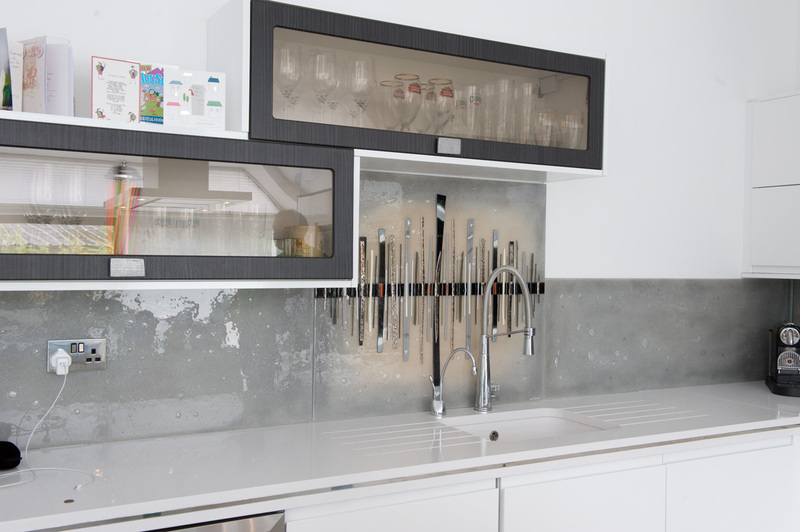 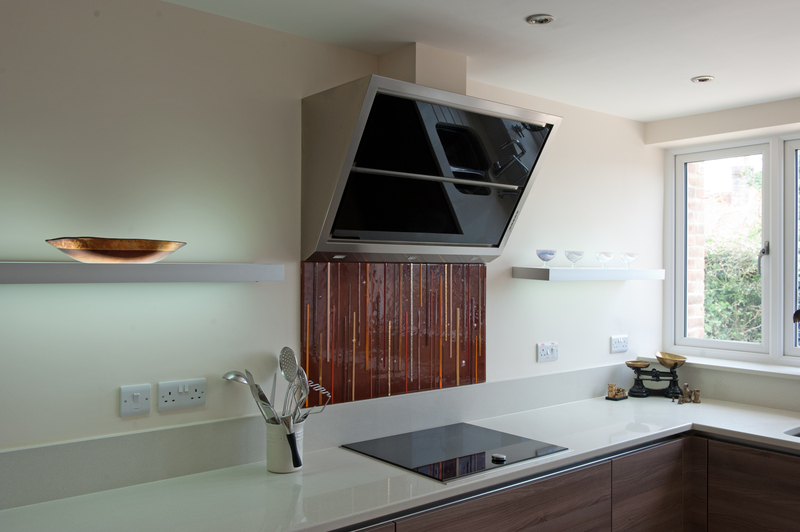 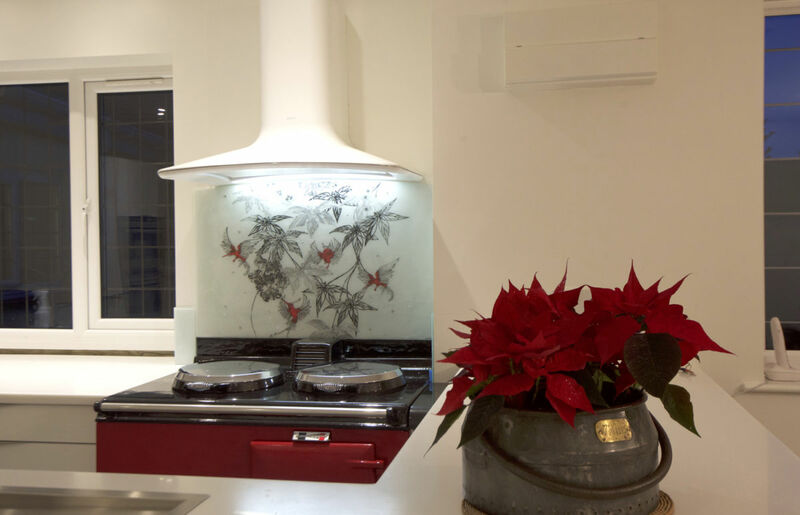 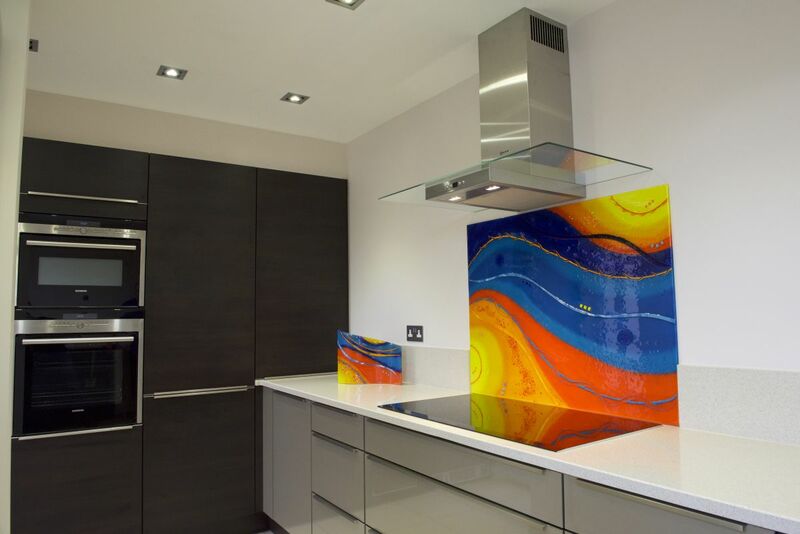 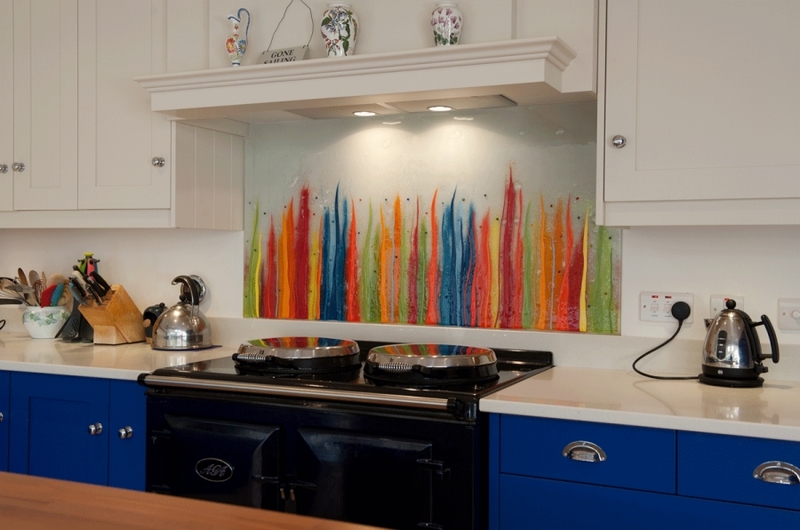 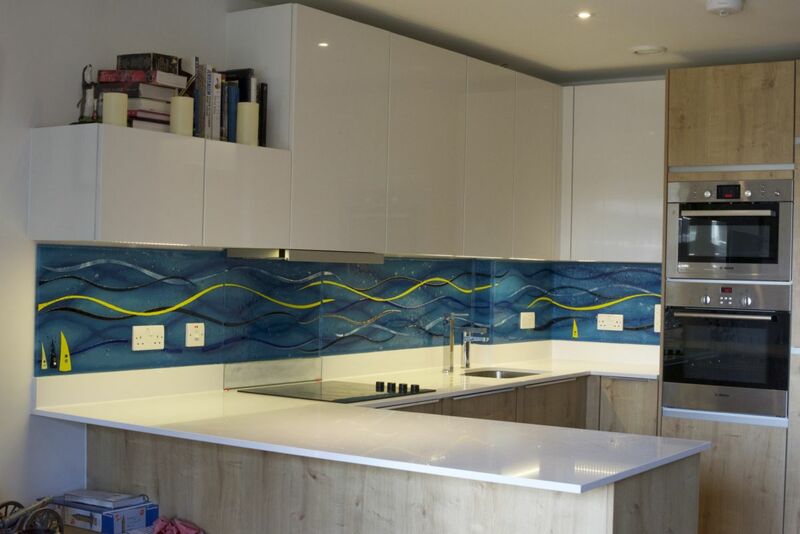 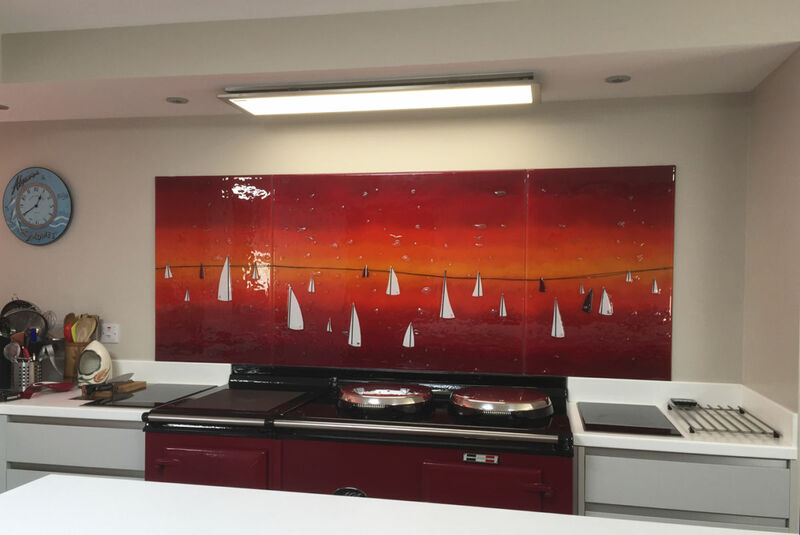 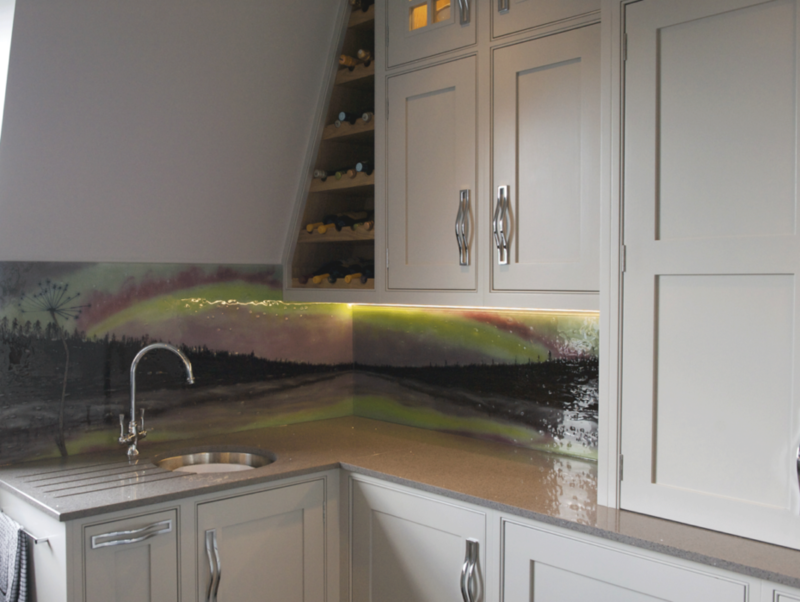 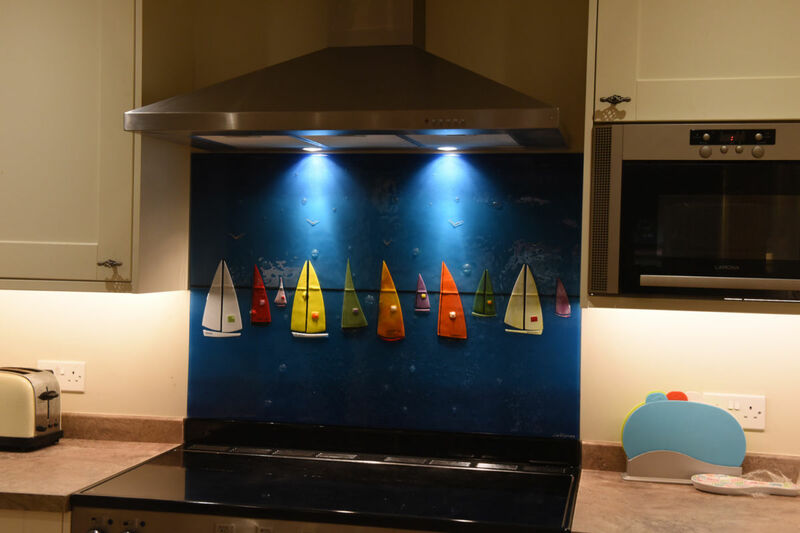 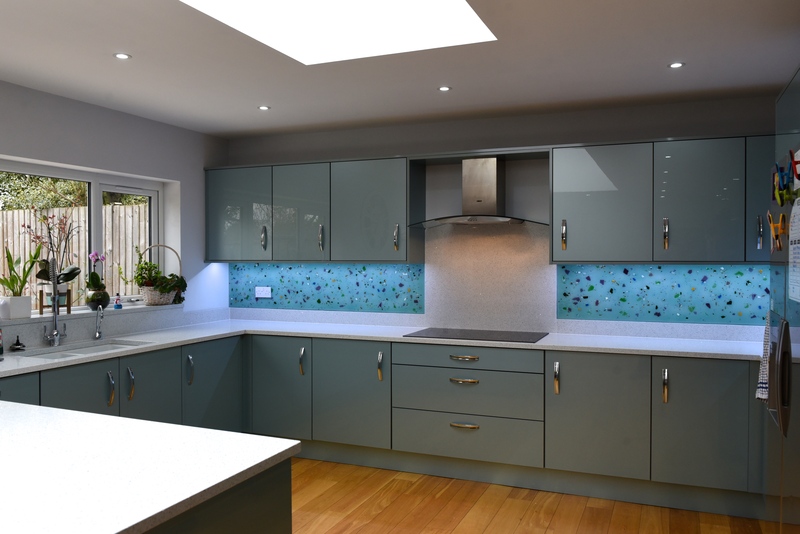 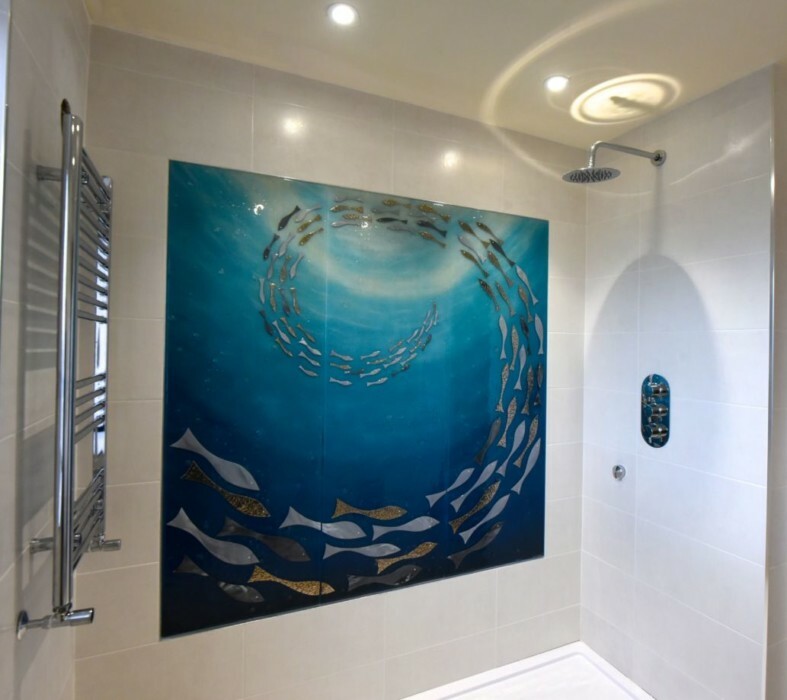 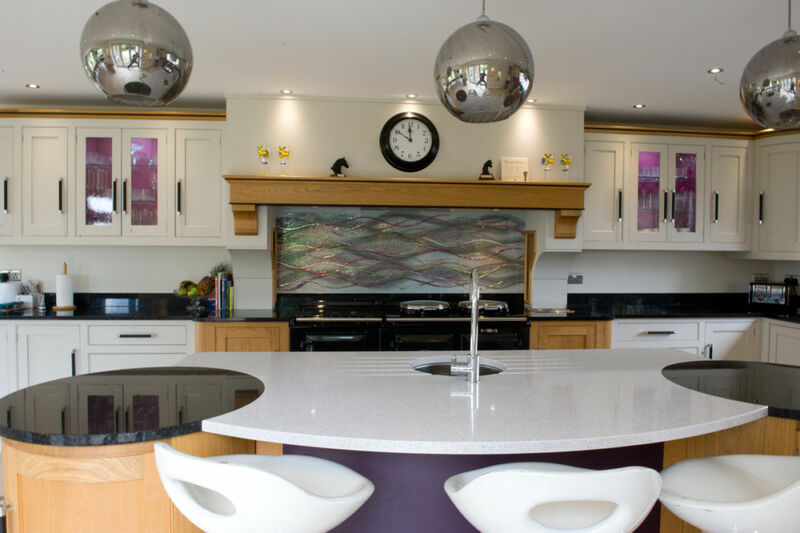 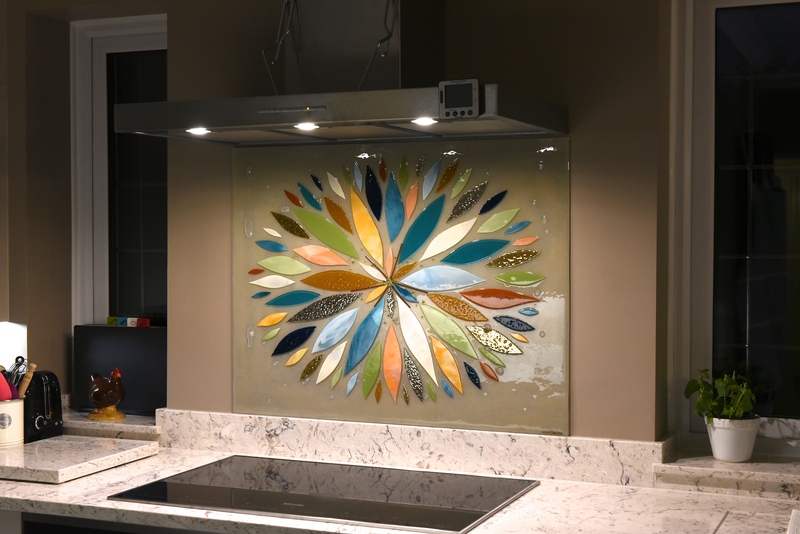 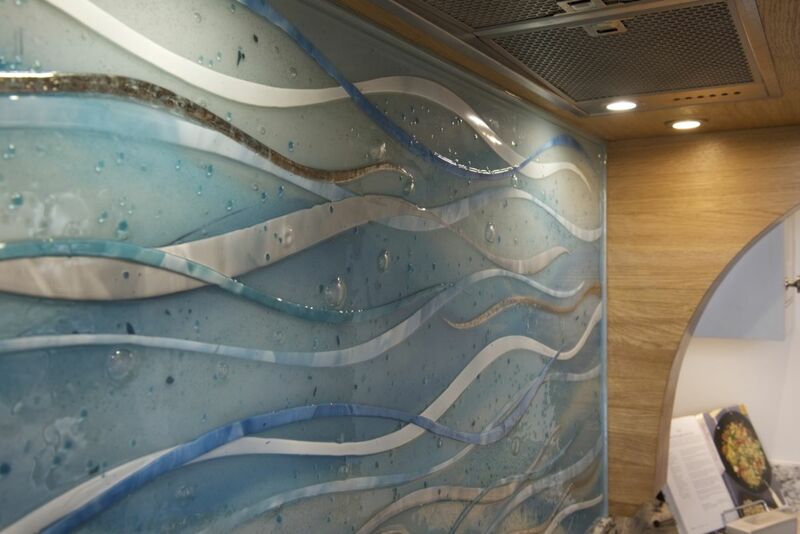 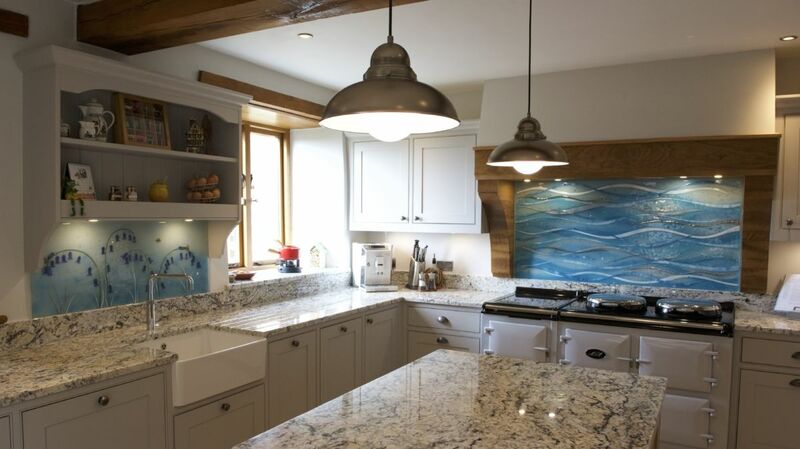 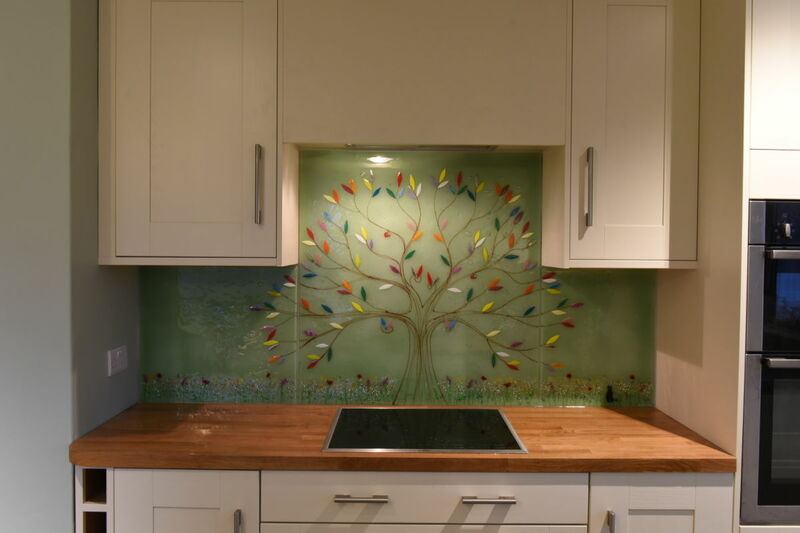 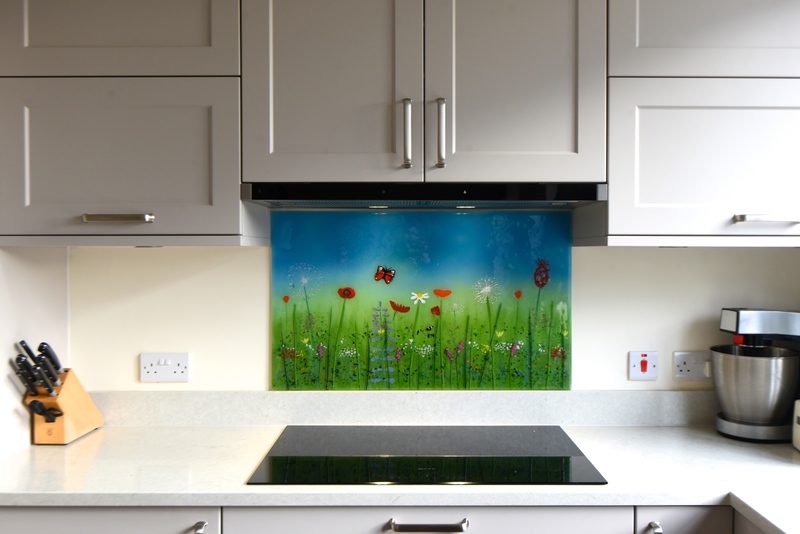 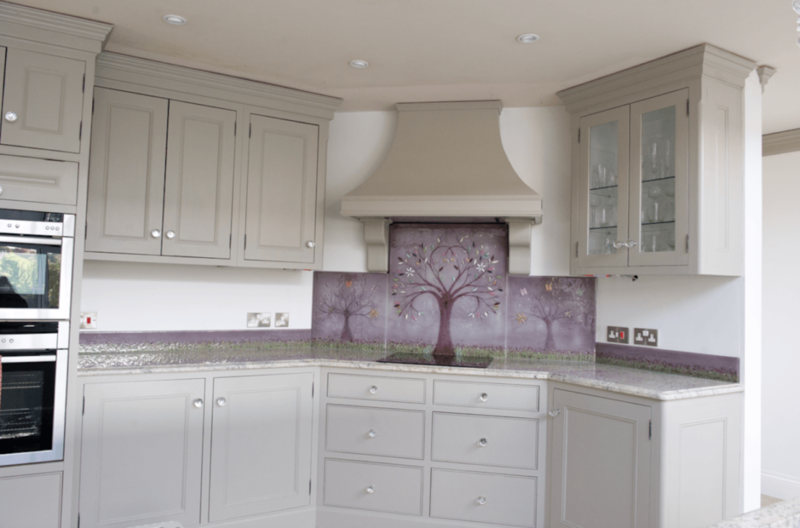 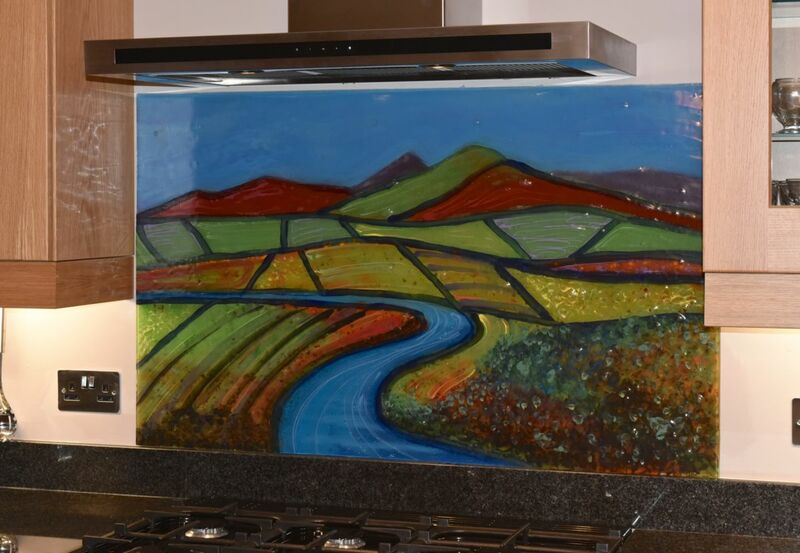 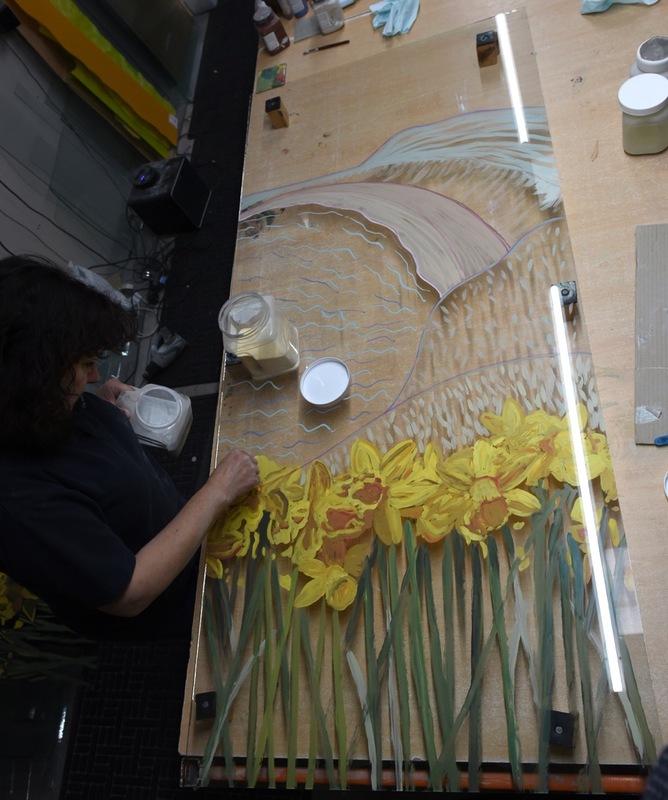 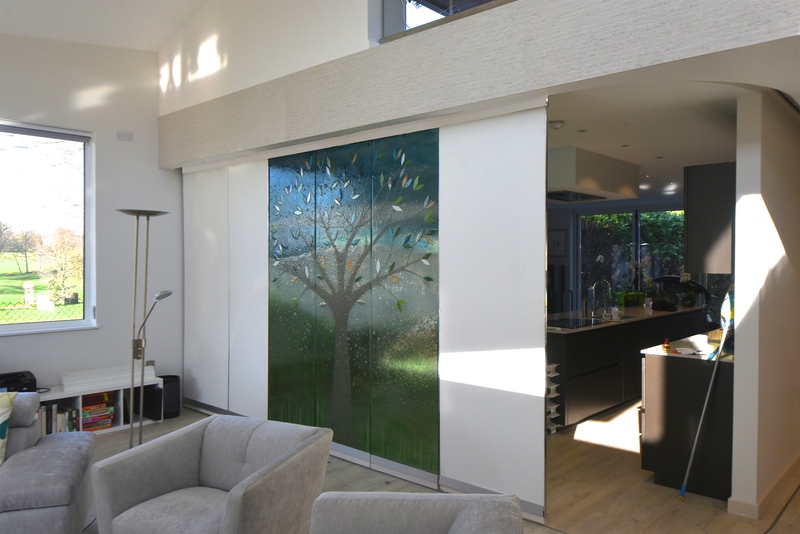 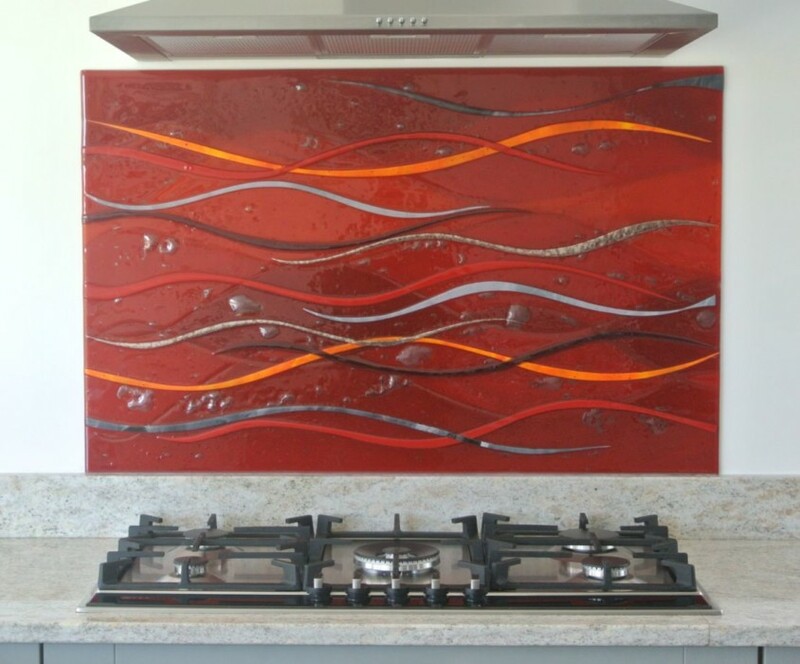 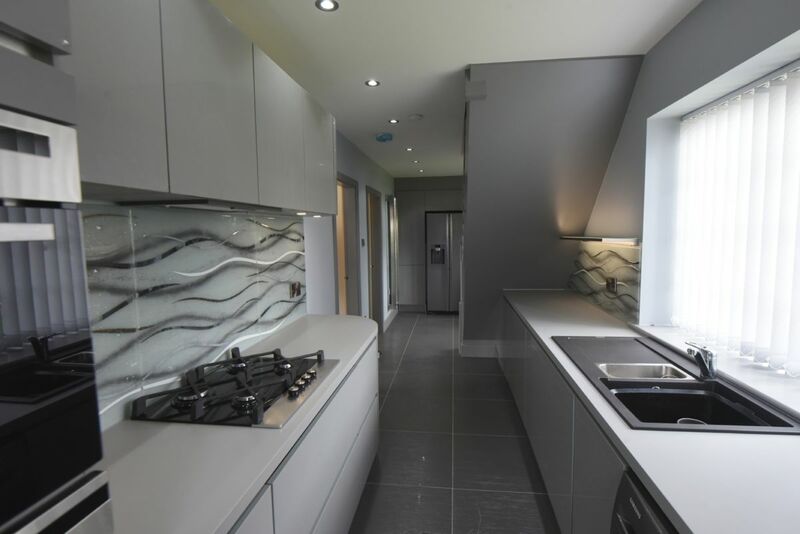 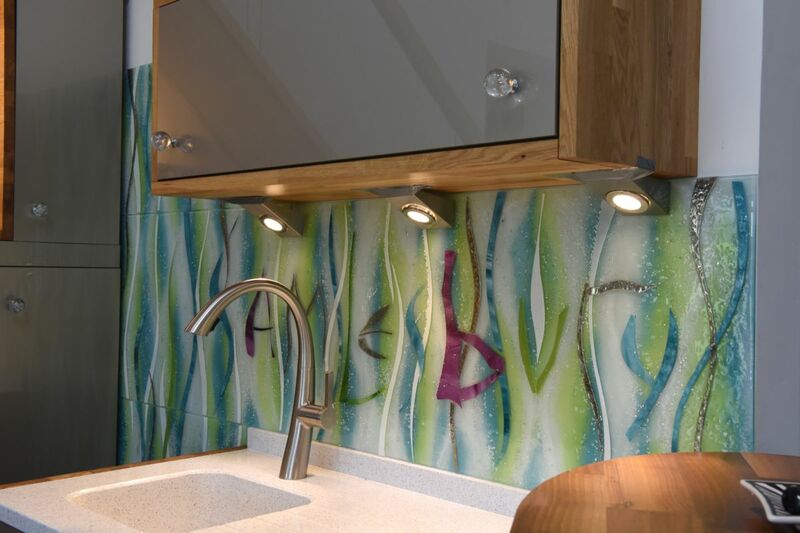 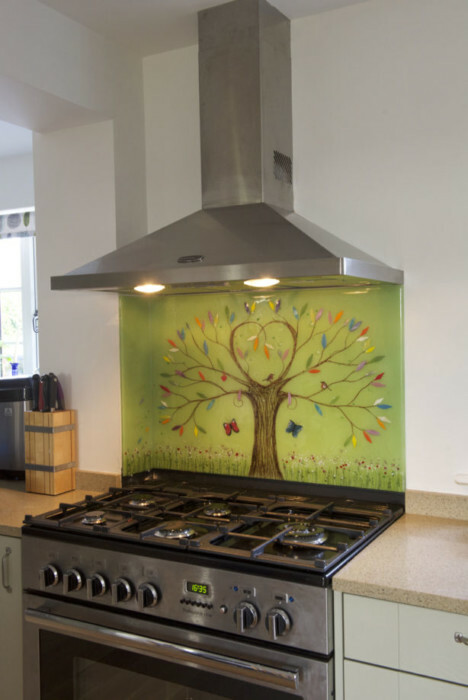 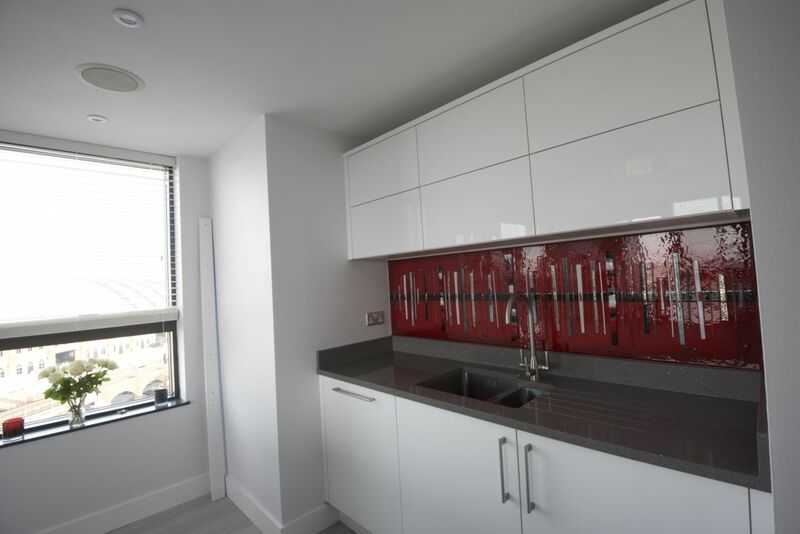 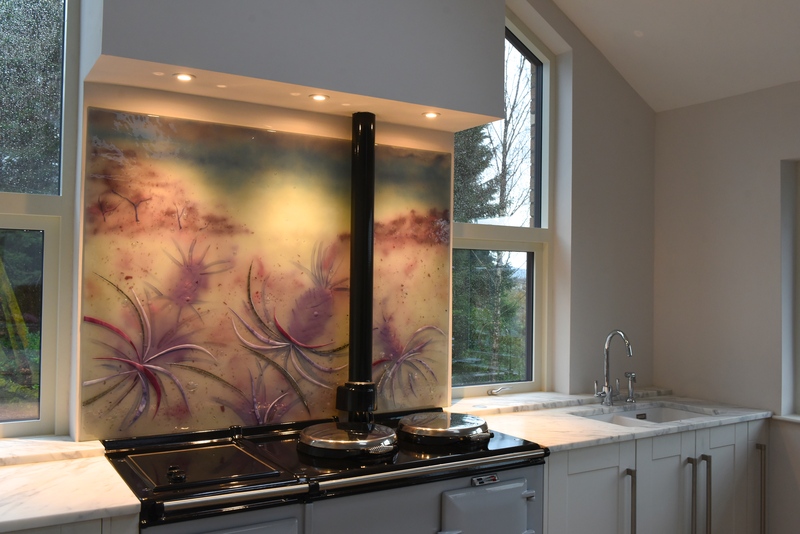 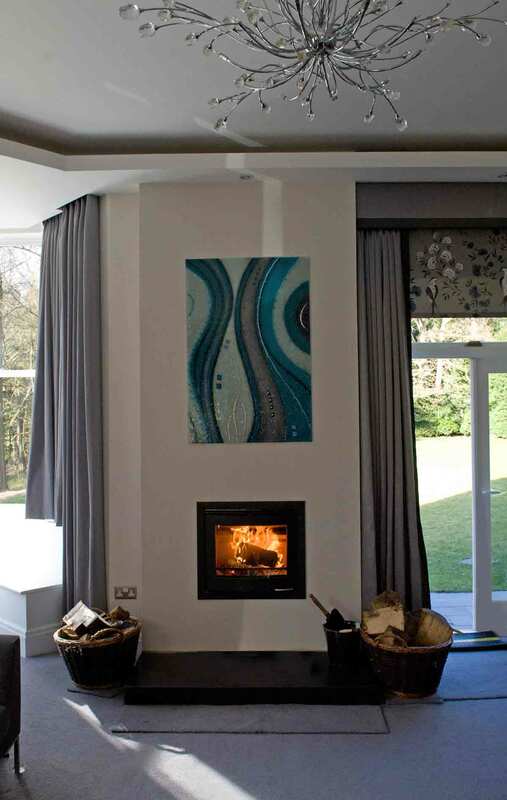 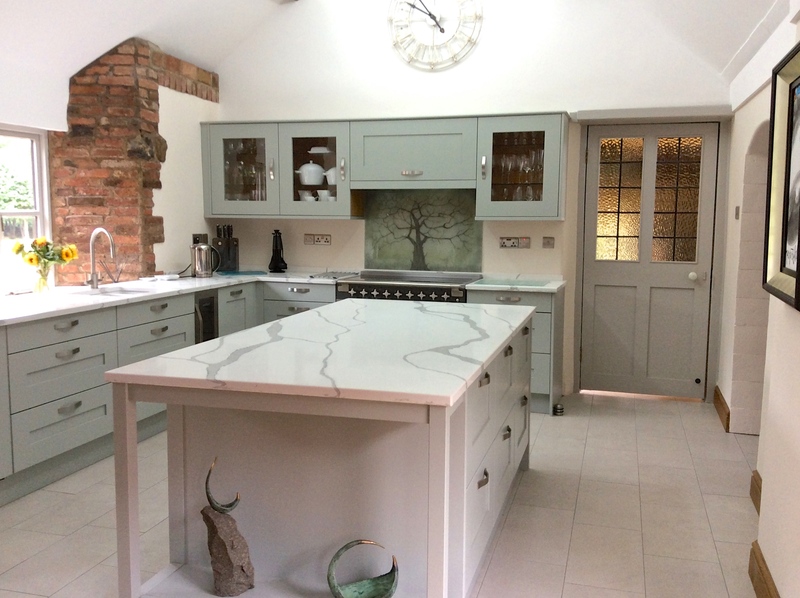 Whether you want a gorgeous alternative to a coloured glass splashback or glass wall panel, we can’t wait to get started on a special something that’s bespoke and personalised just for you.